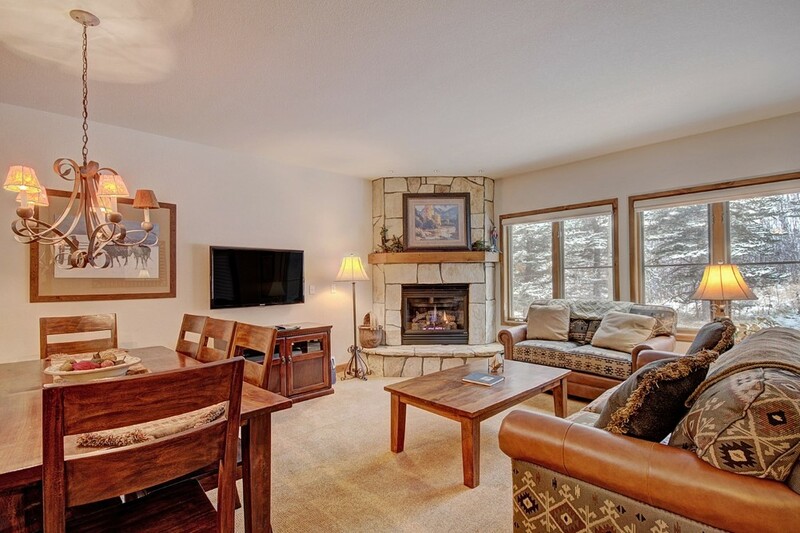 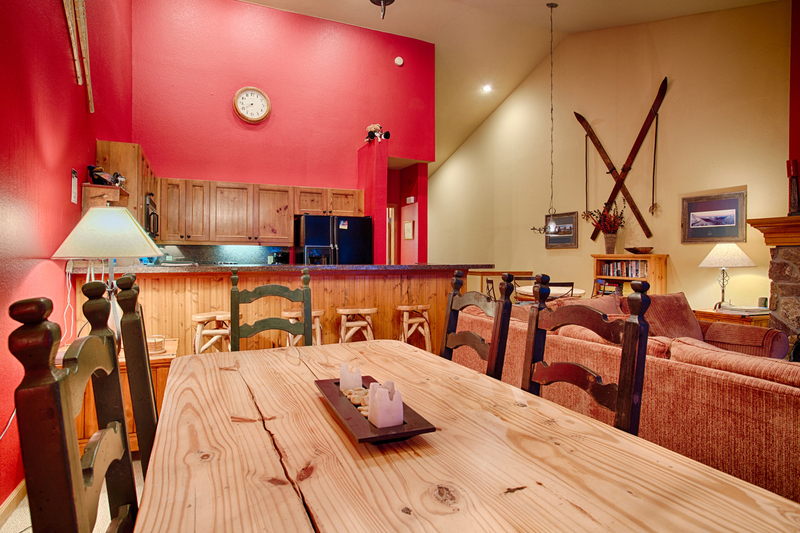 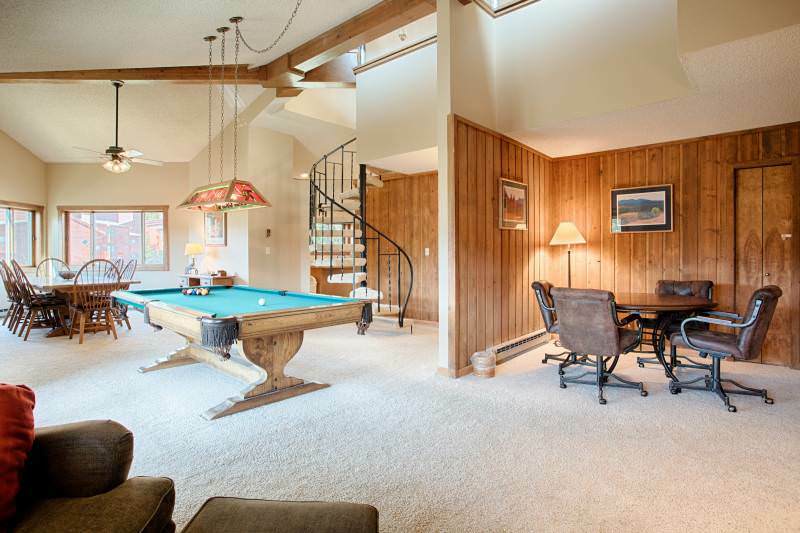 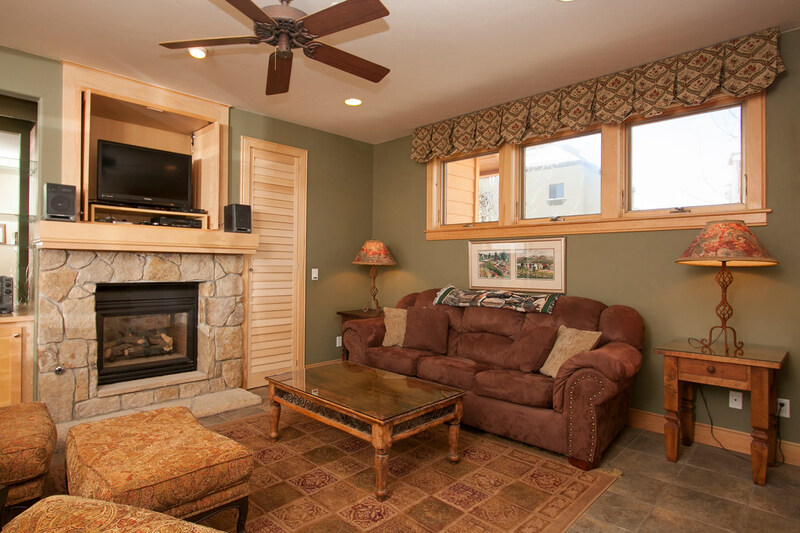 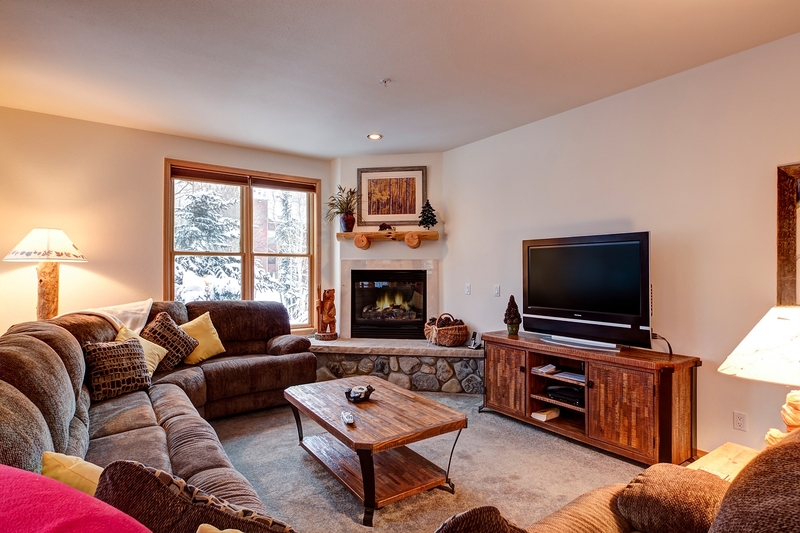 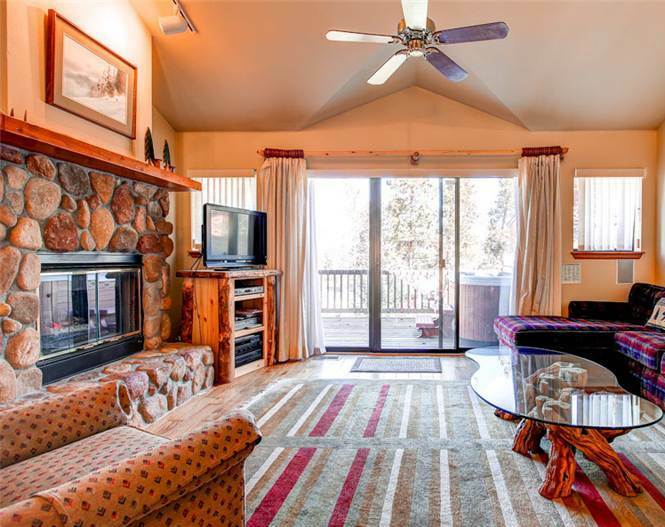 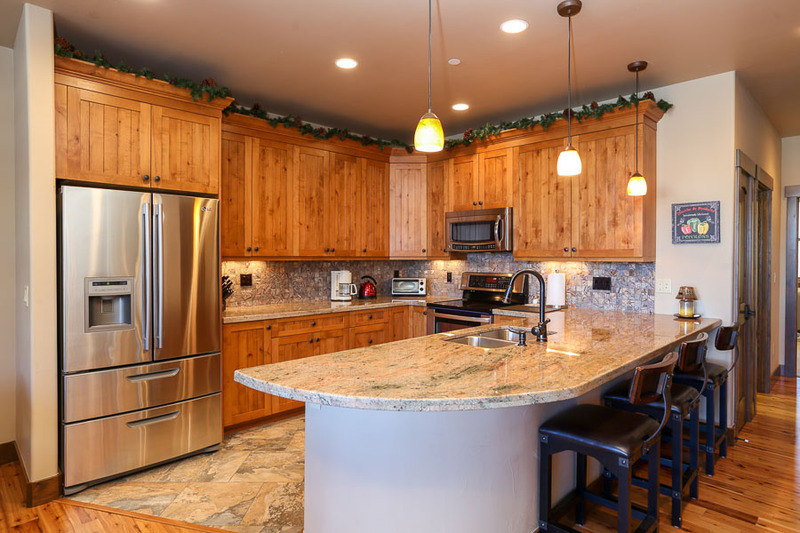 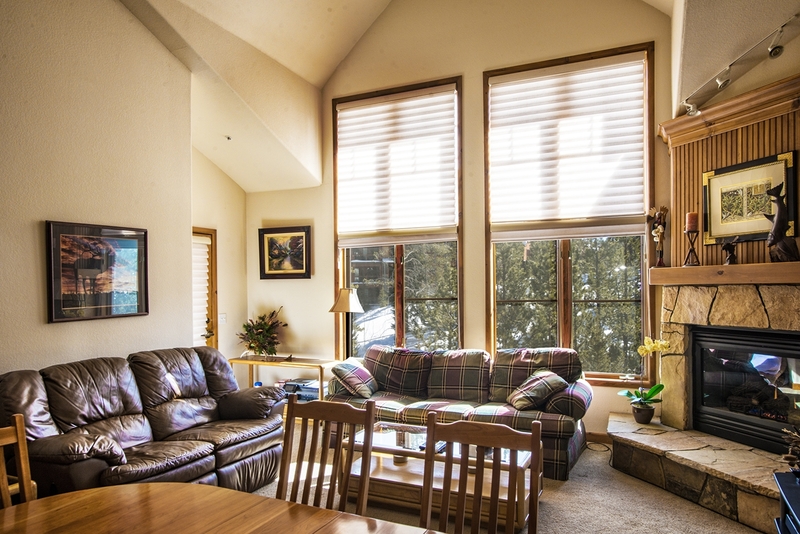 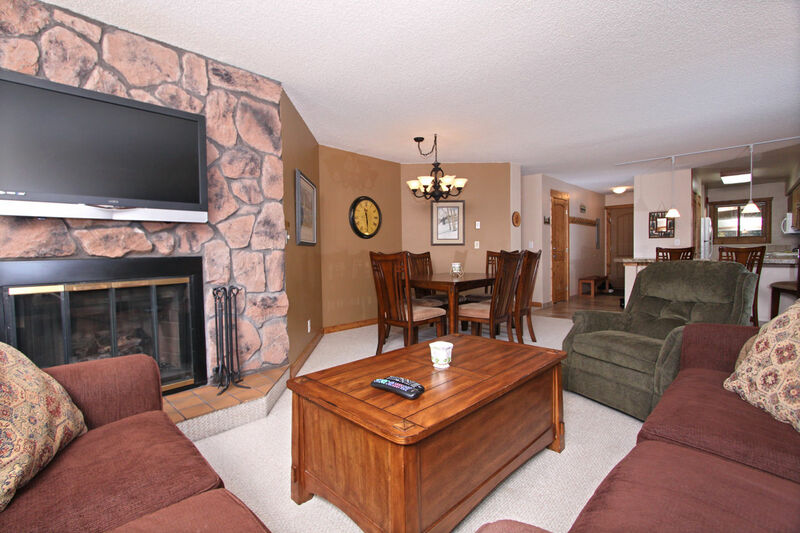 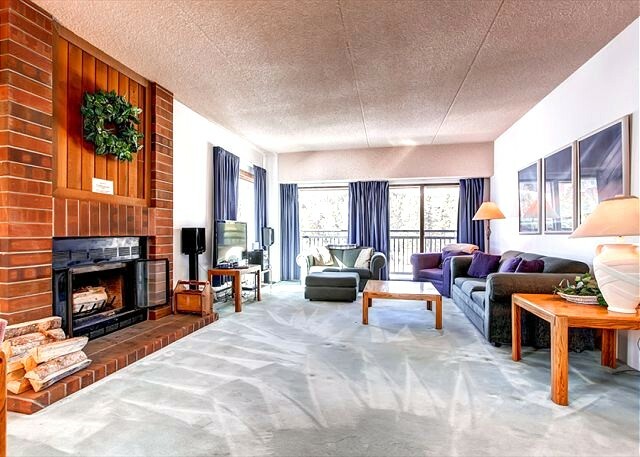 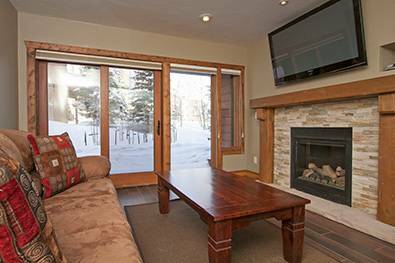 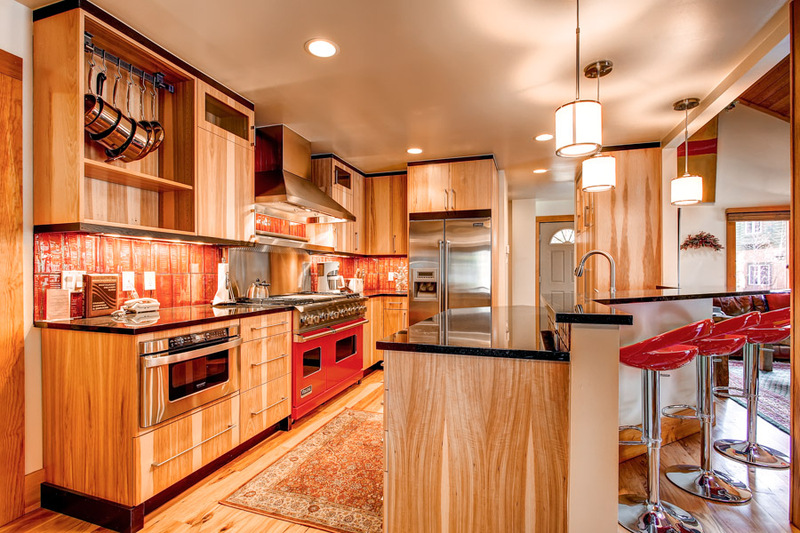 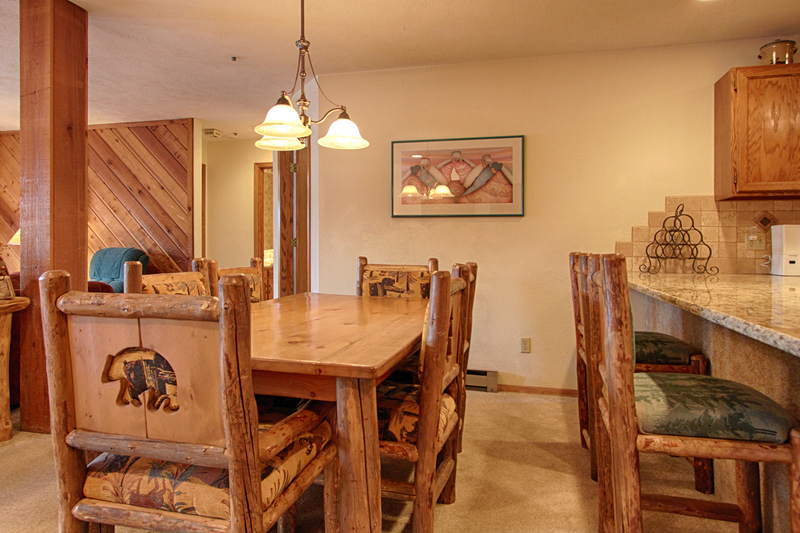 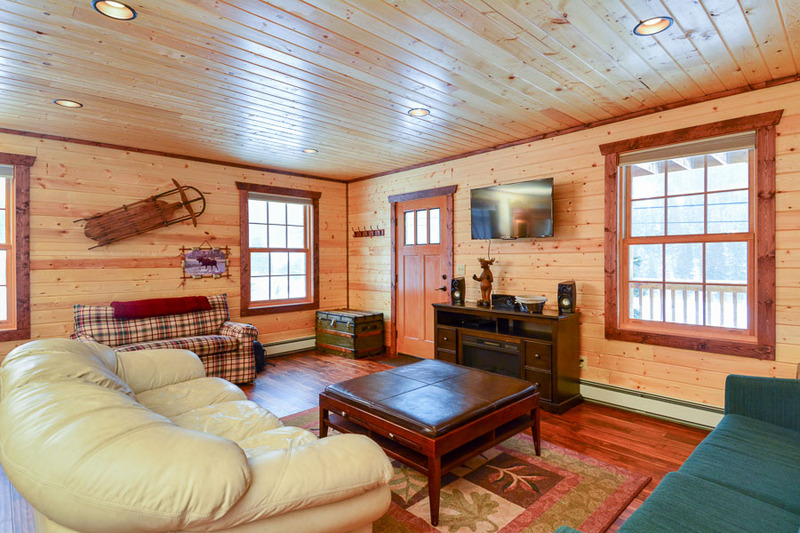 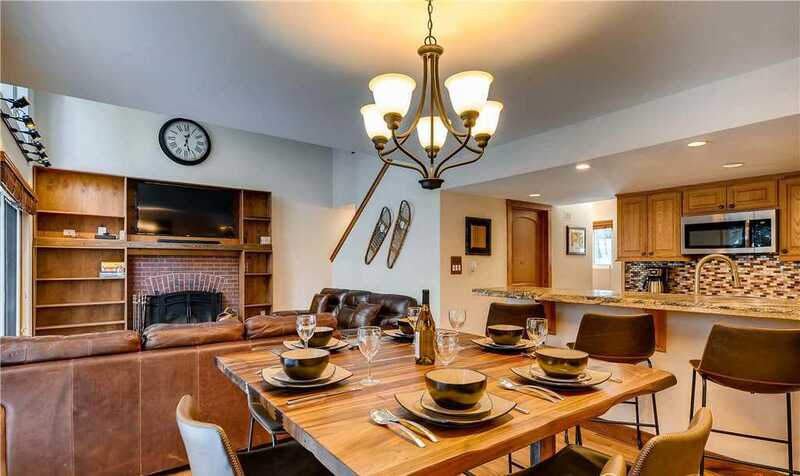 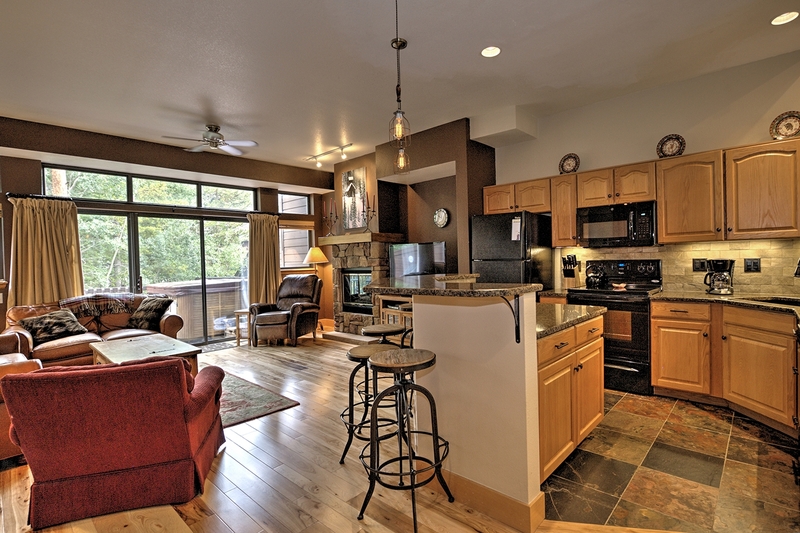 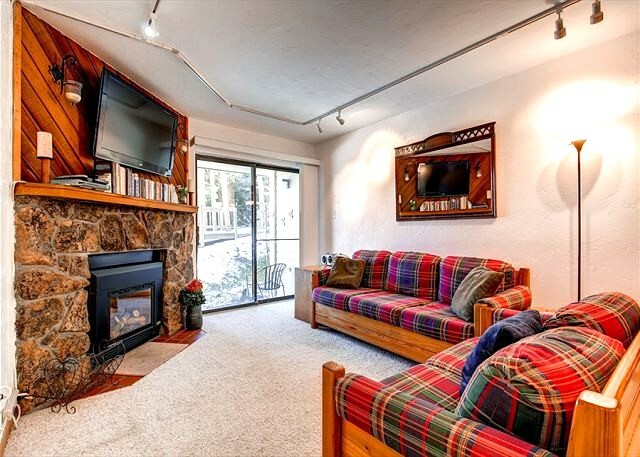 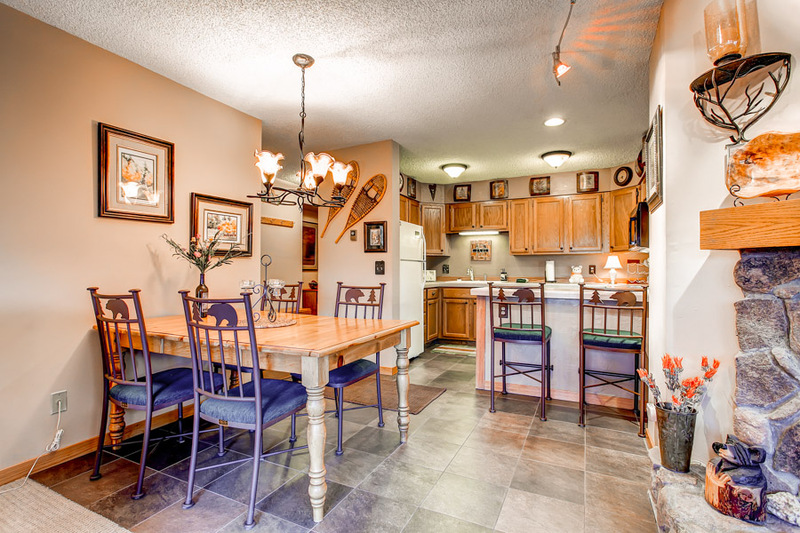 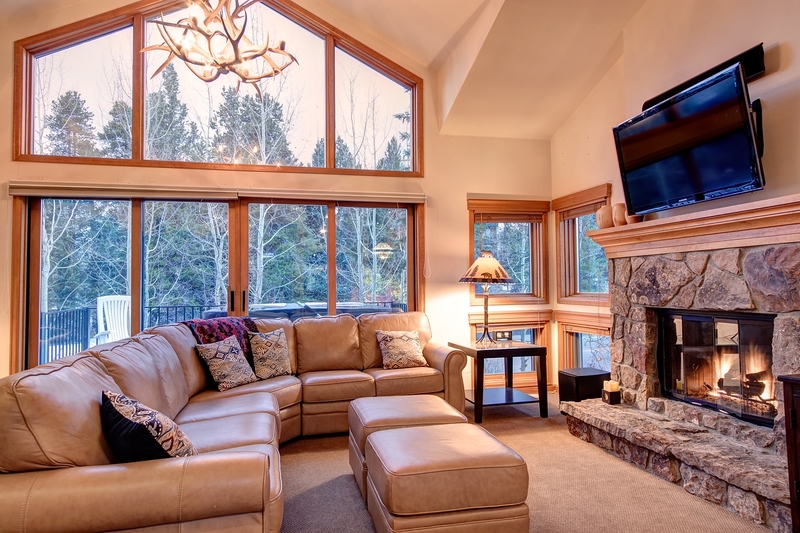 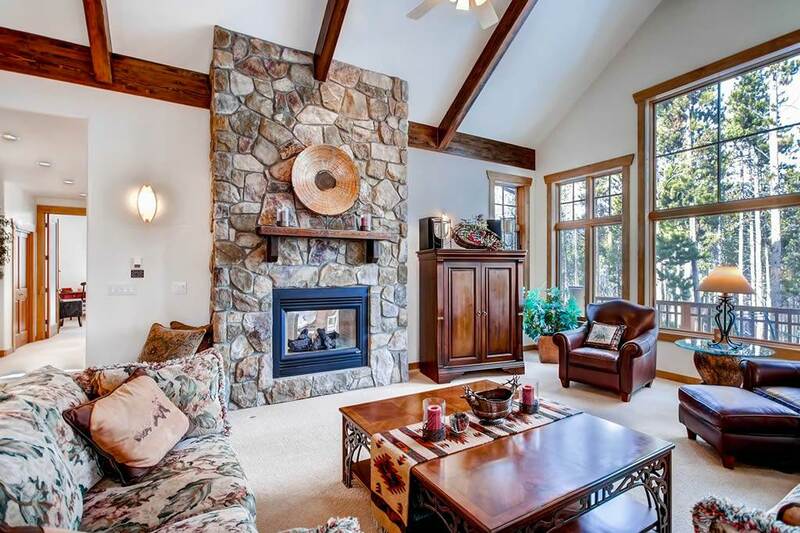 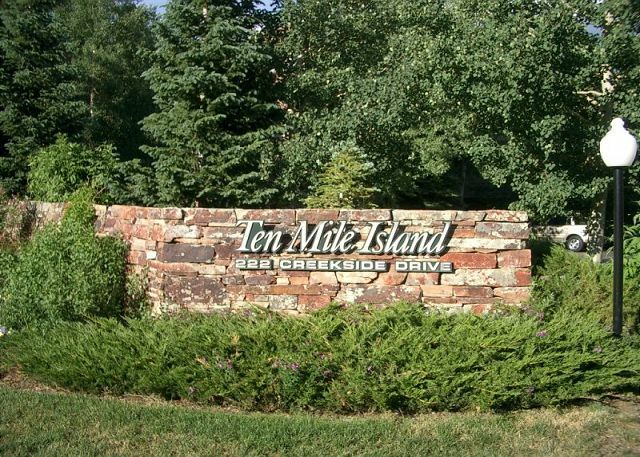 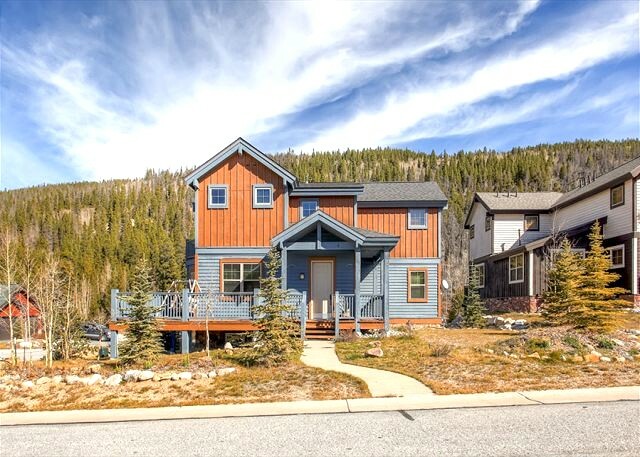 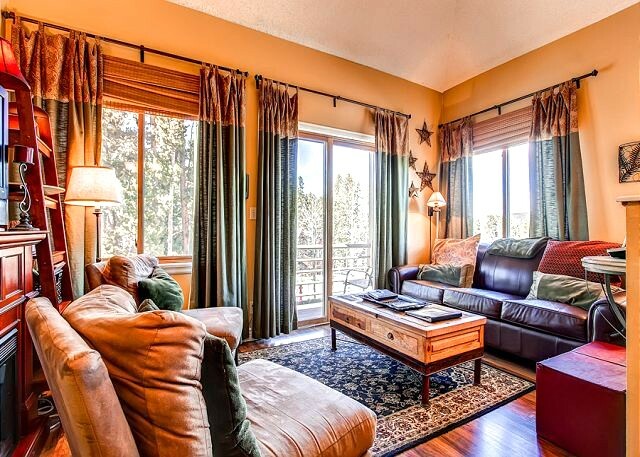 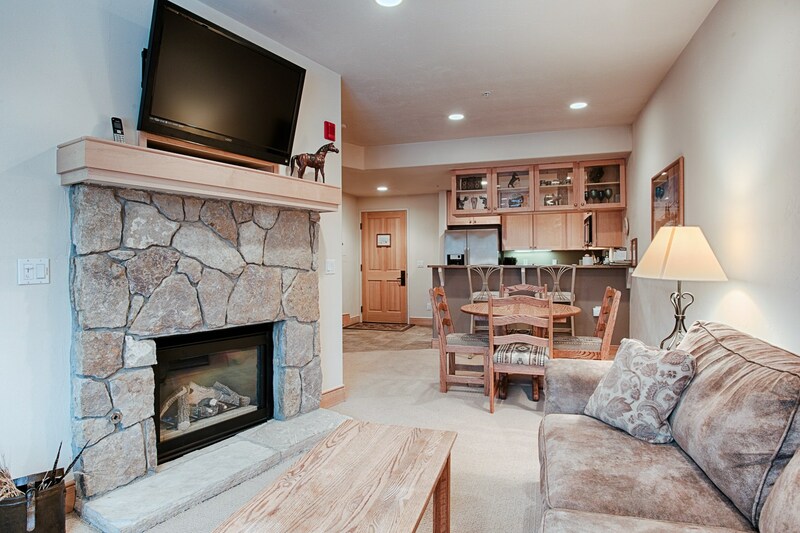 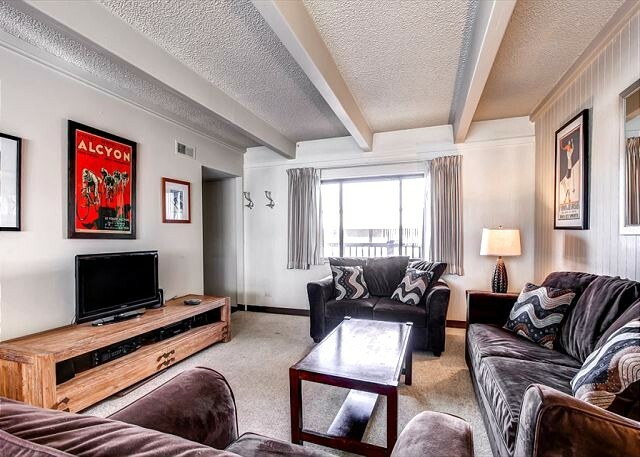 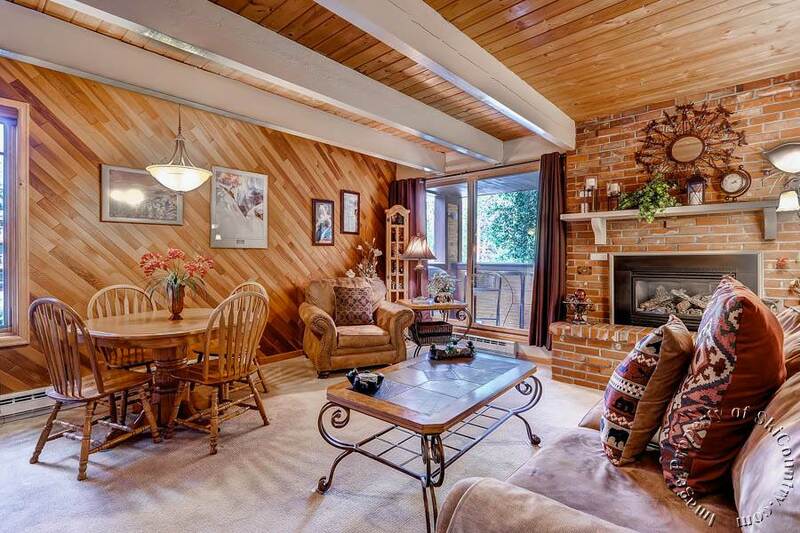 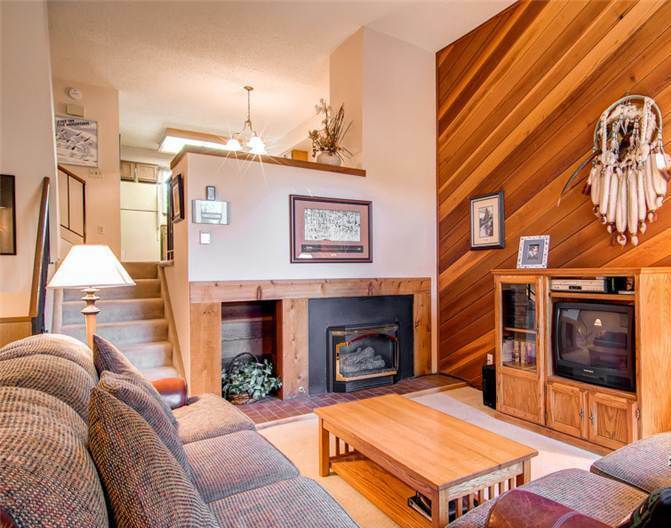 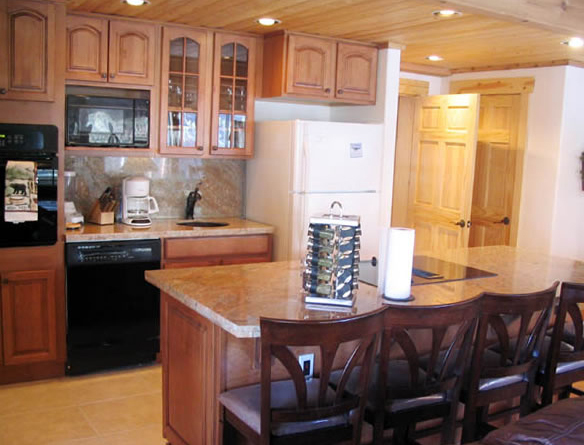 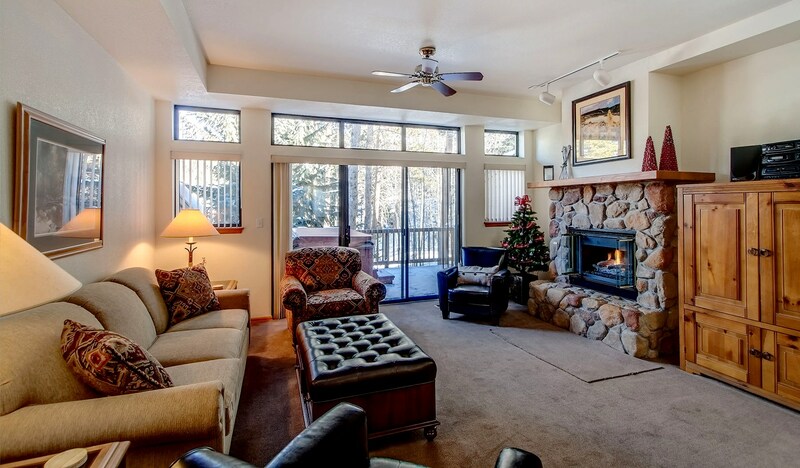 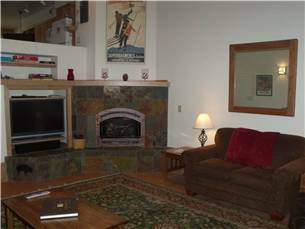 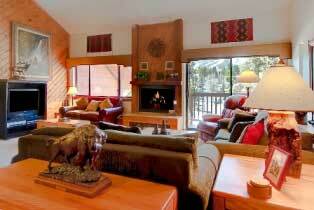 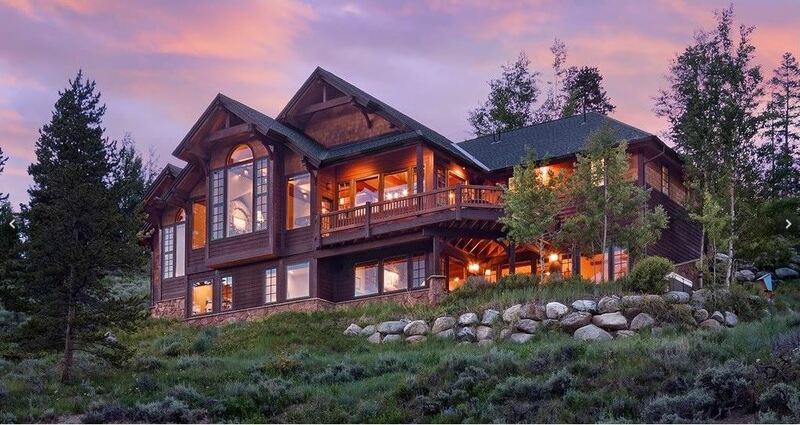 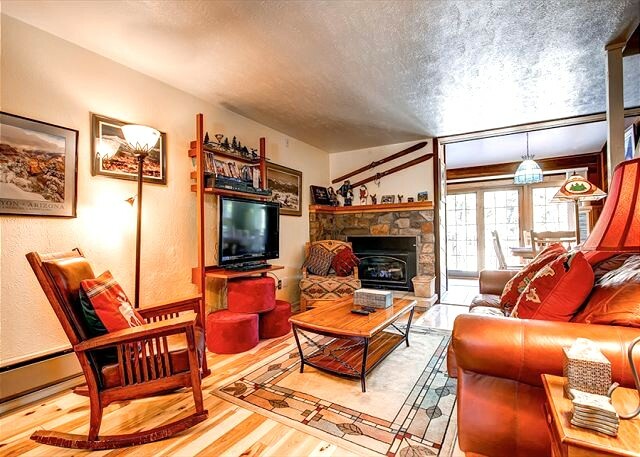 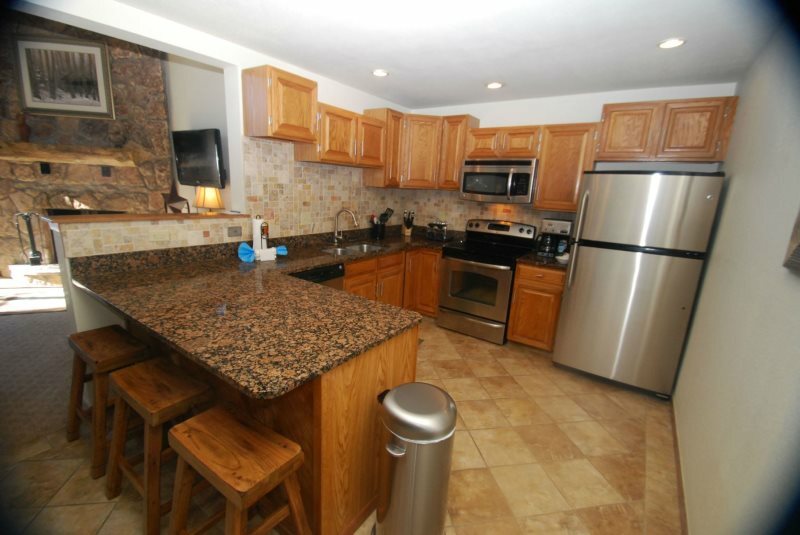 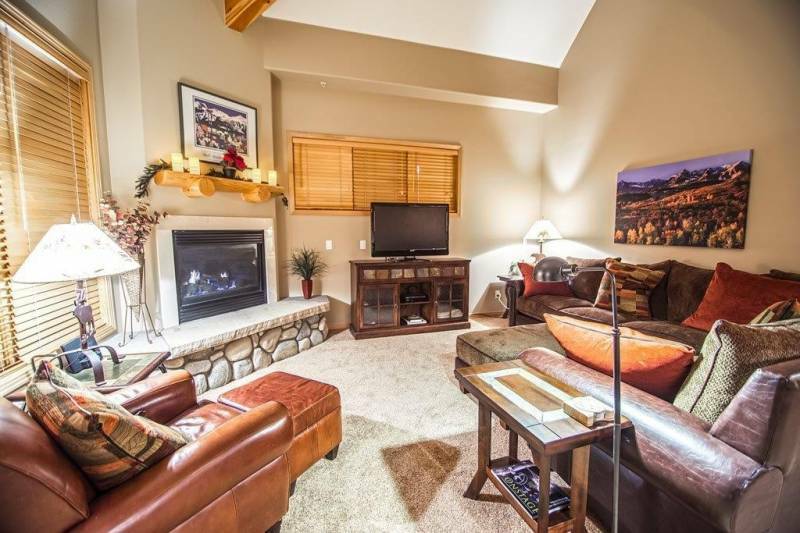 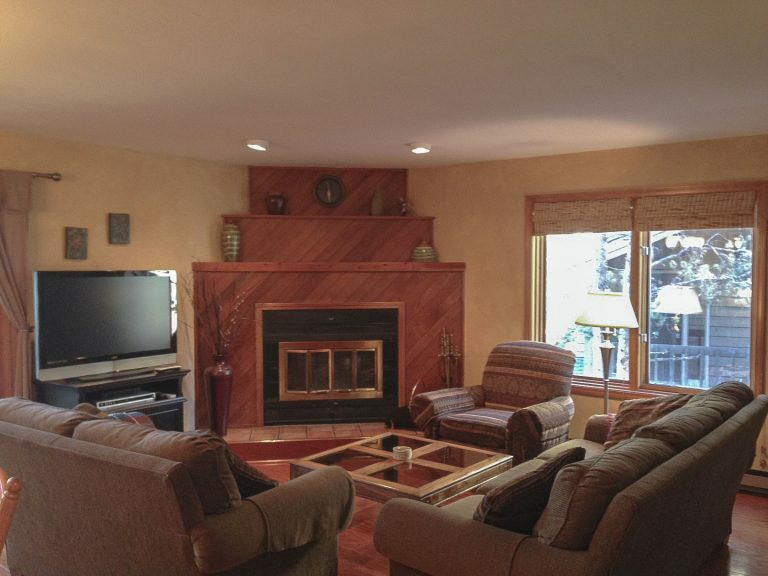 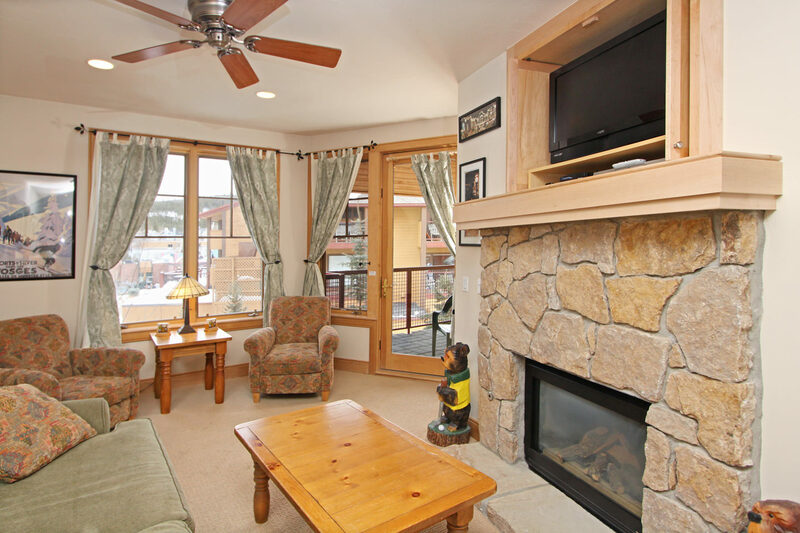 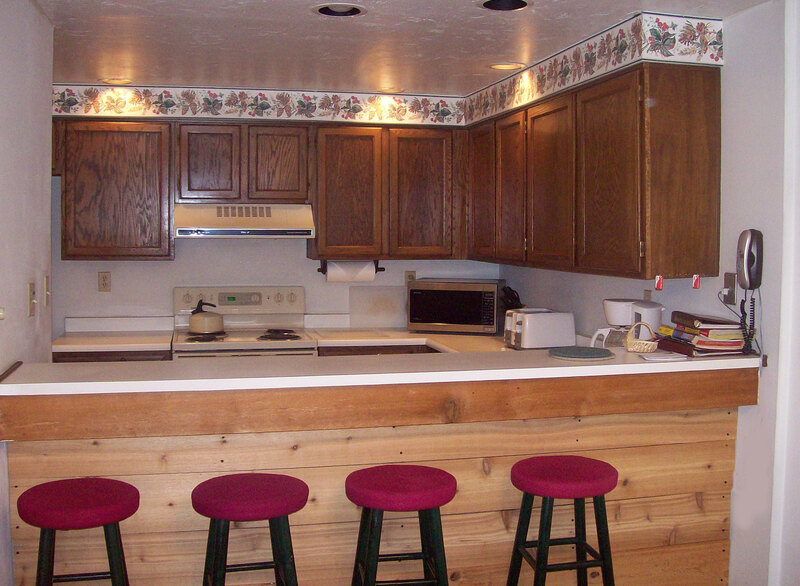 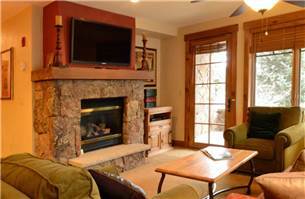 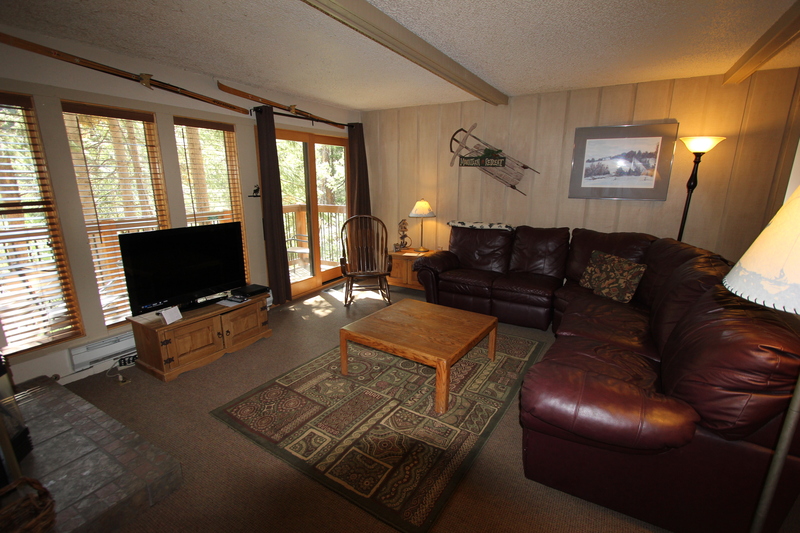 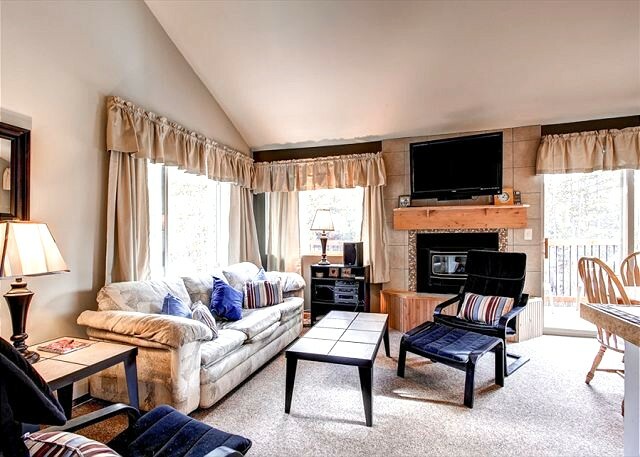 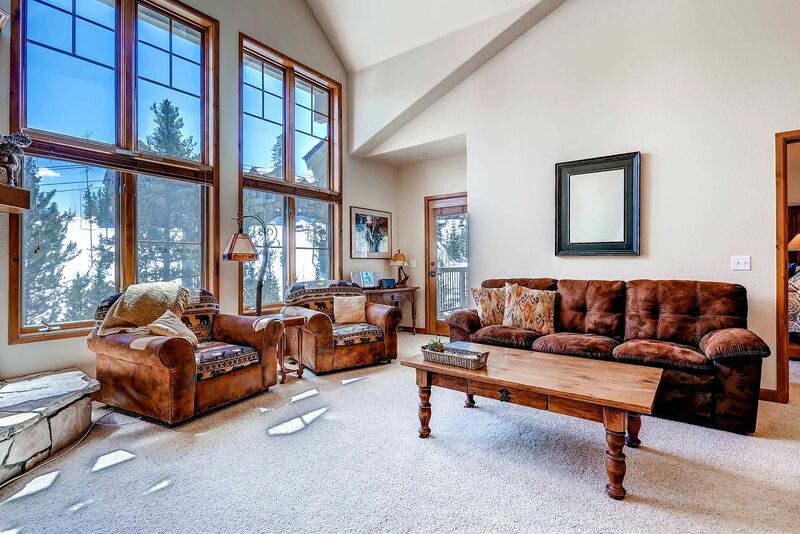 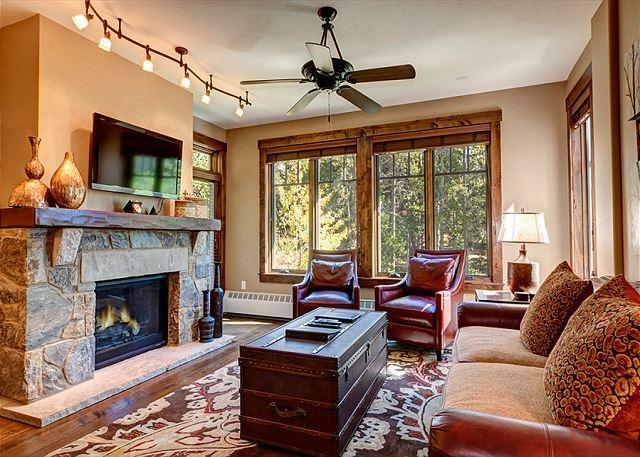 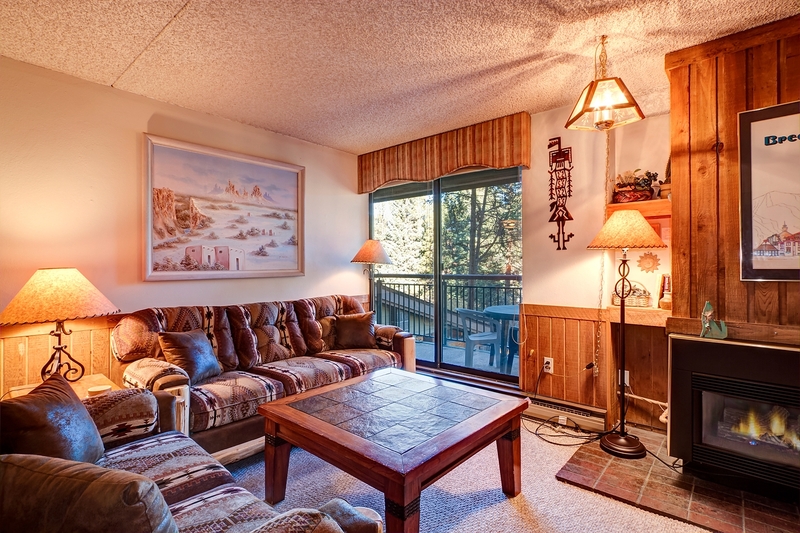 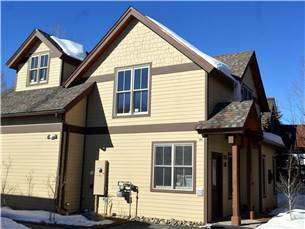 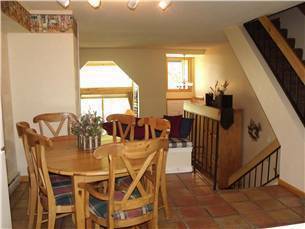 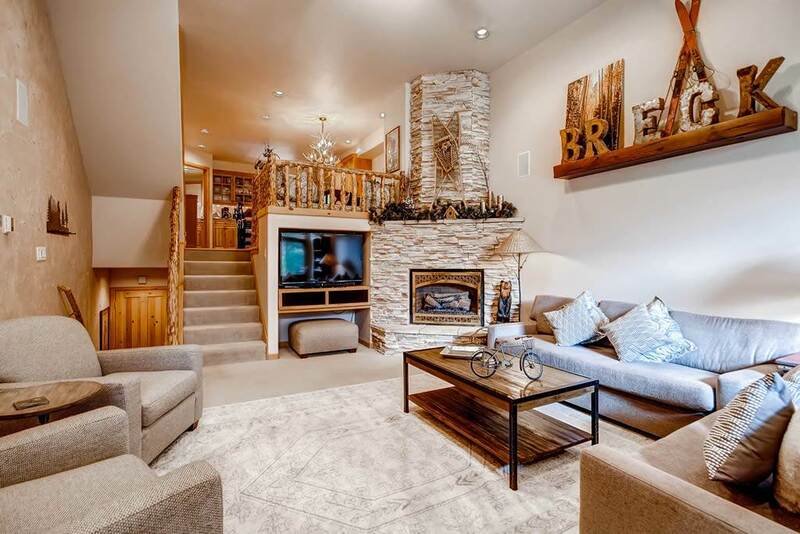 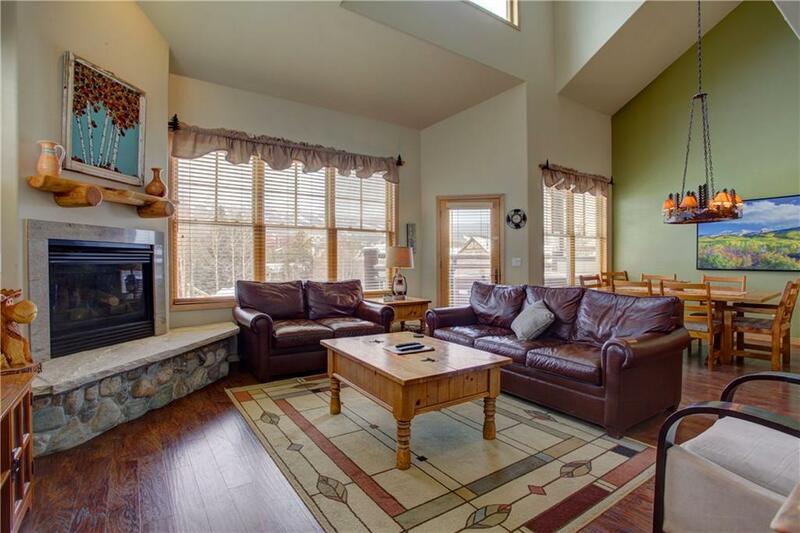 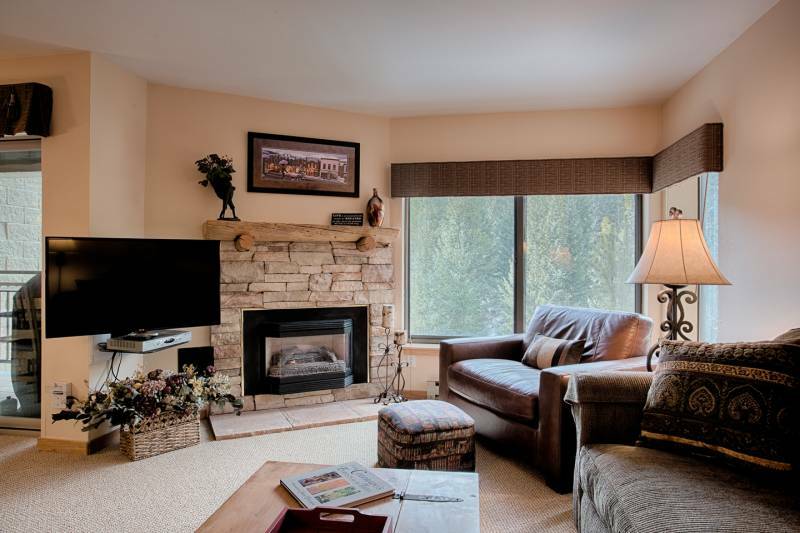 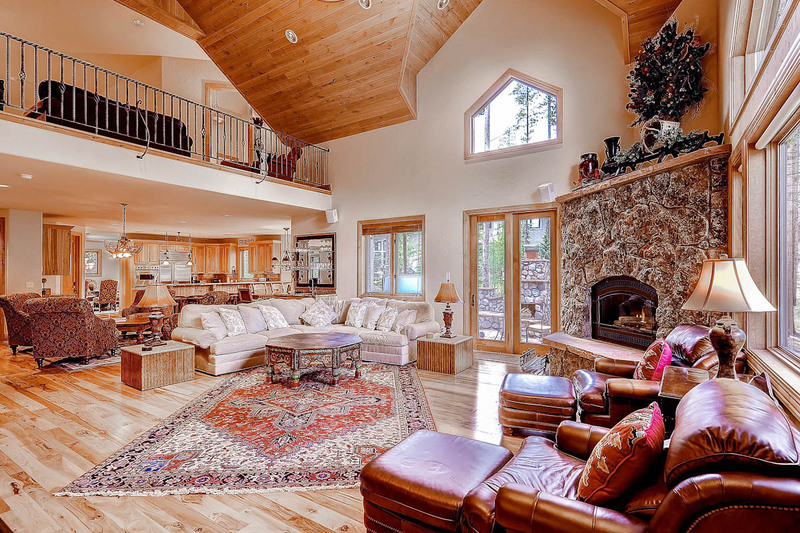 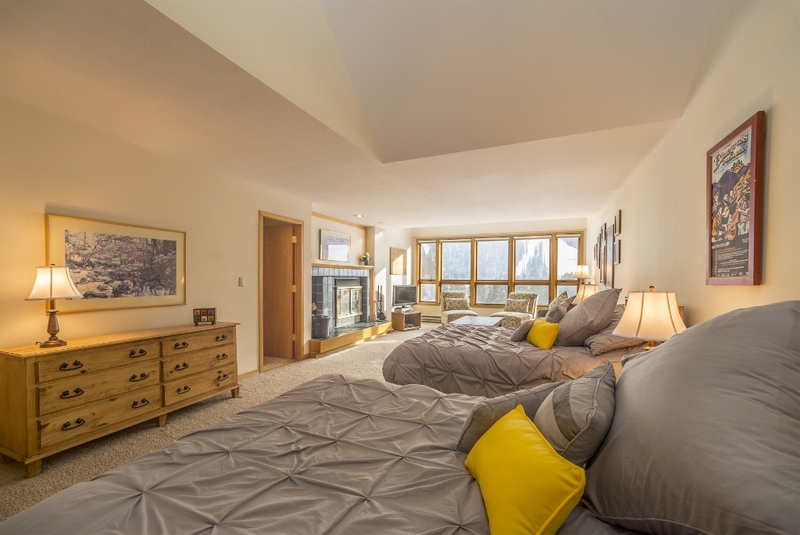 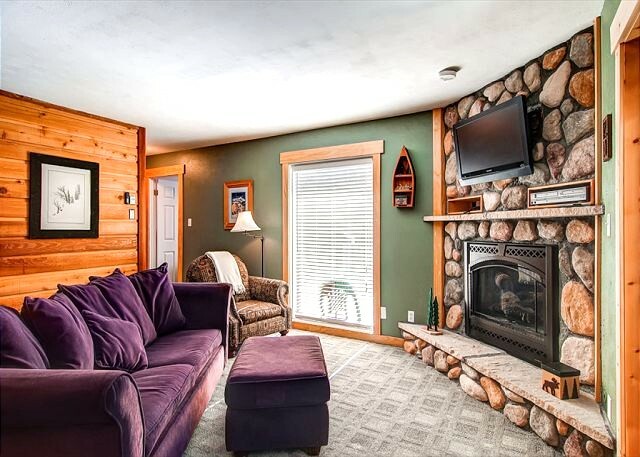 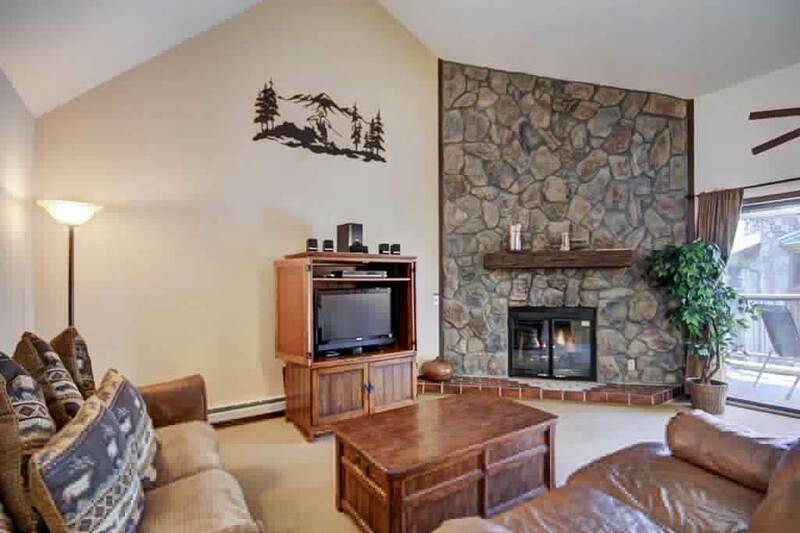 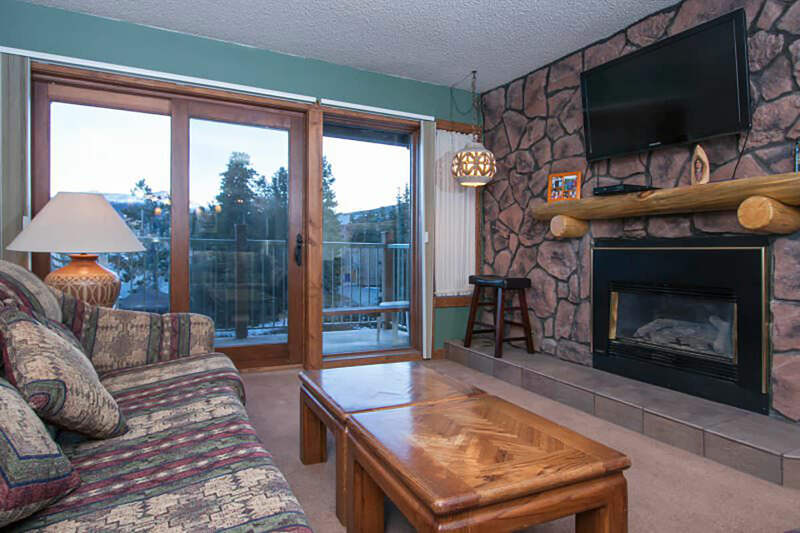 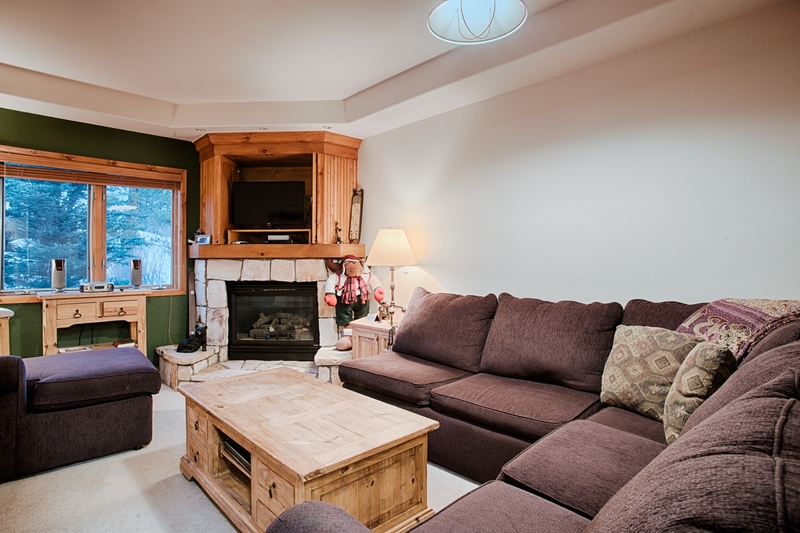 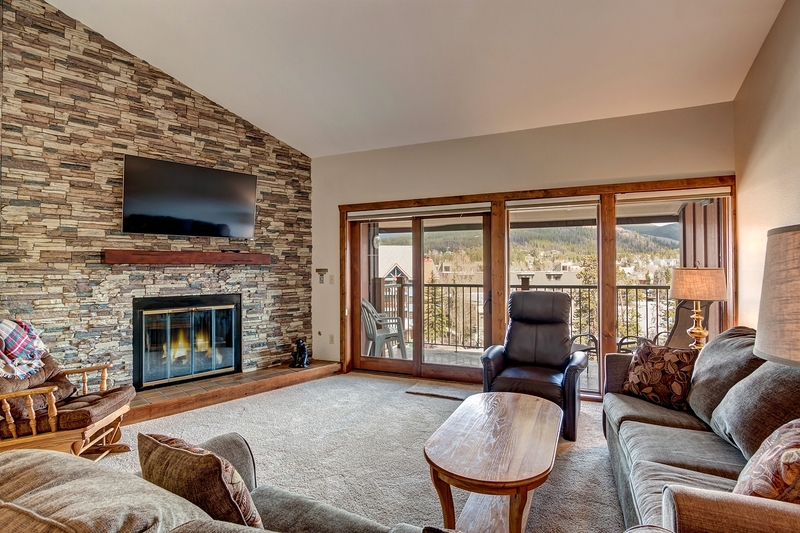 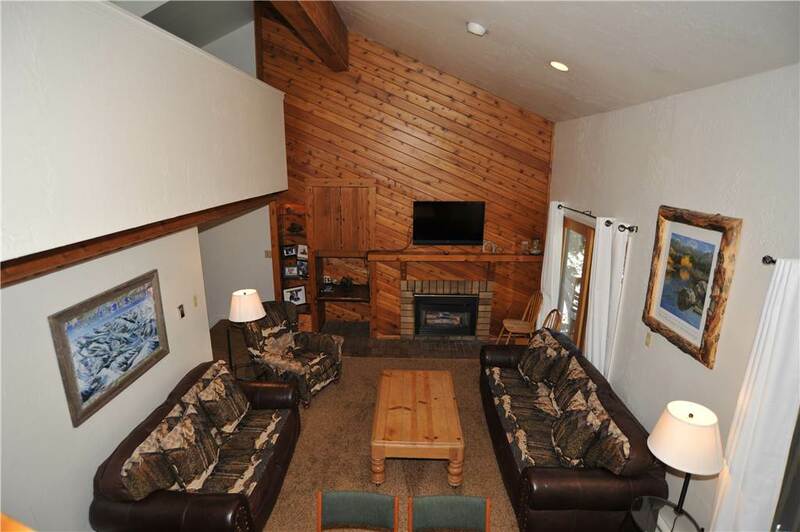 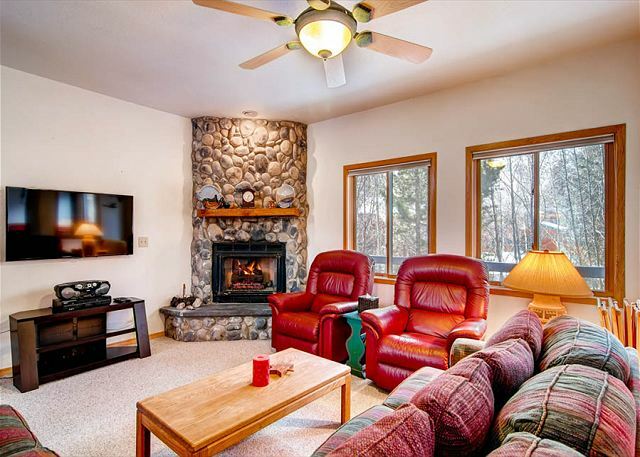 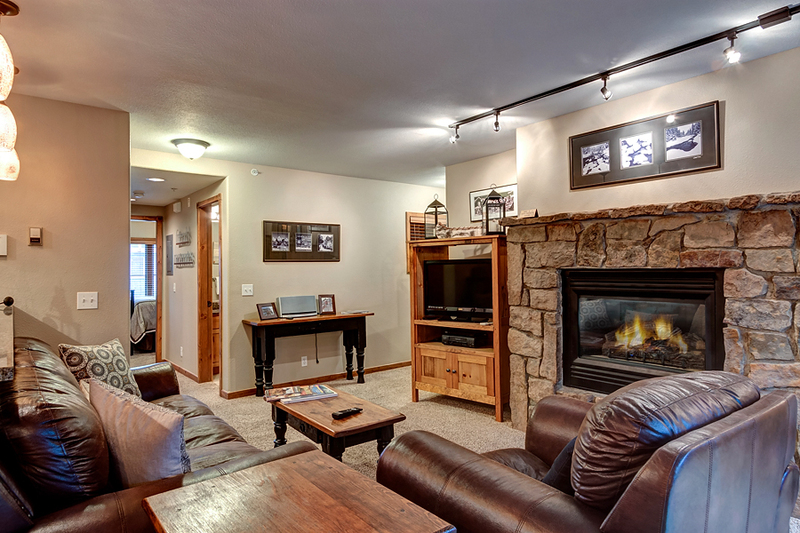 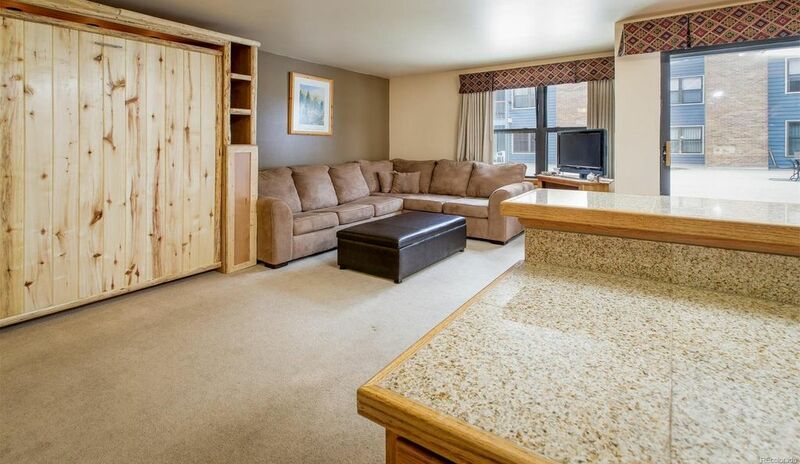 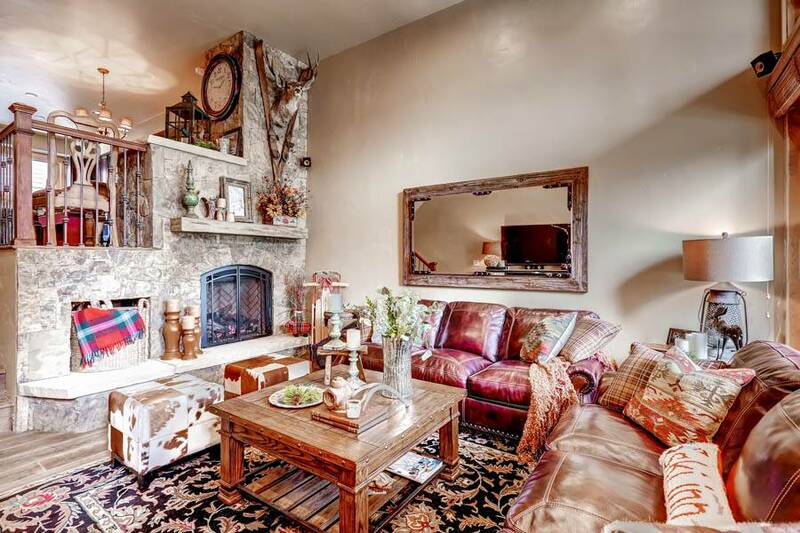 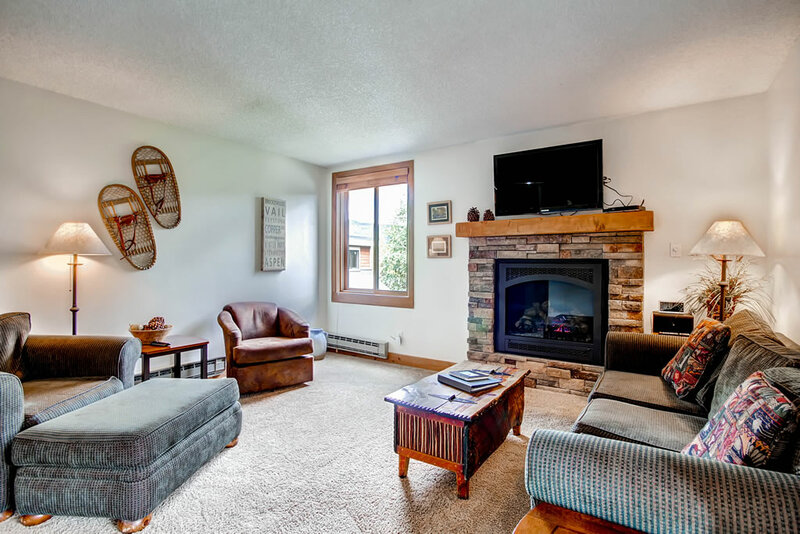 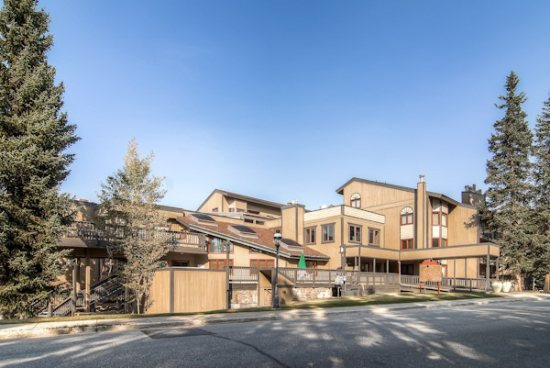 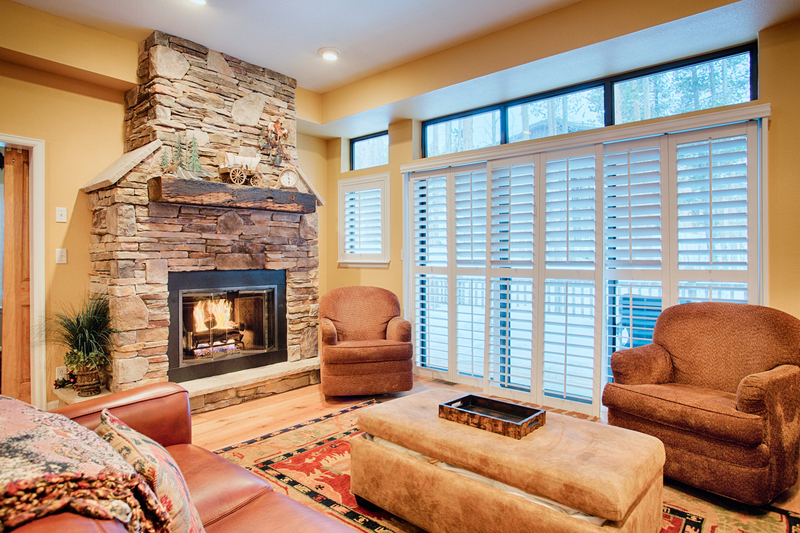 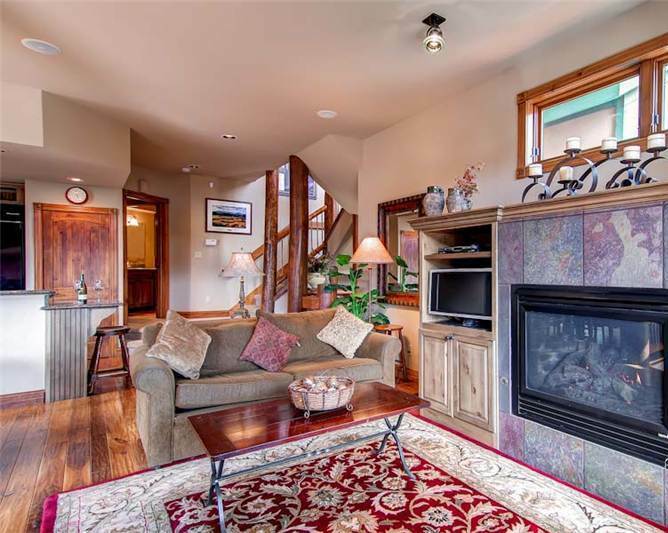 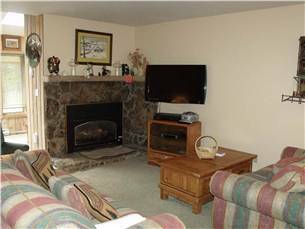 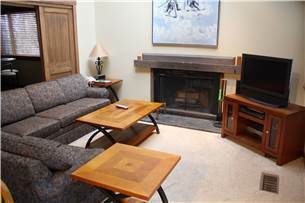 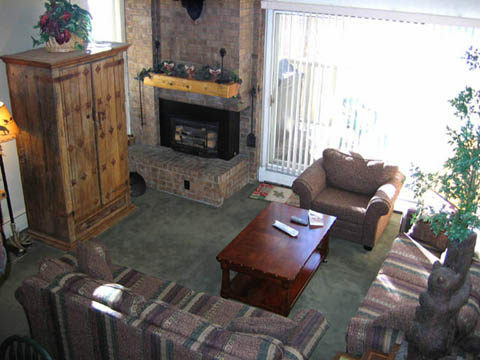 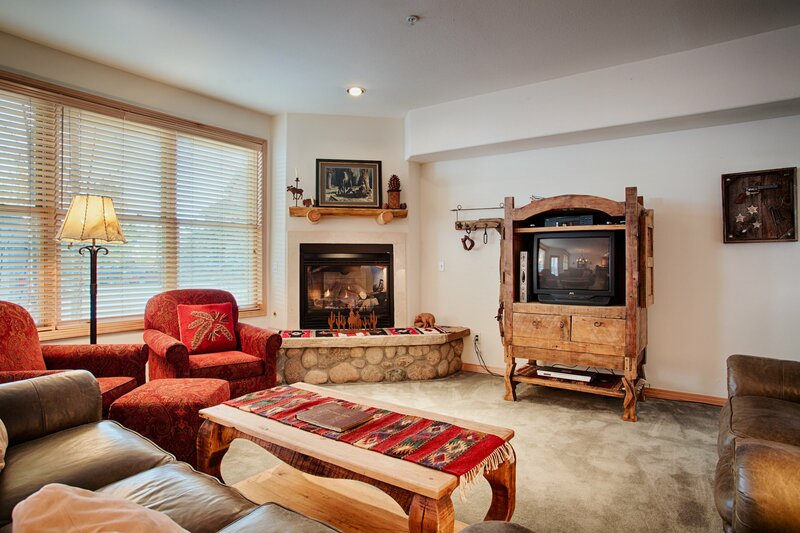 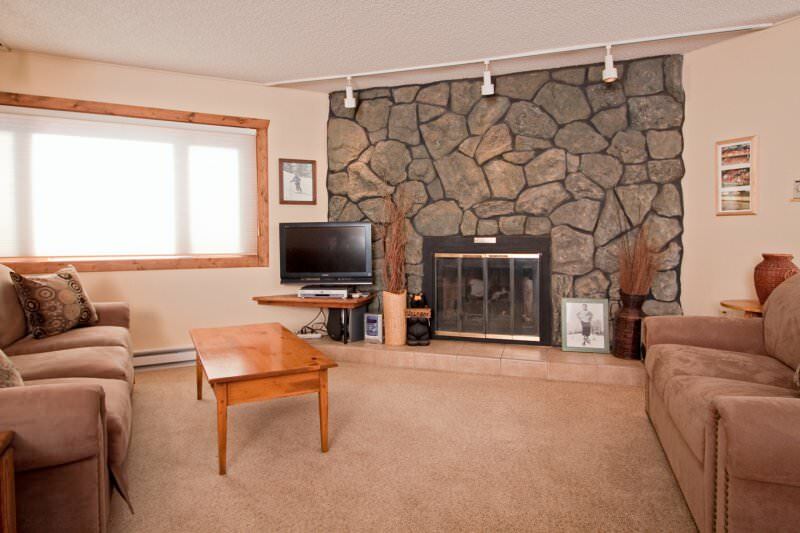 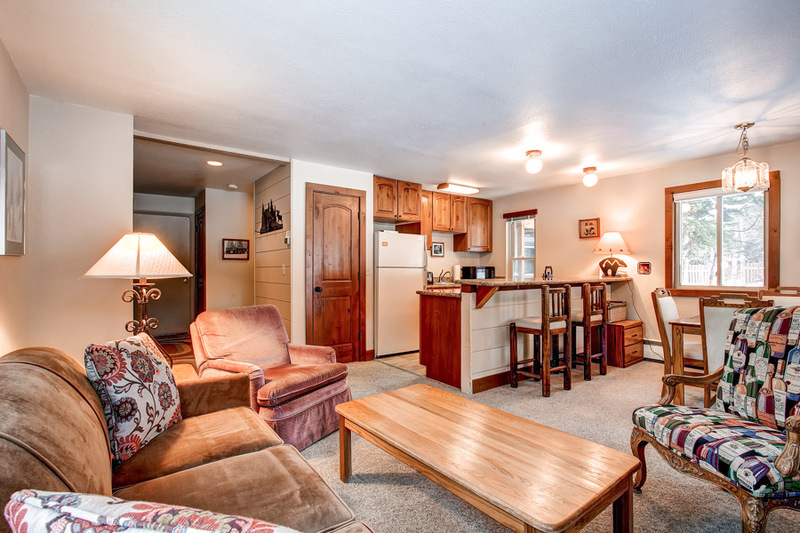 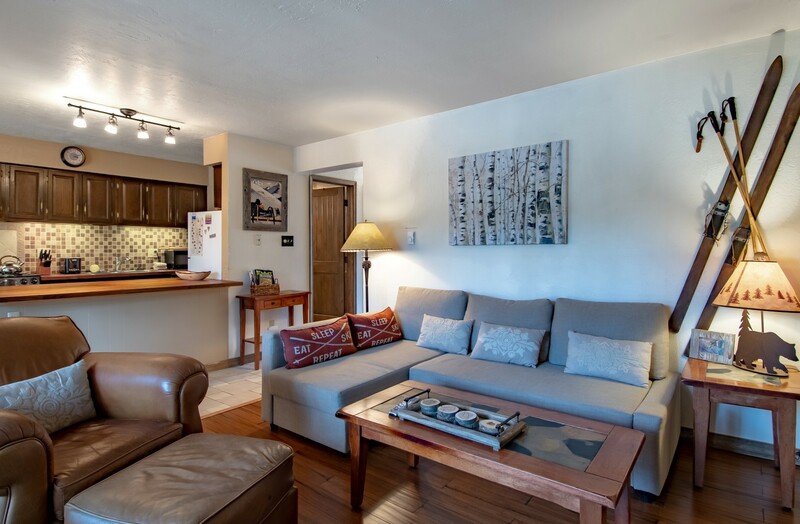 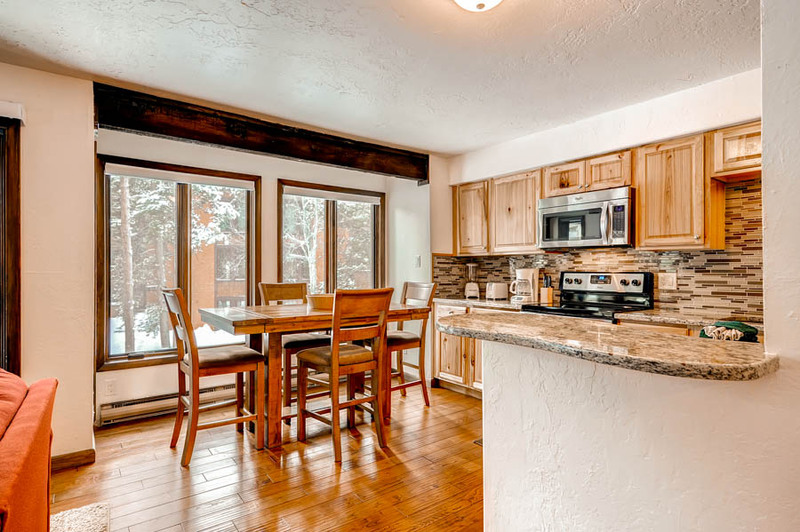 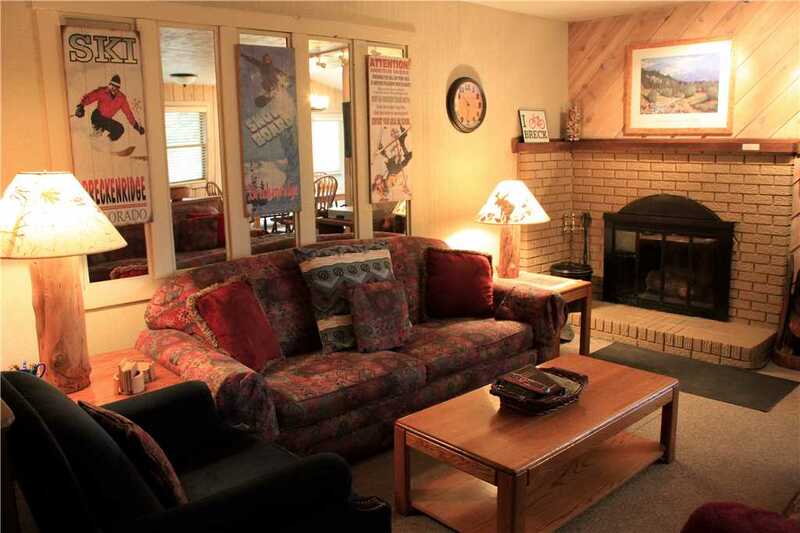 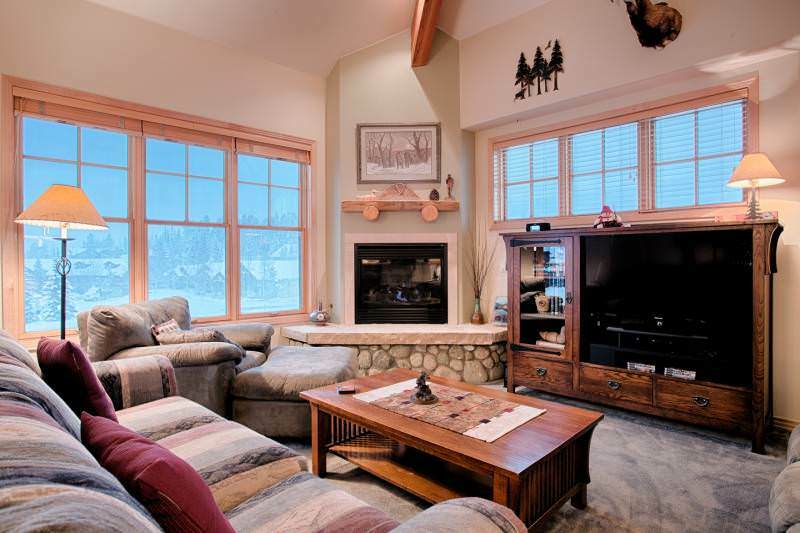 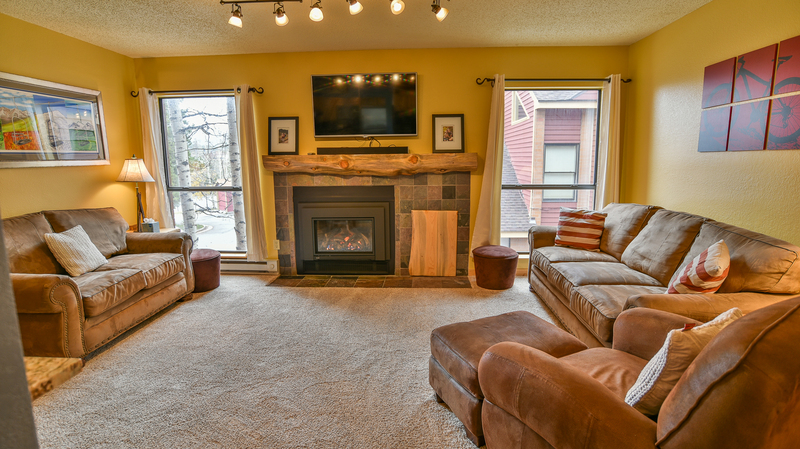 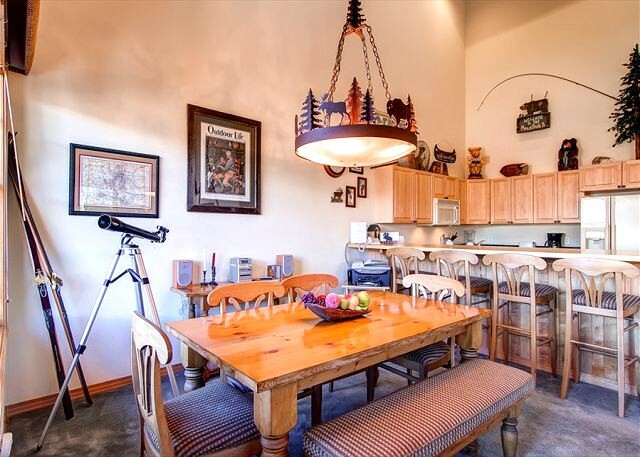 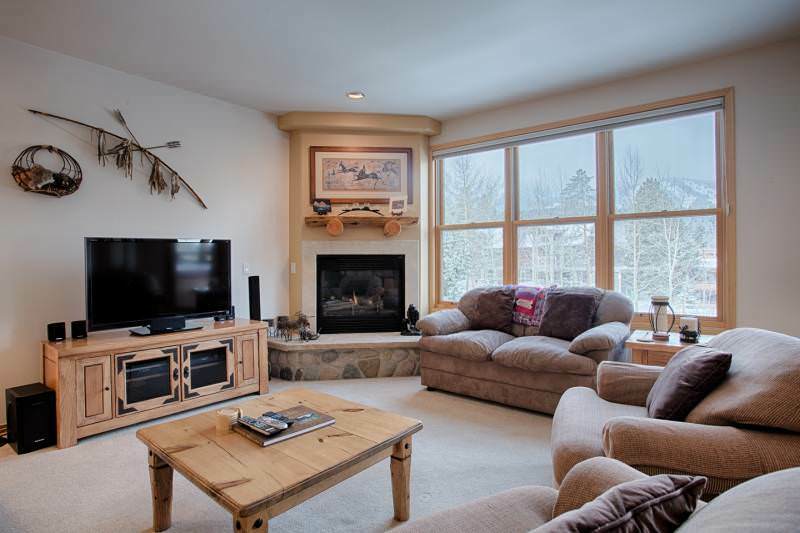 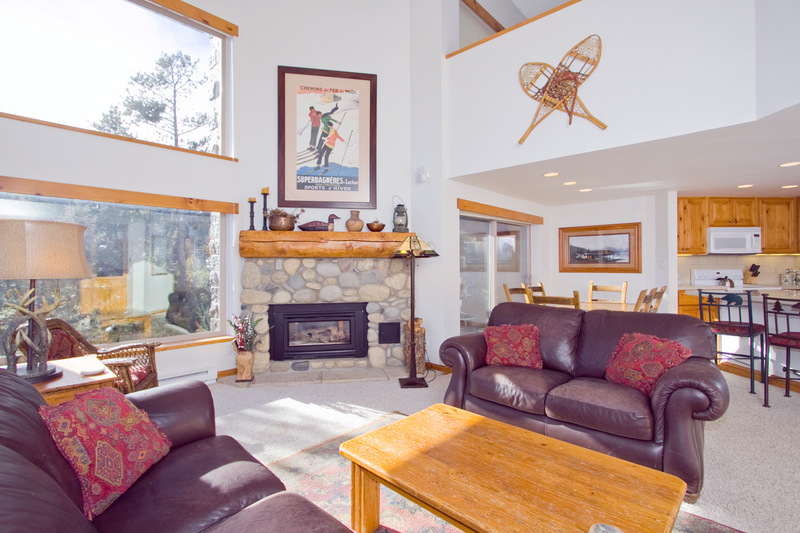 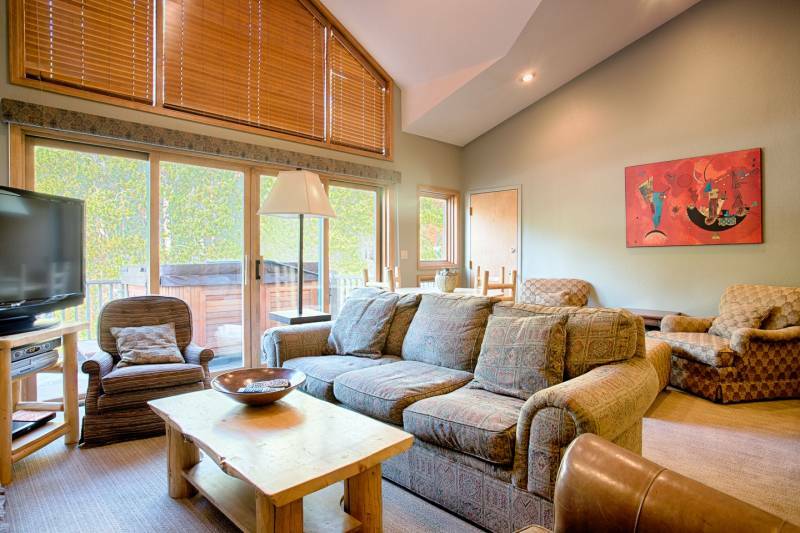 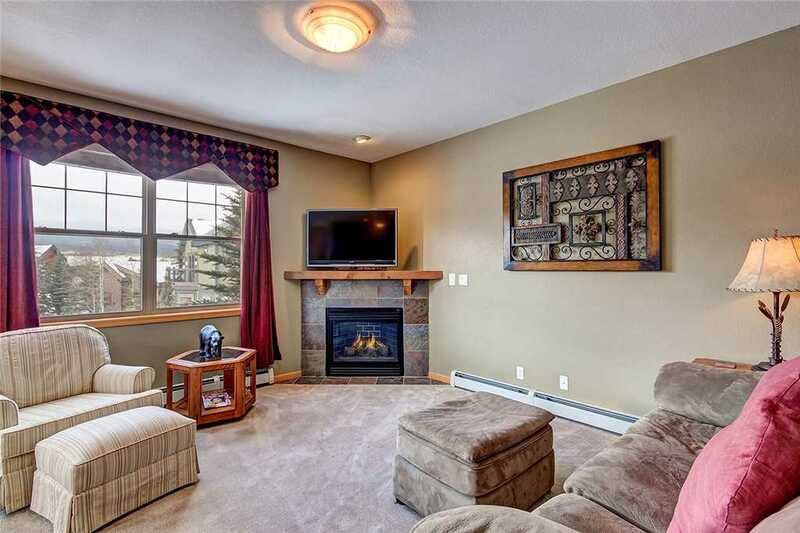 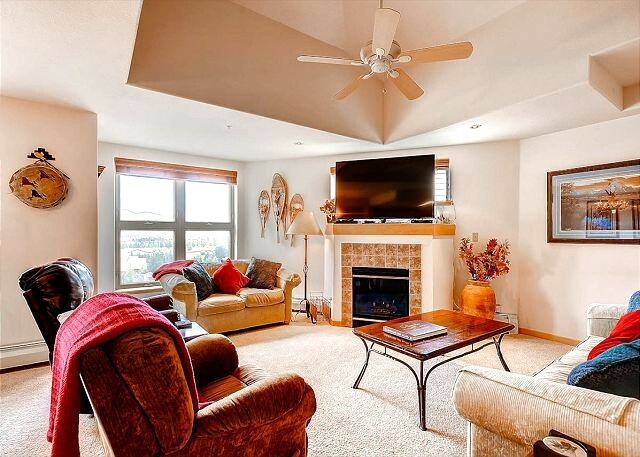 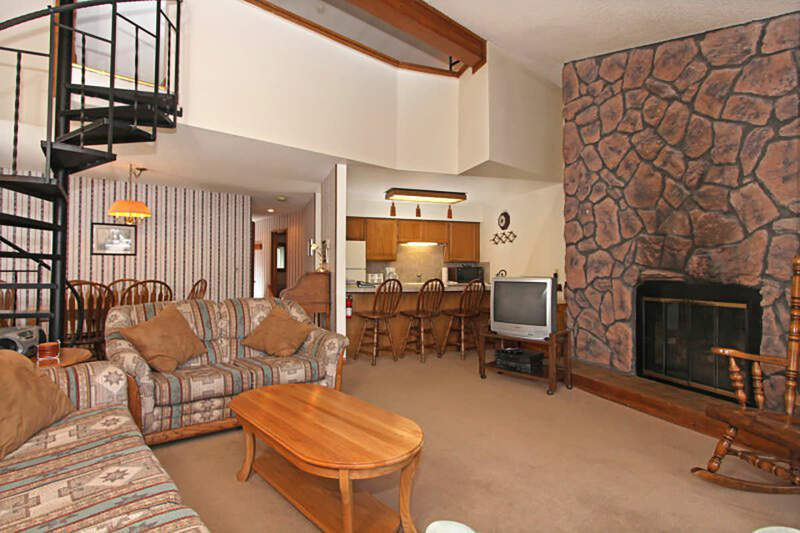 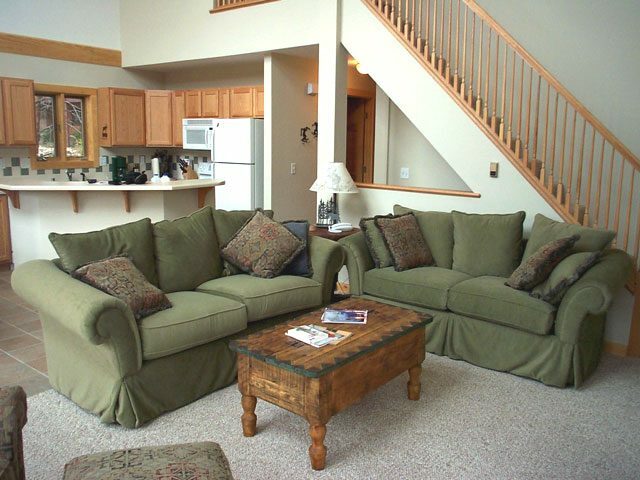 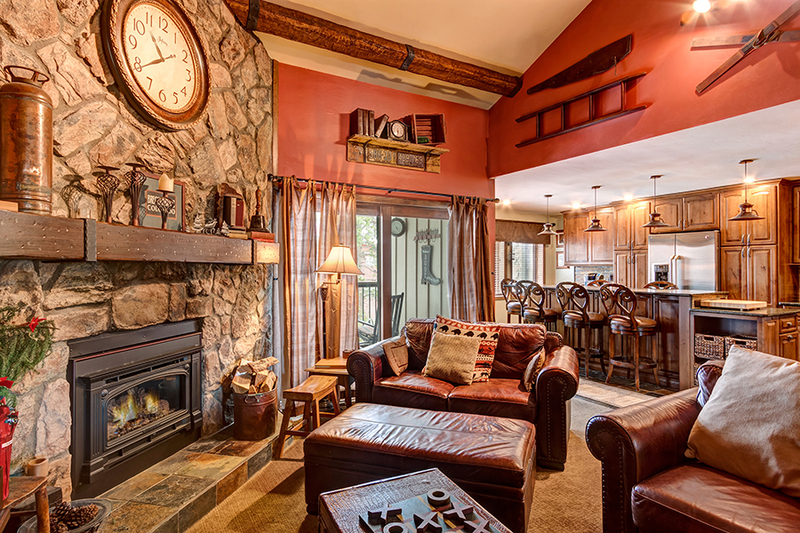 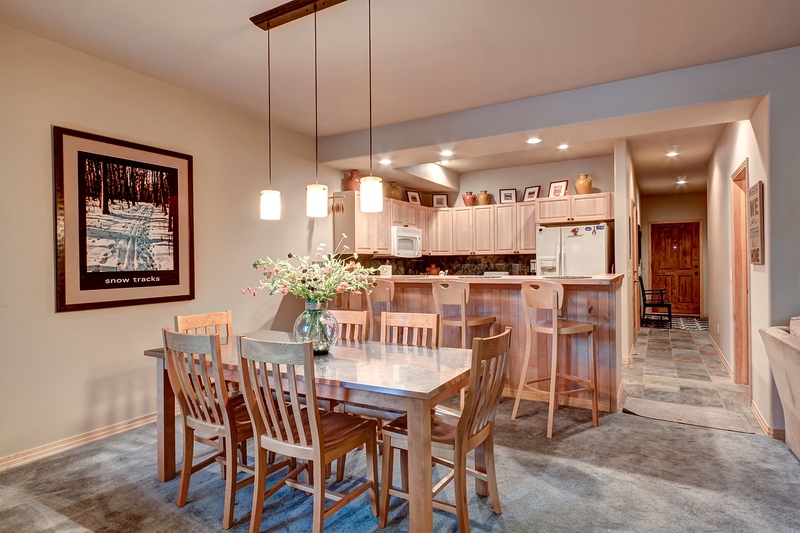 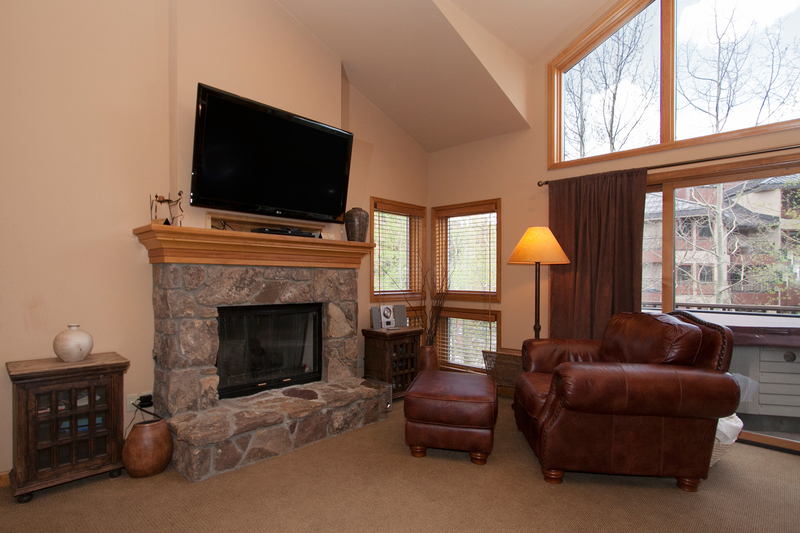 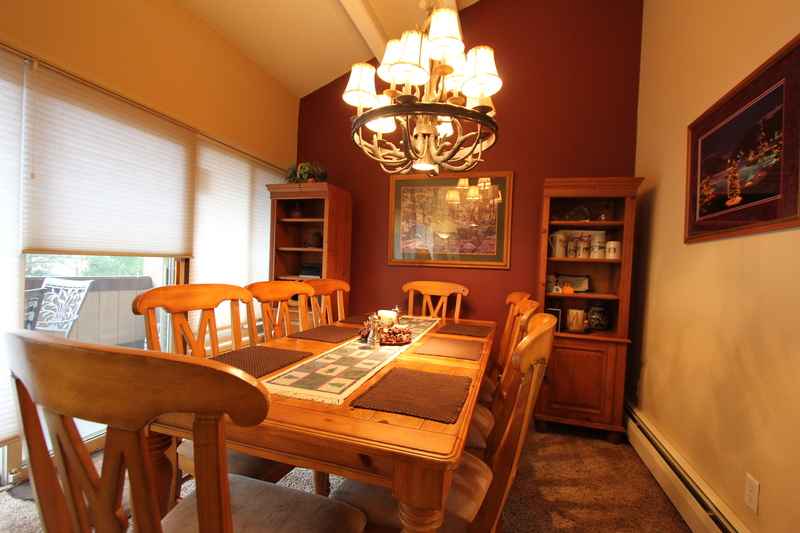 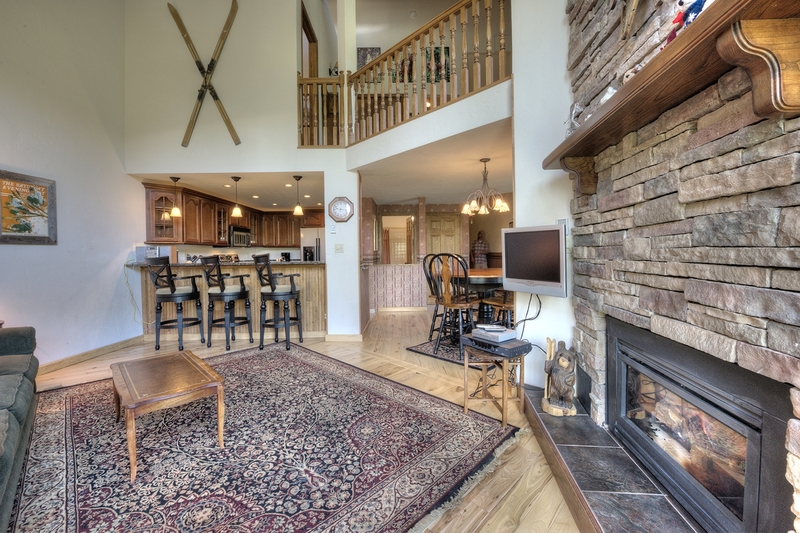 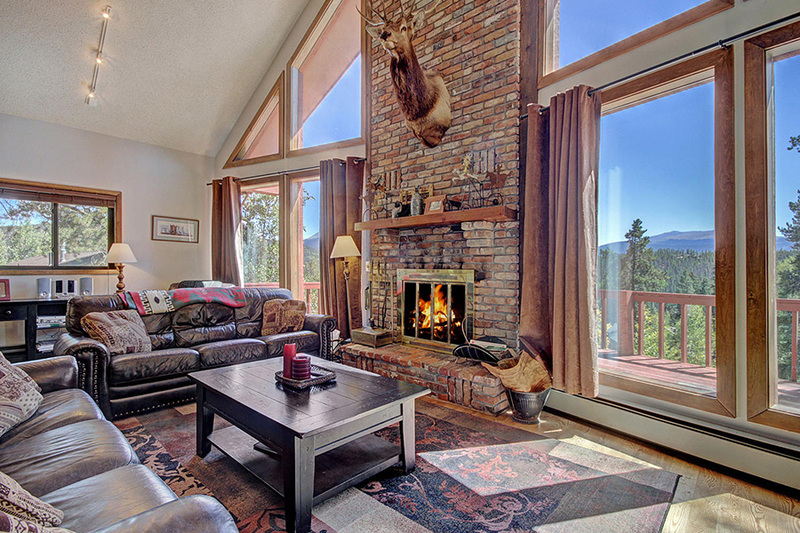 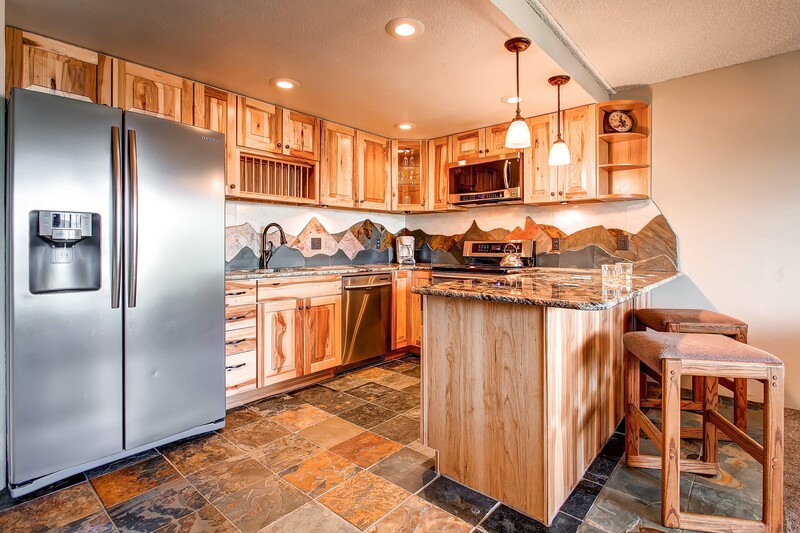 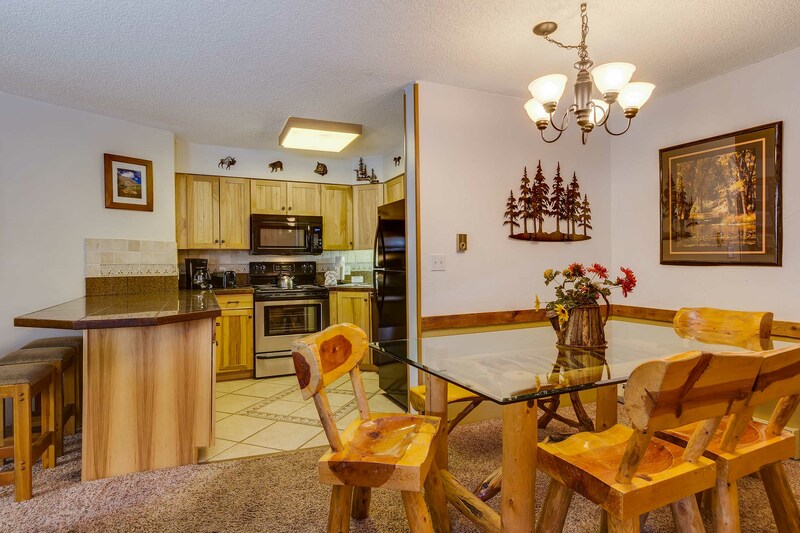 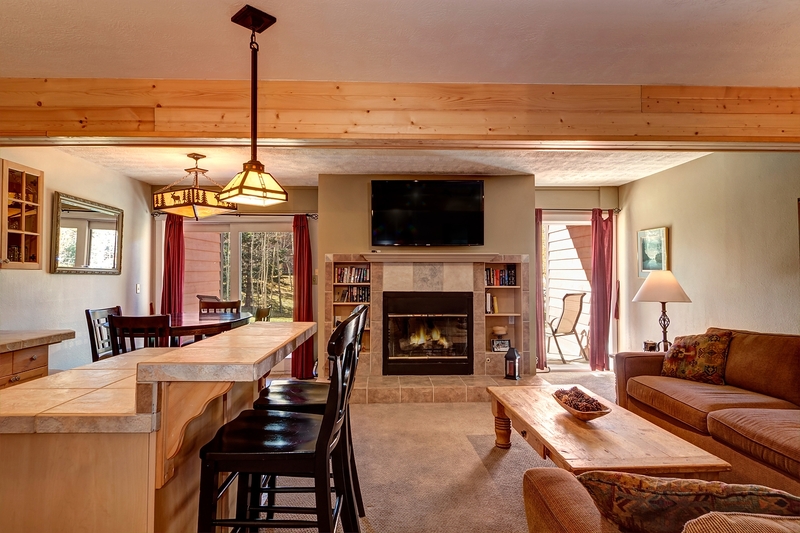 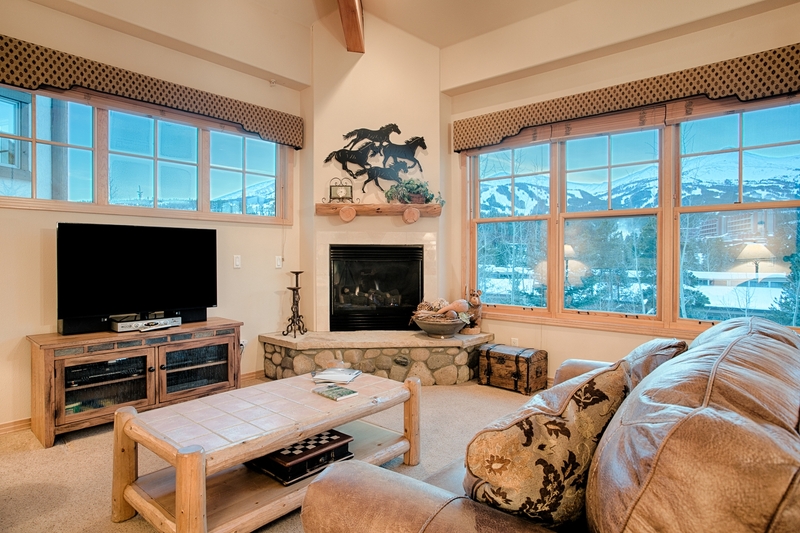 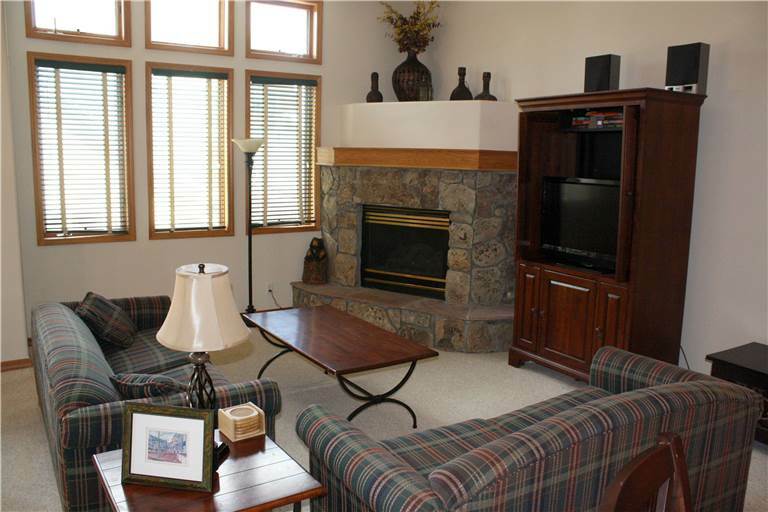 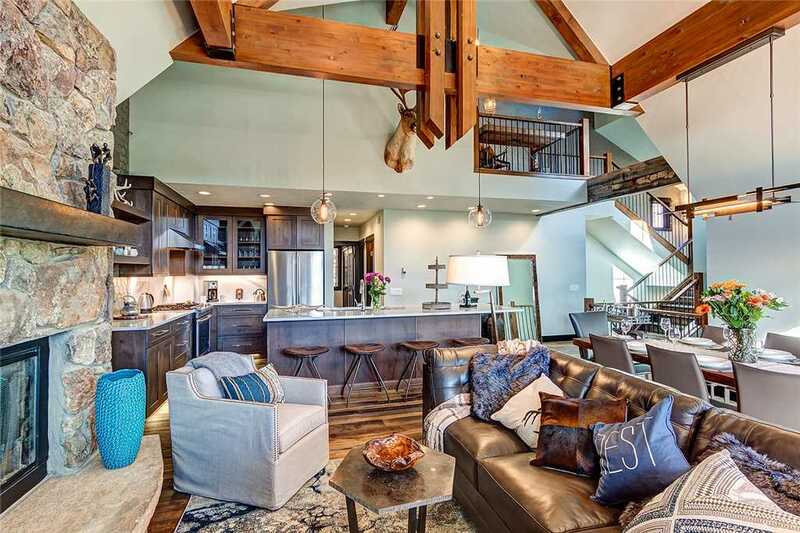 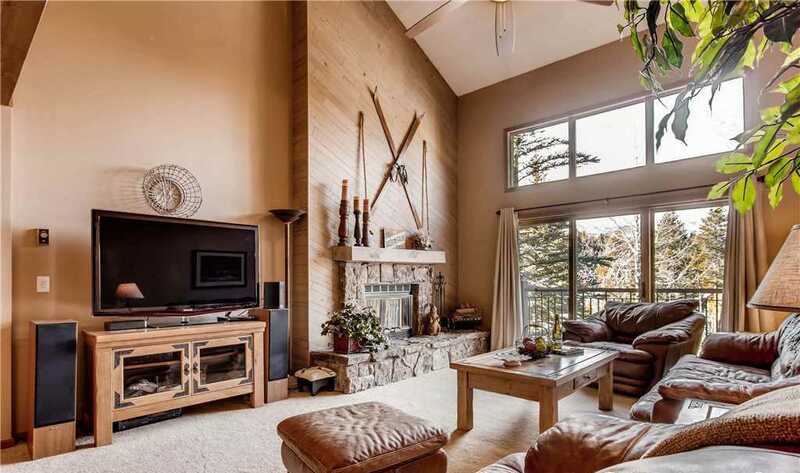 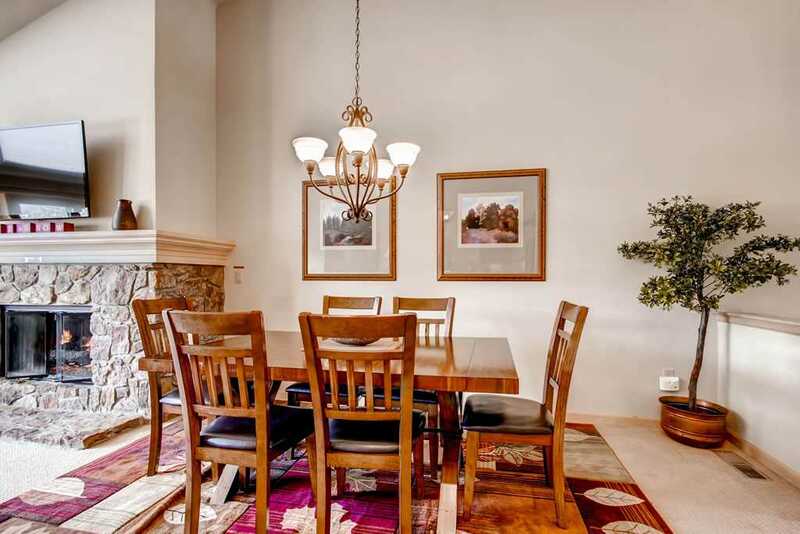 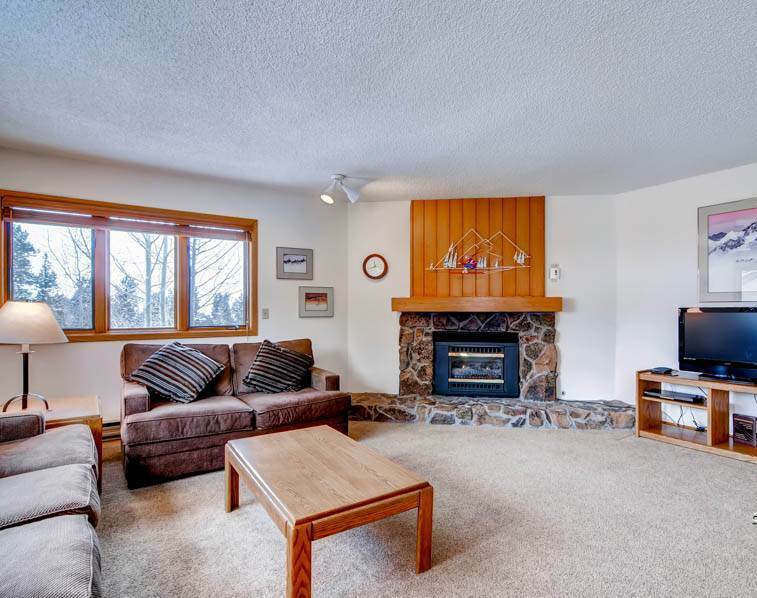 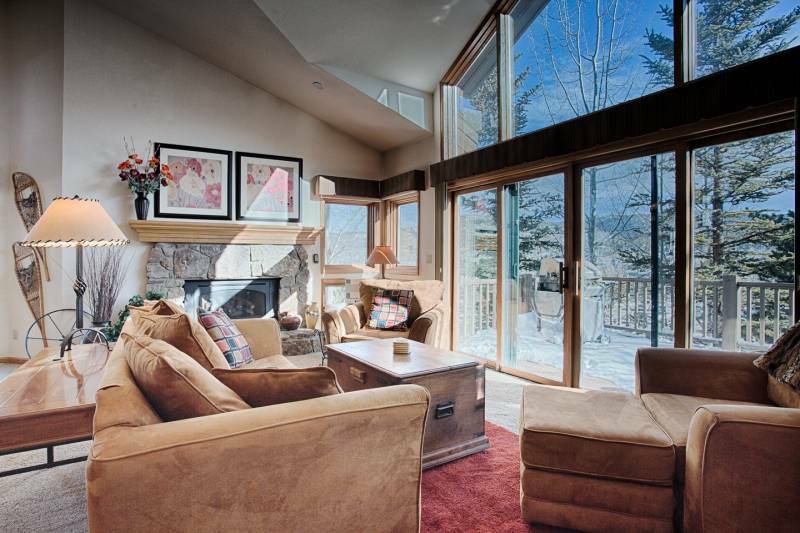 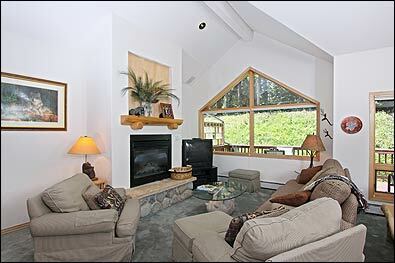 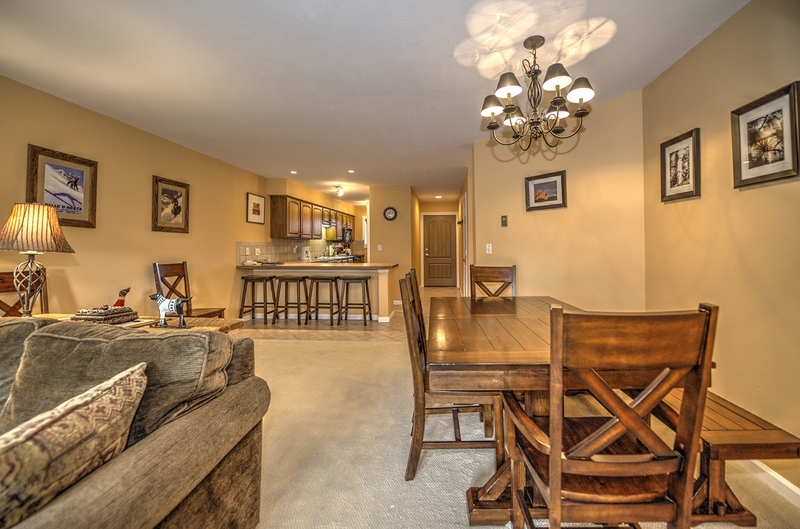 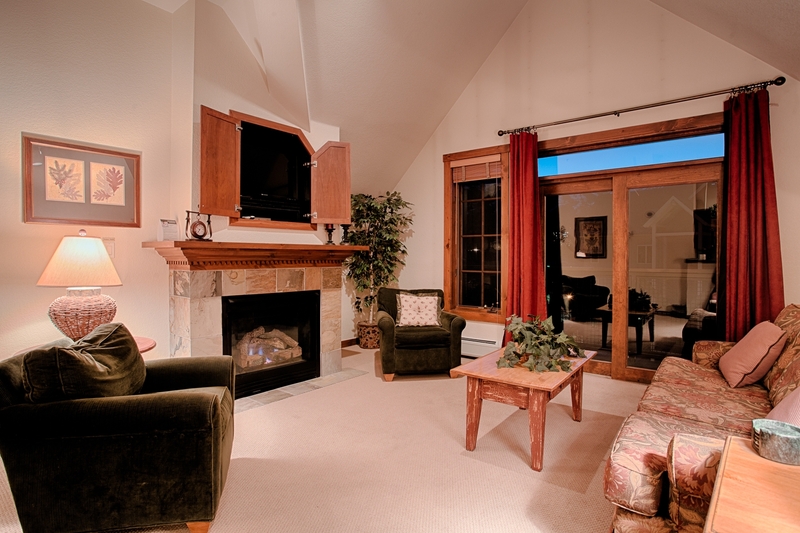 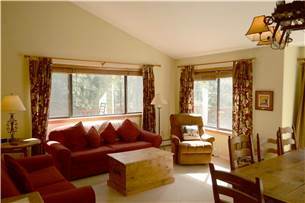 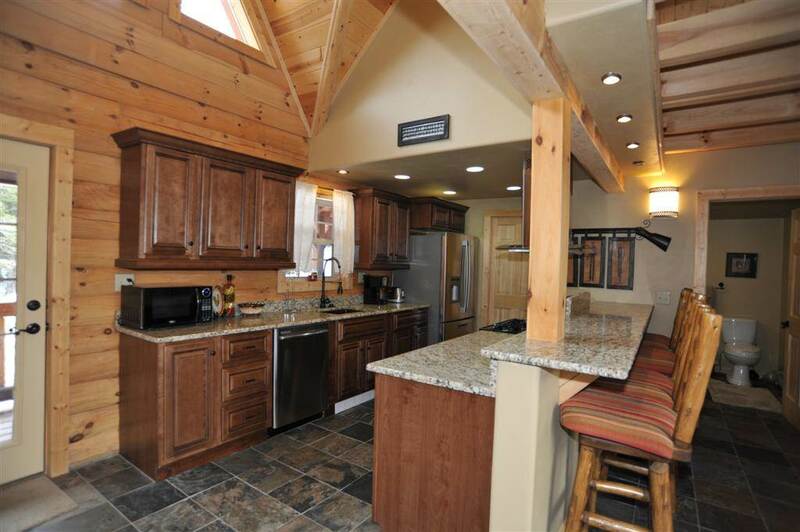 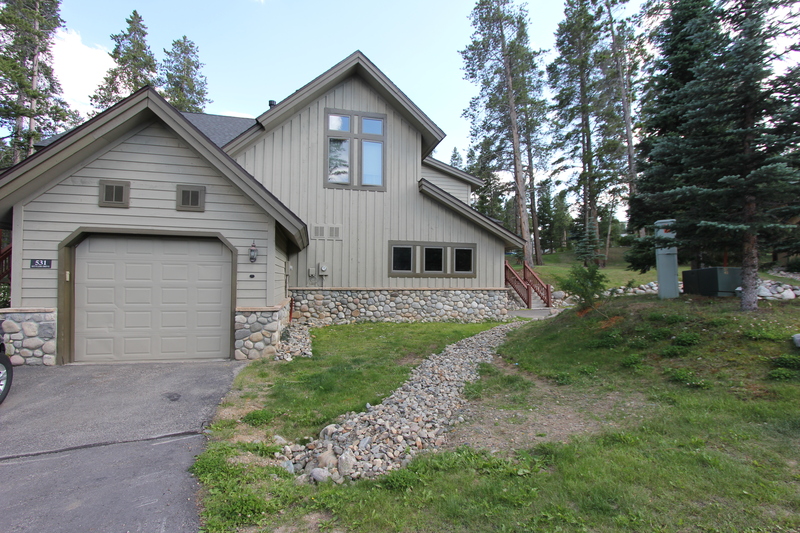 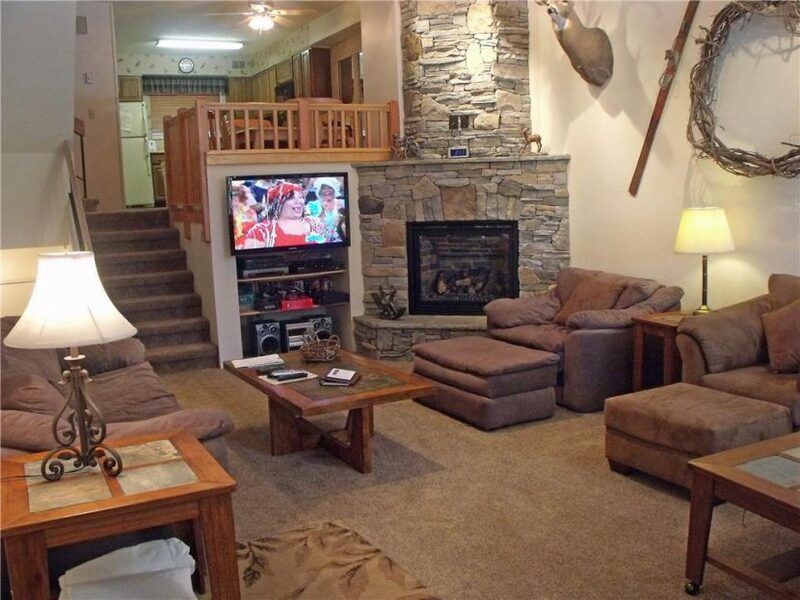 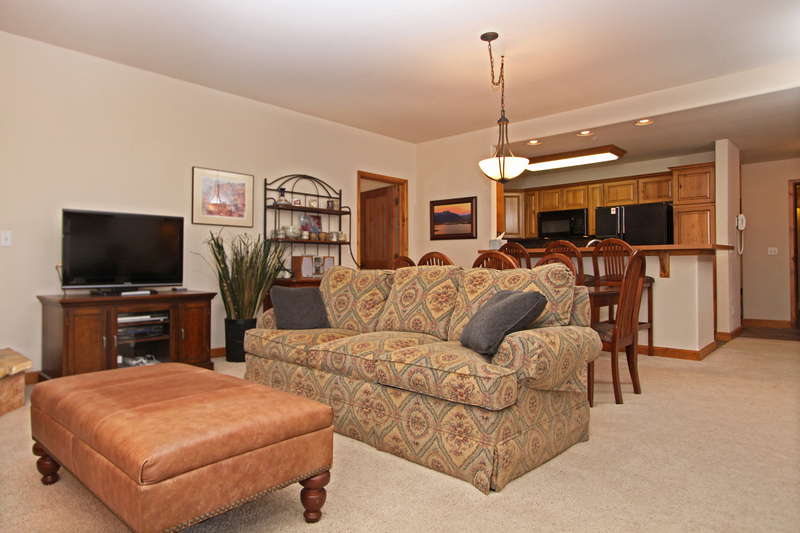 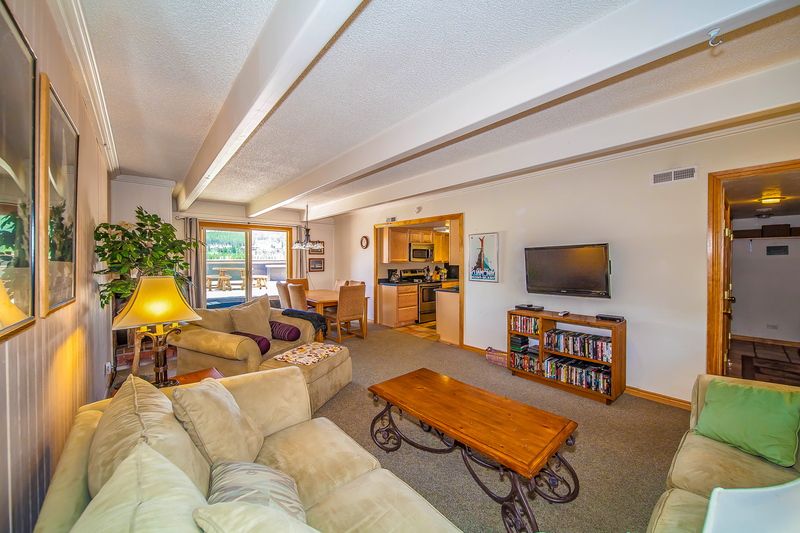 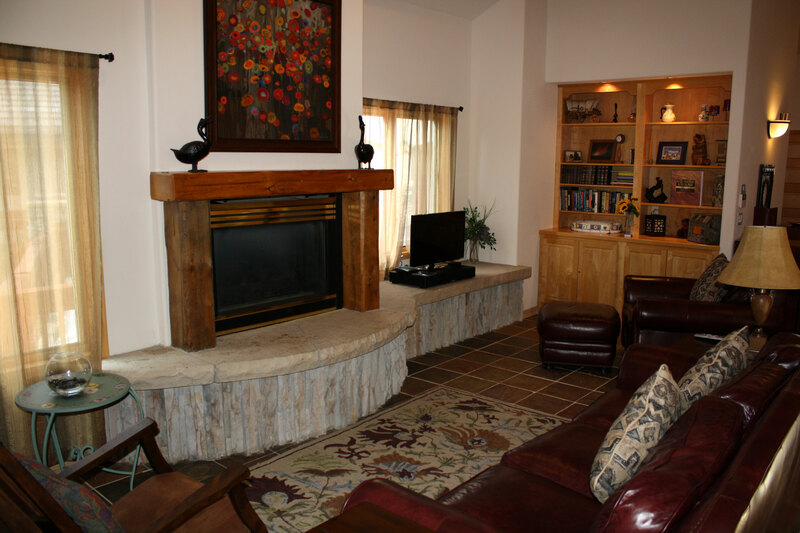 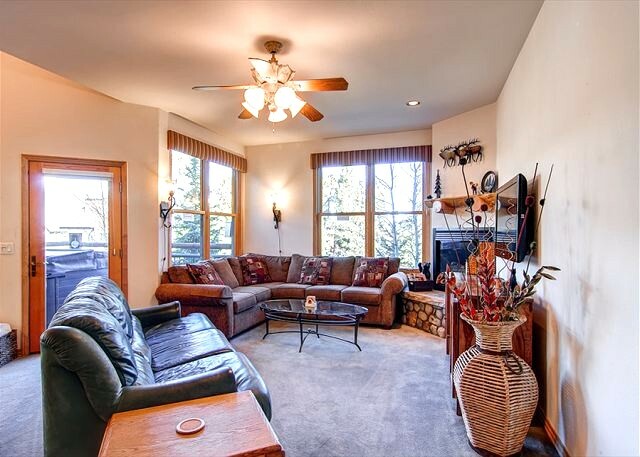 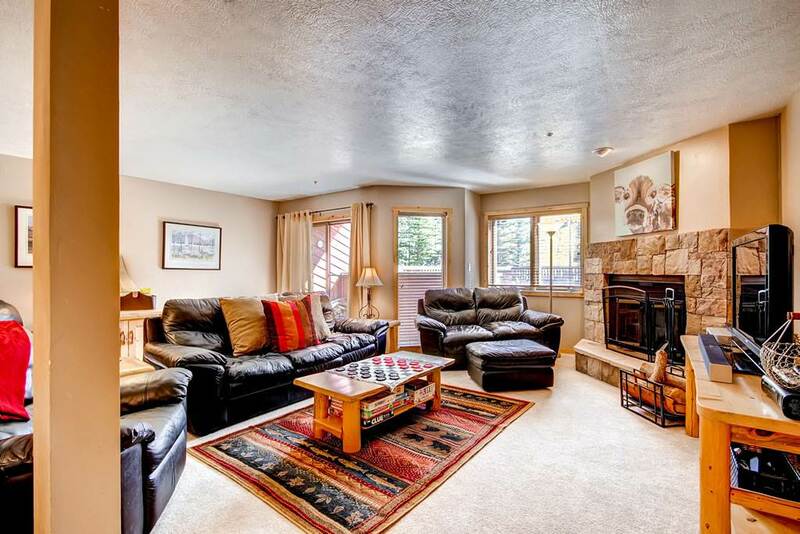 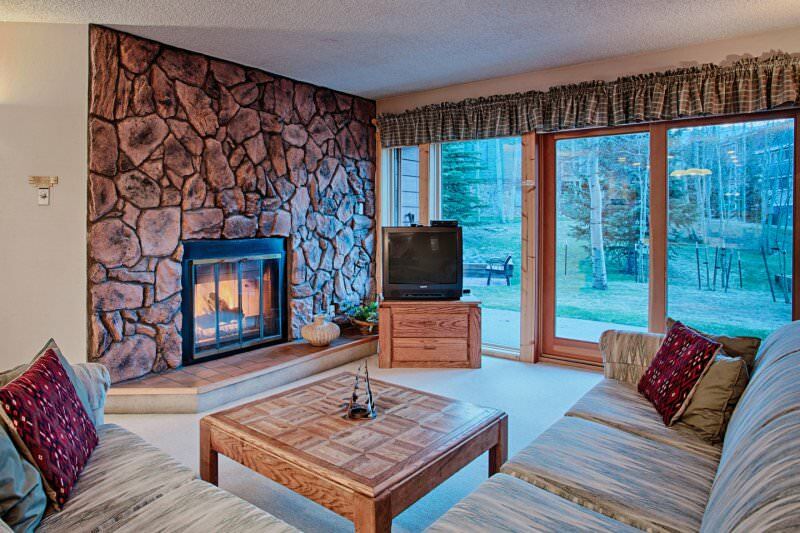 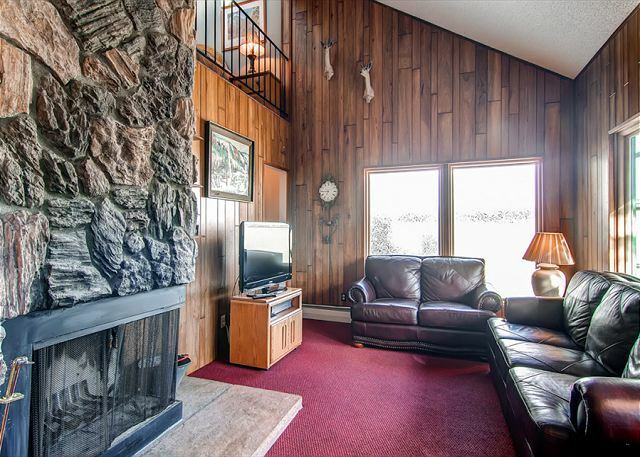 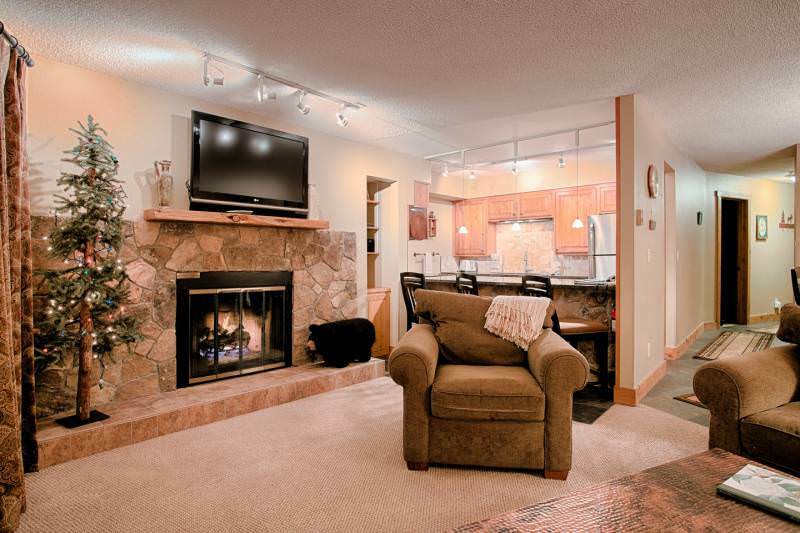 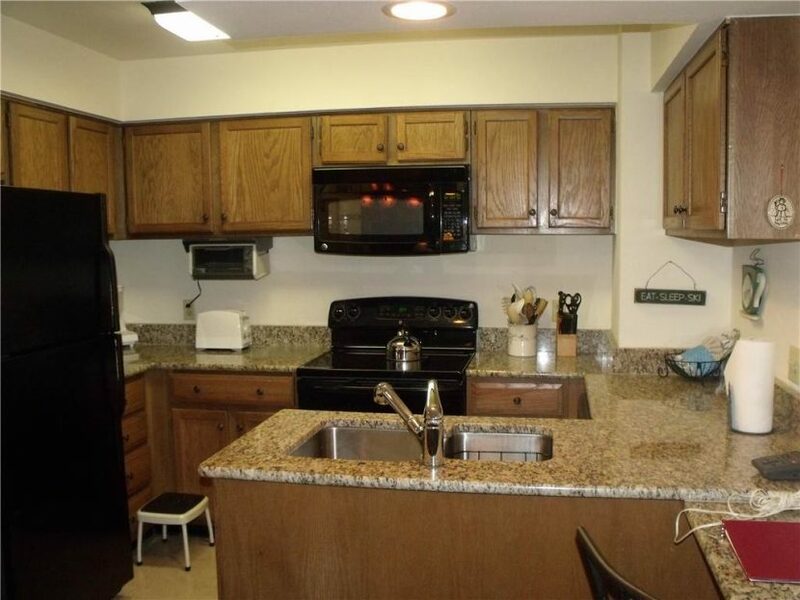 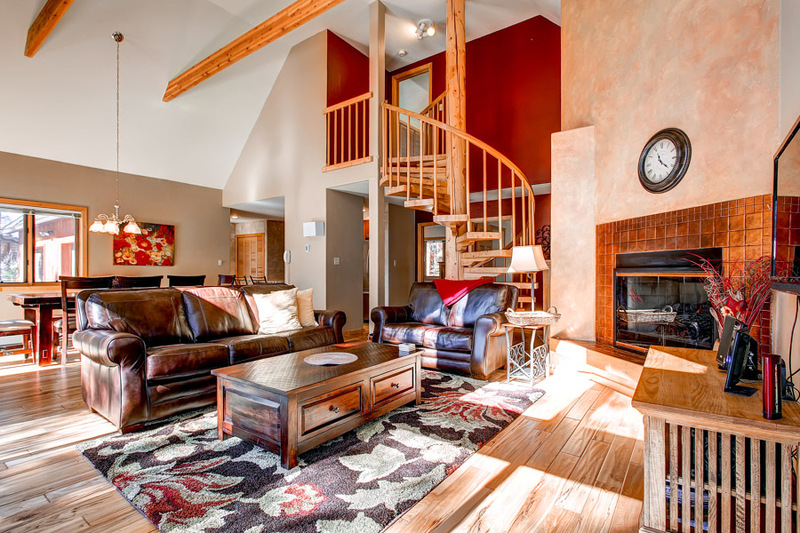 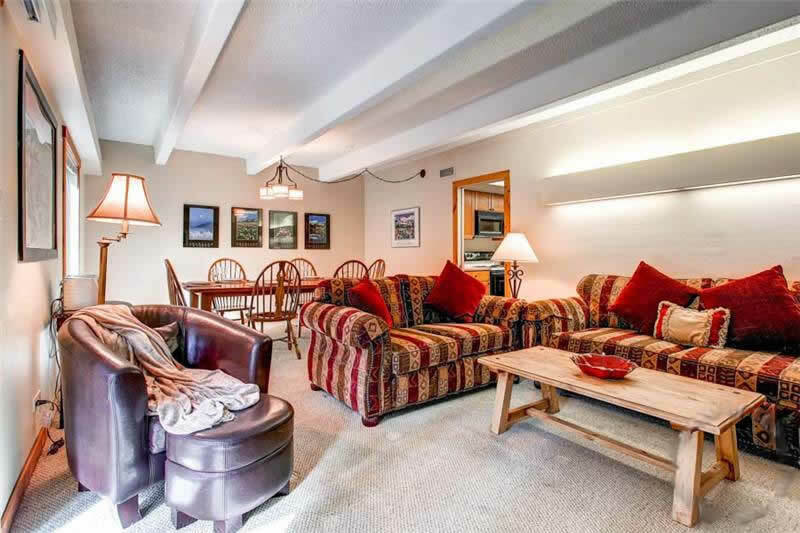 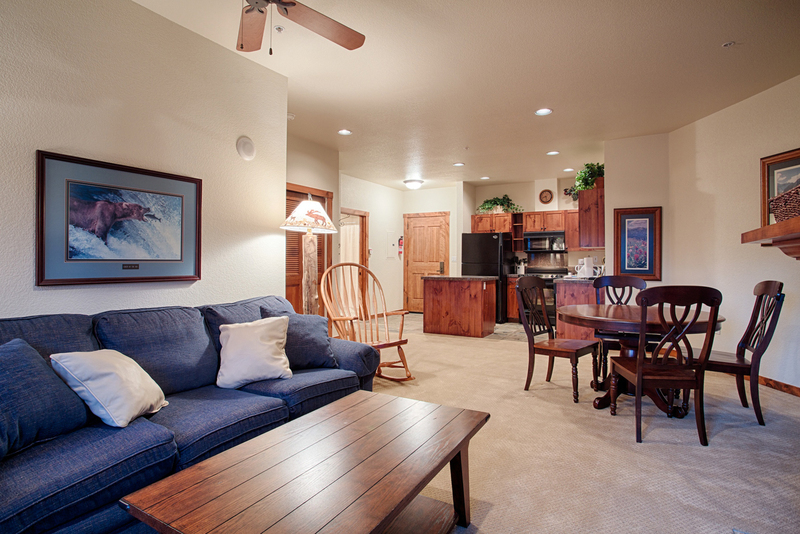 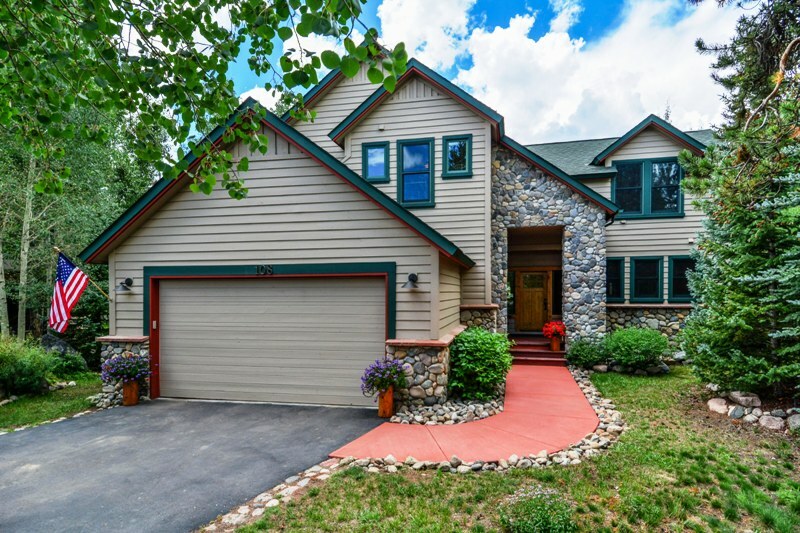 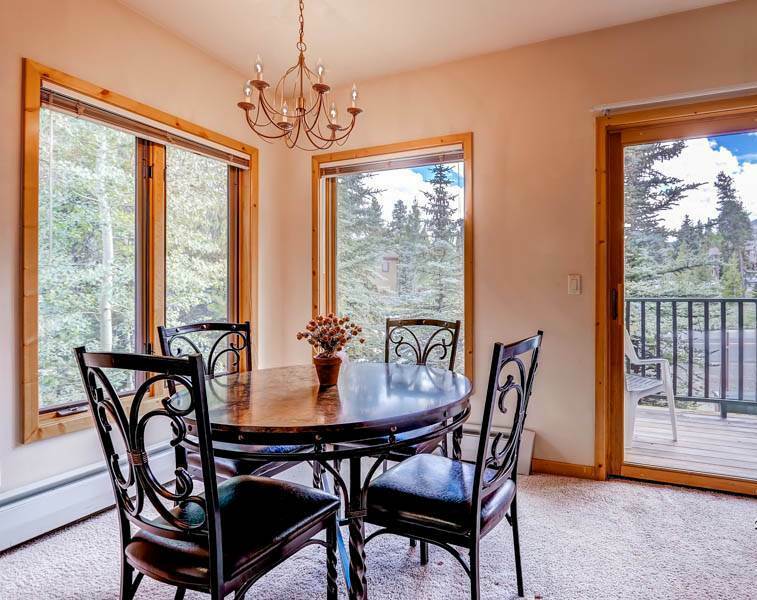 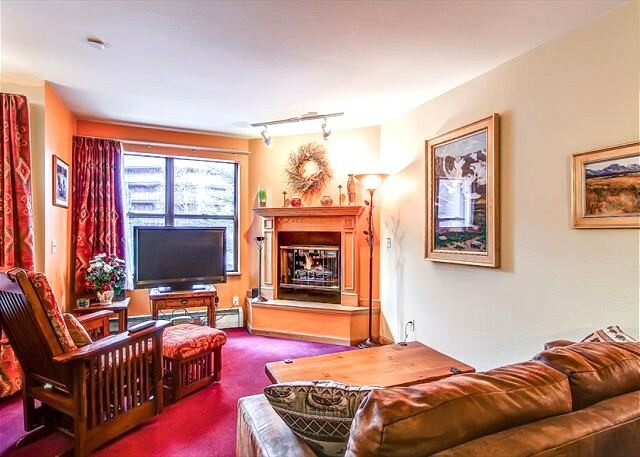 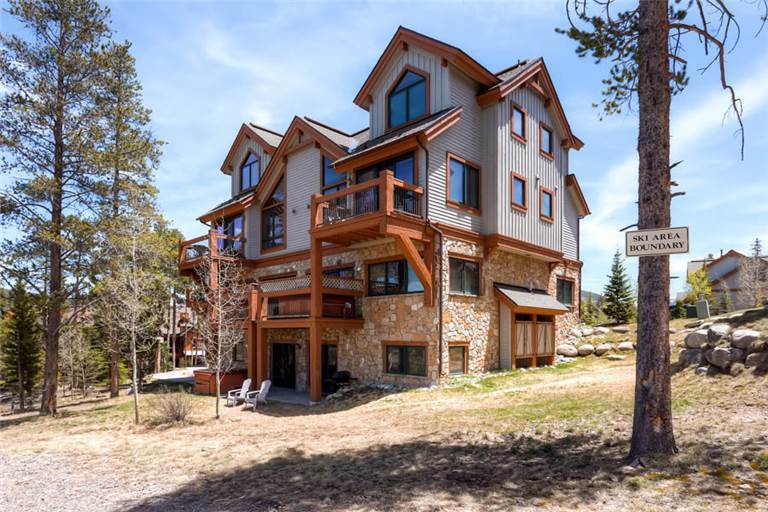 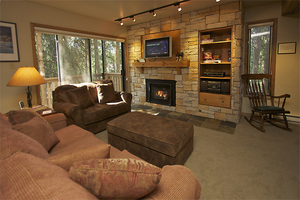 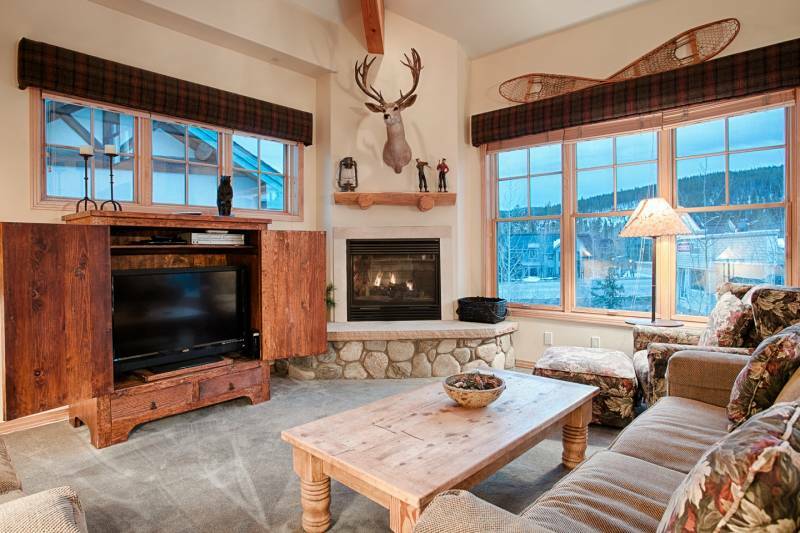 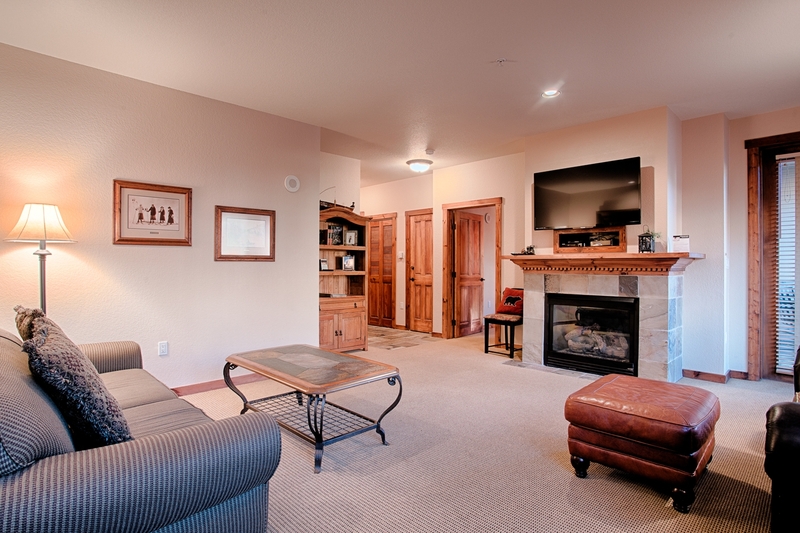 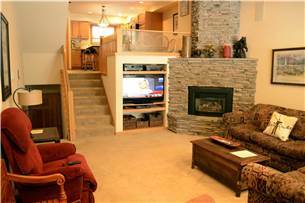 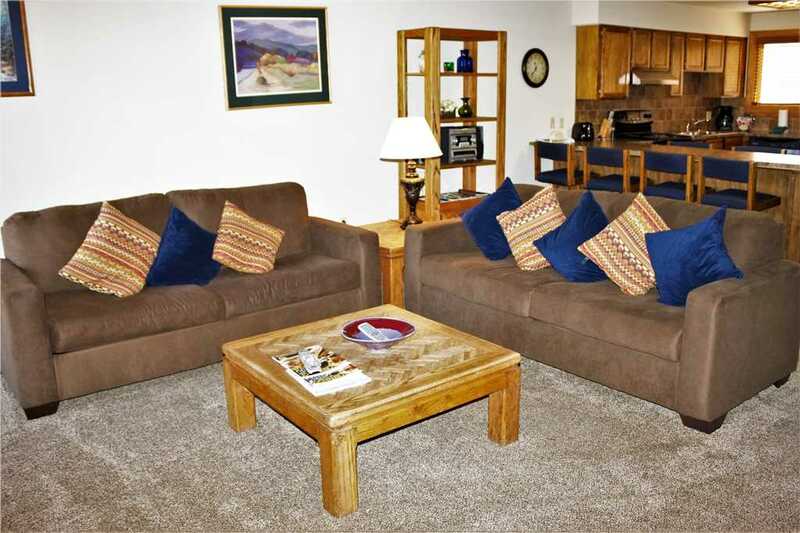 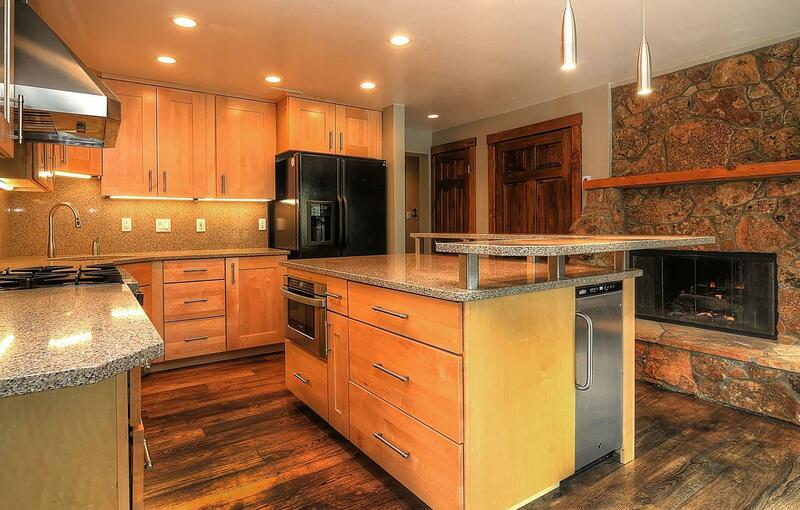 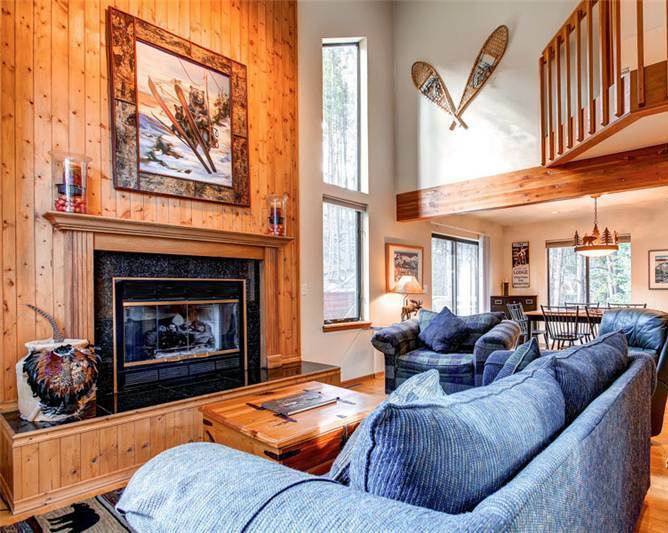 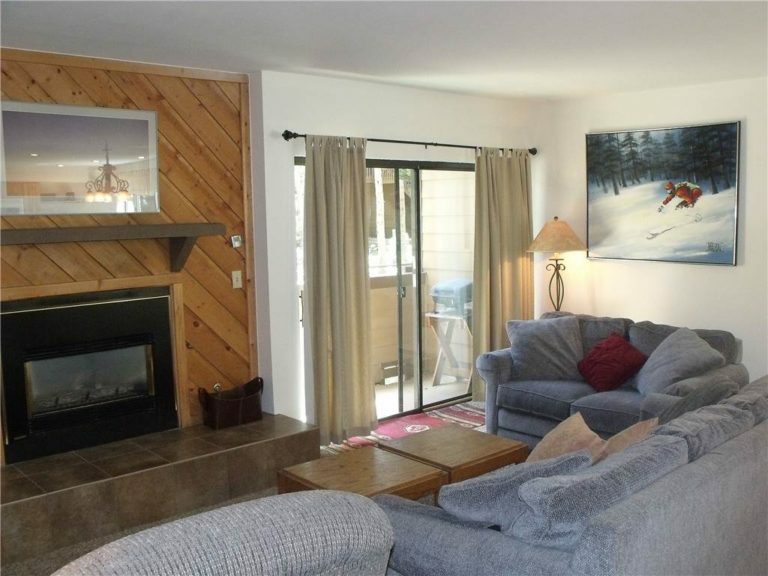 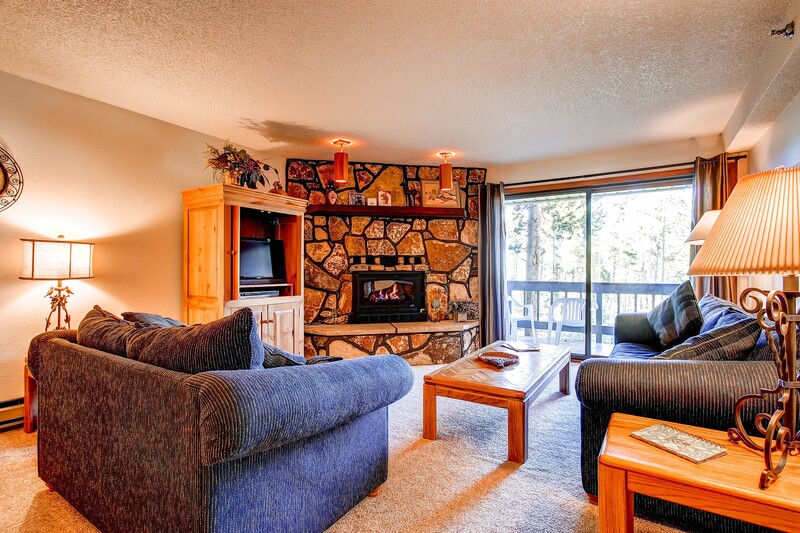 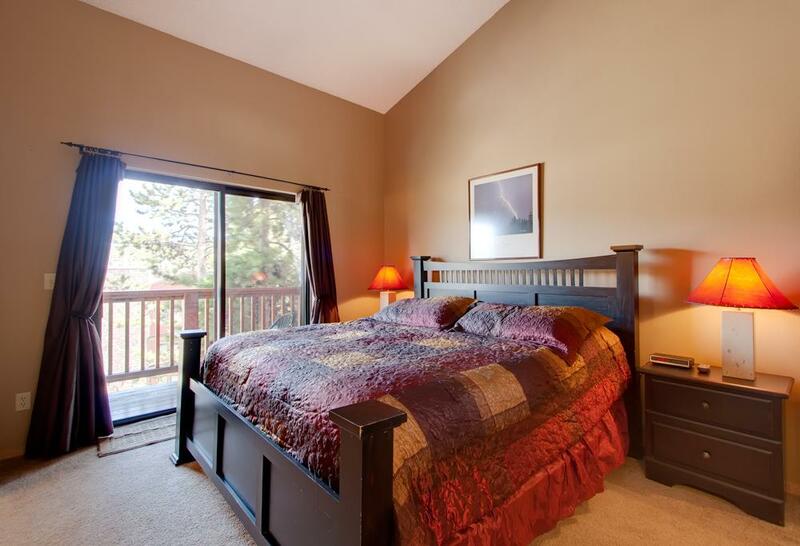 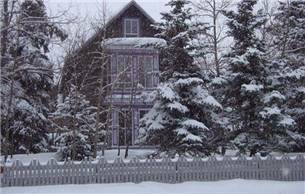 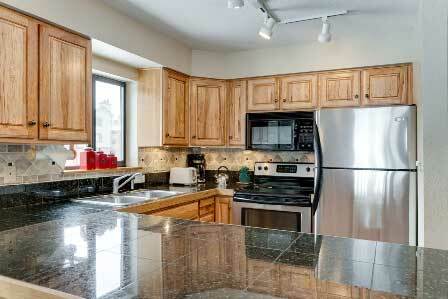 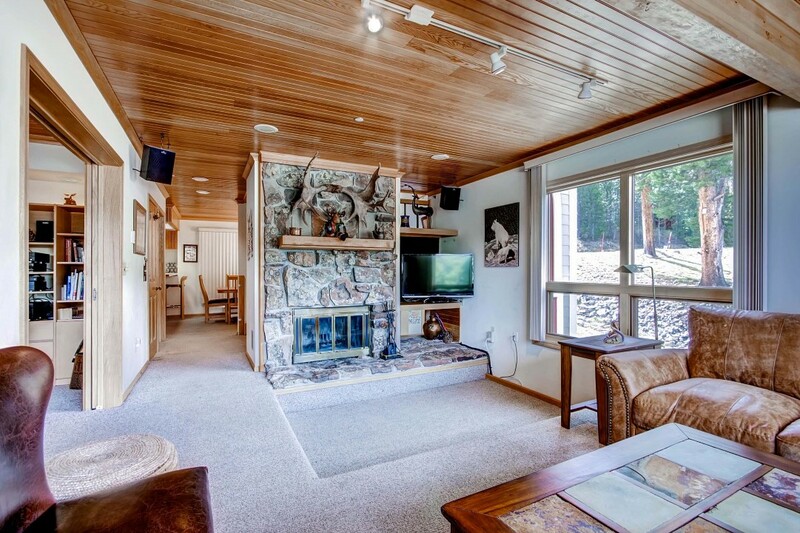 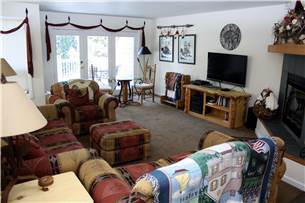 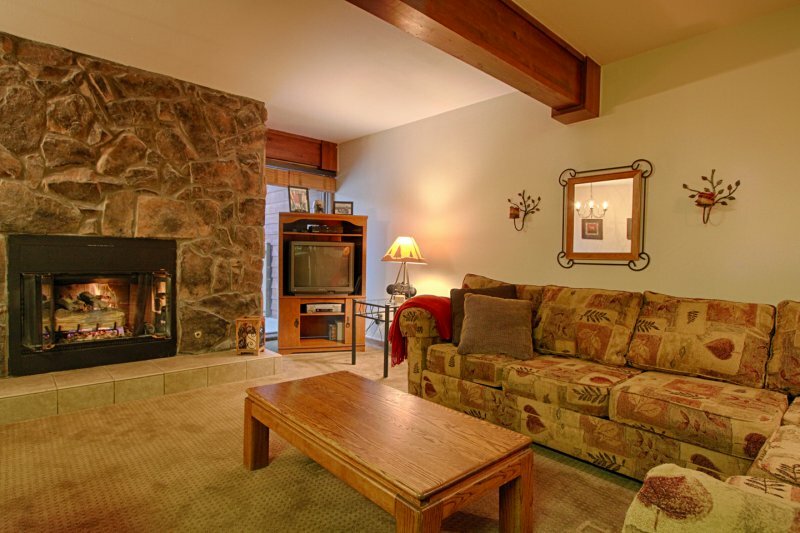 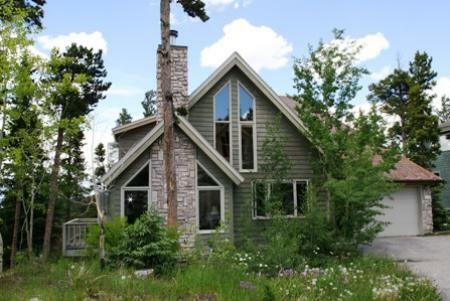 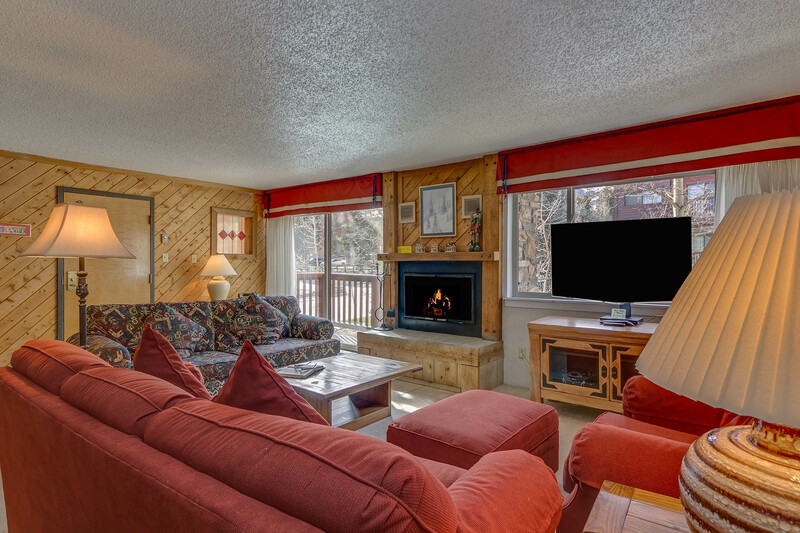 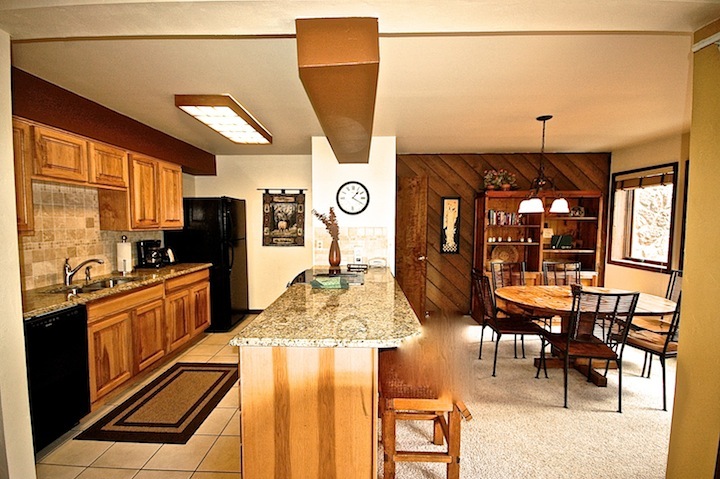 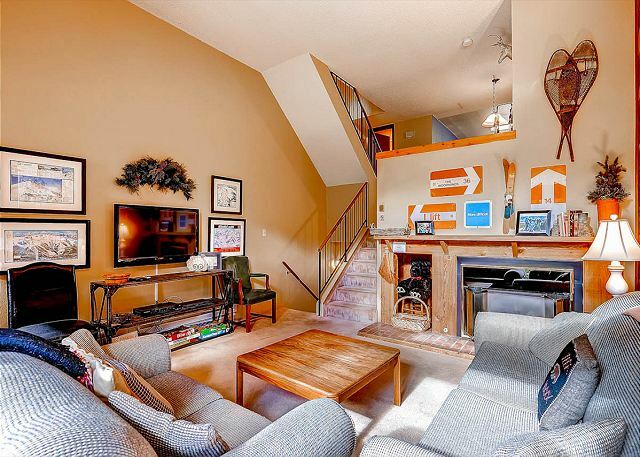 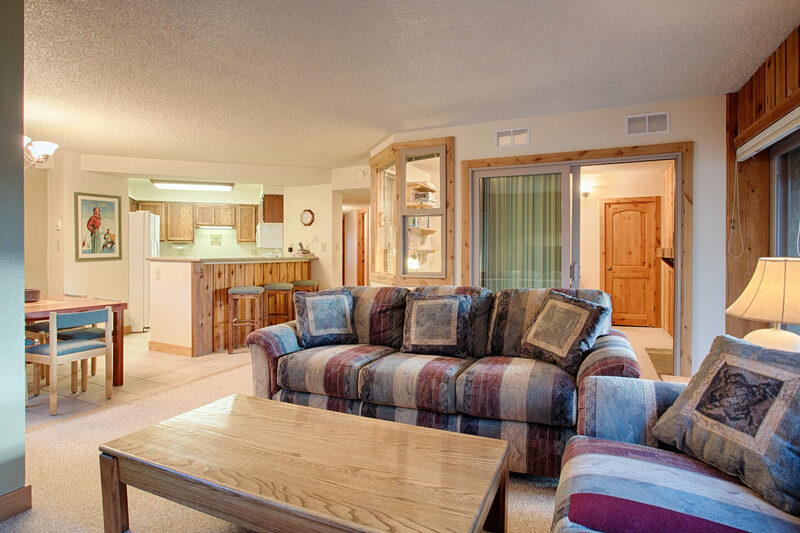 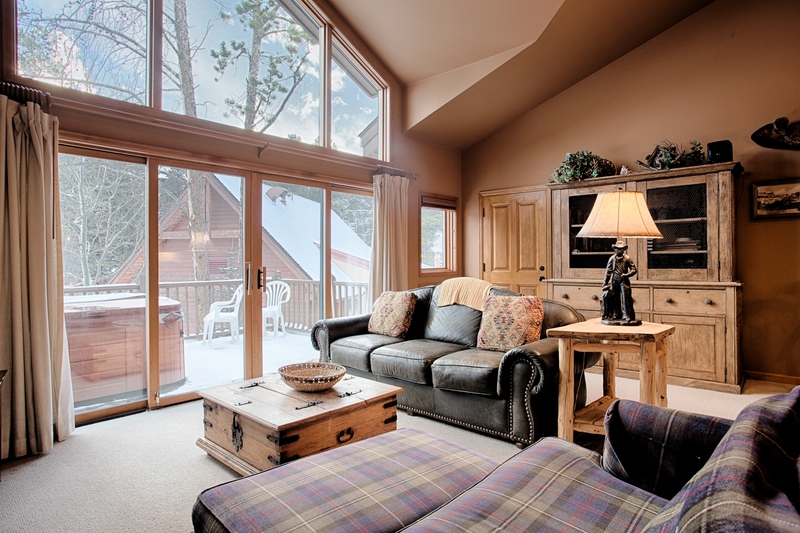 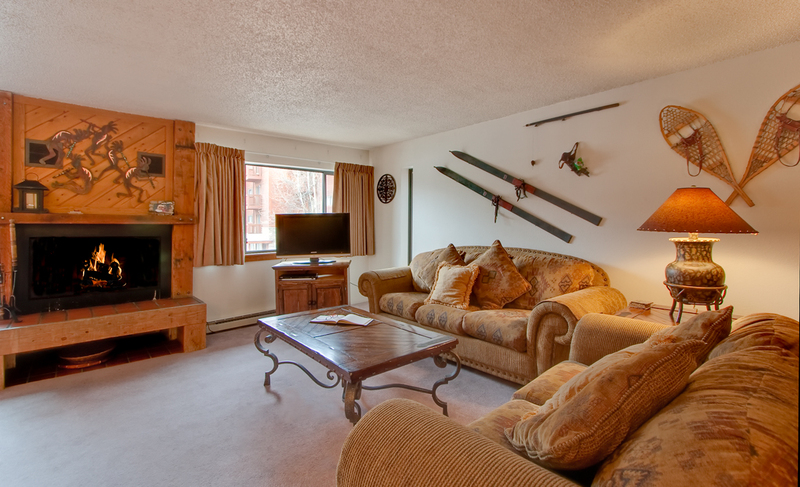 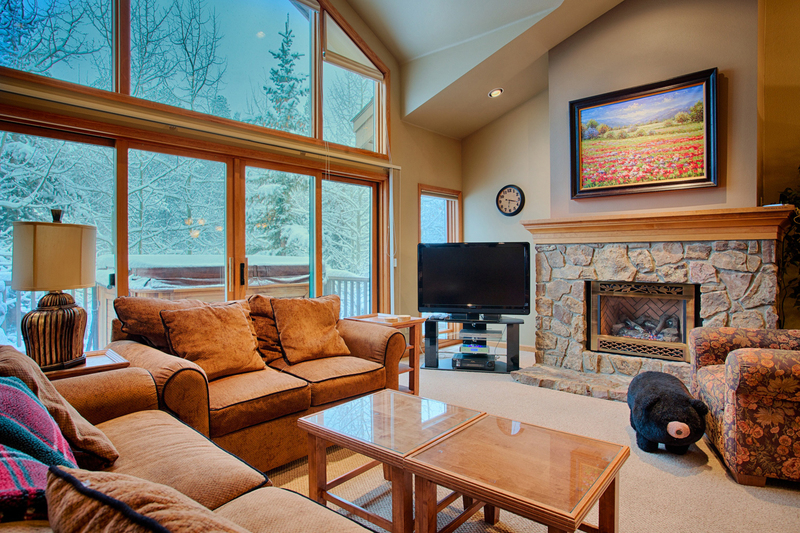 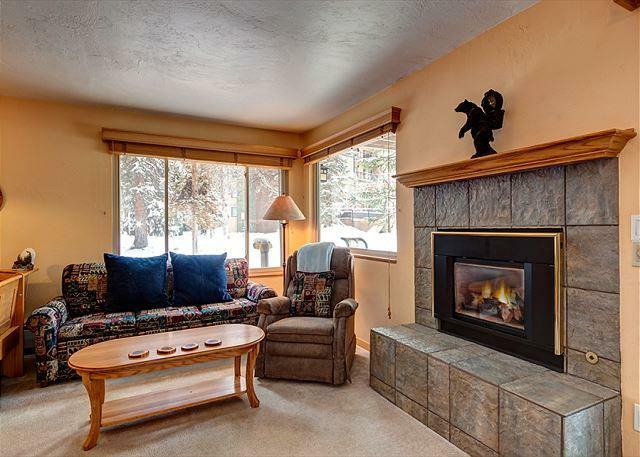 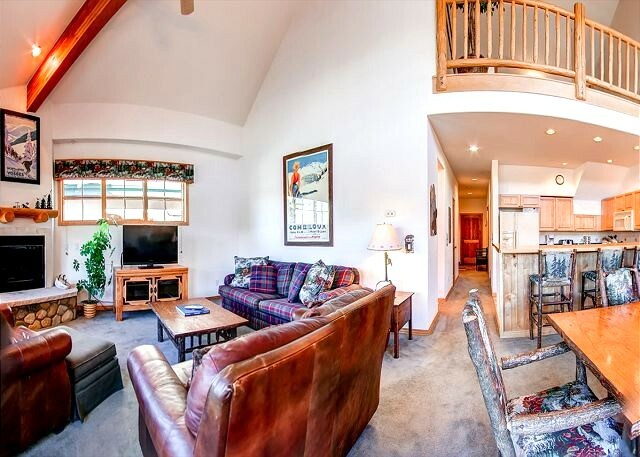 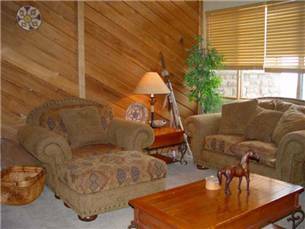 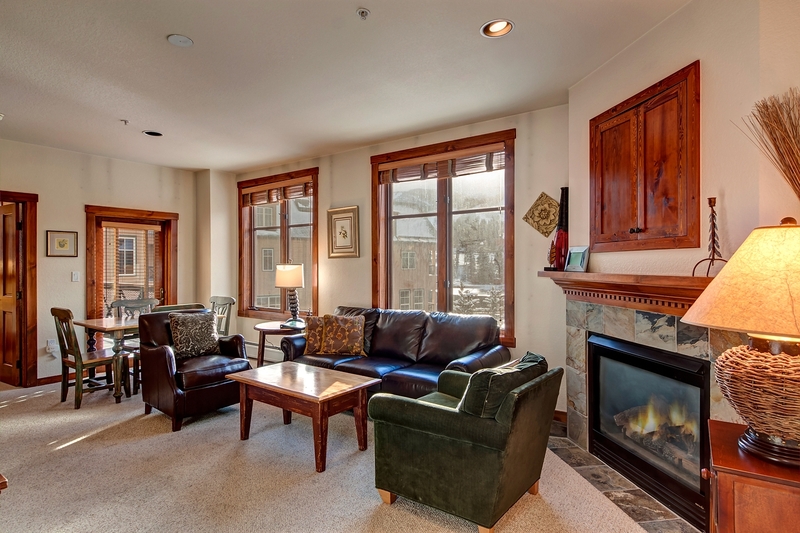 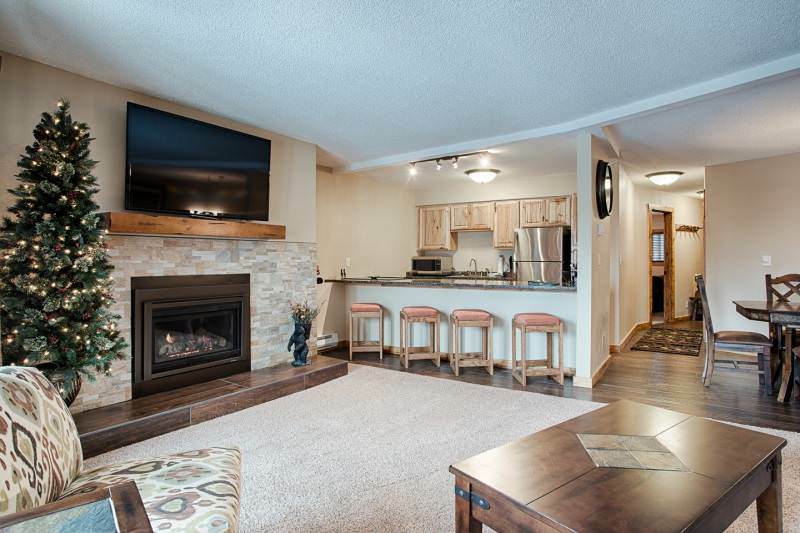 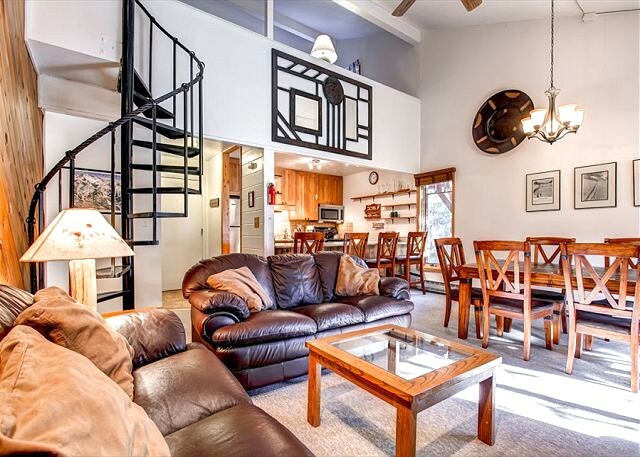 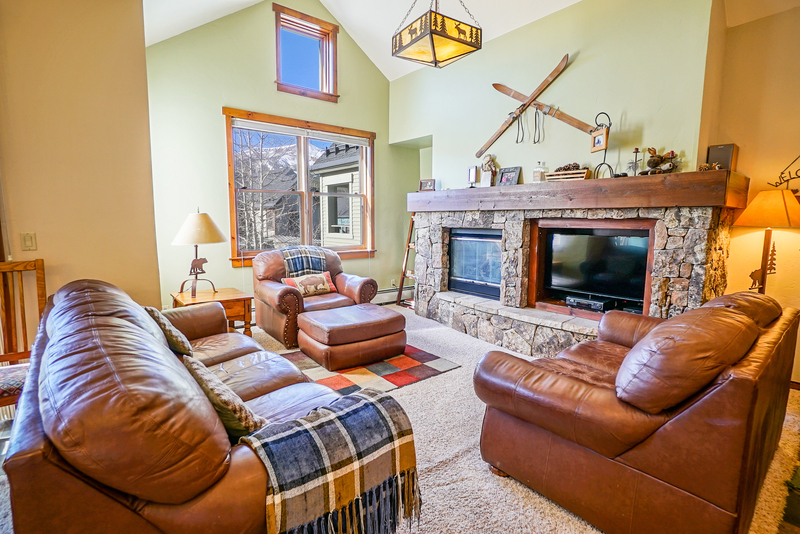 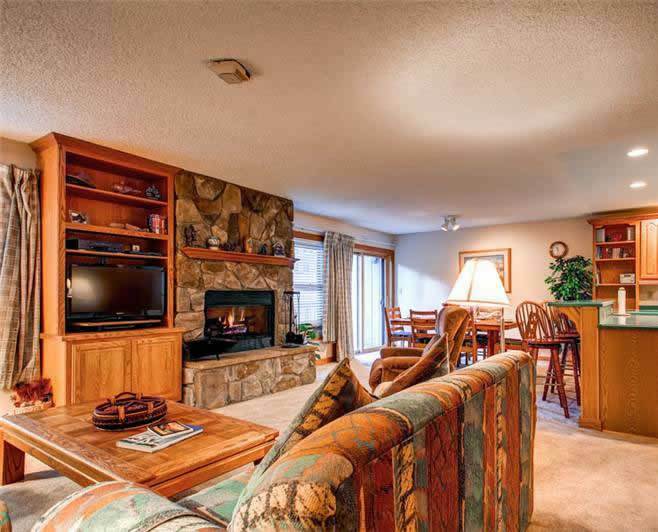 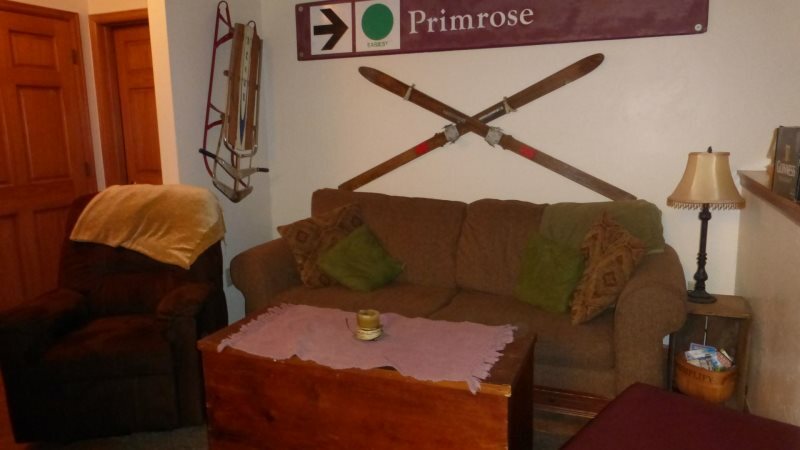 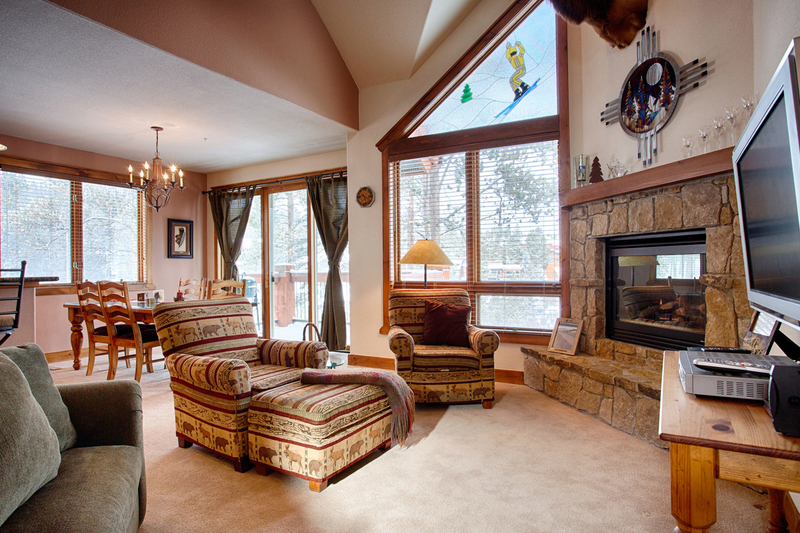 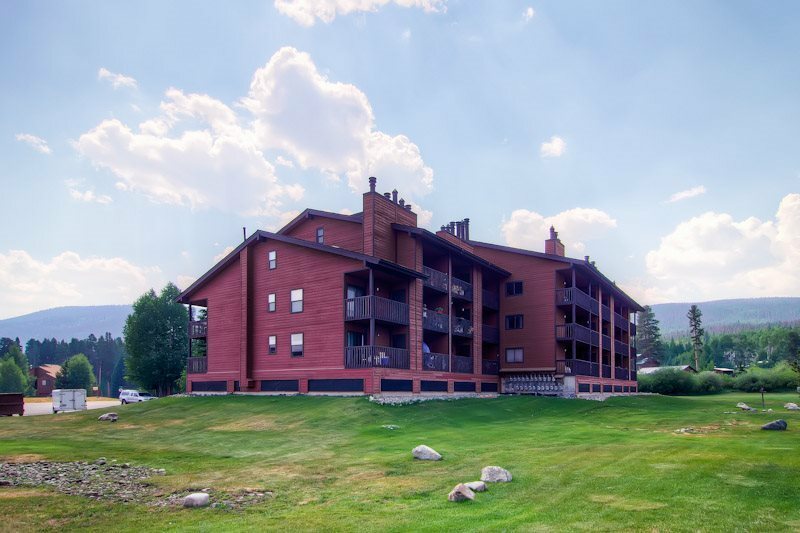 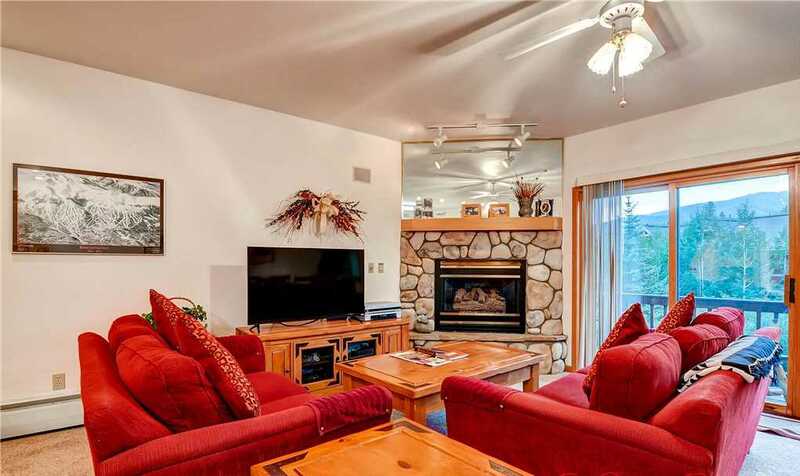 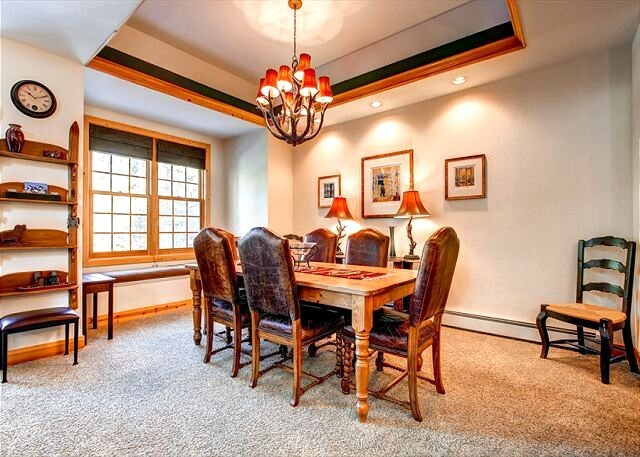 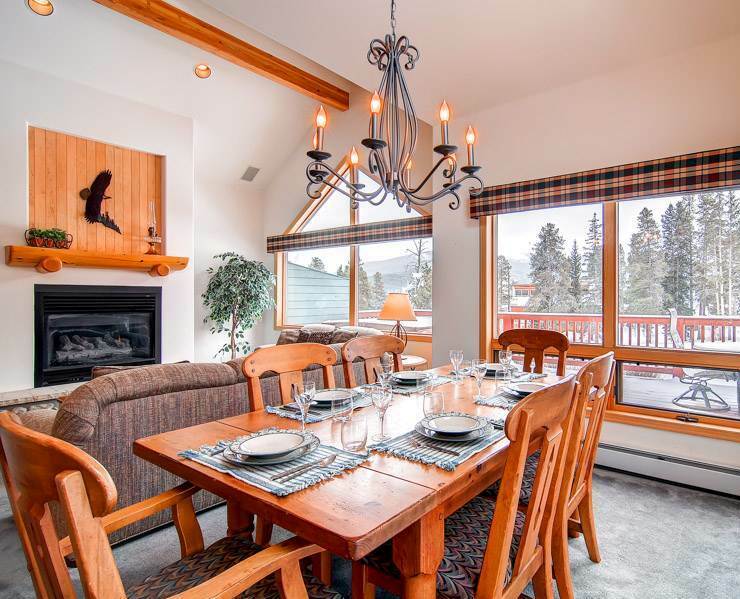 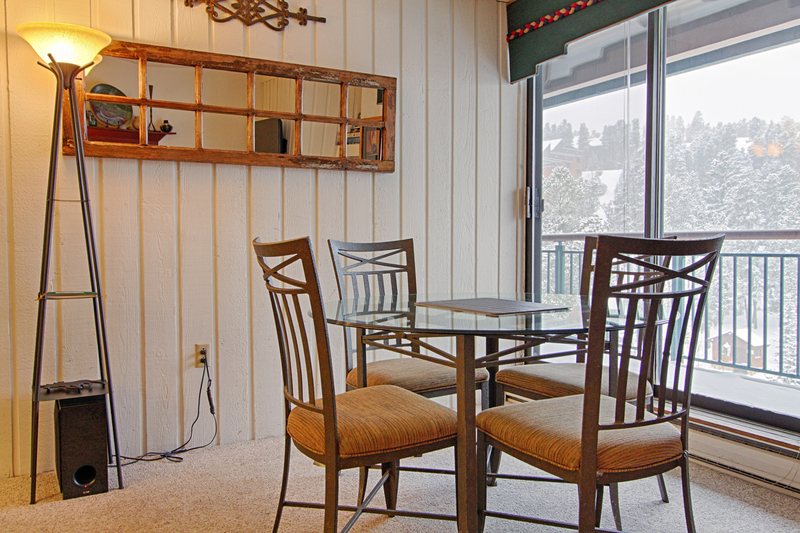 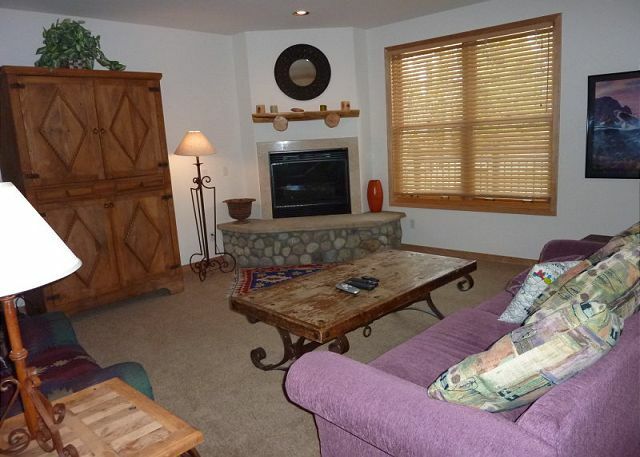 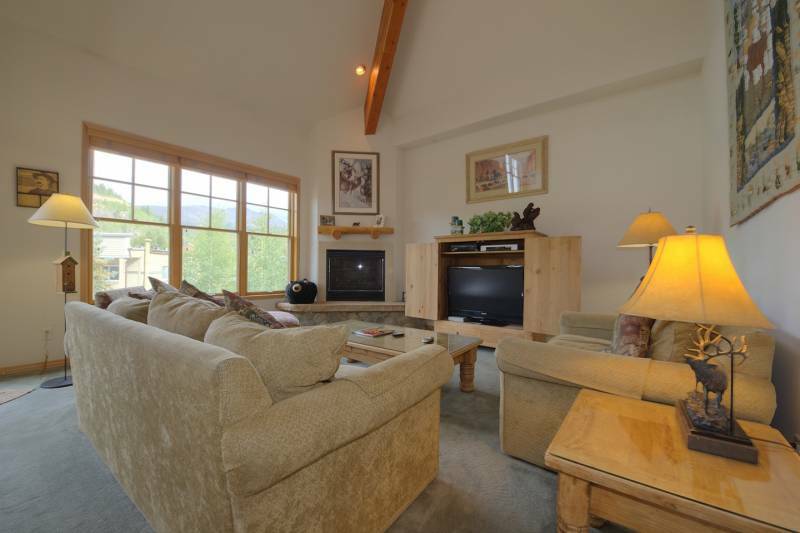 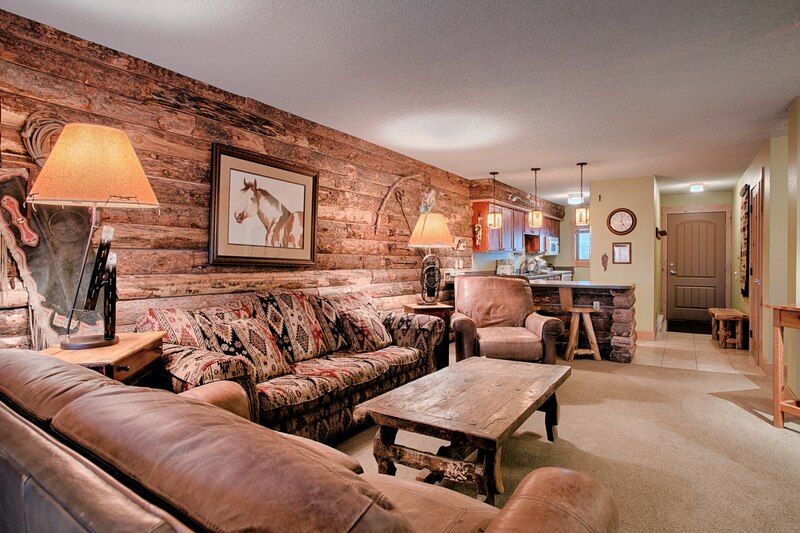 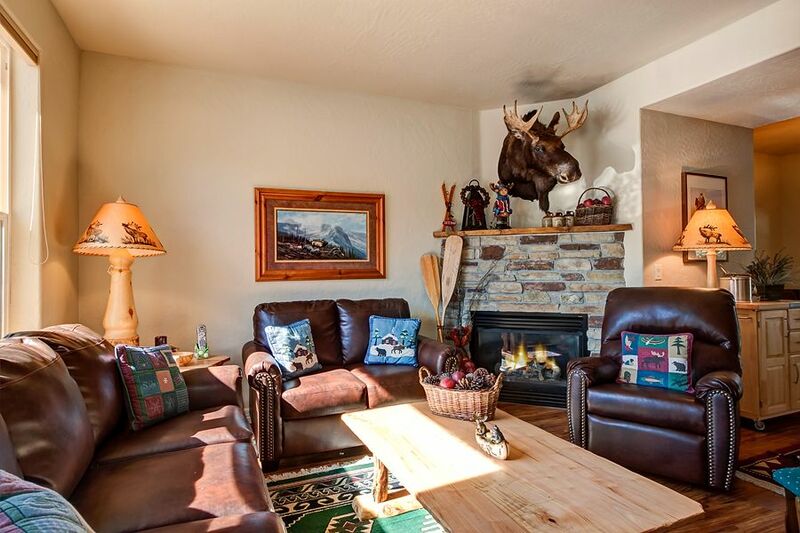 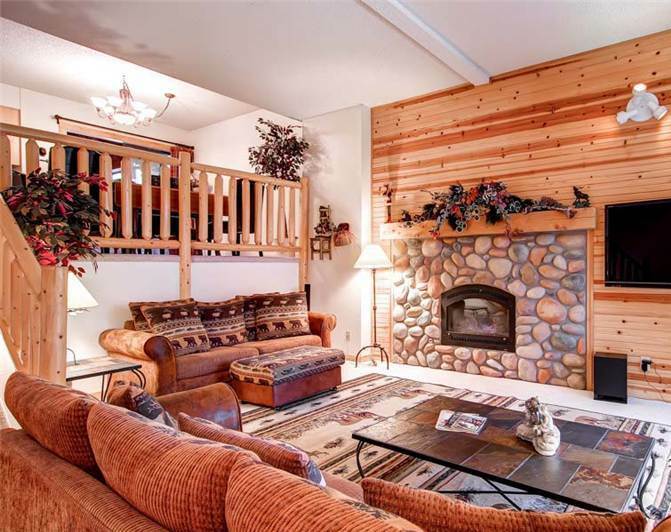 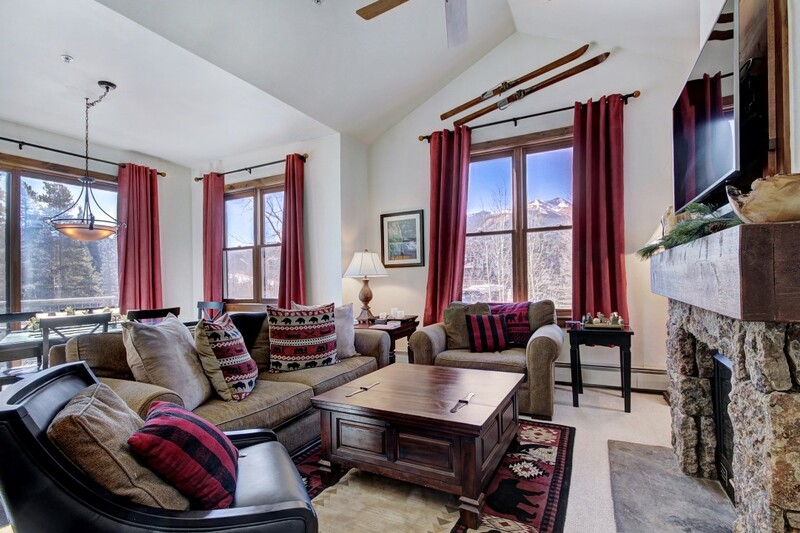 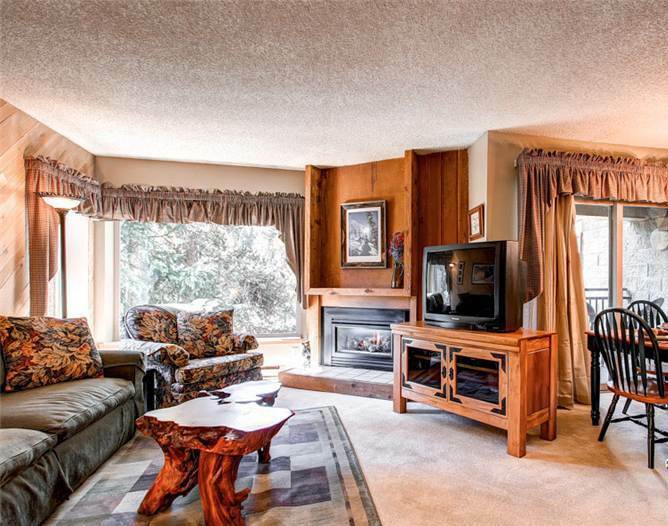 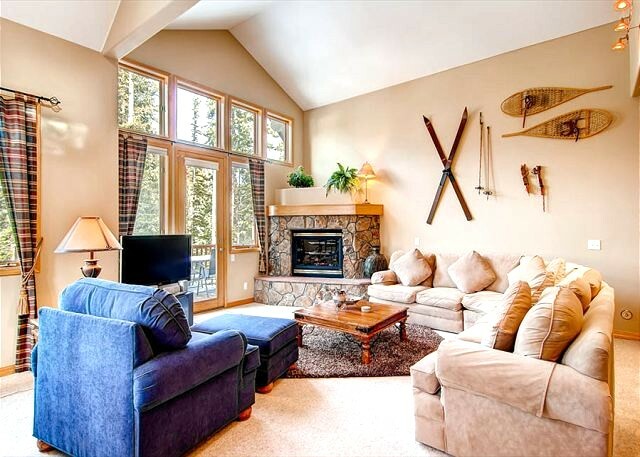 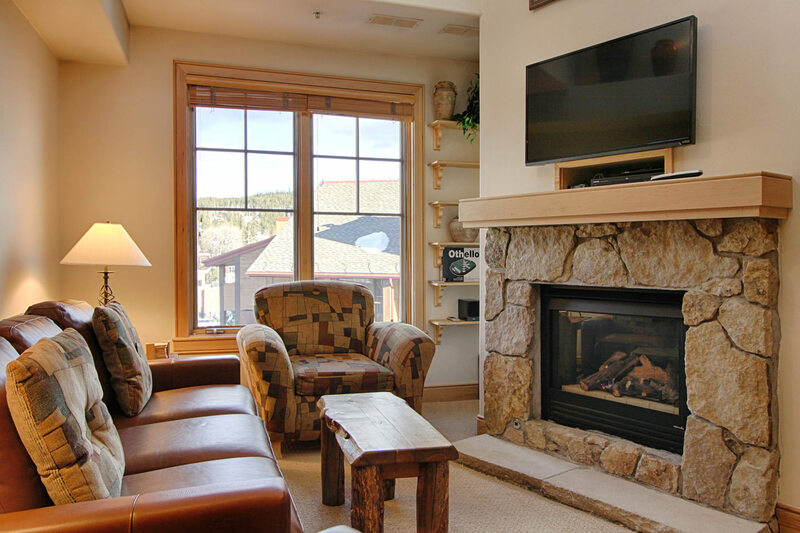 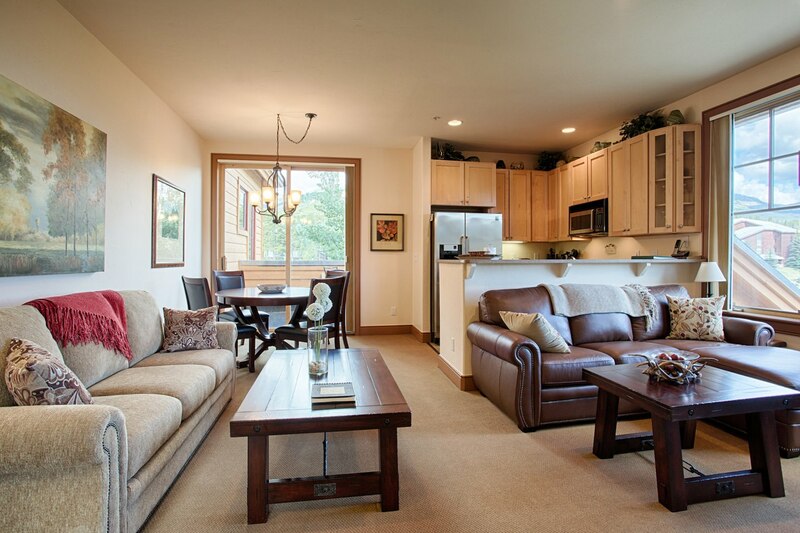 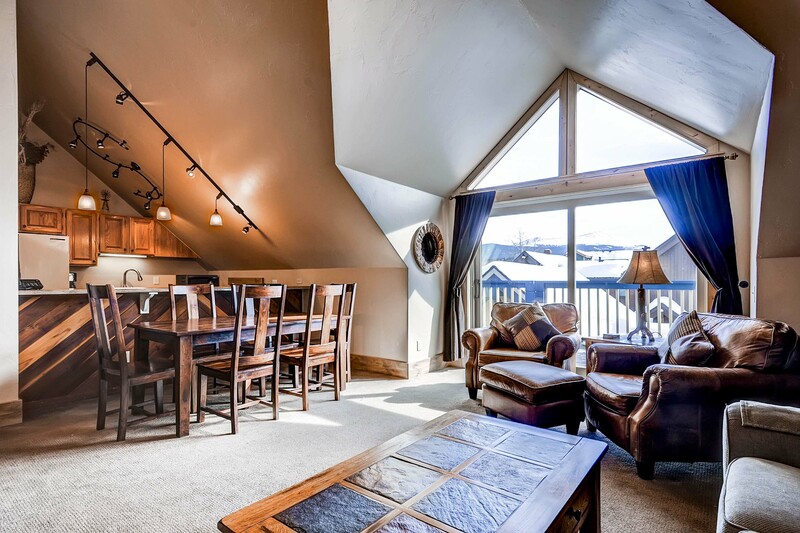 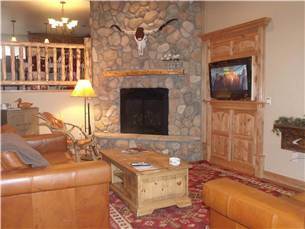 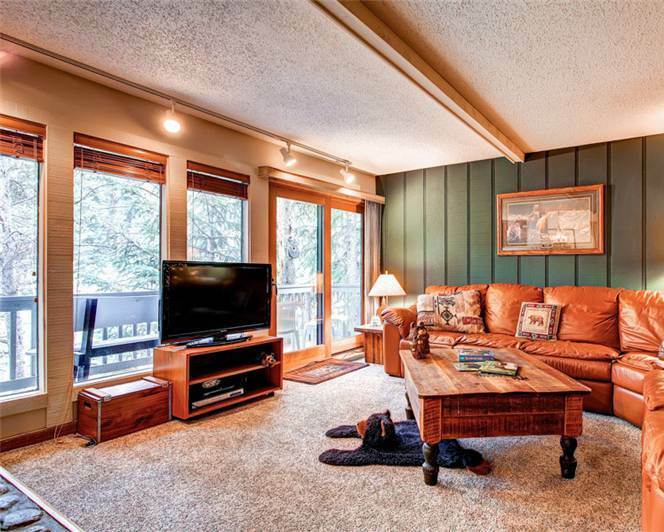 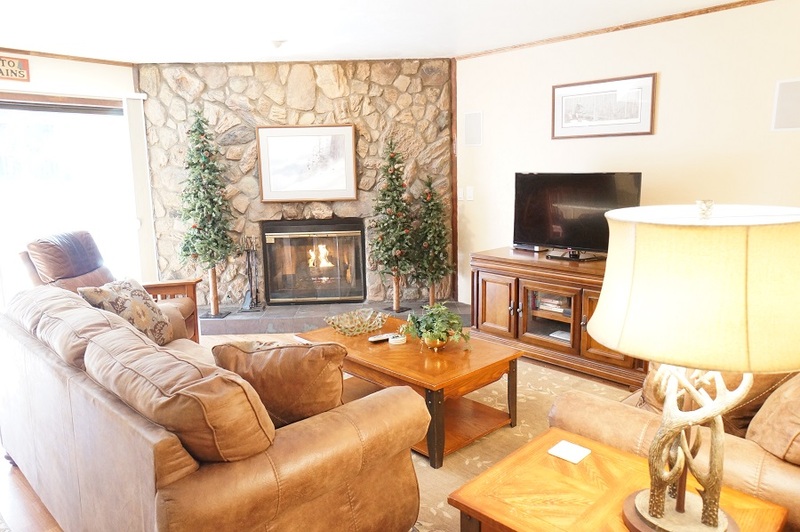 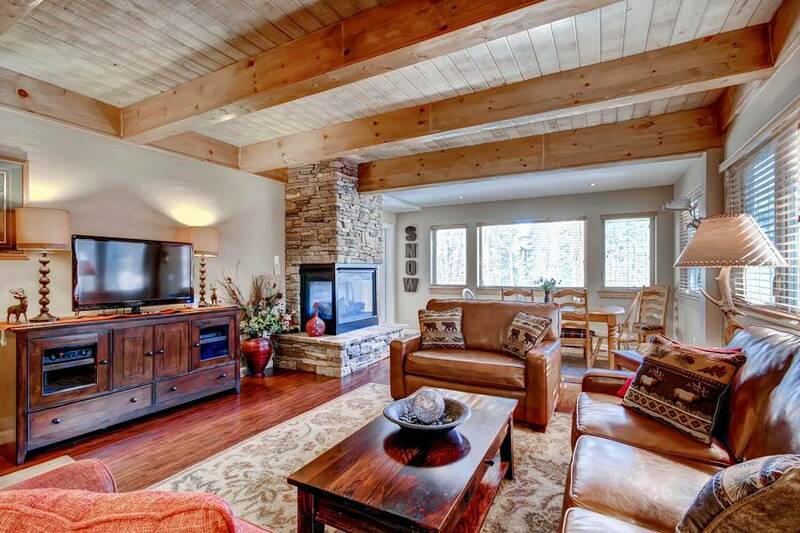 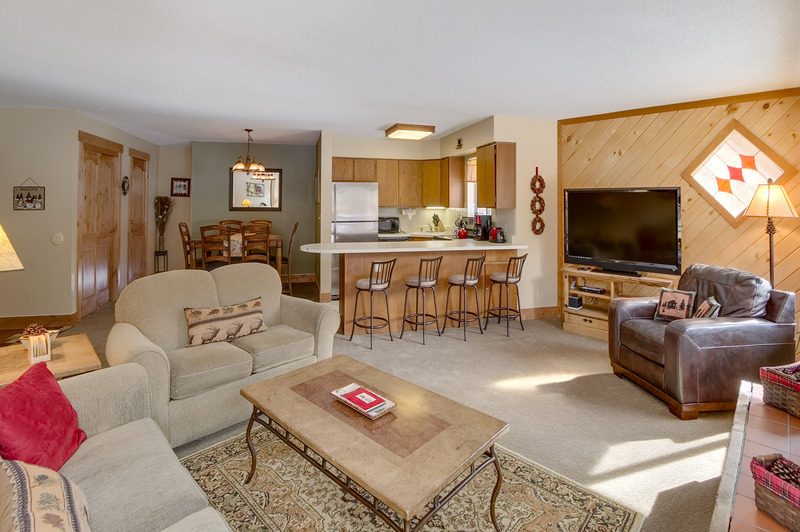 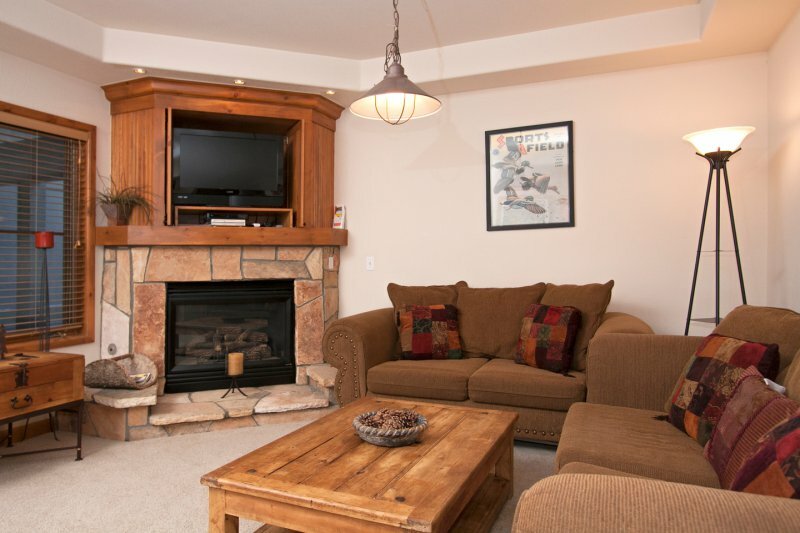 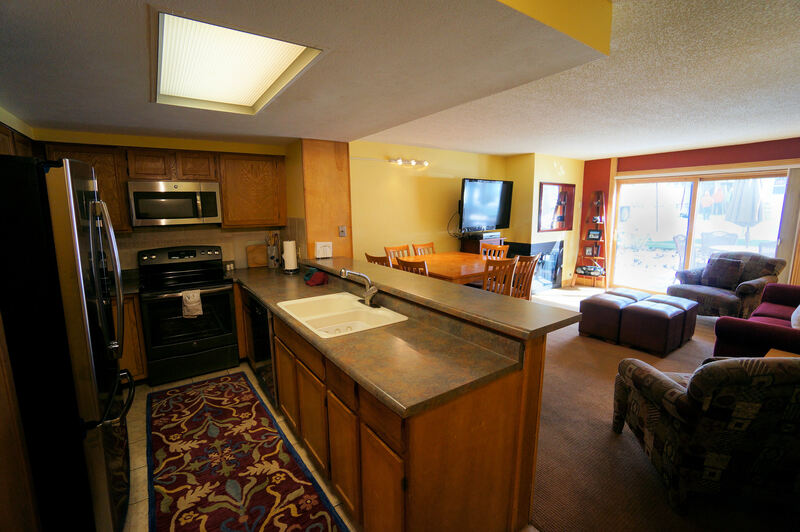 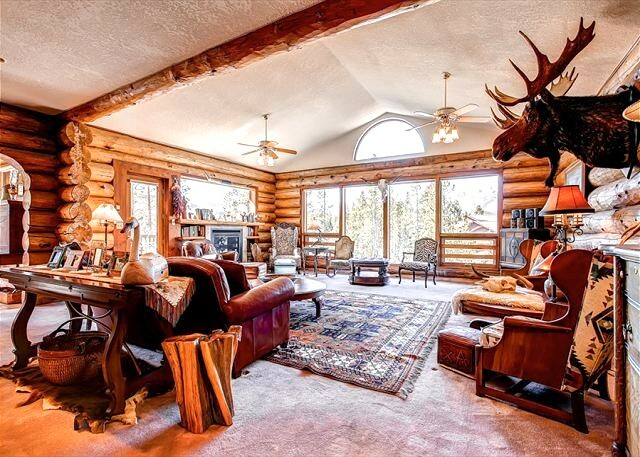 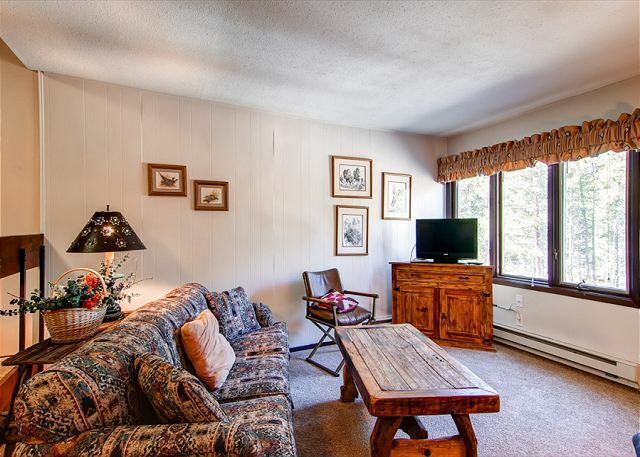 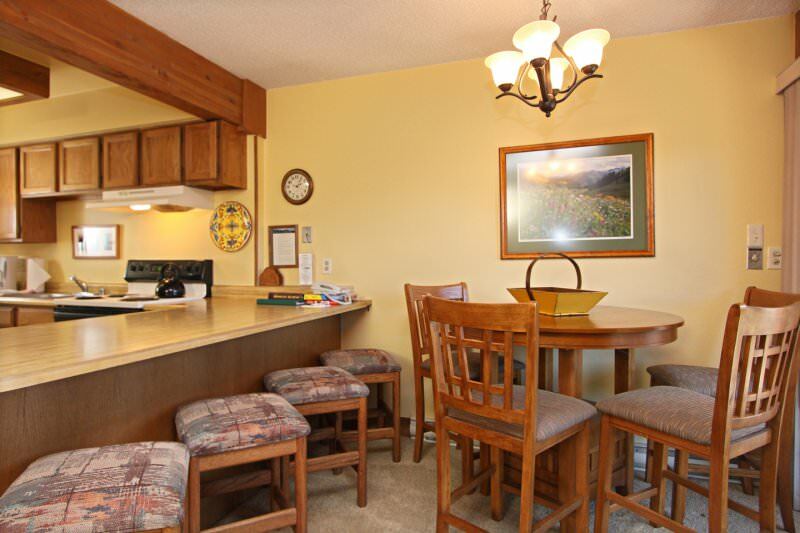 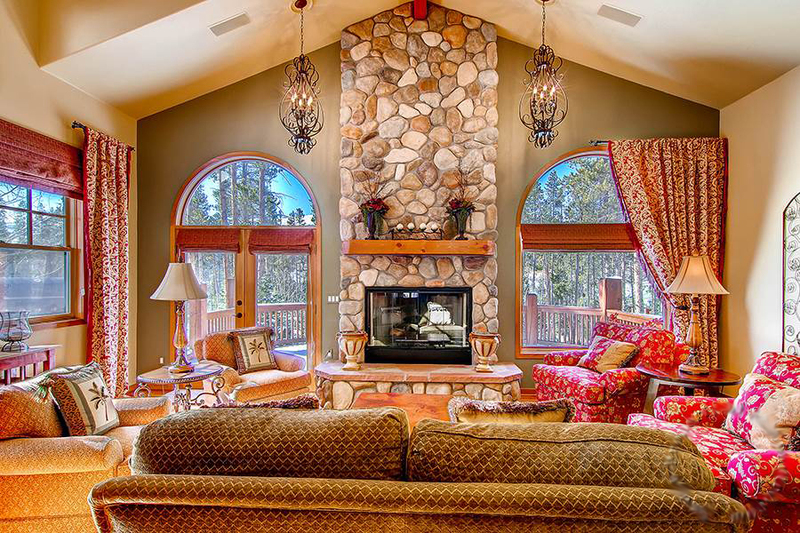 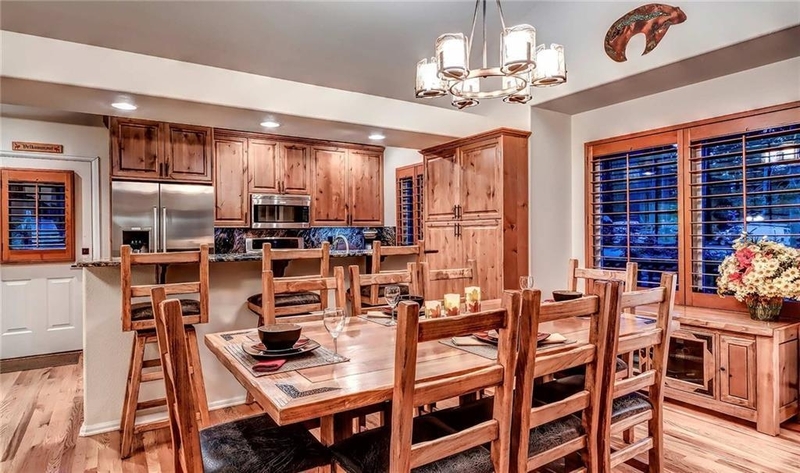 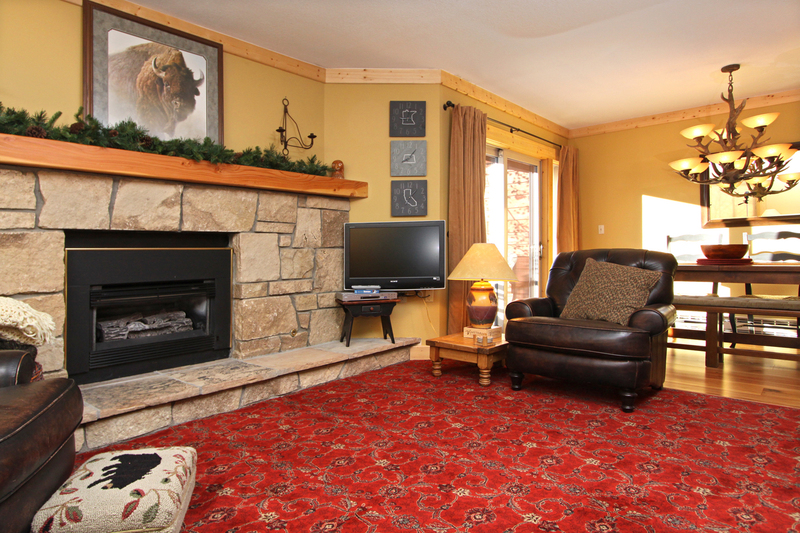 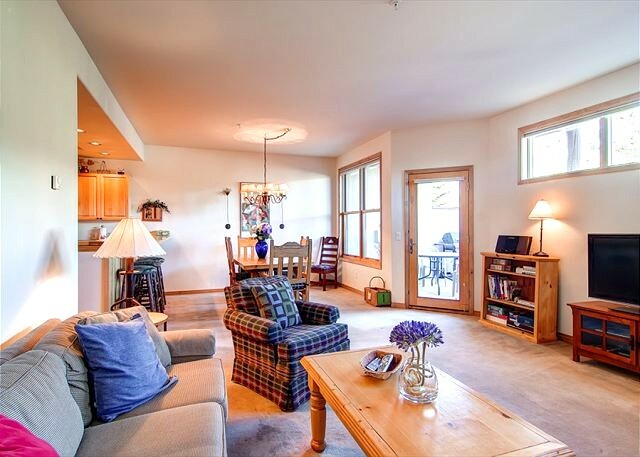 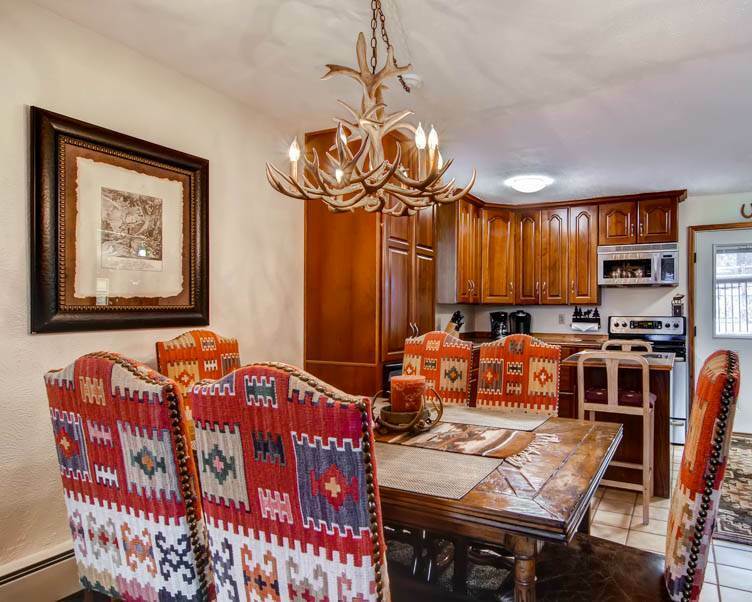 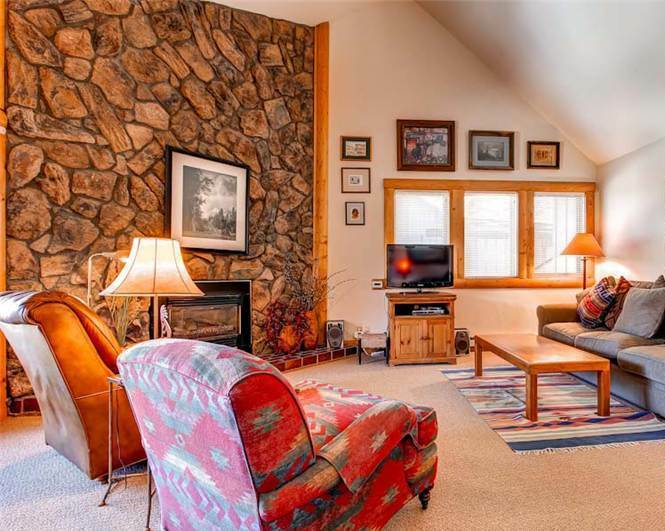 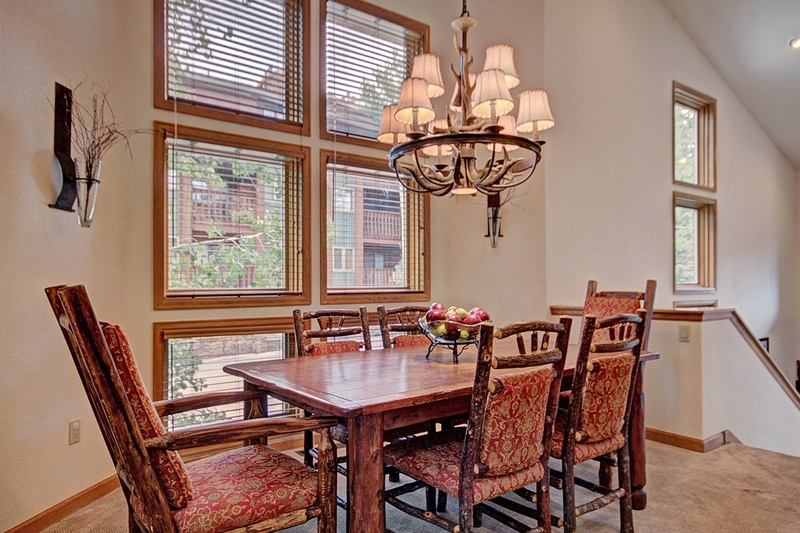 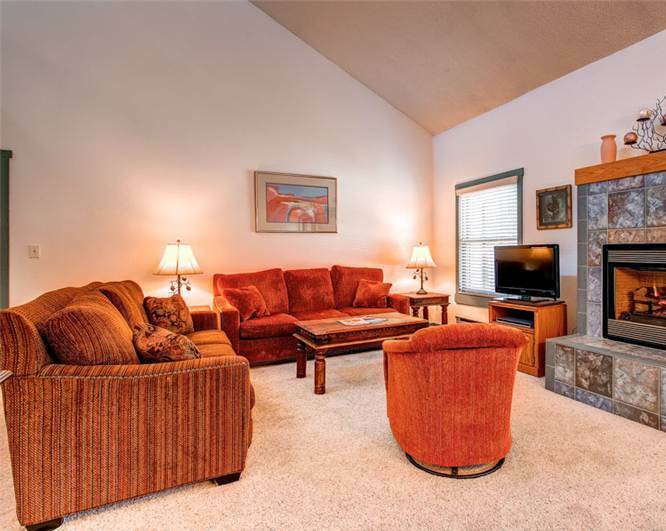 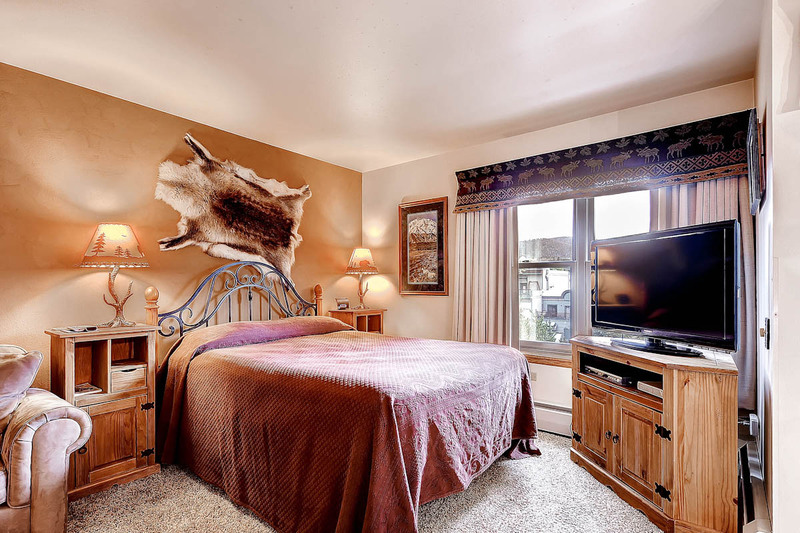 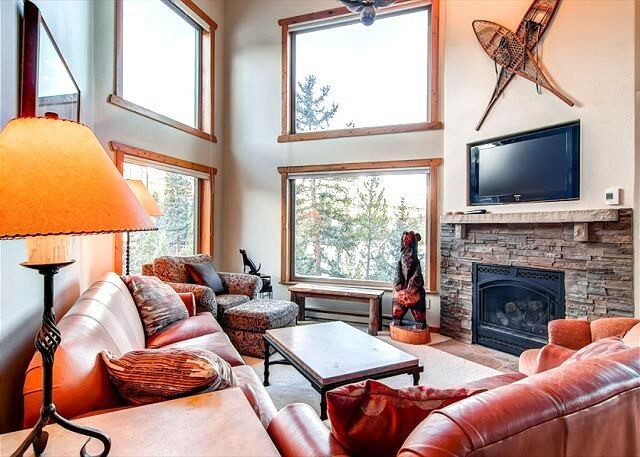 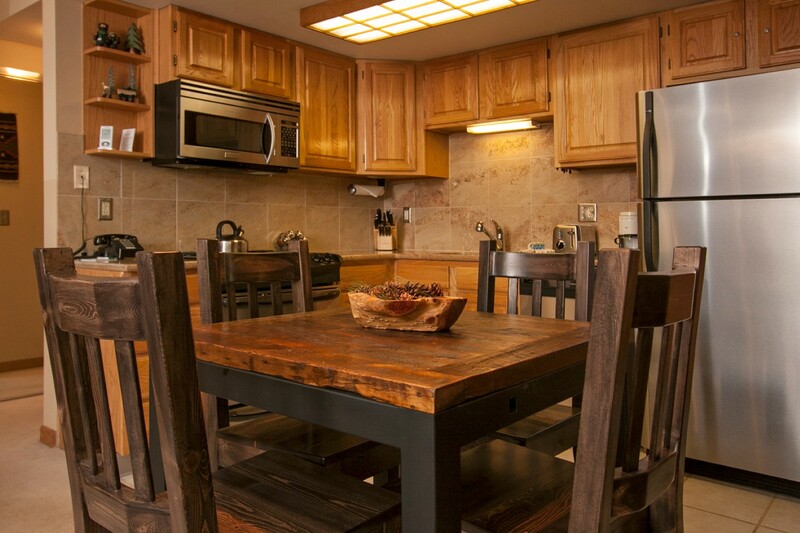 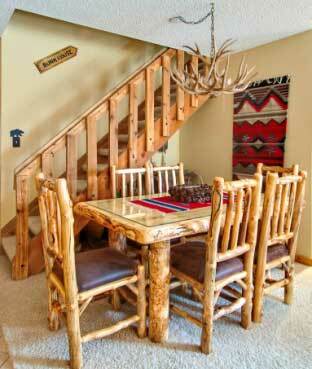 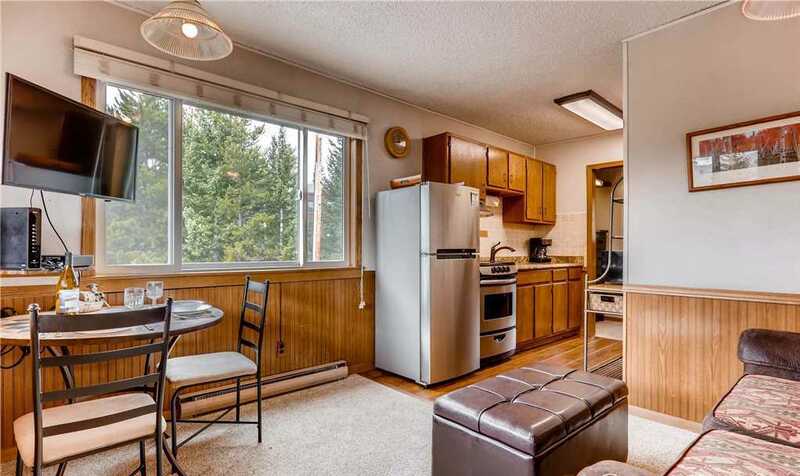 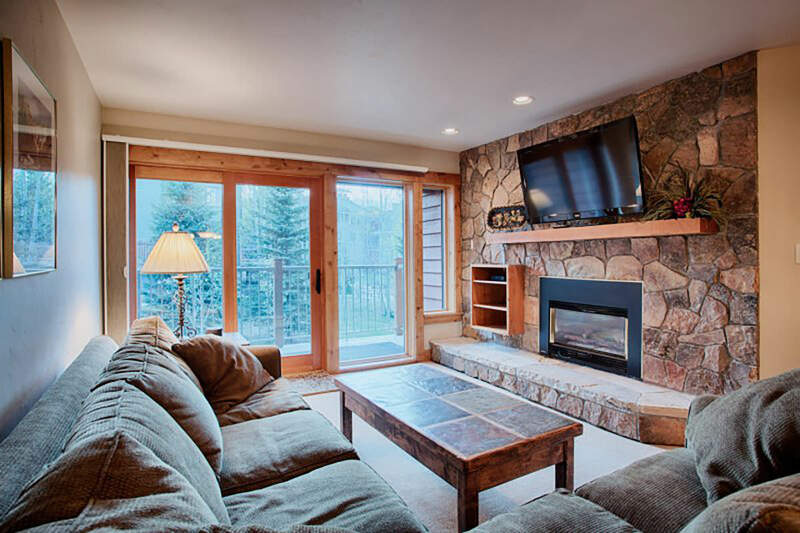 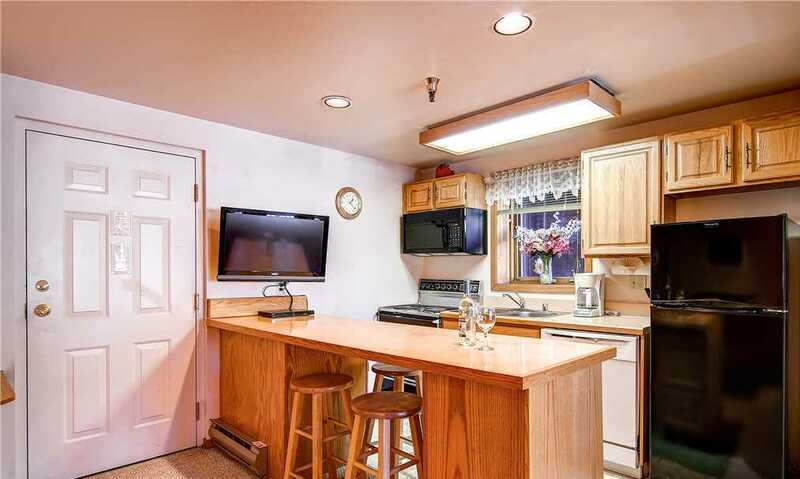 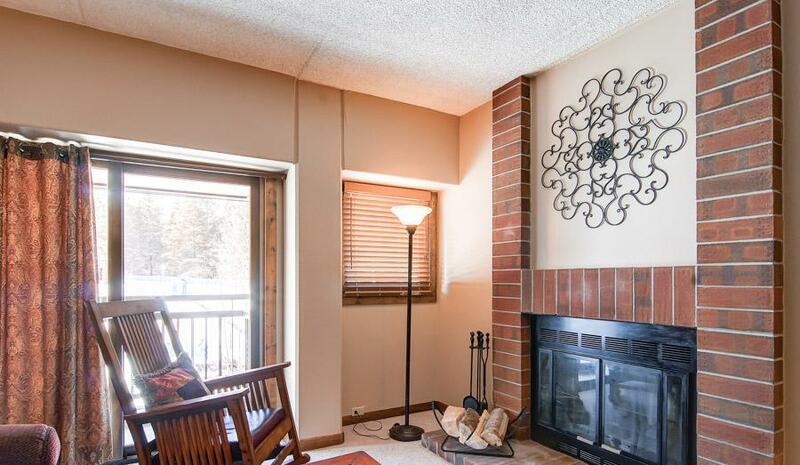 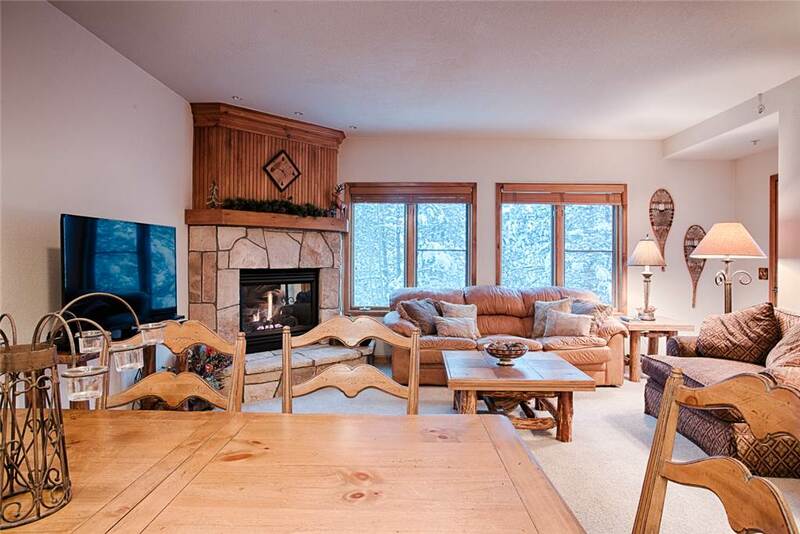 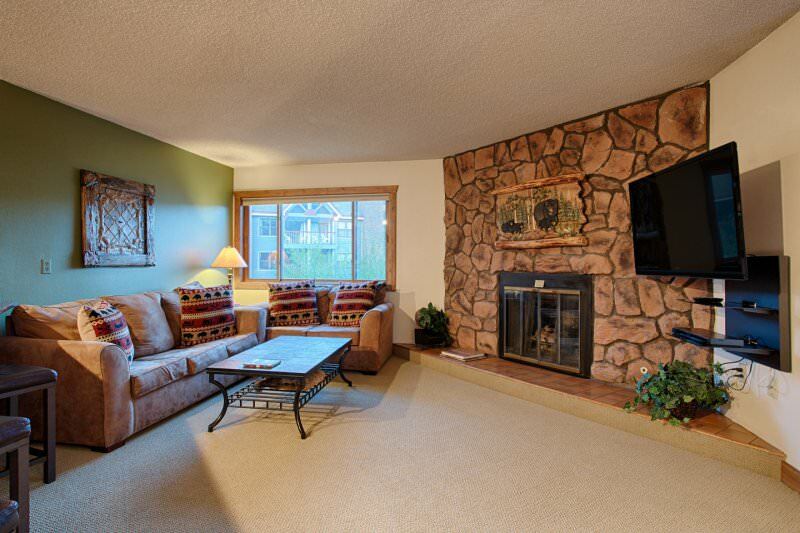 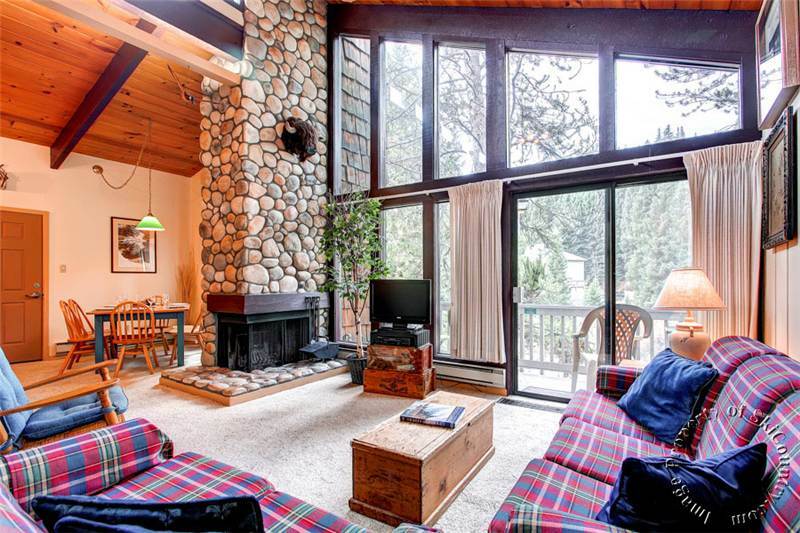 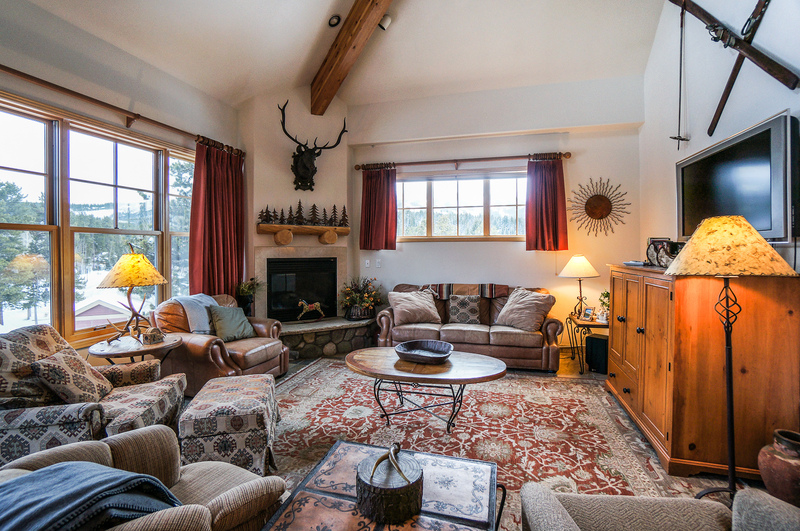 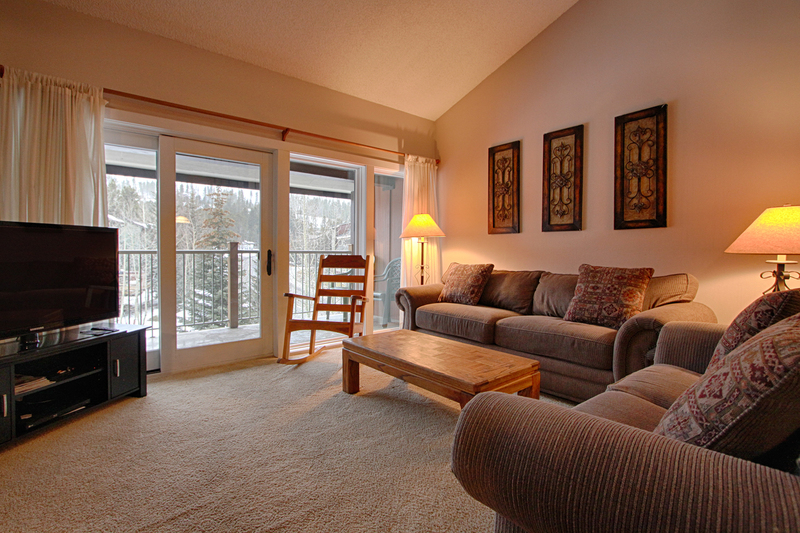 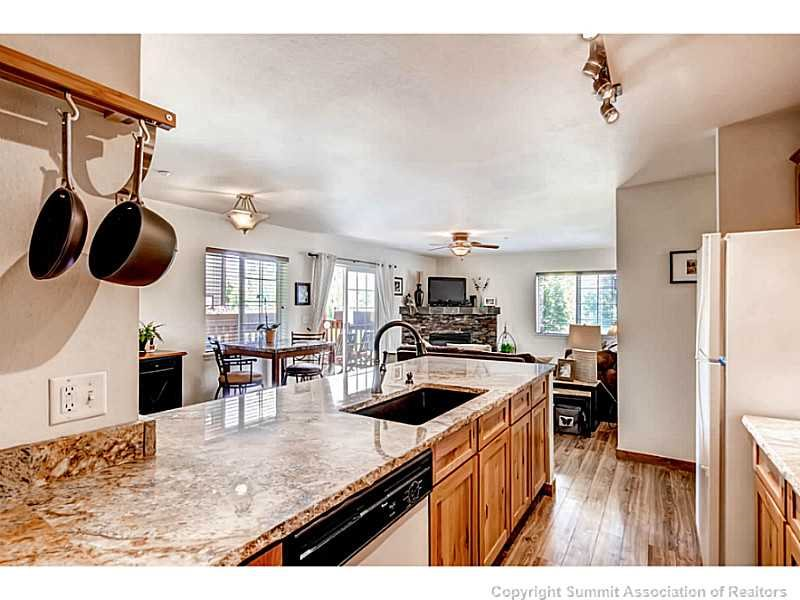 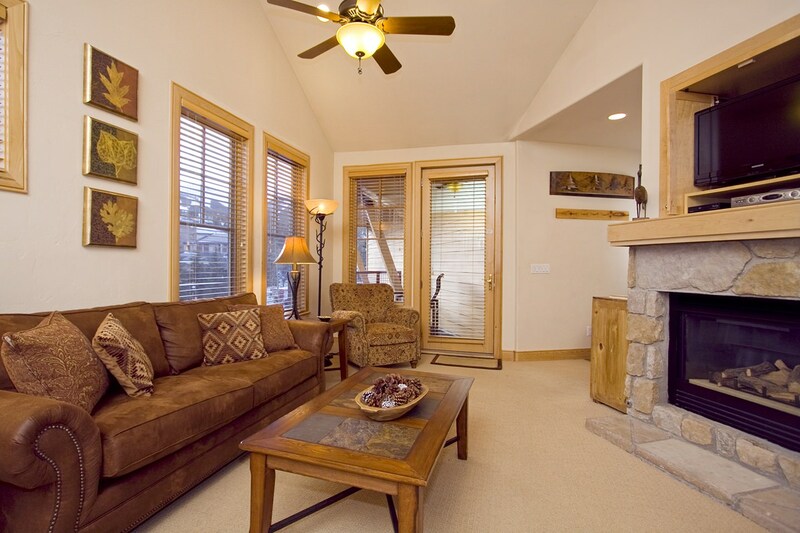 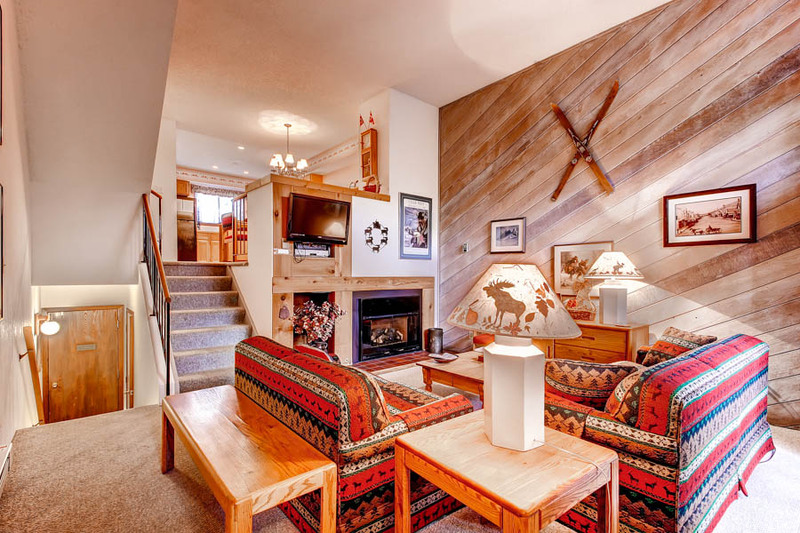 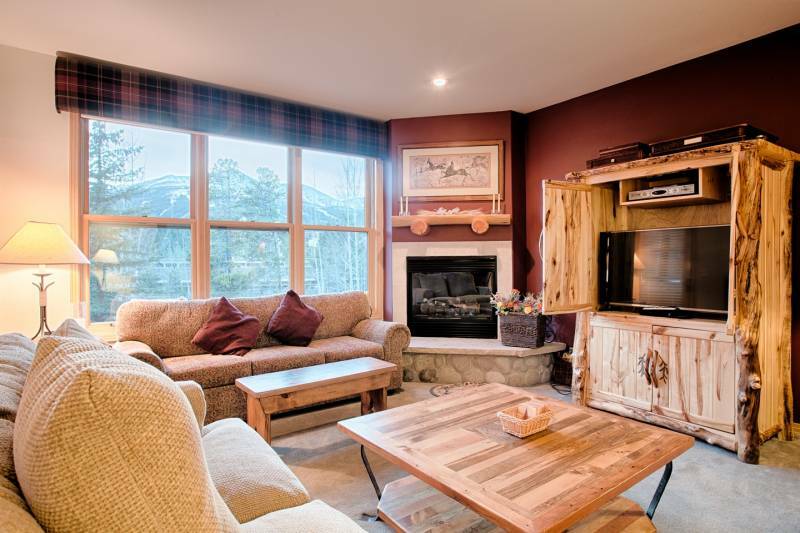 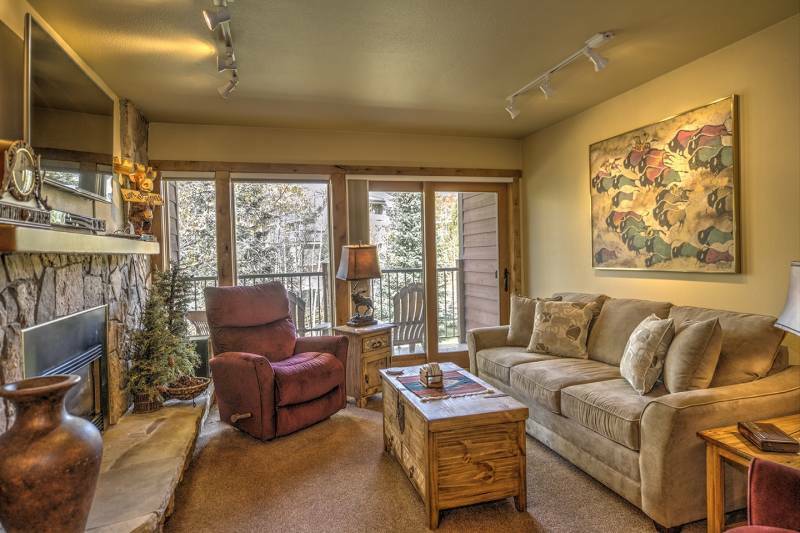 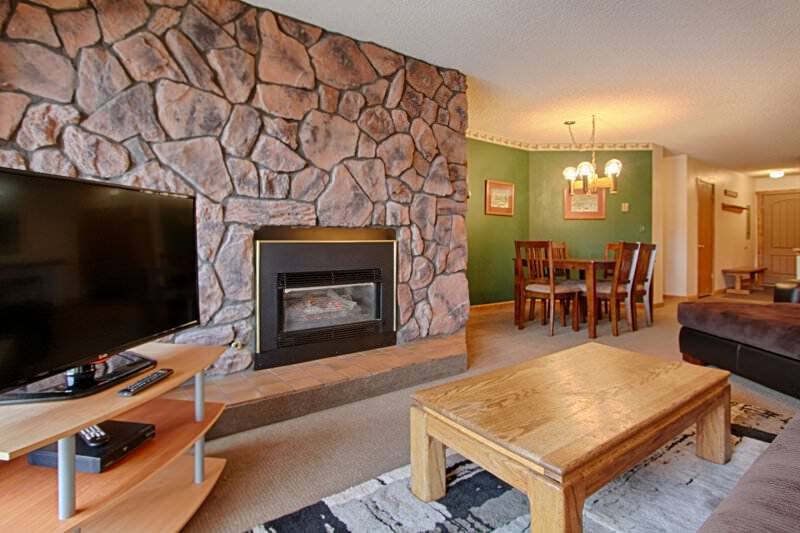 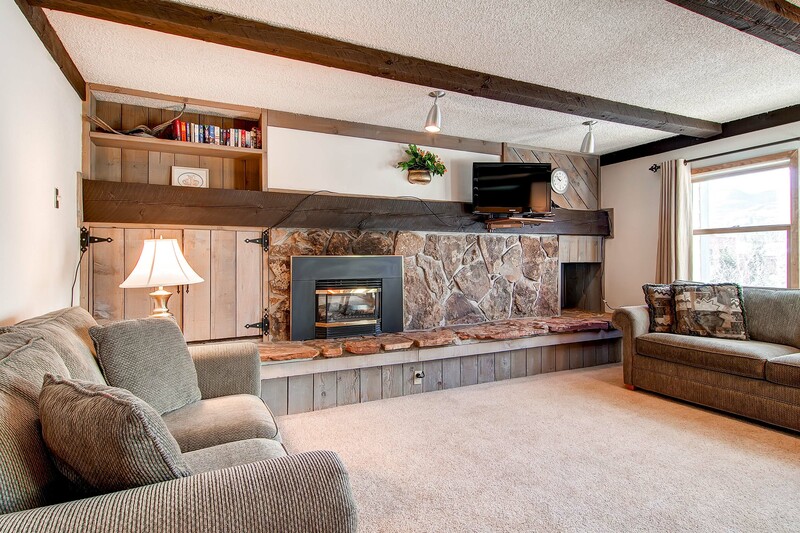 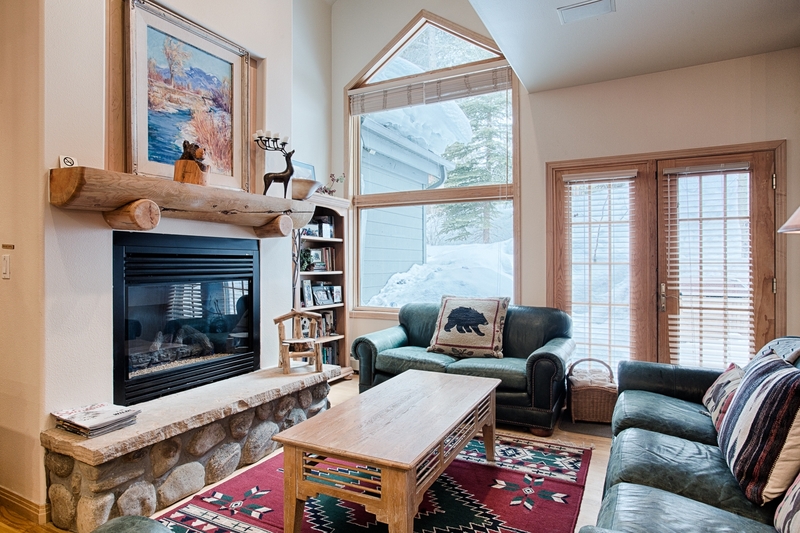 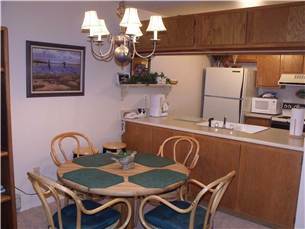 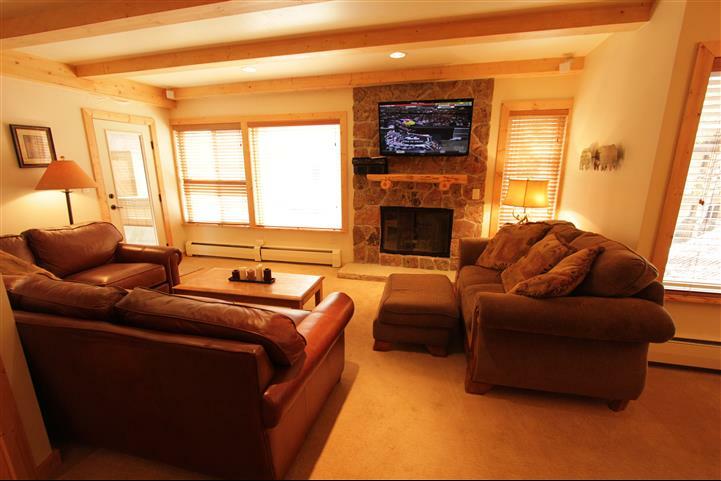 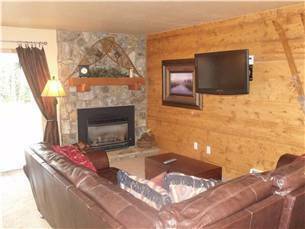 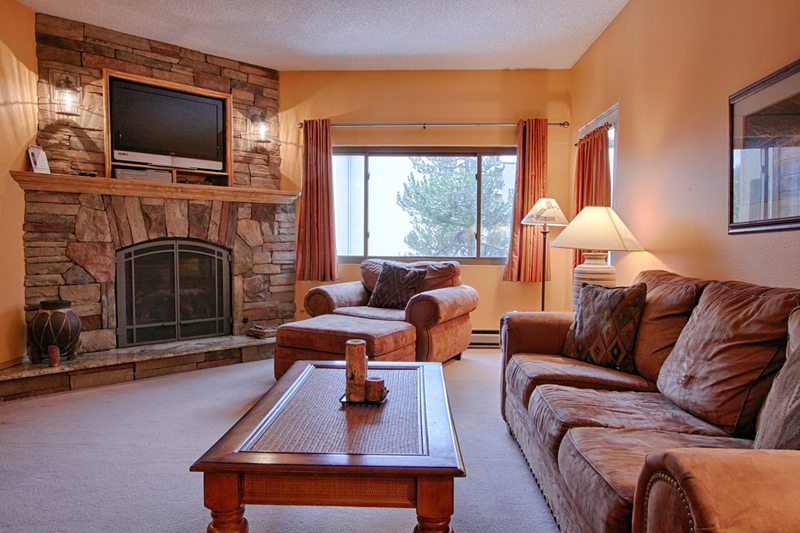 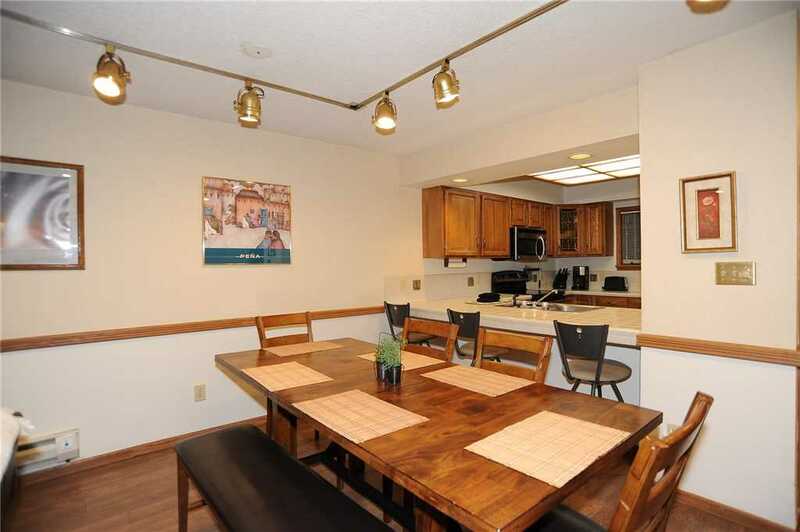 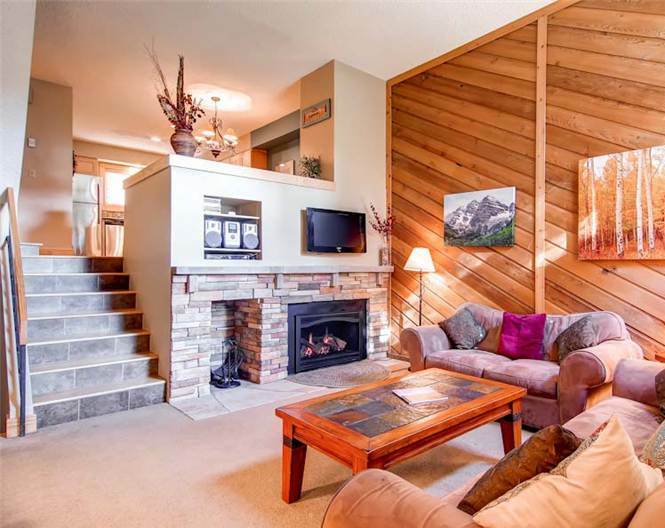 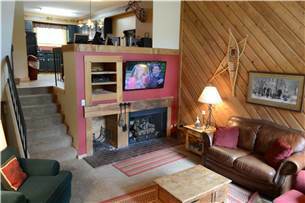 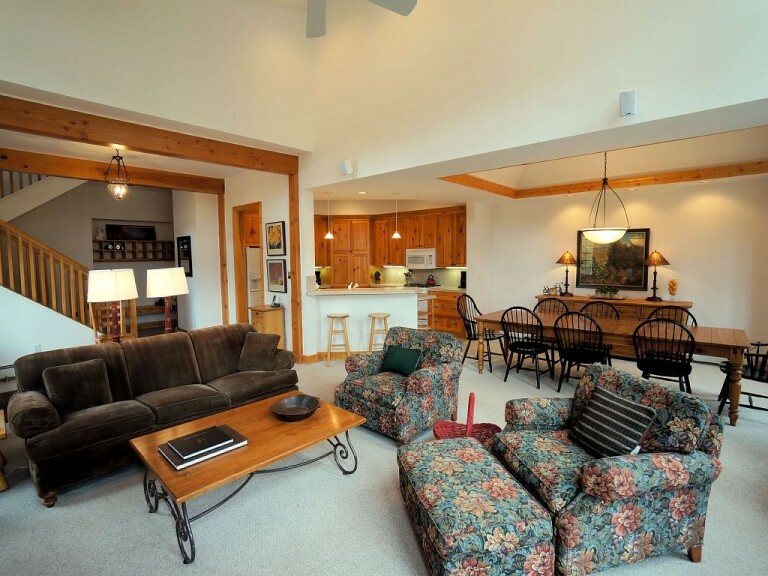 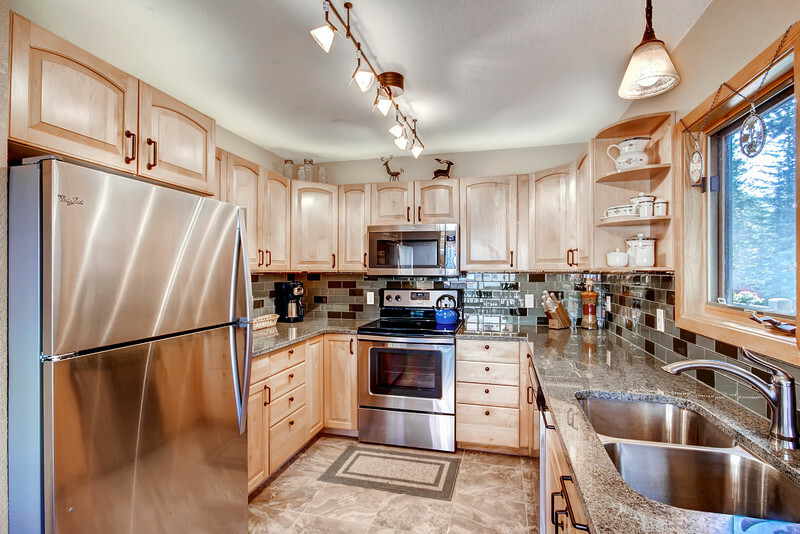 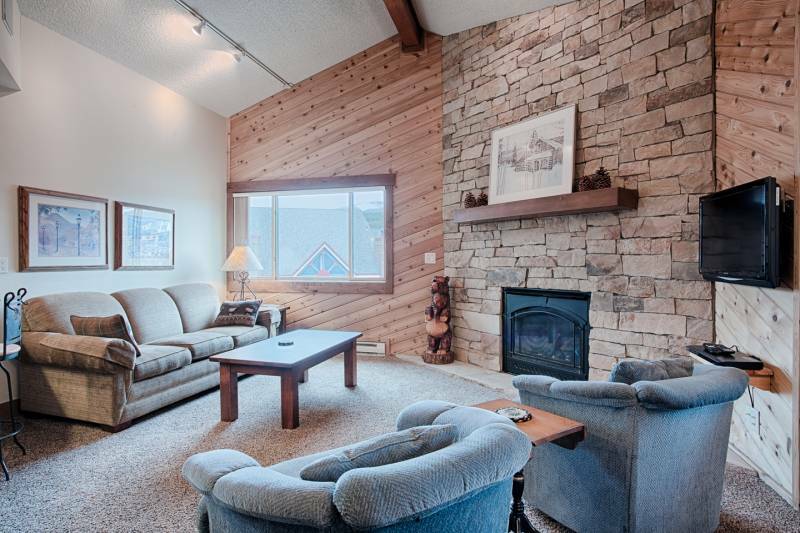 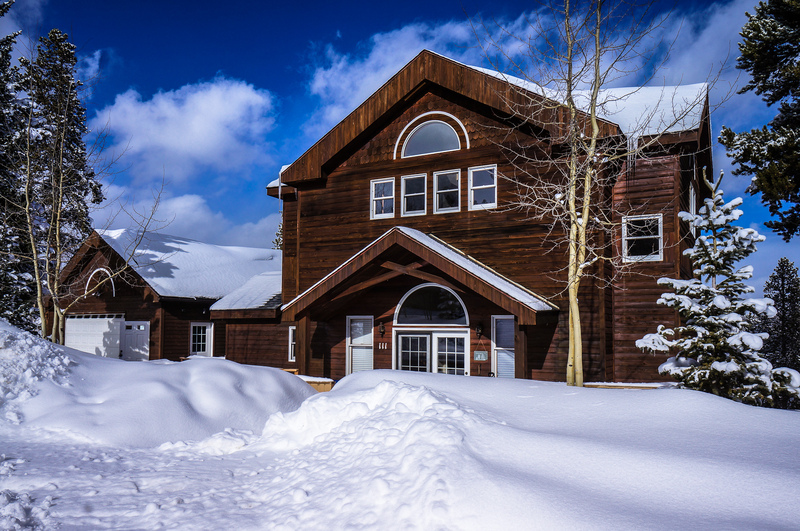 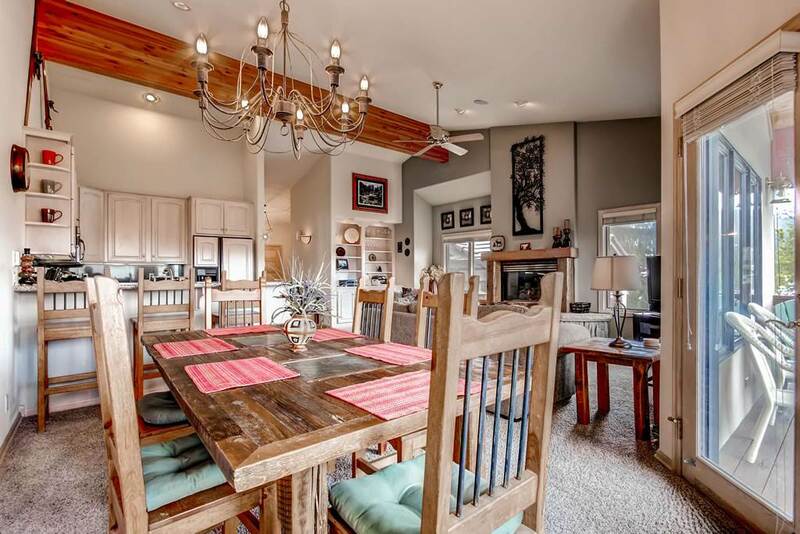 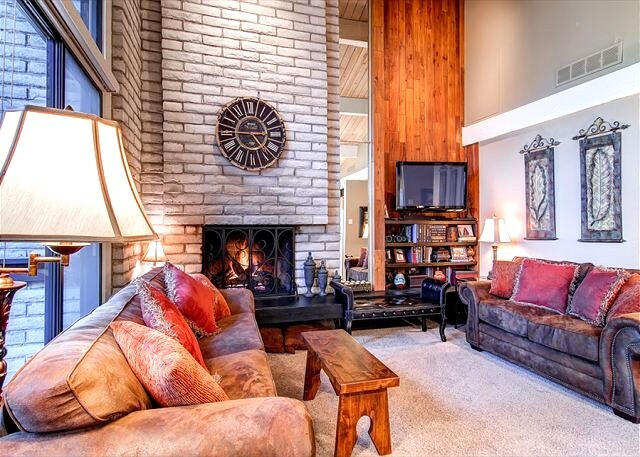 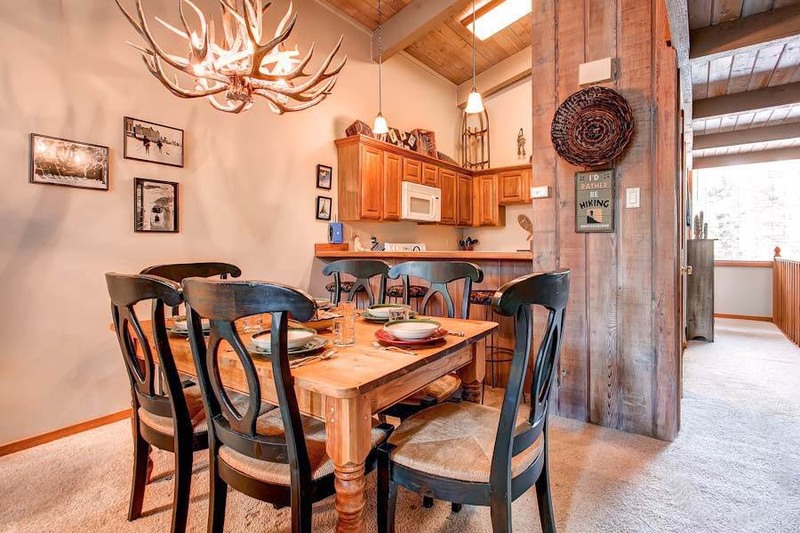 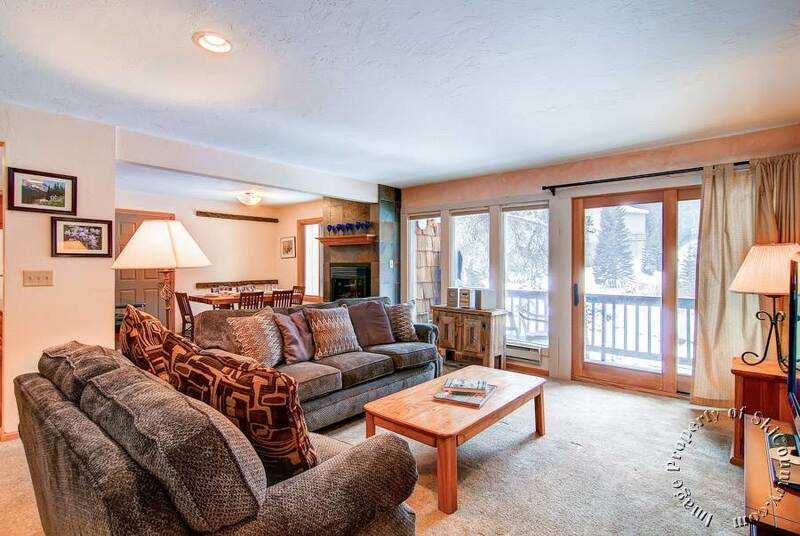 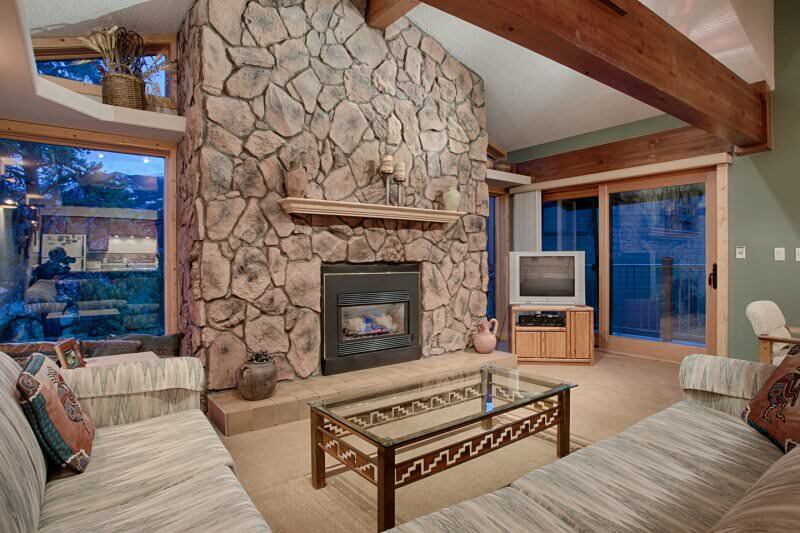 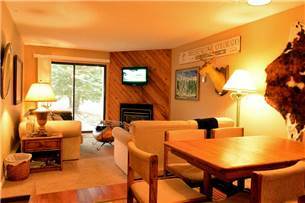 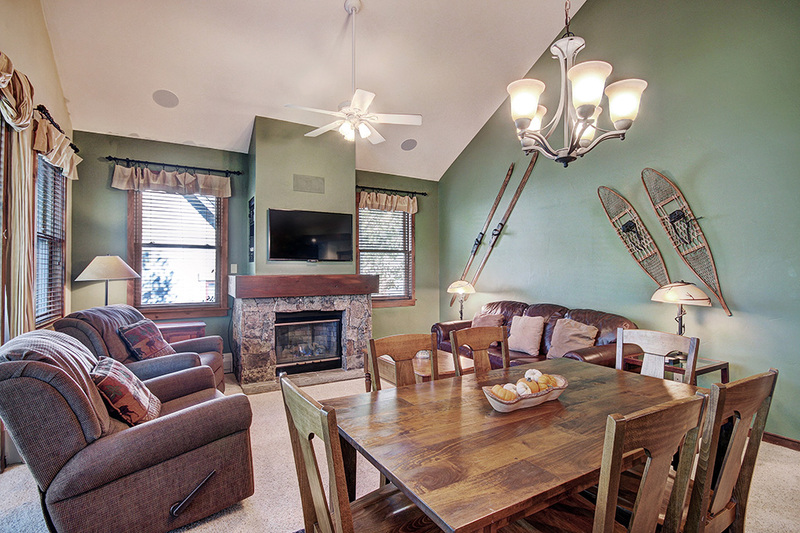 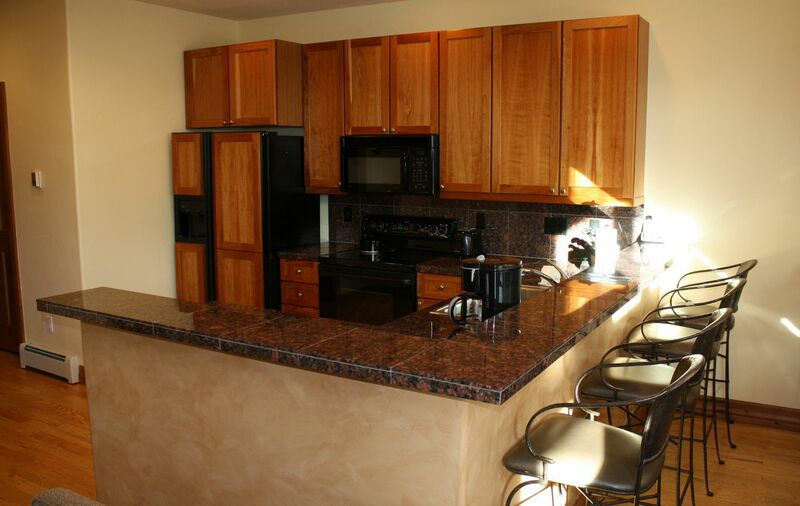 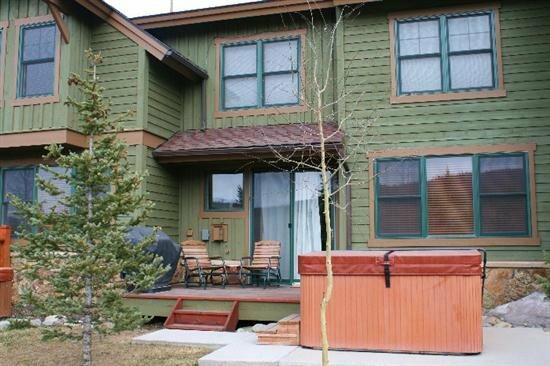 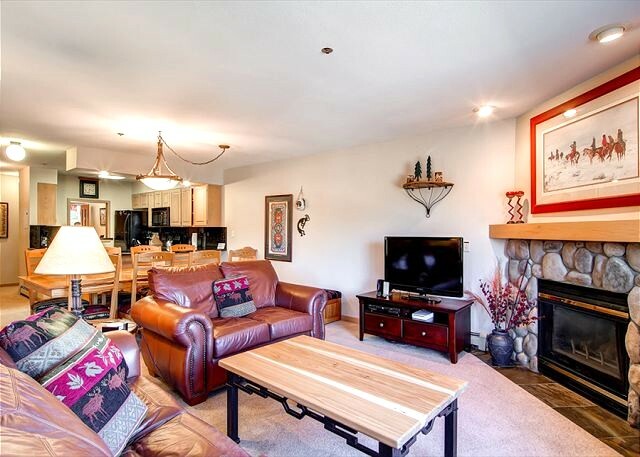 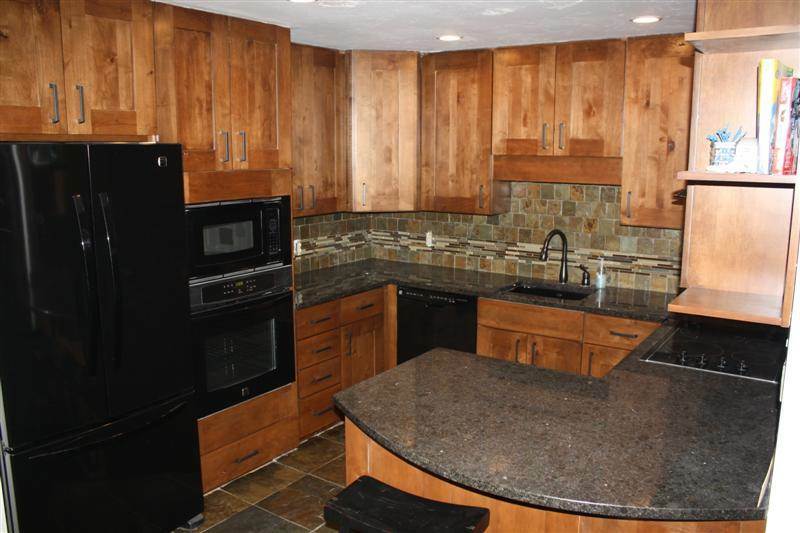 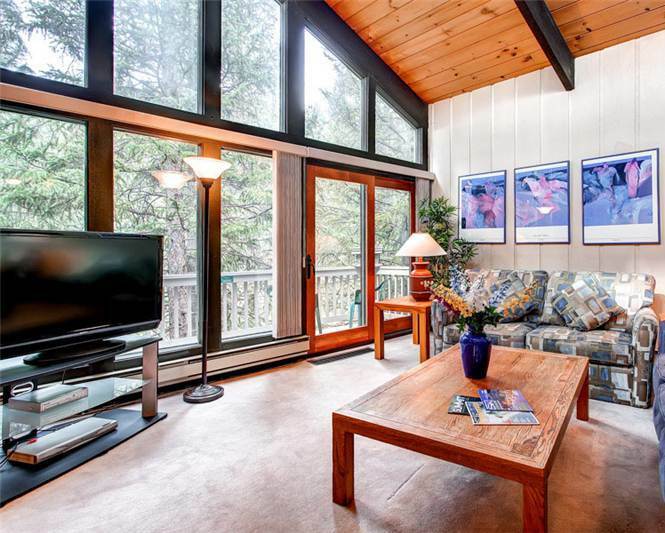 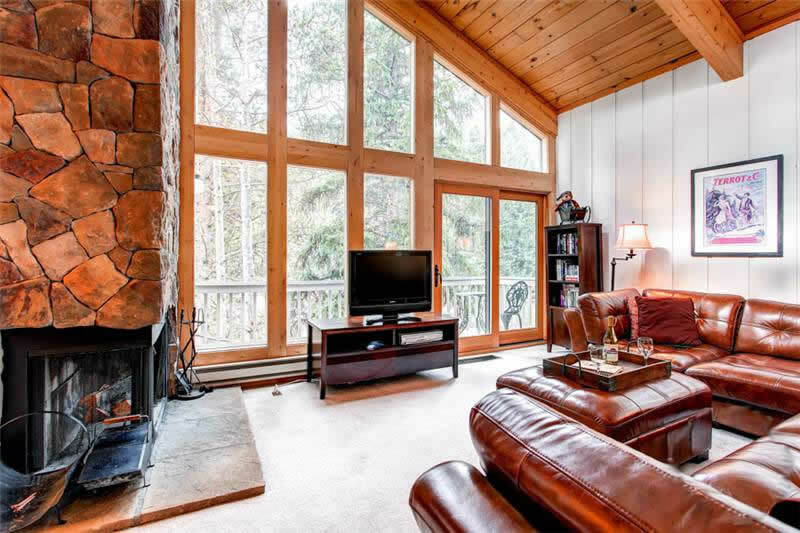 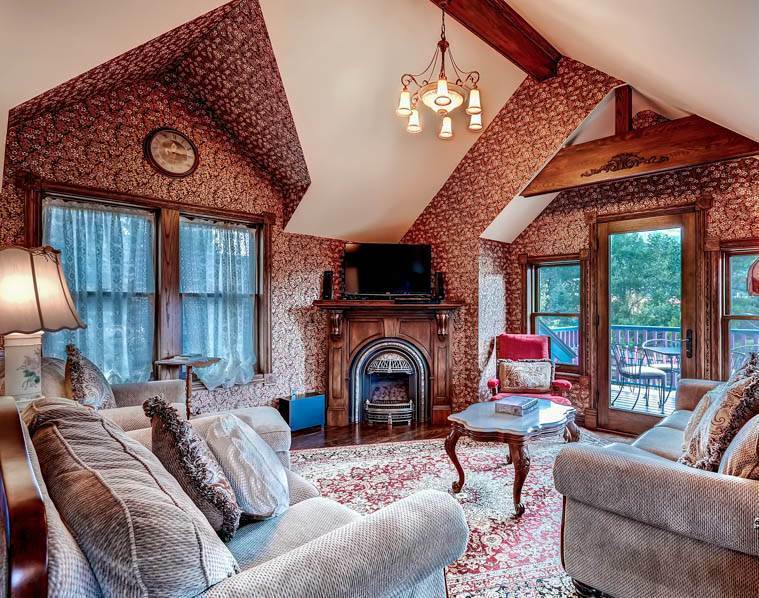 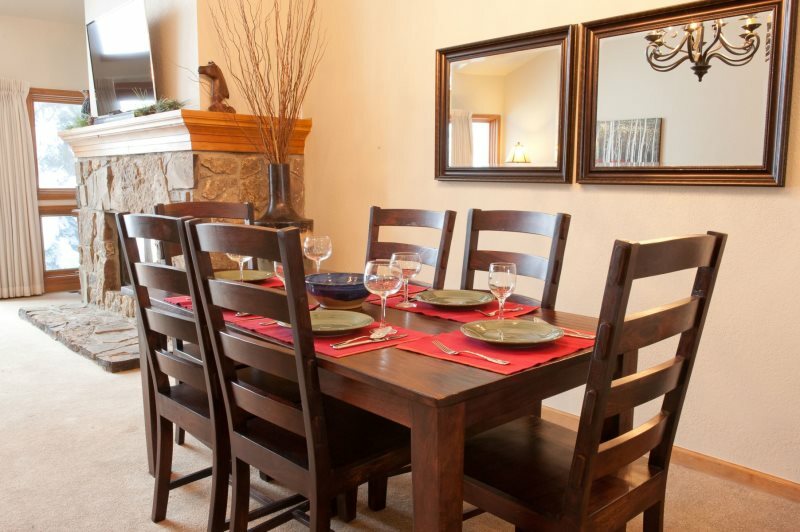 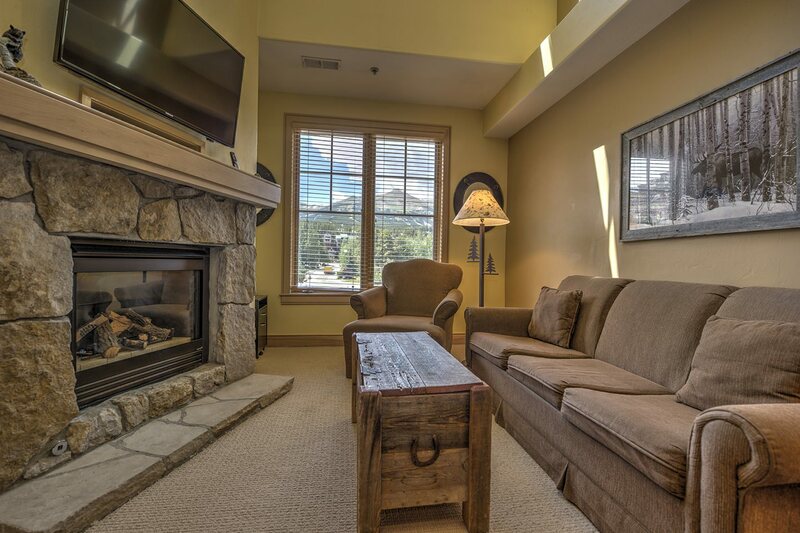 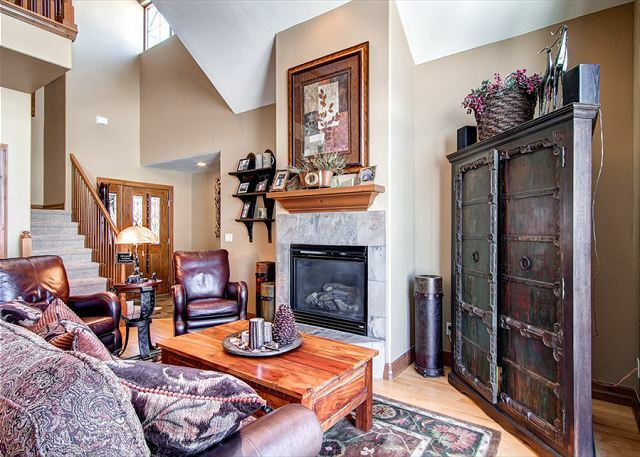 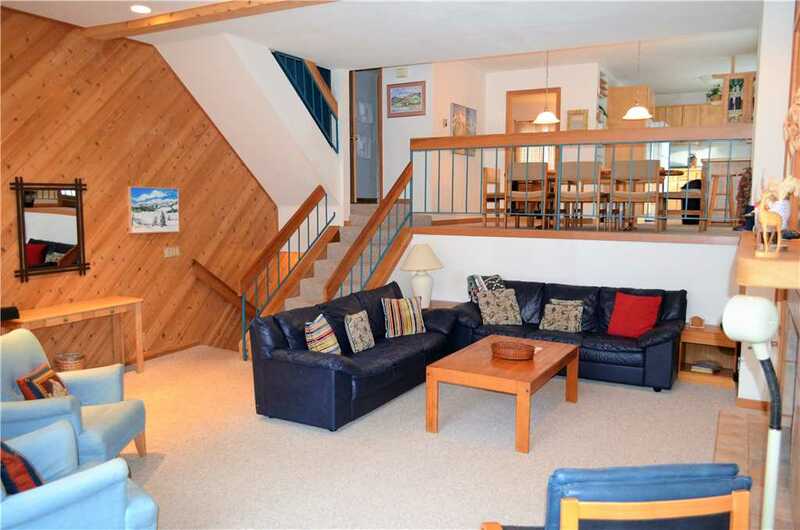 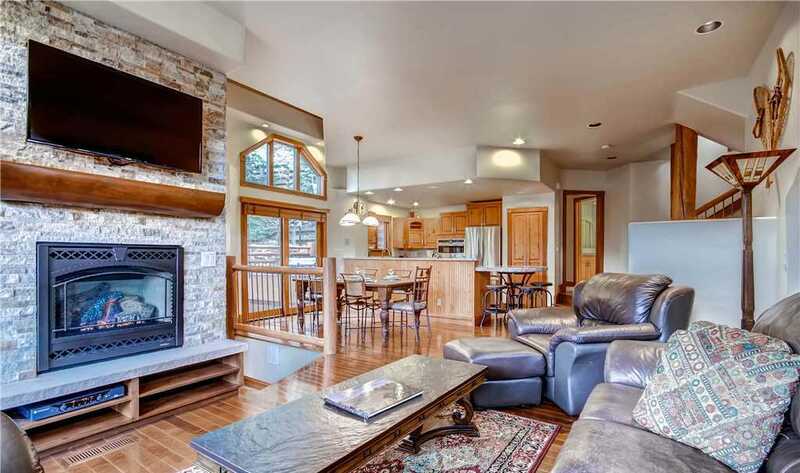 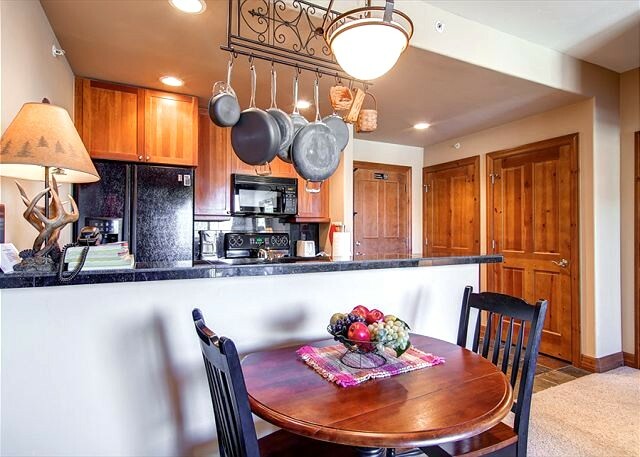 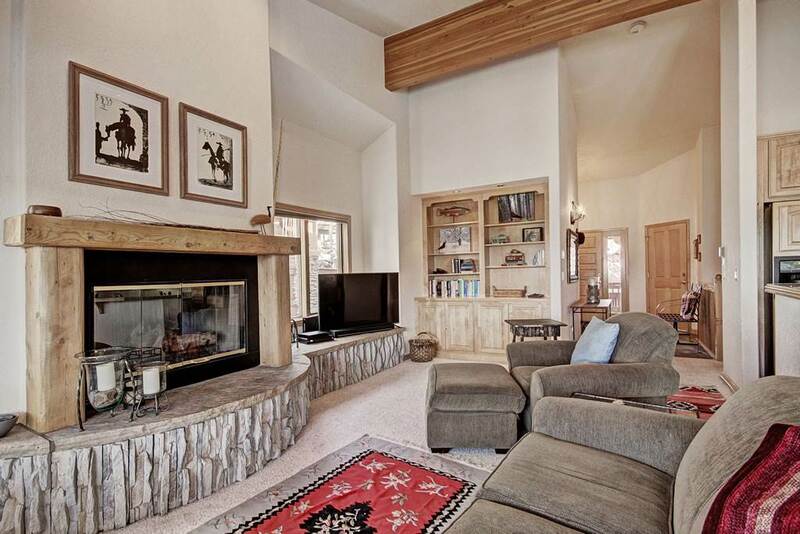 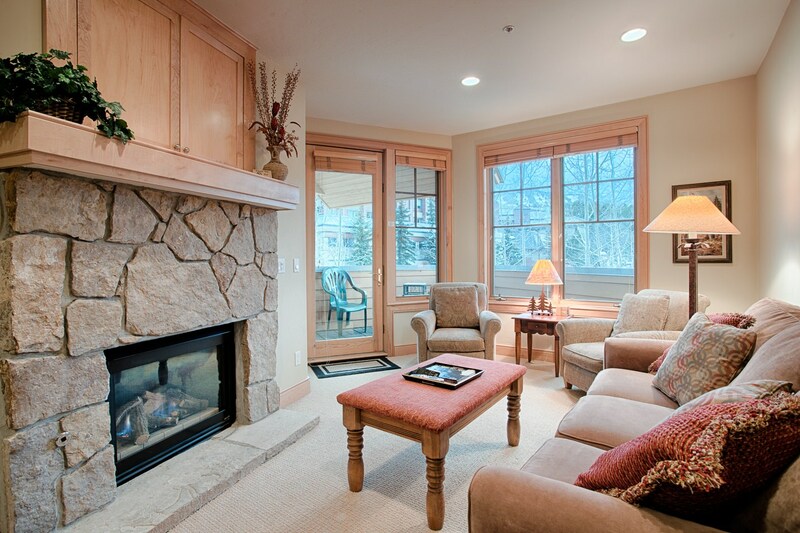 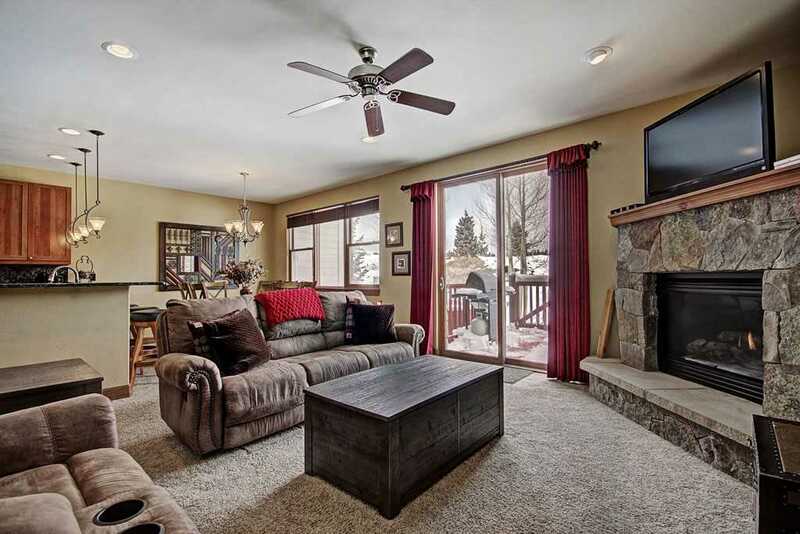 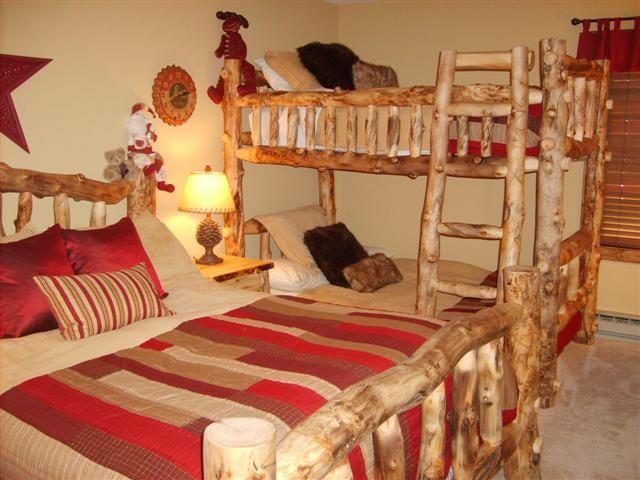 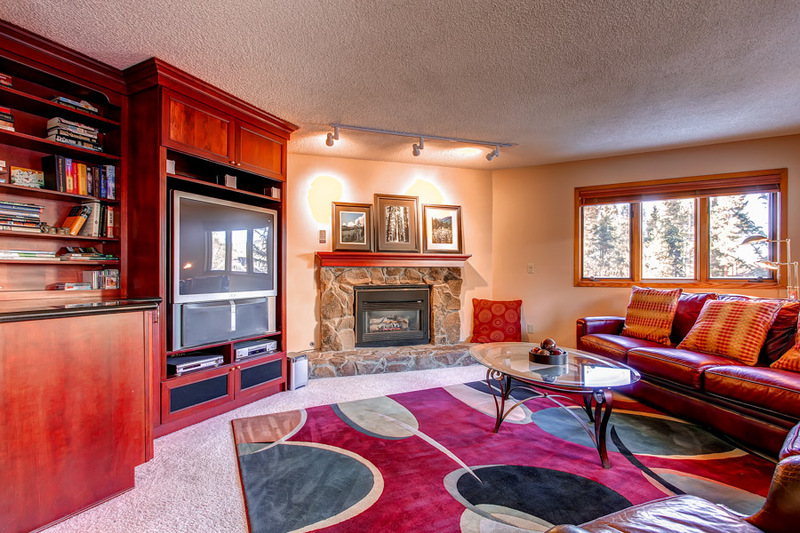 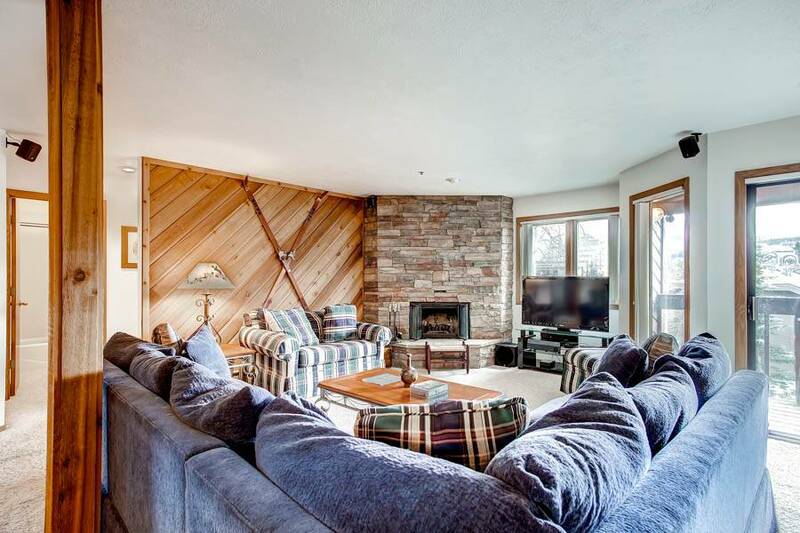 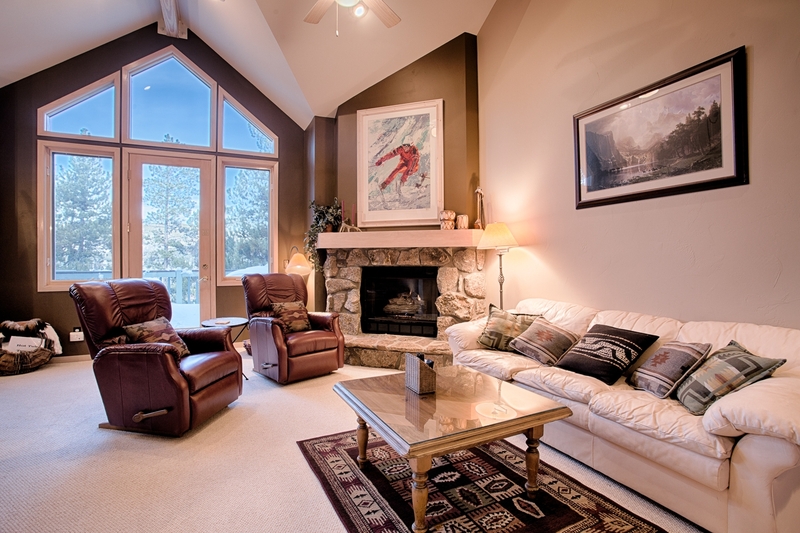 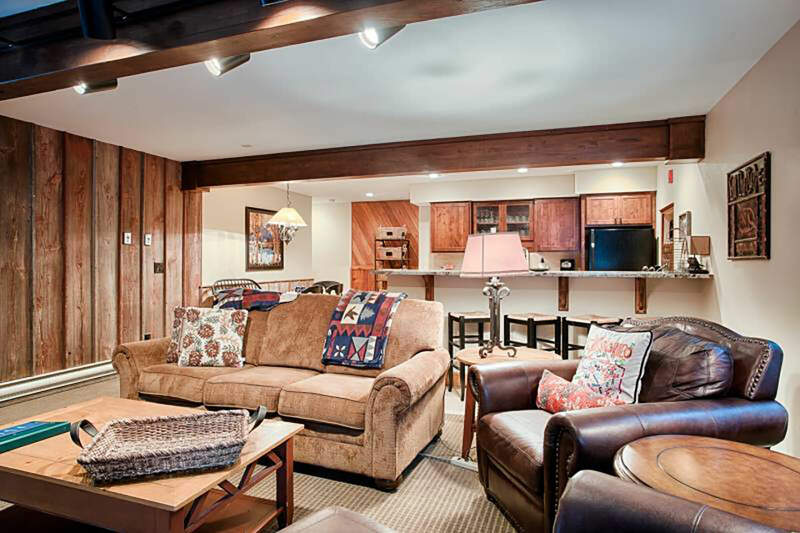 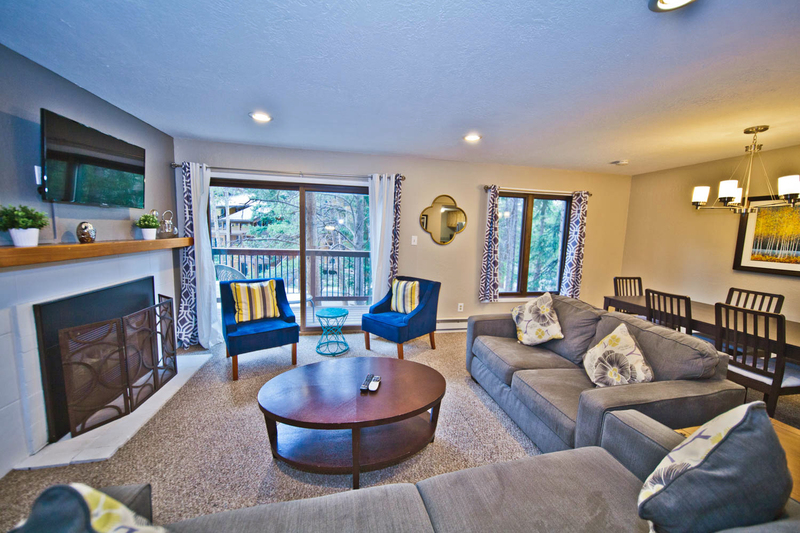 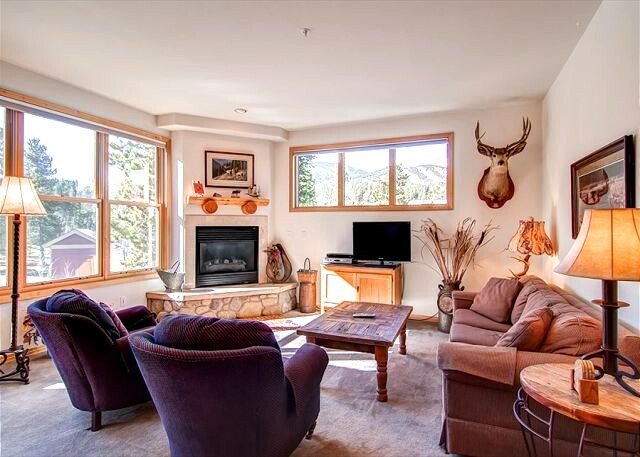 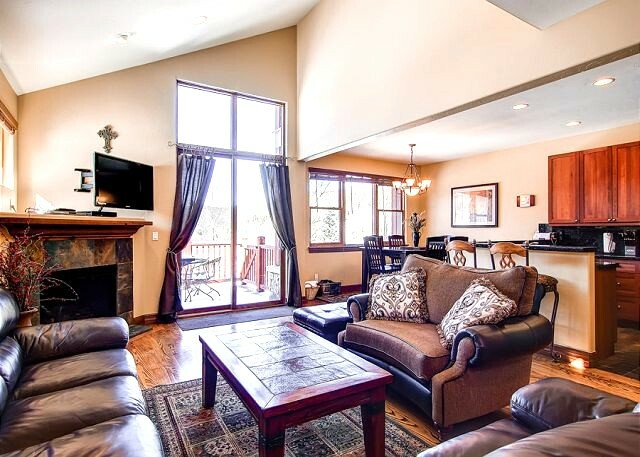 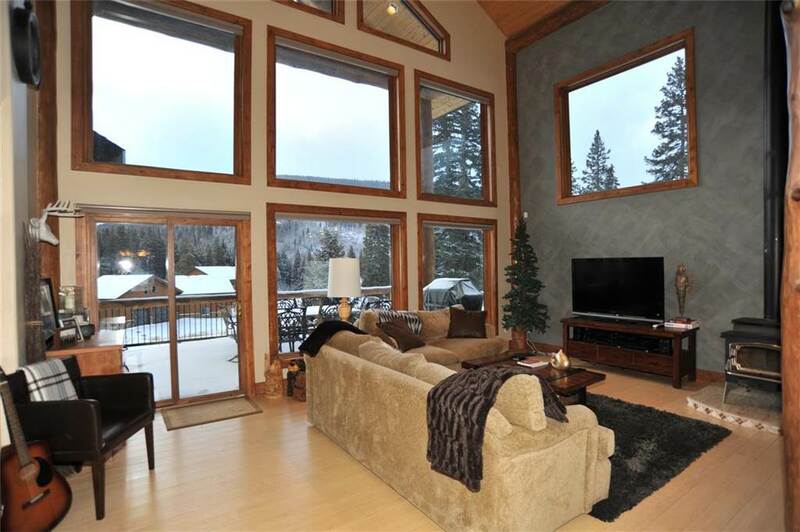 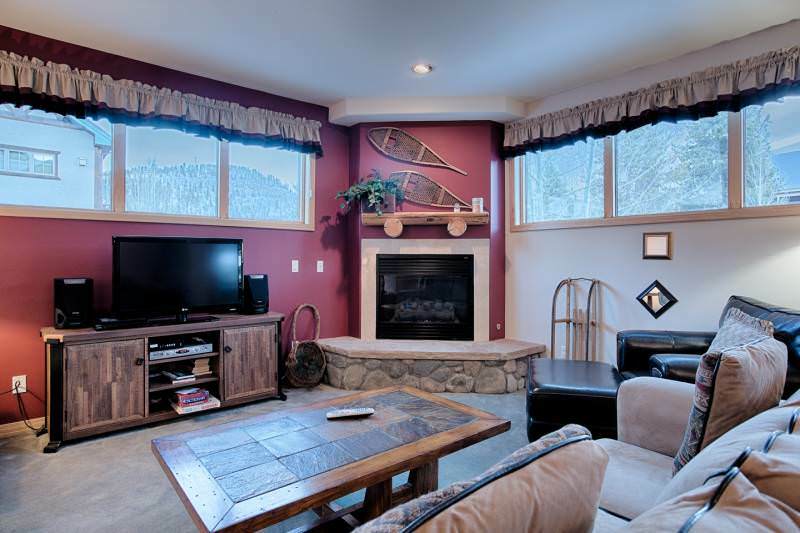 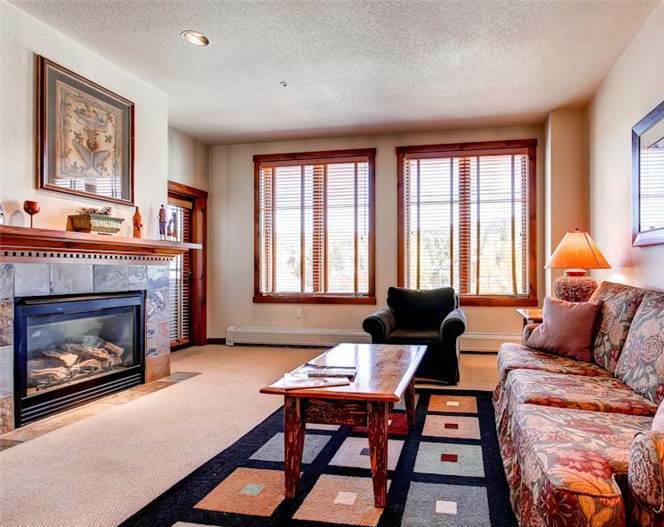 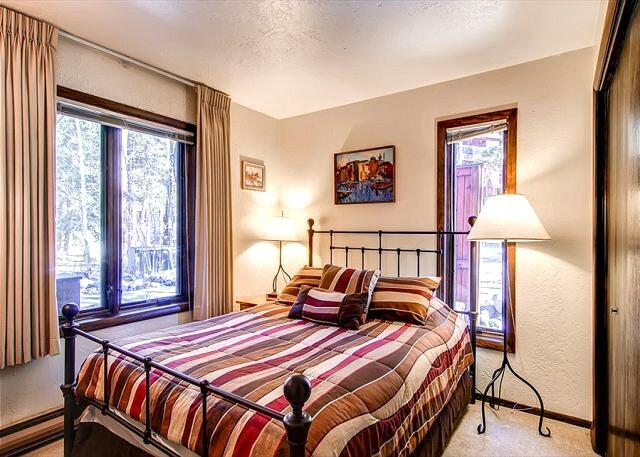 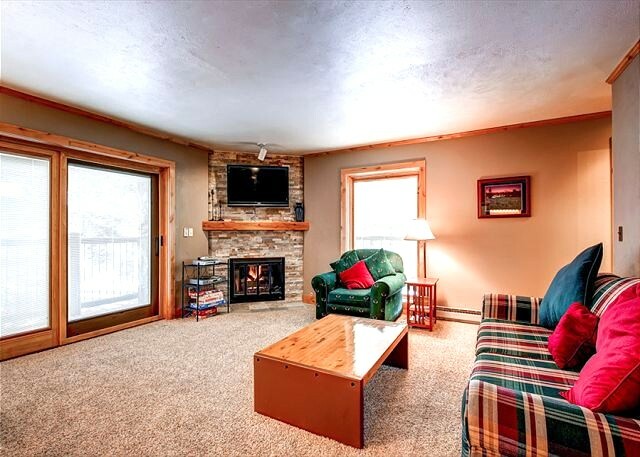 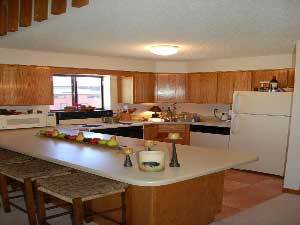 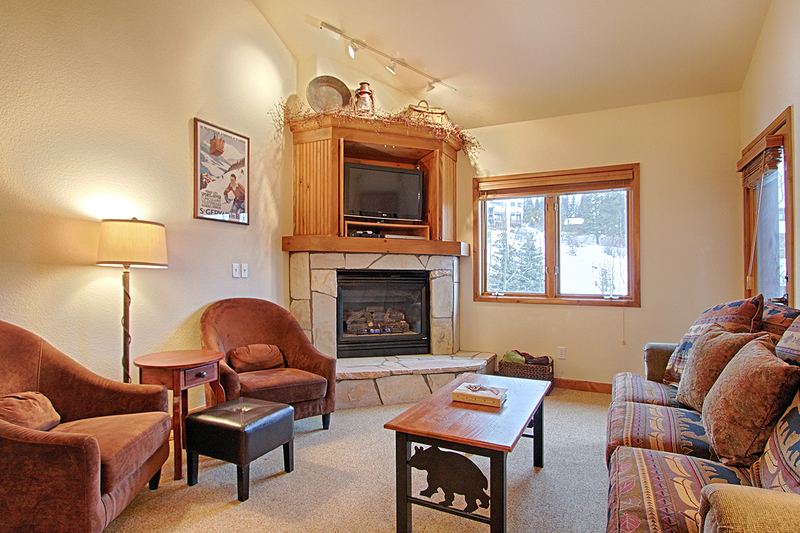 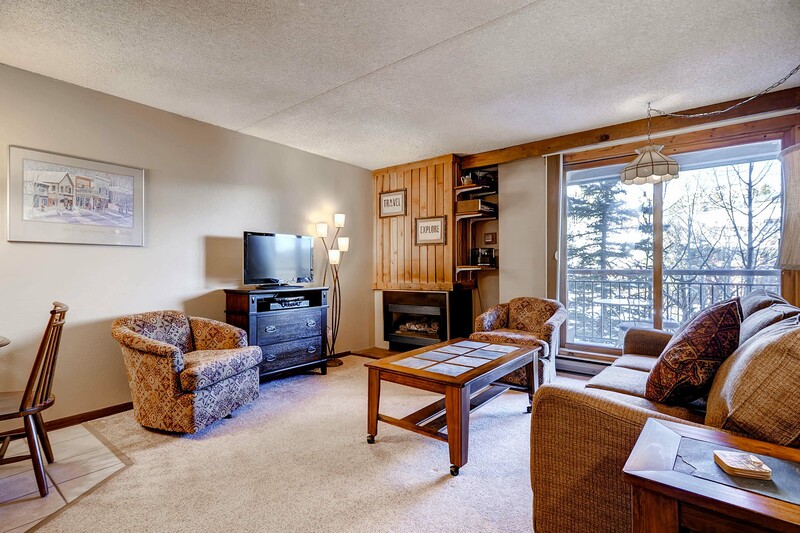 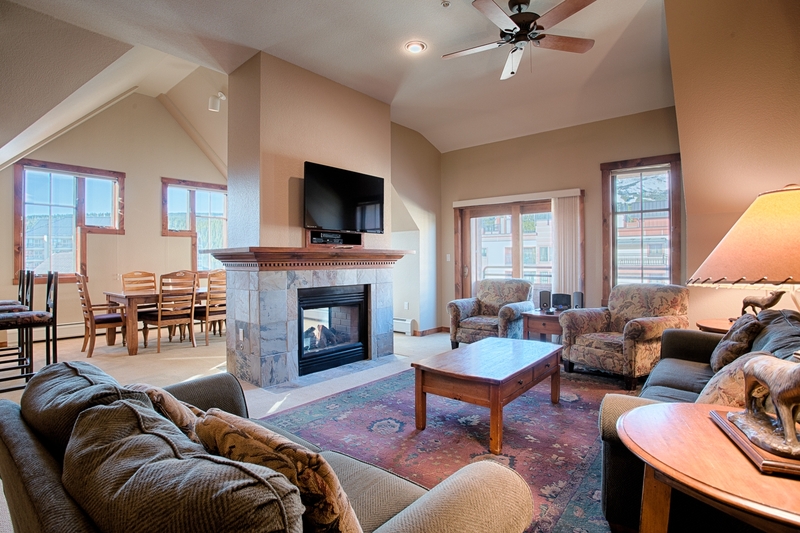 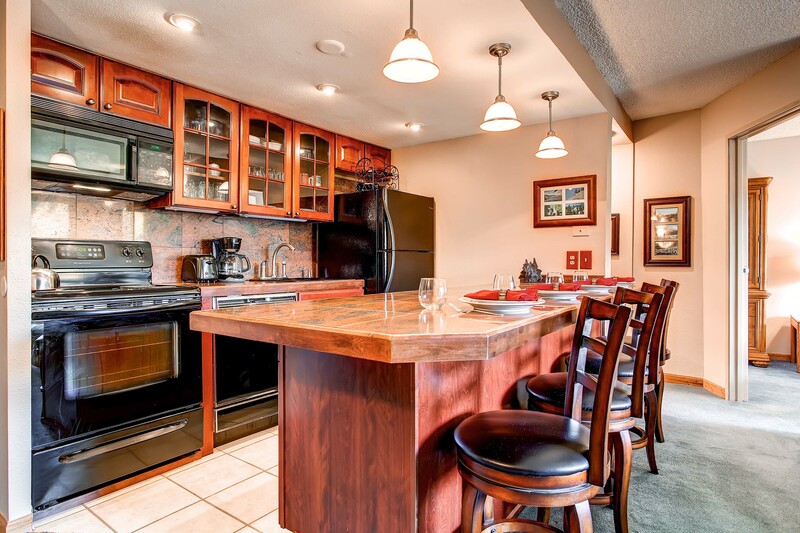 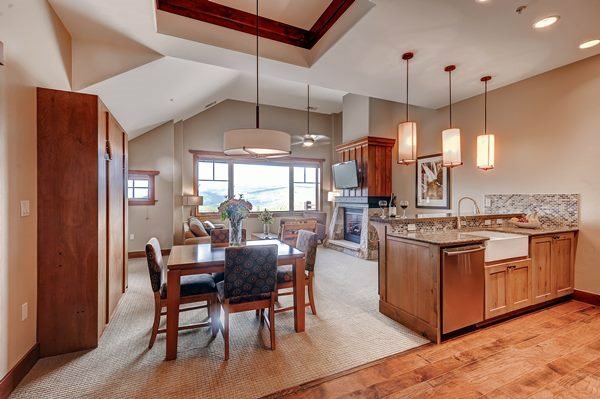 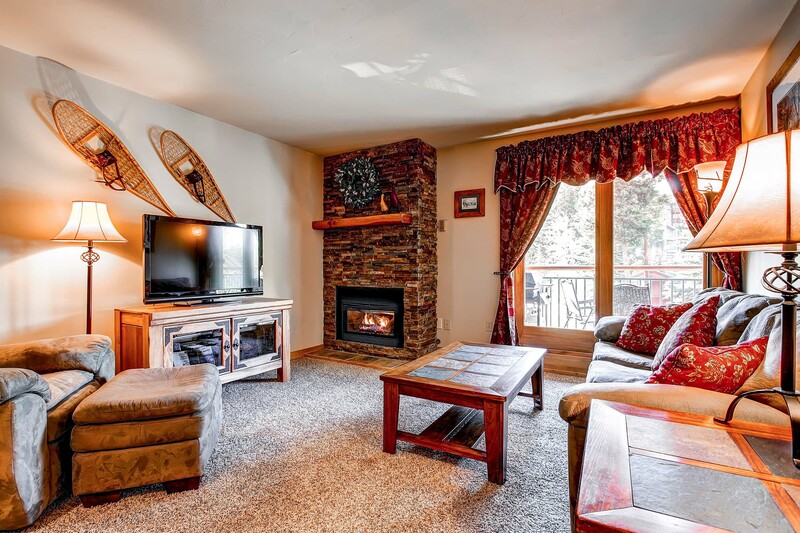 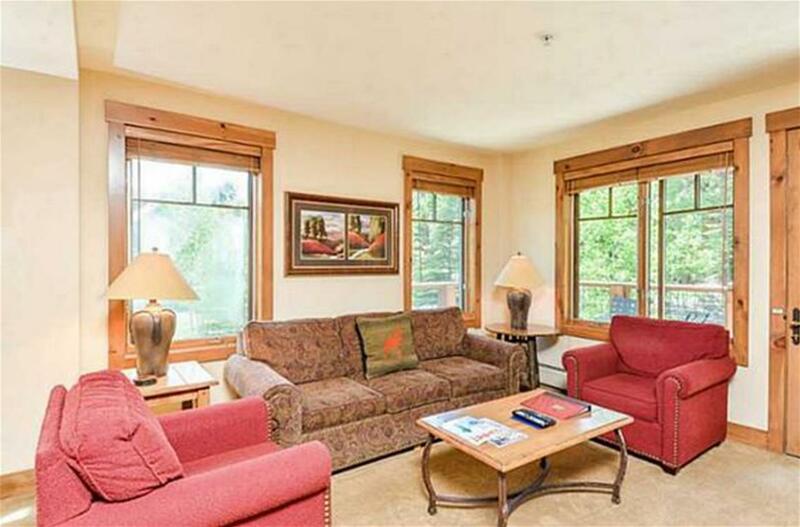 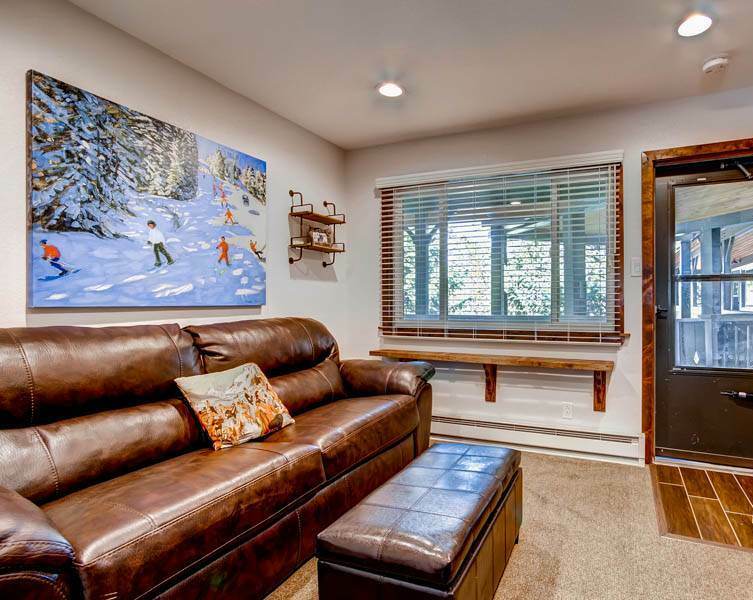 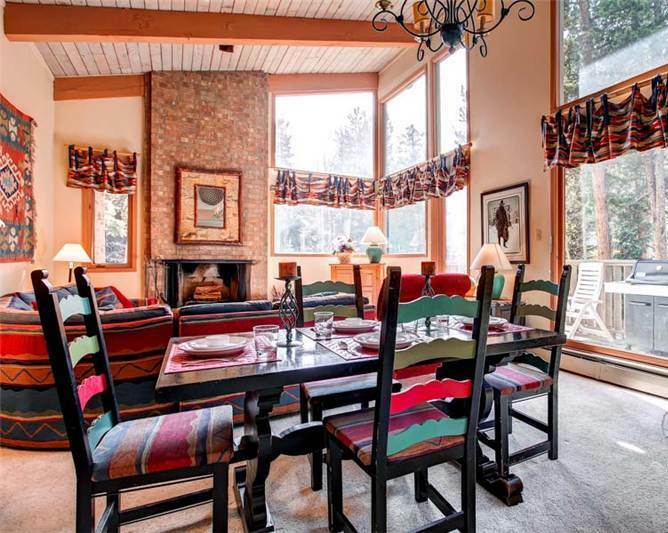 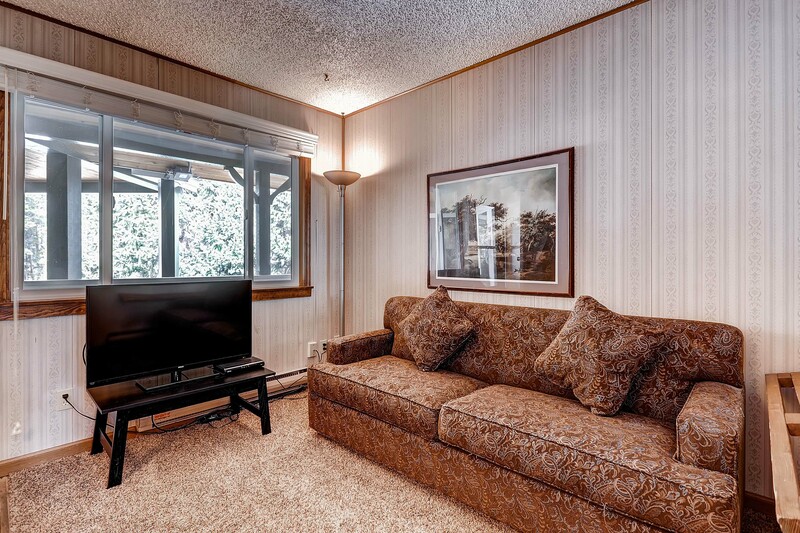 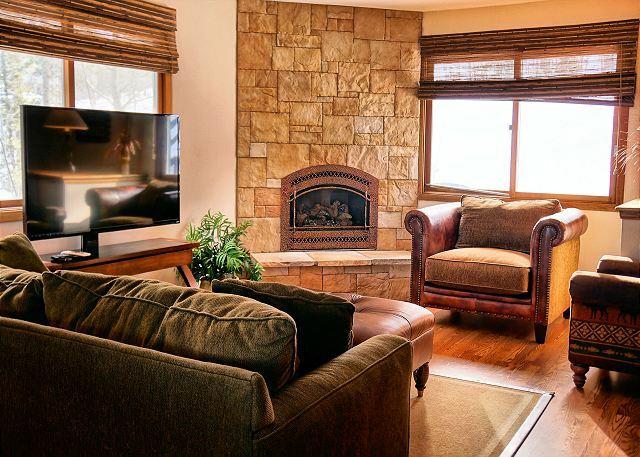 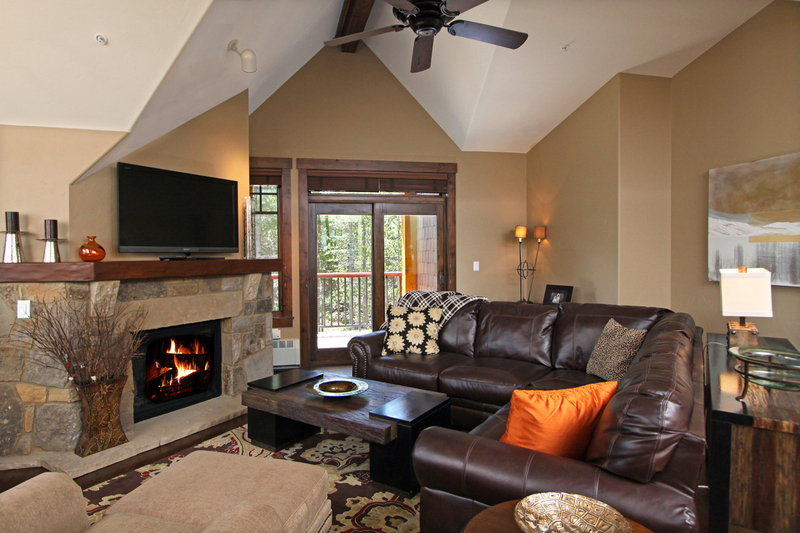 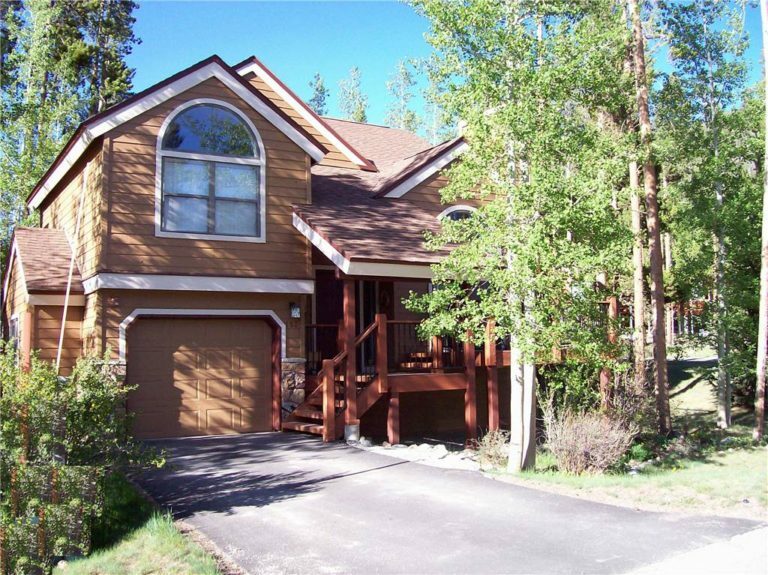 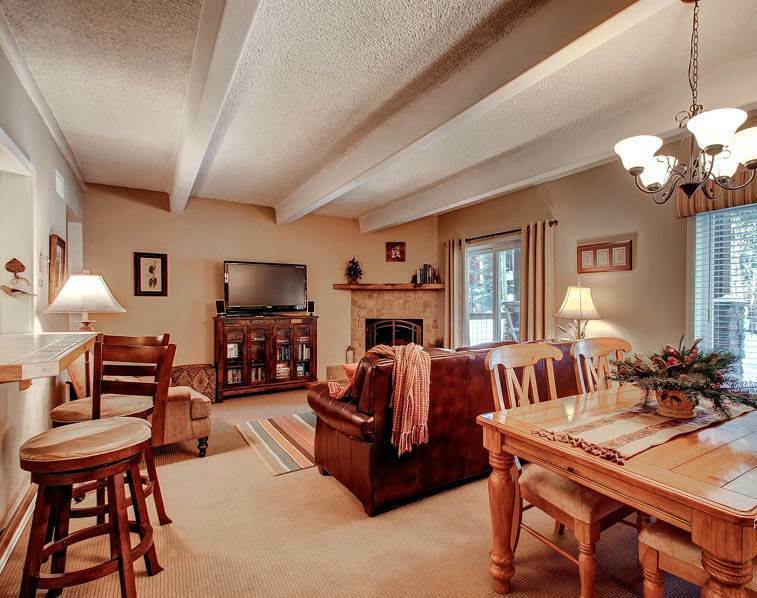 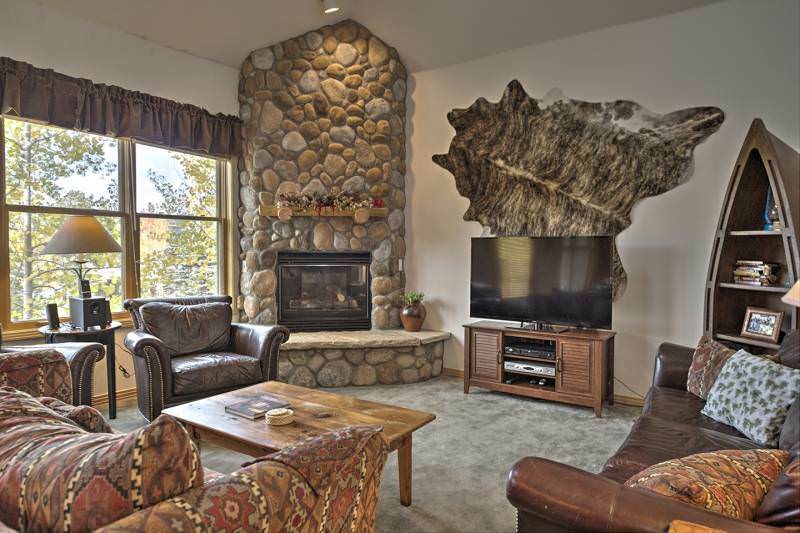 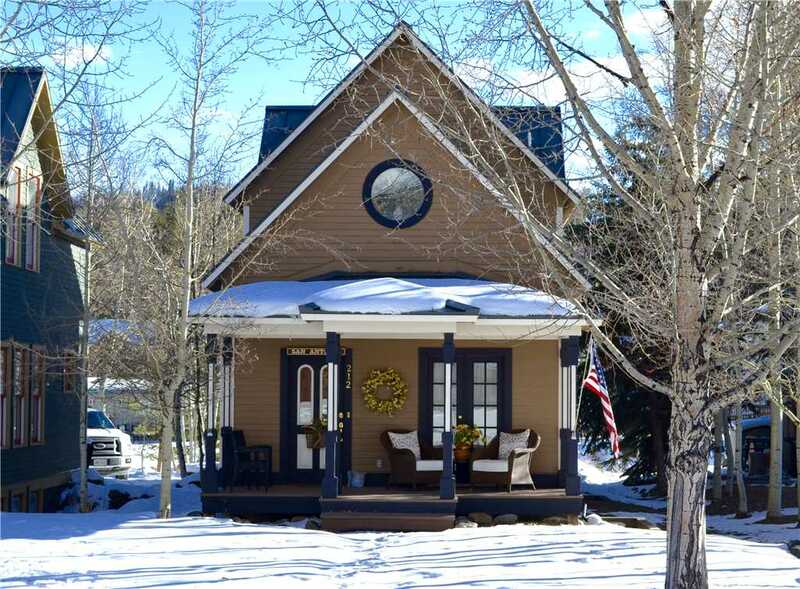 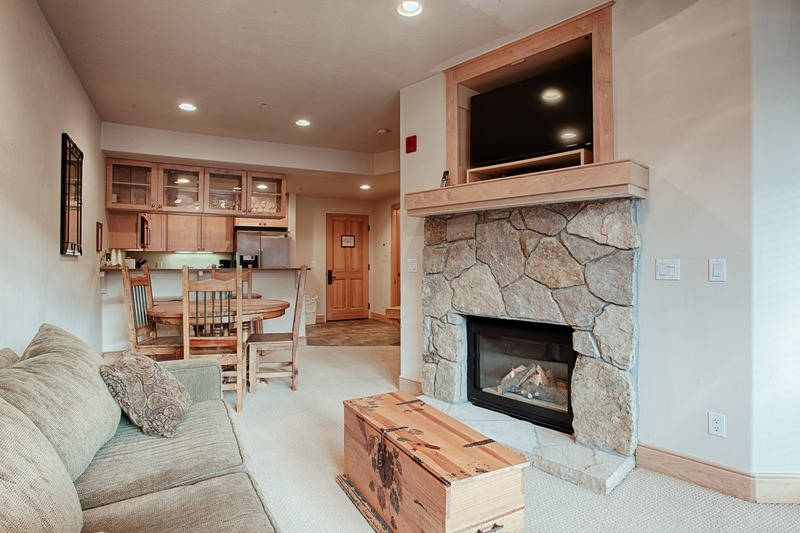 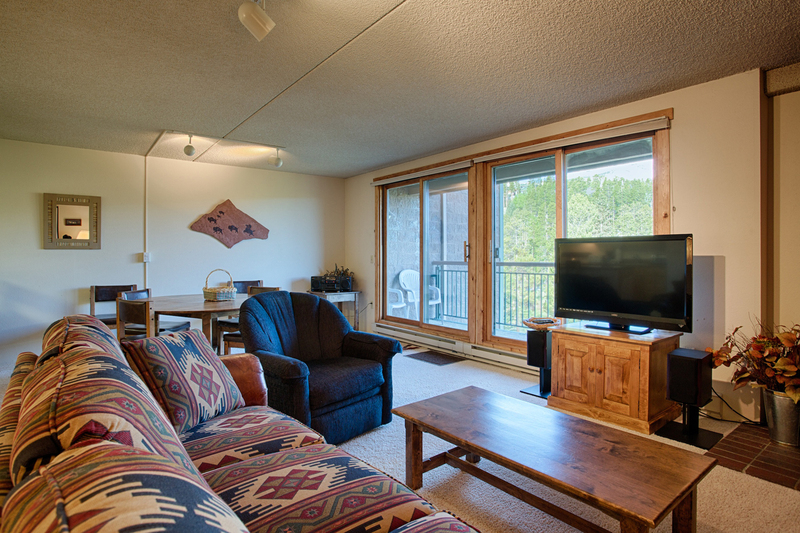 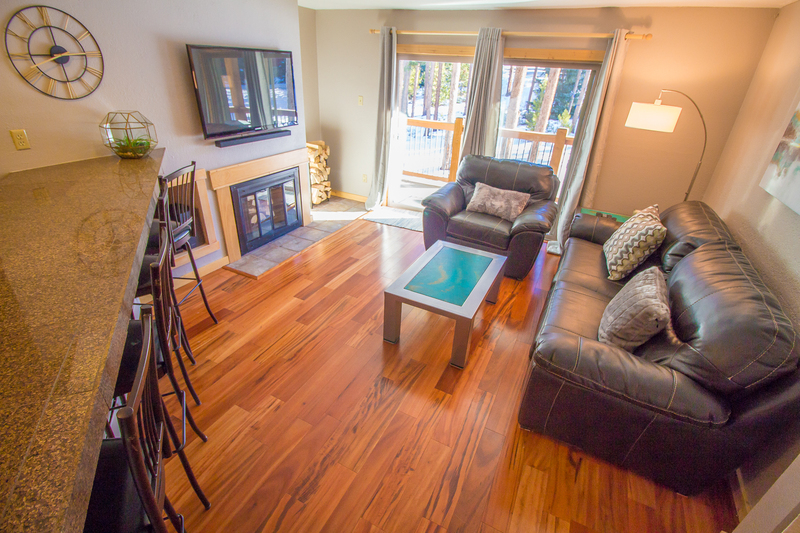 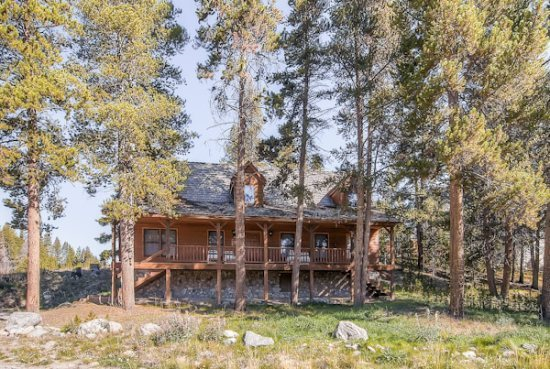 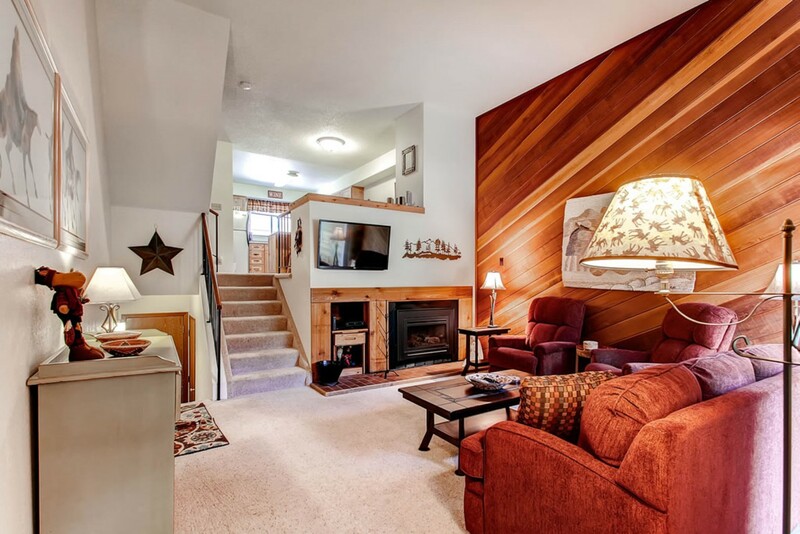 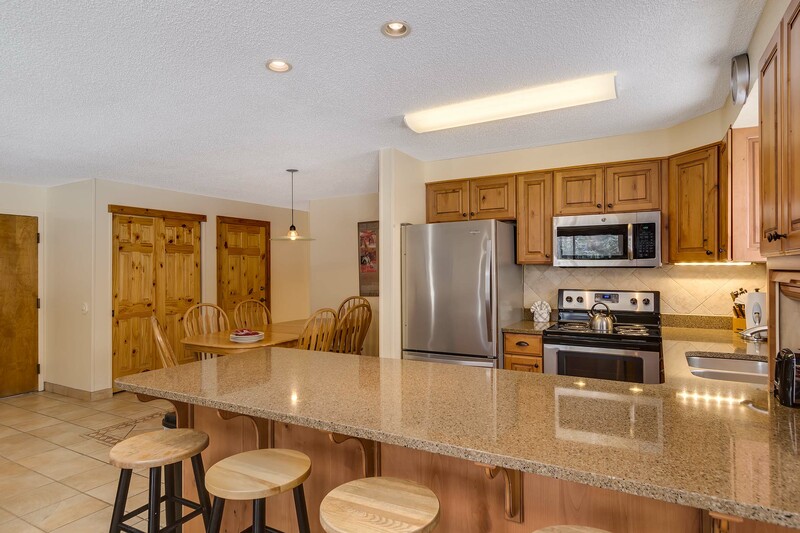 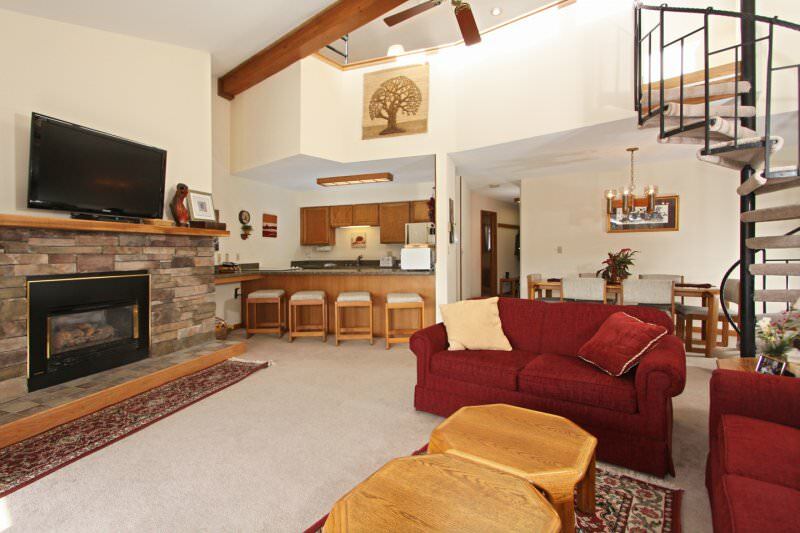 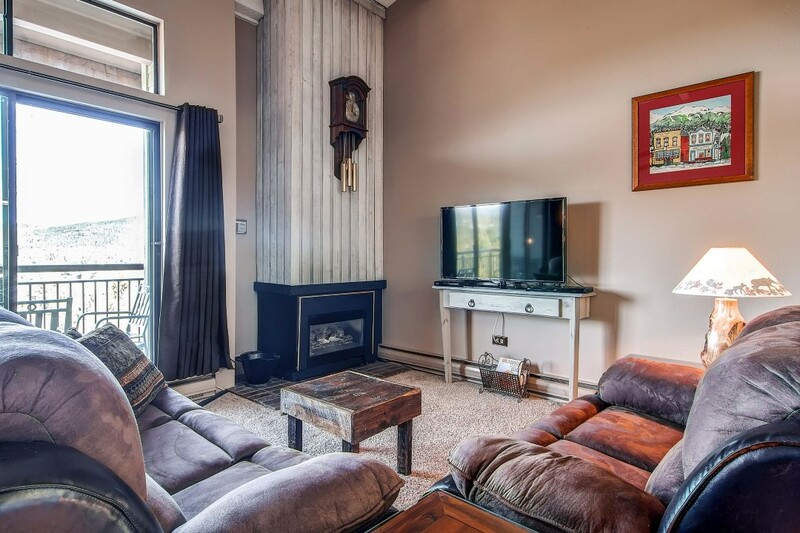 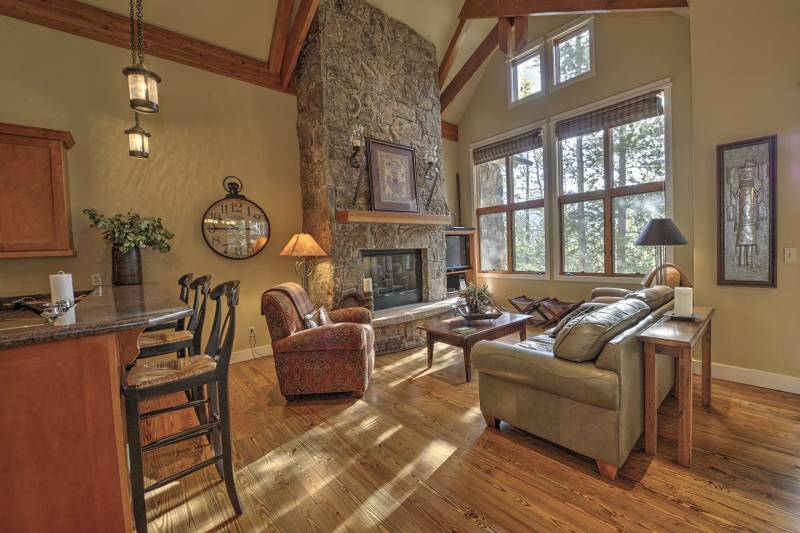 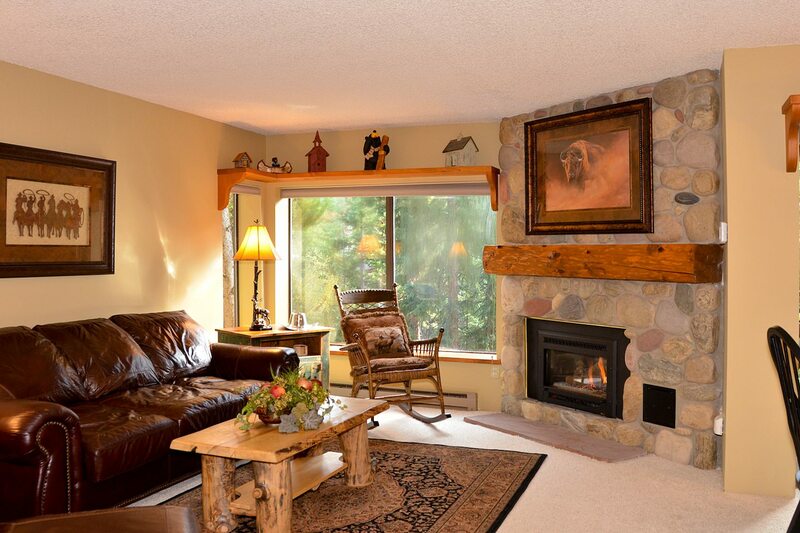 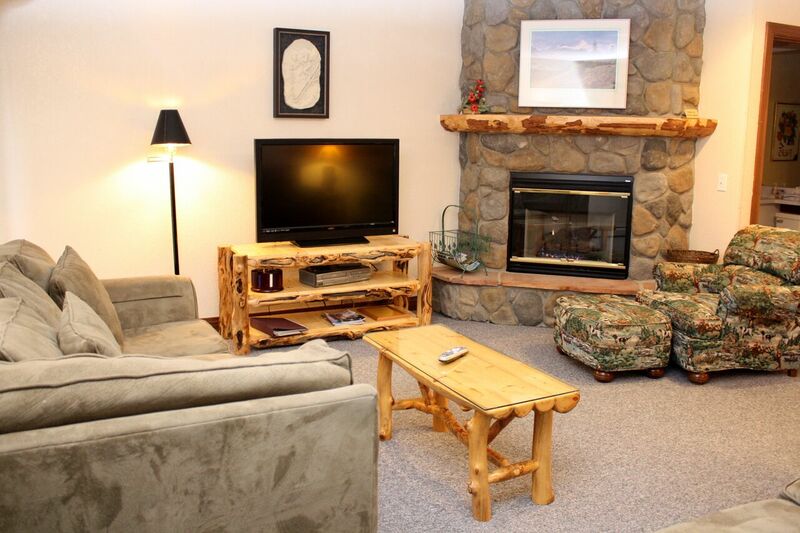 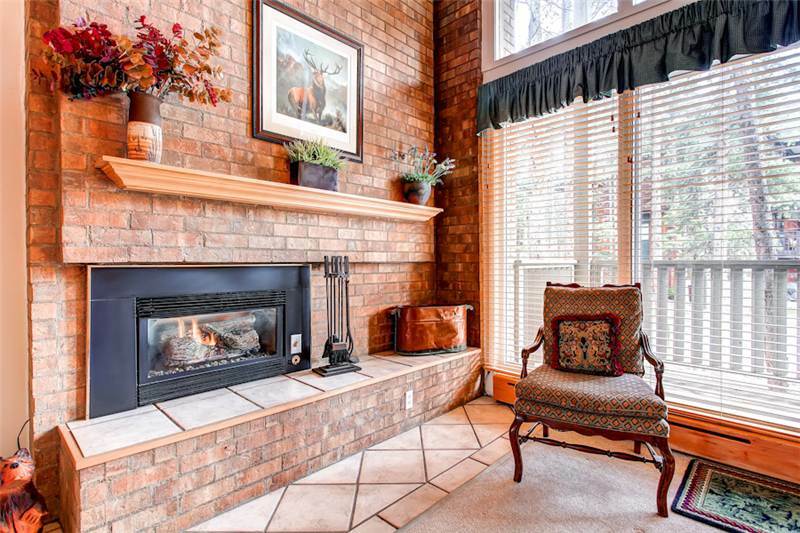 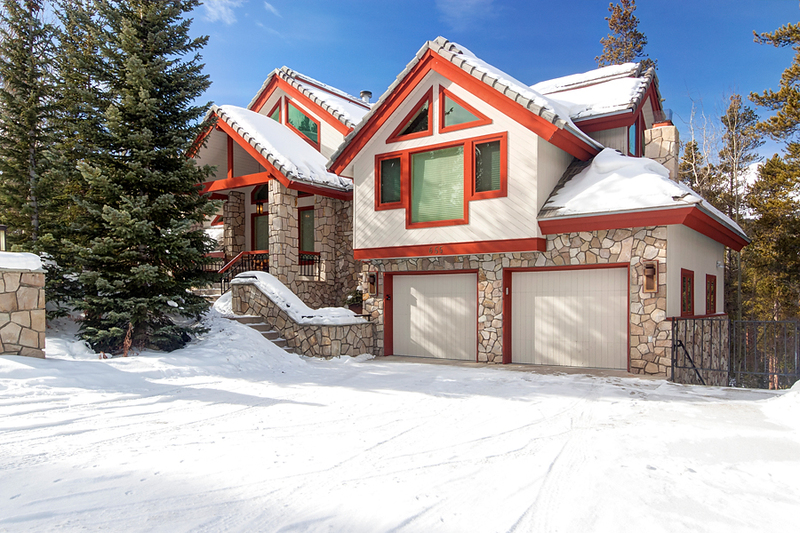 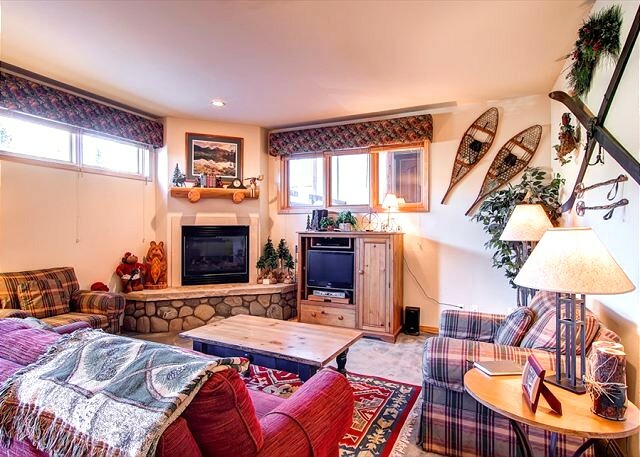 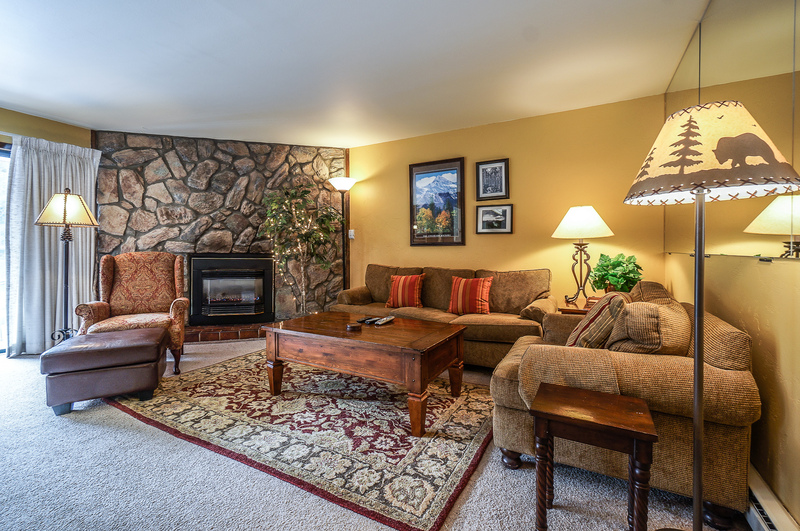 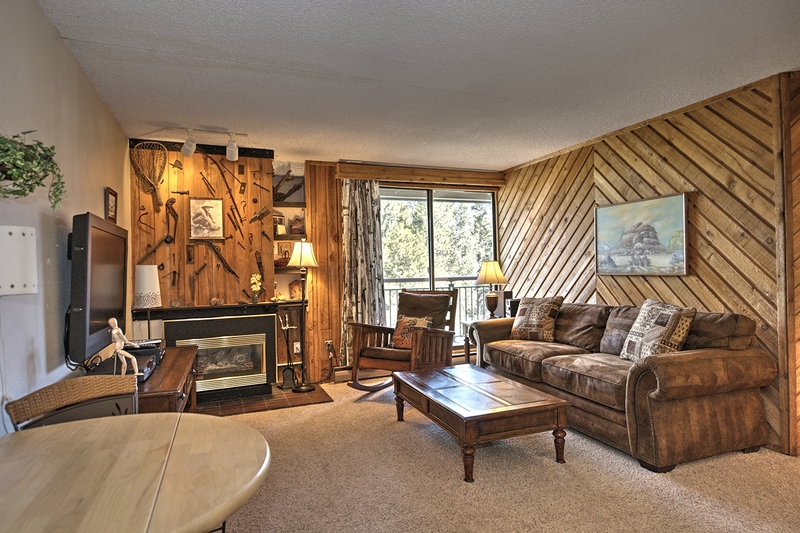 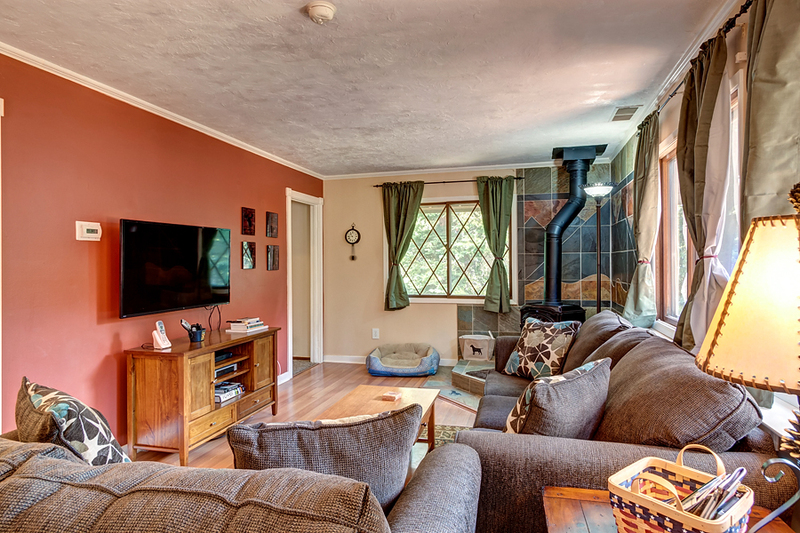 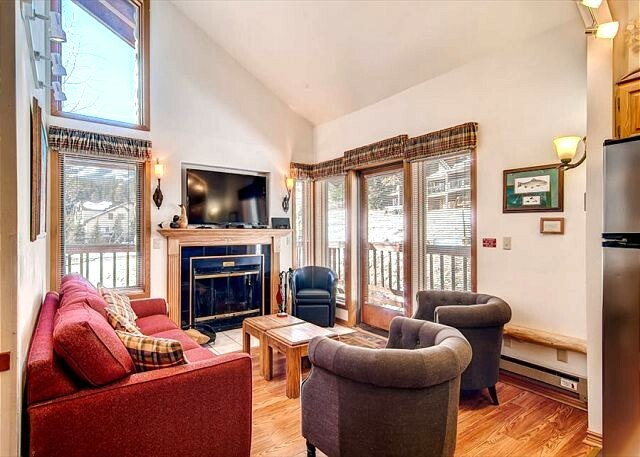 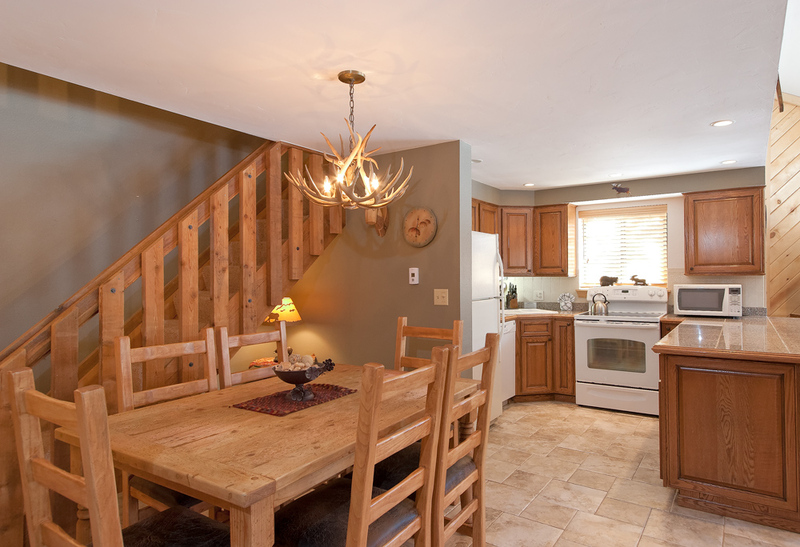 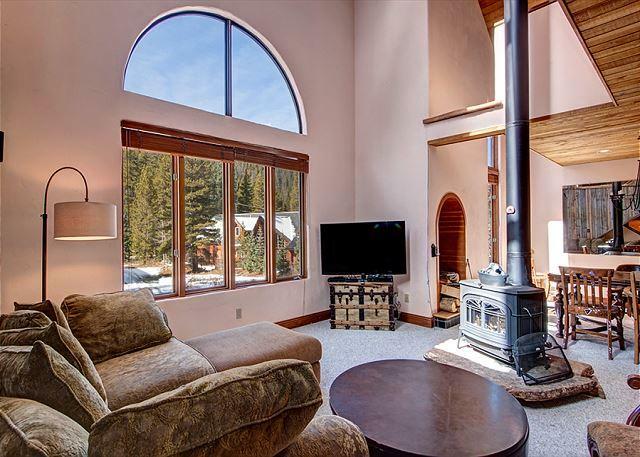 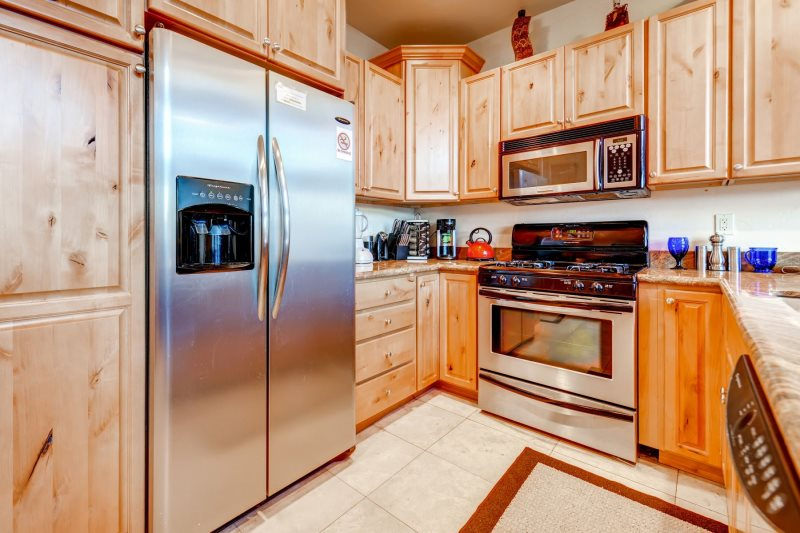 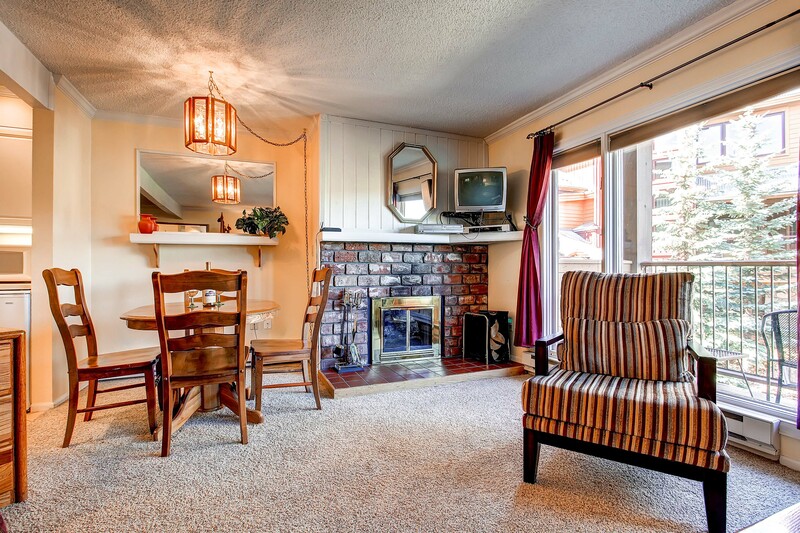 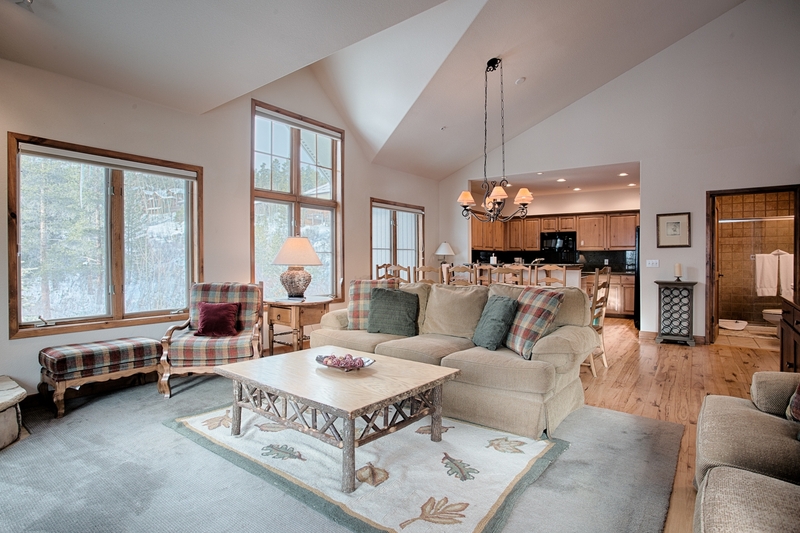 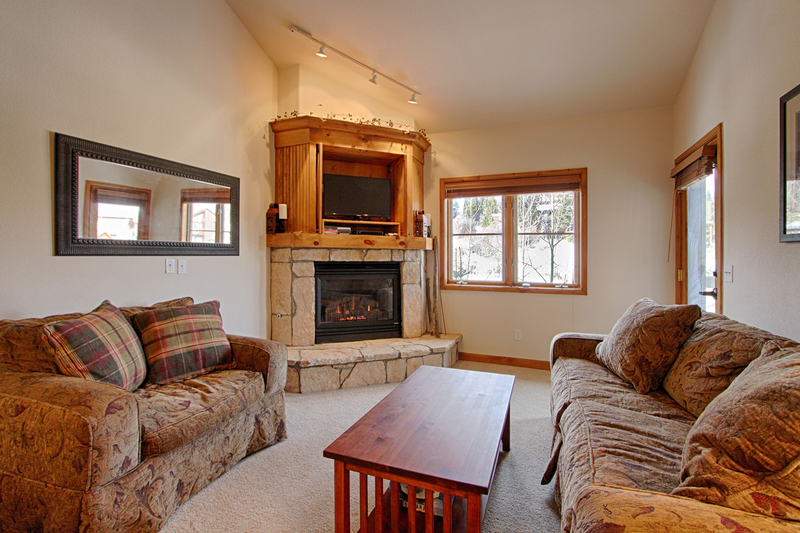 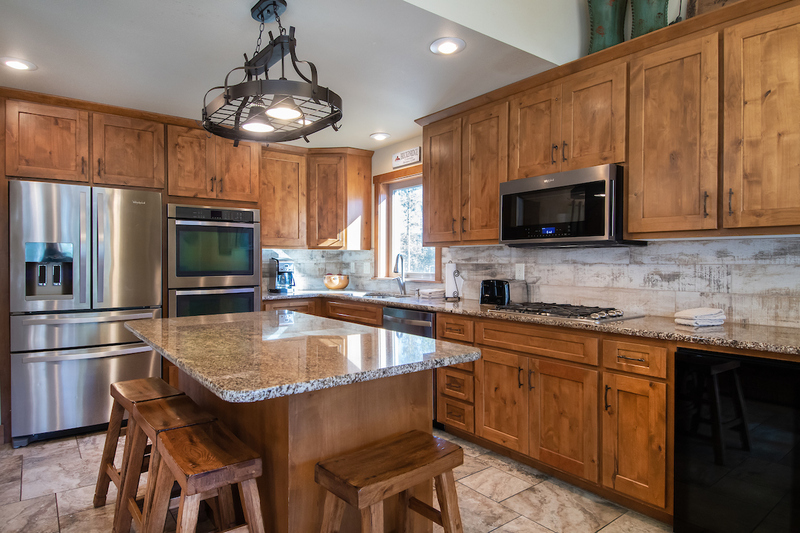 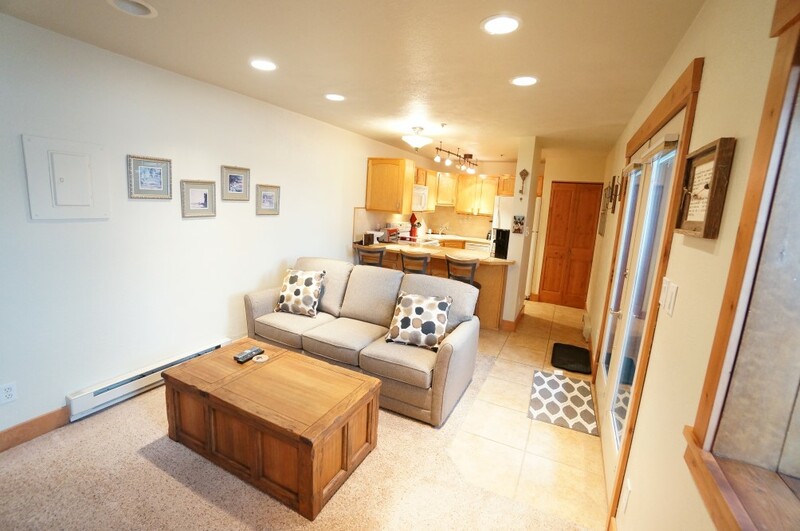 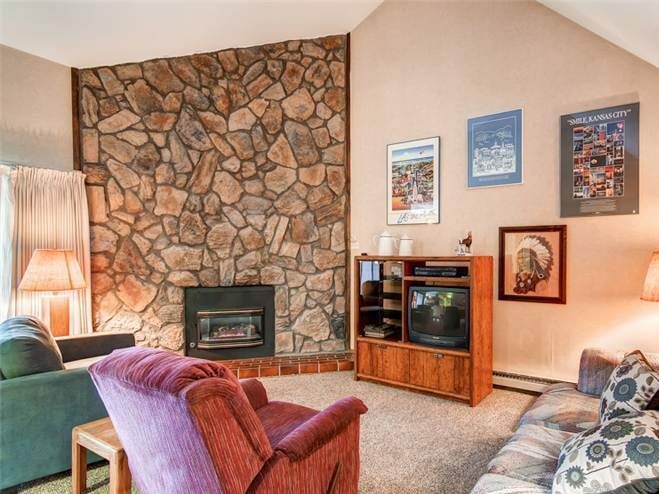 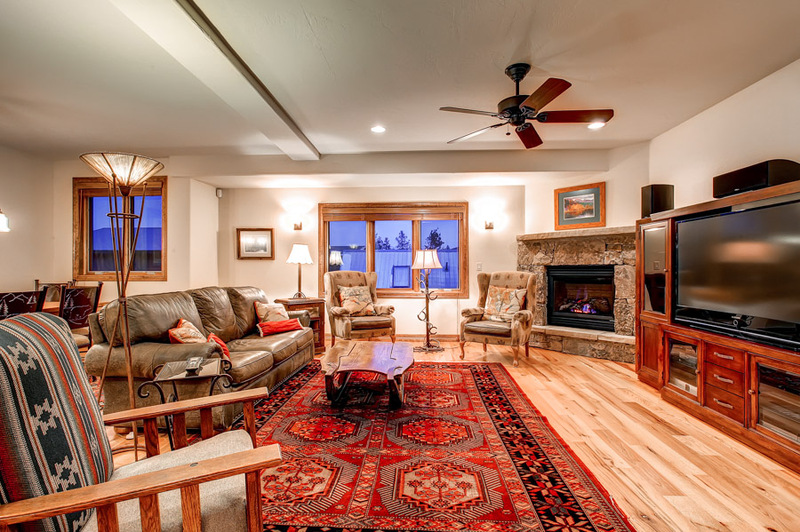 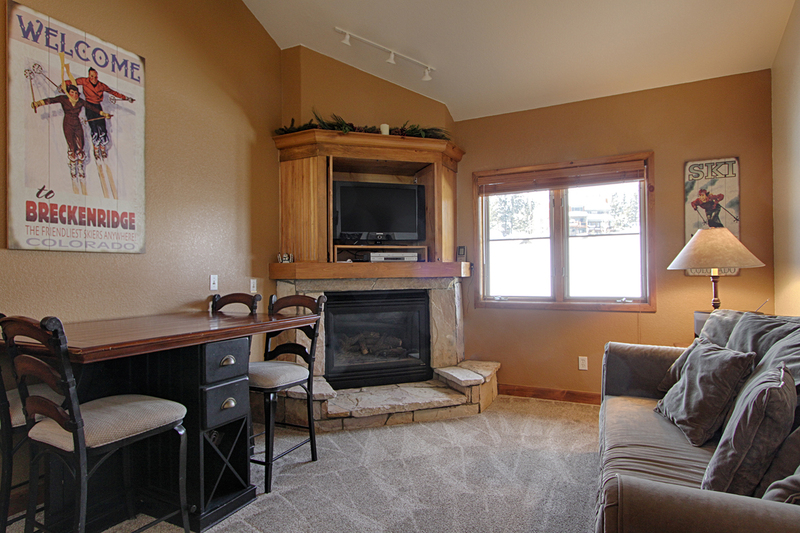 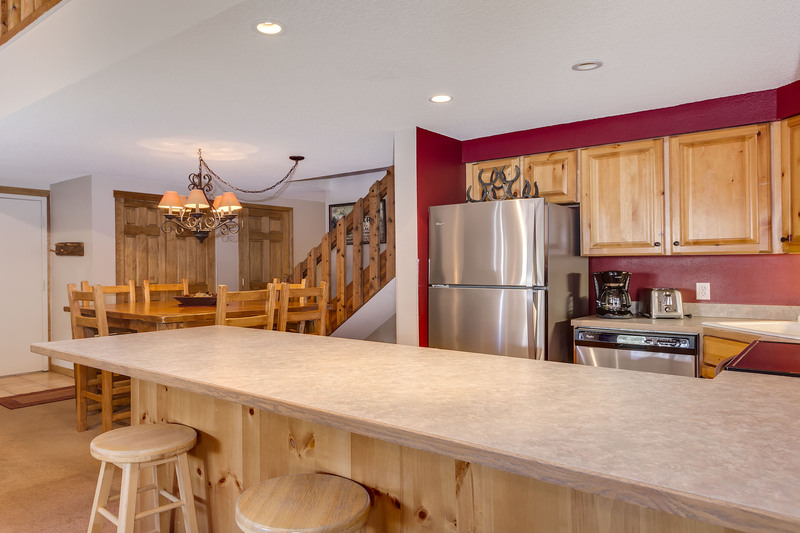 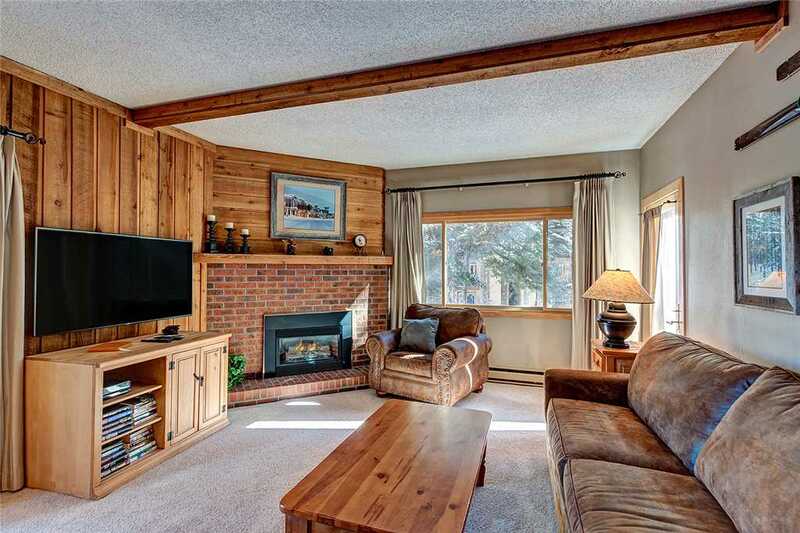 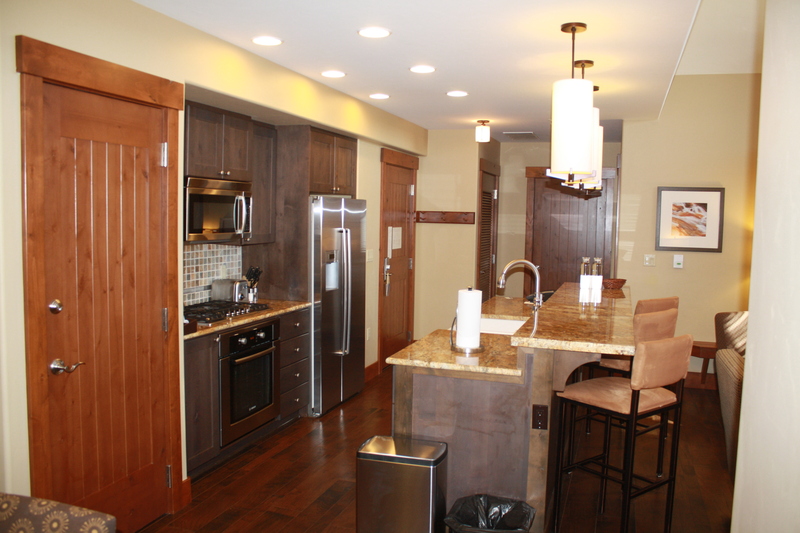 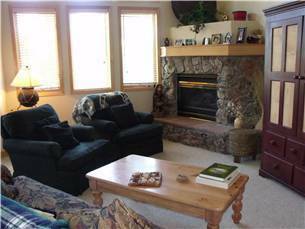 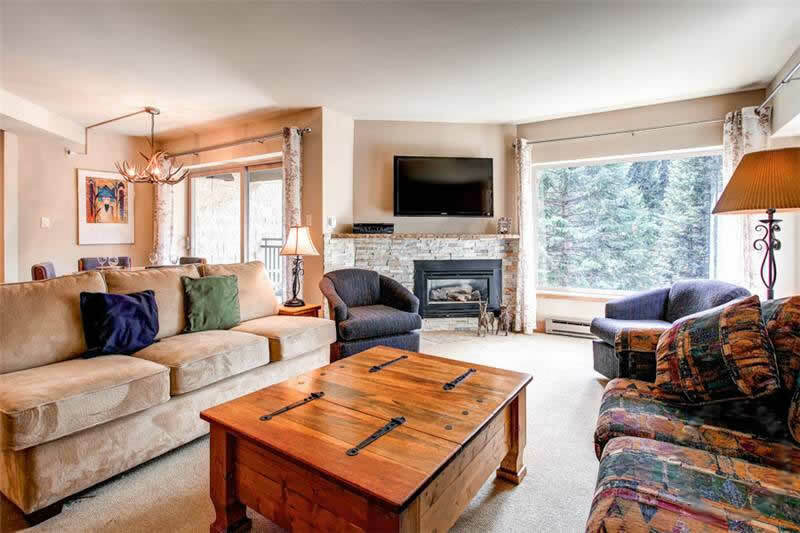 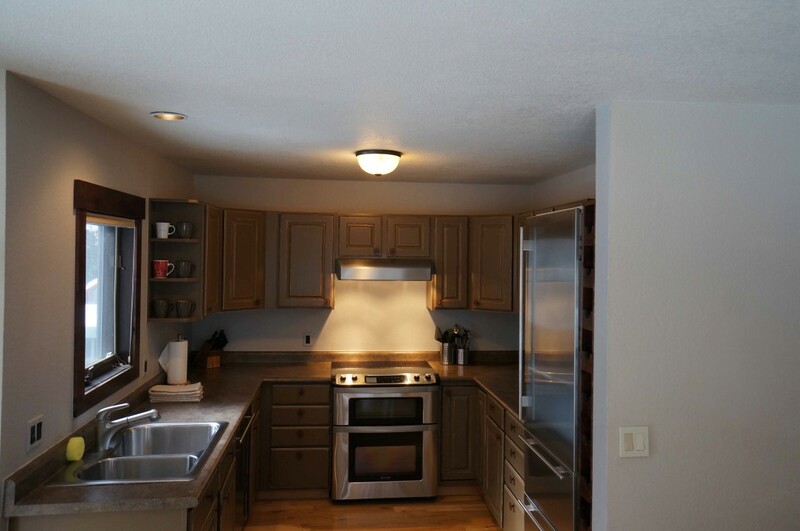 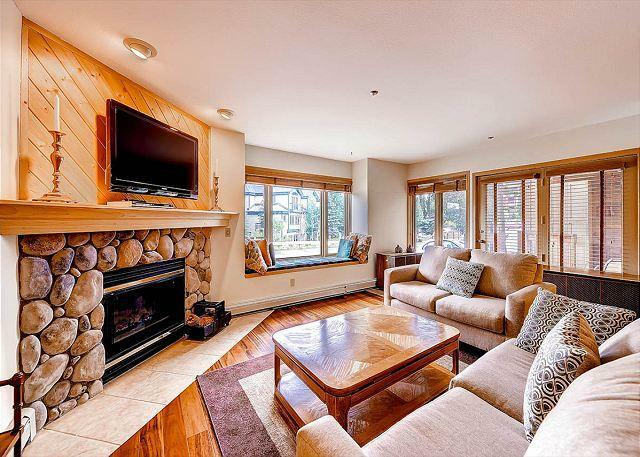 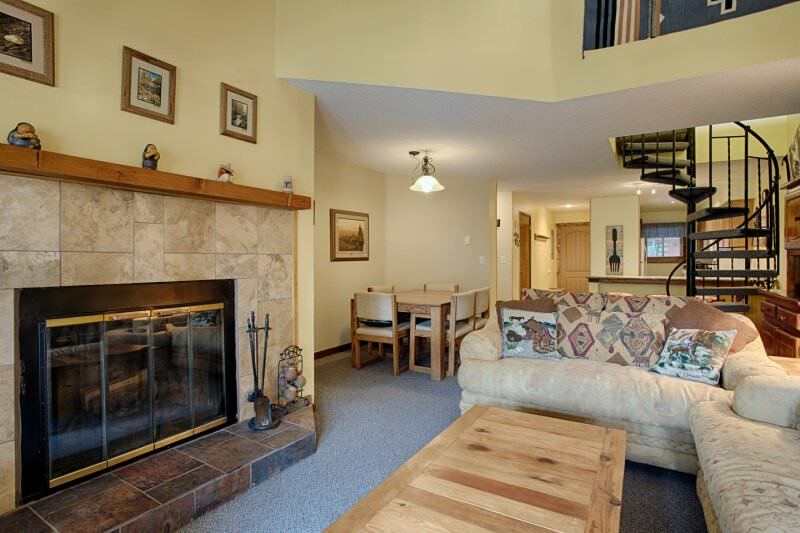 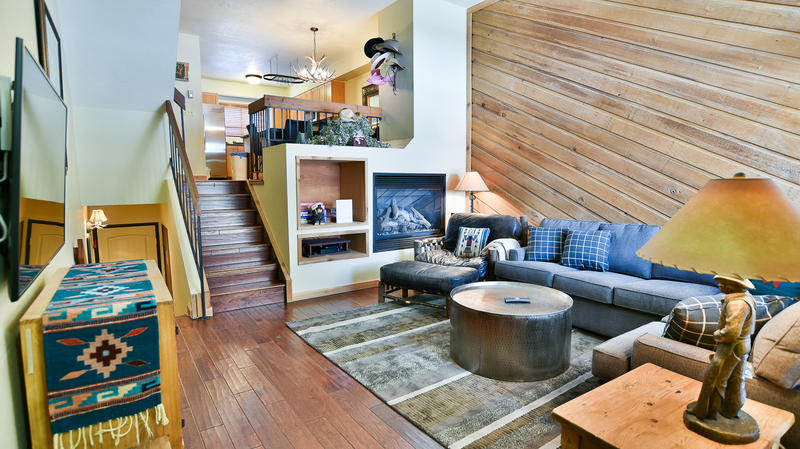 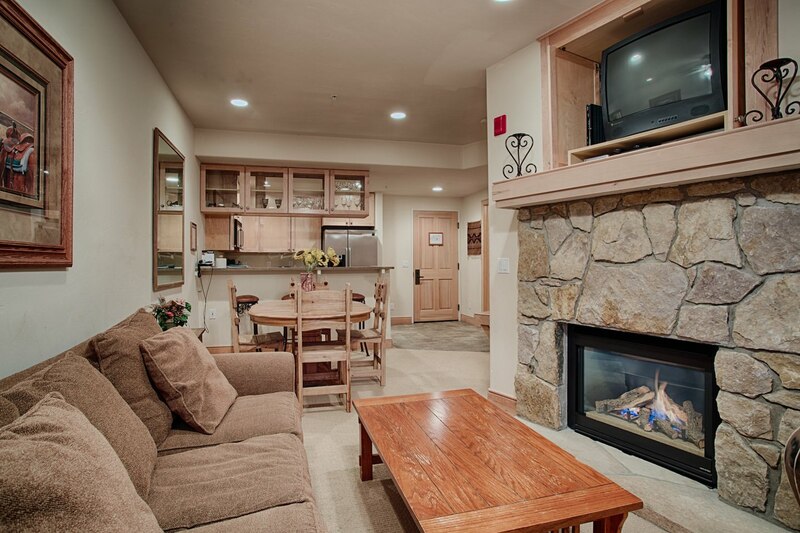 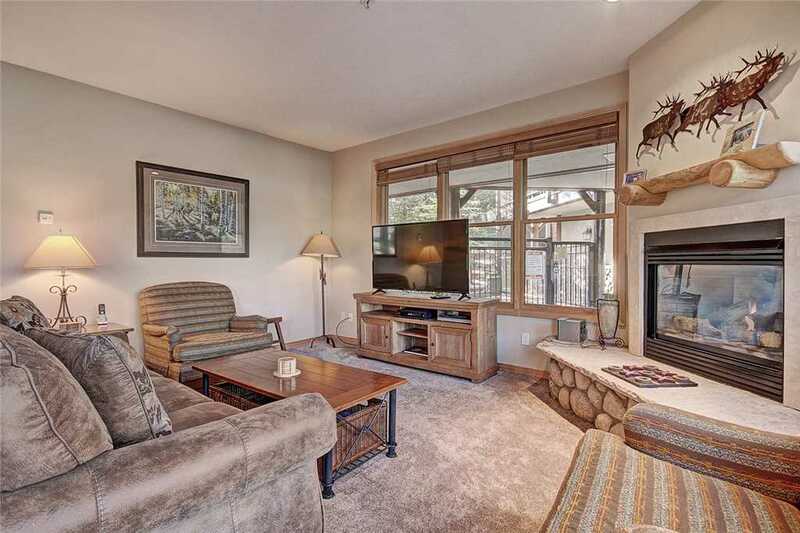 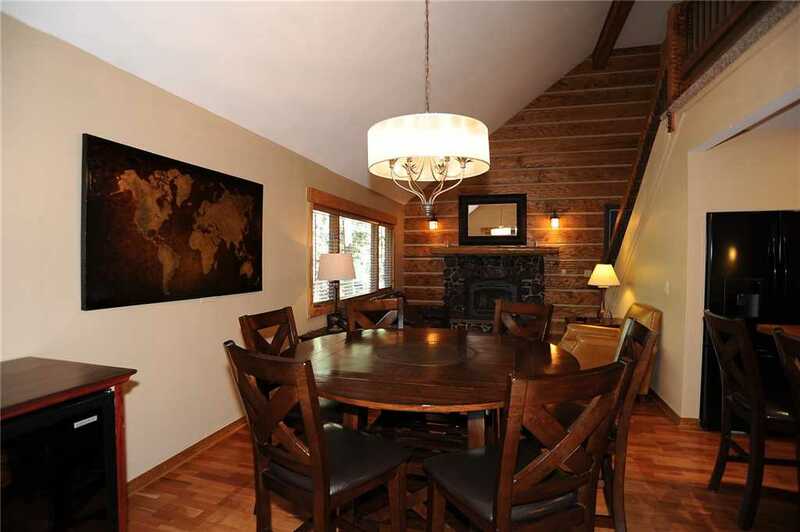 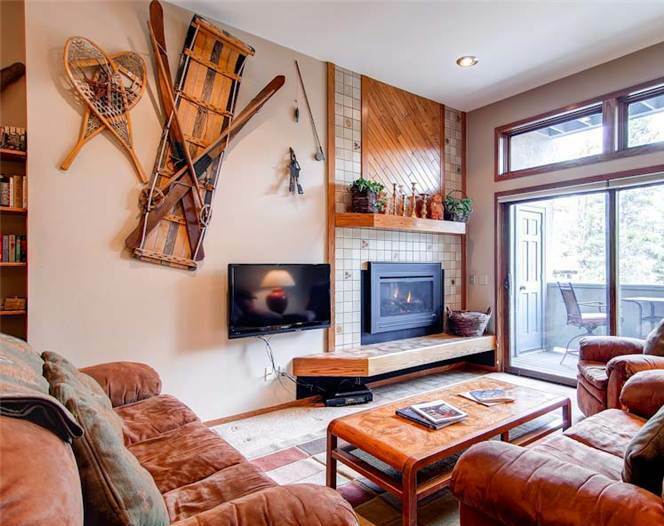 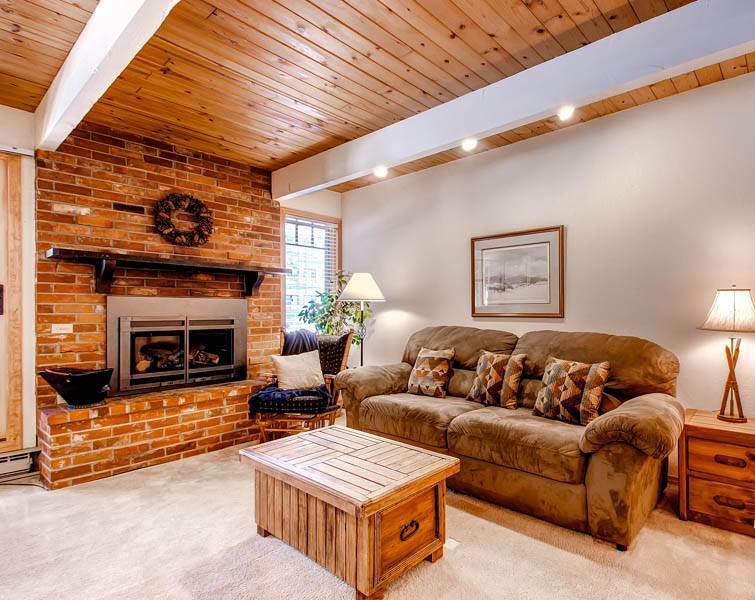 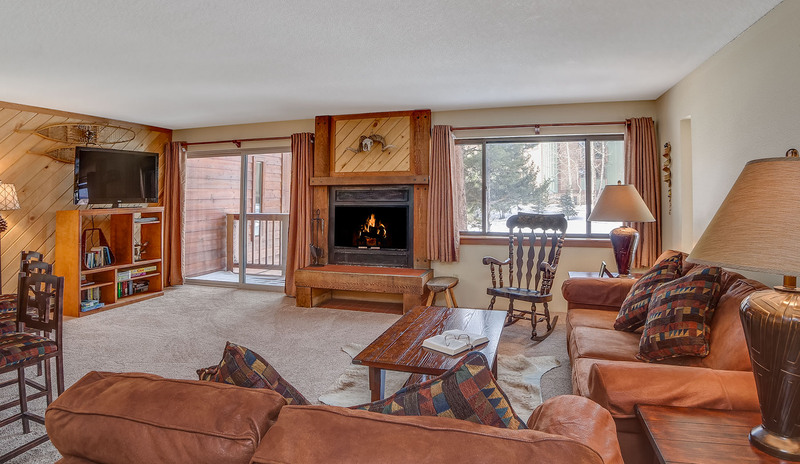 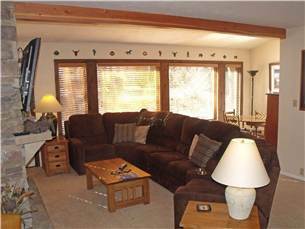 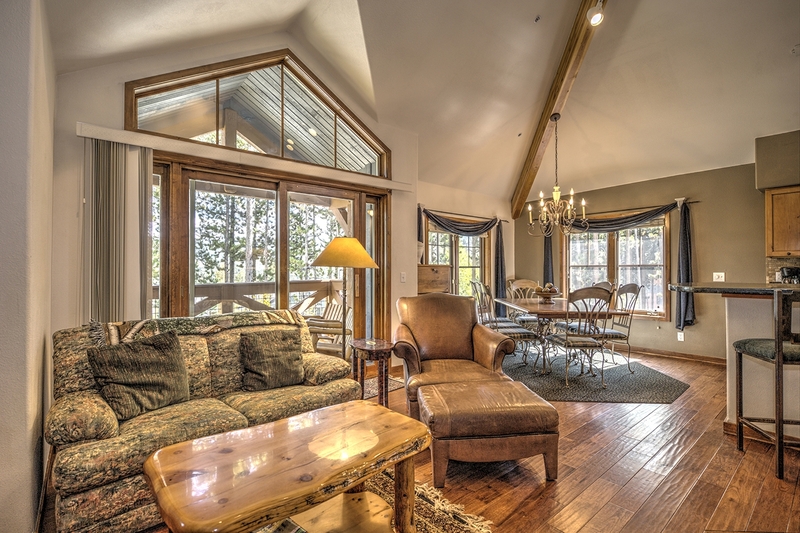 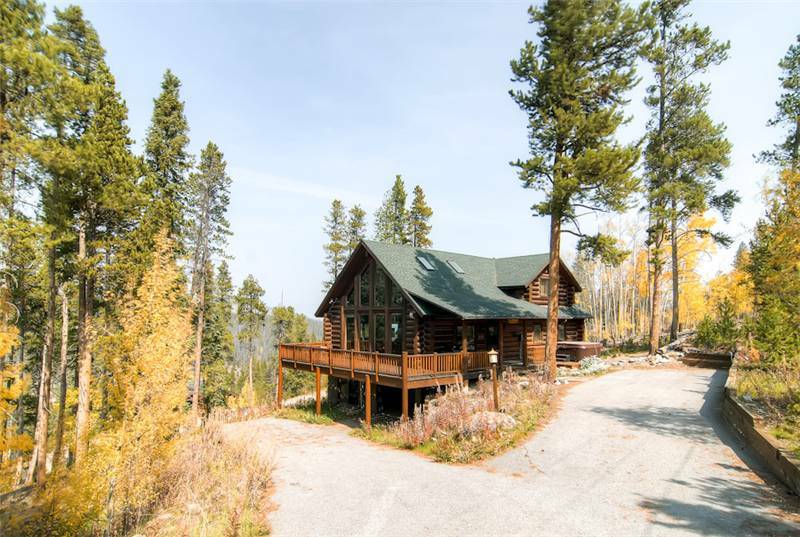 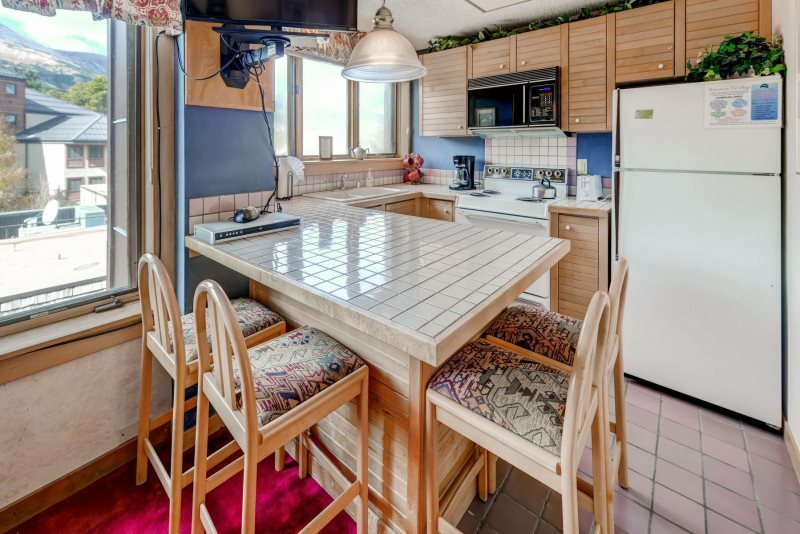 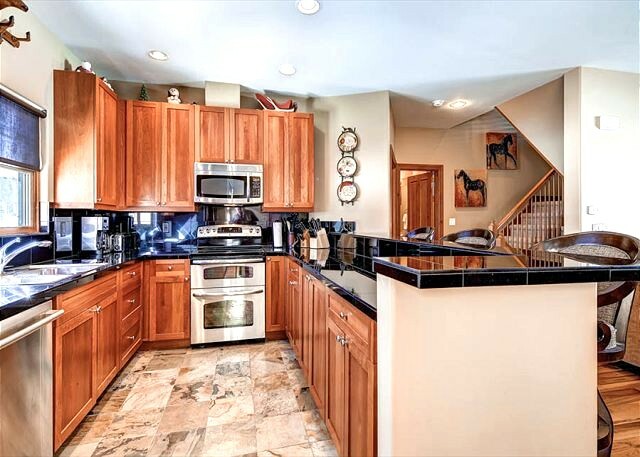 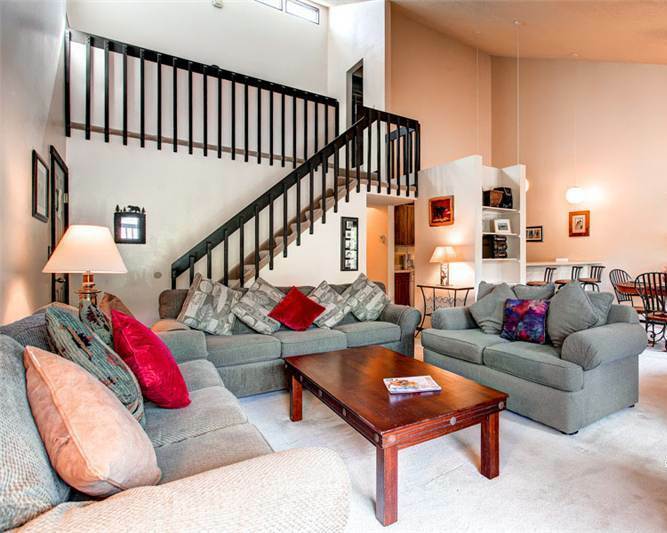 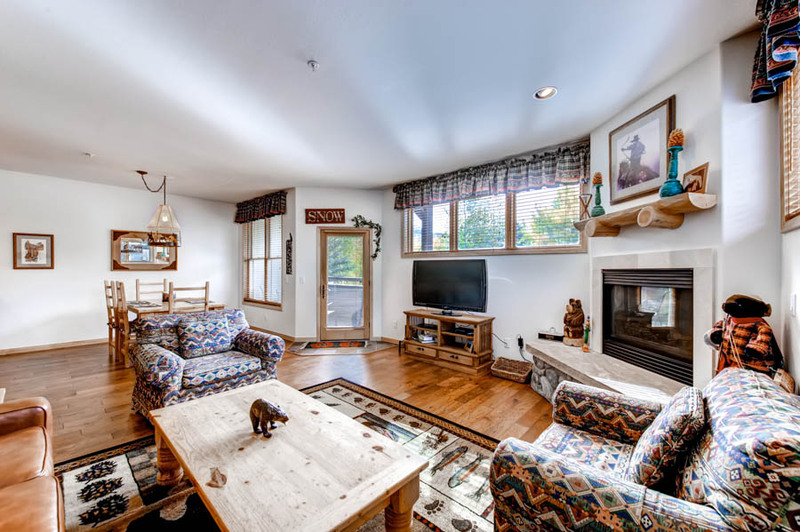 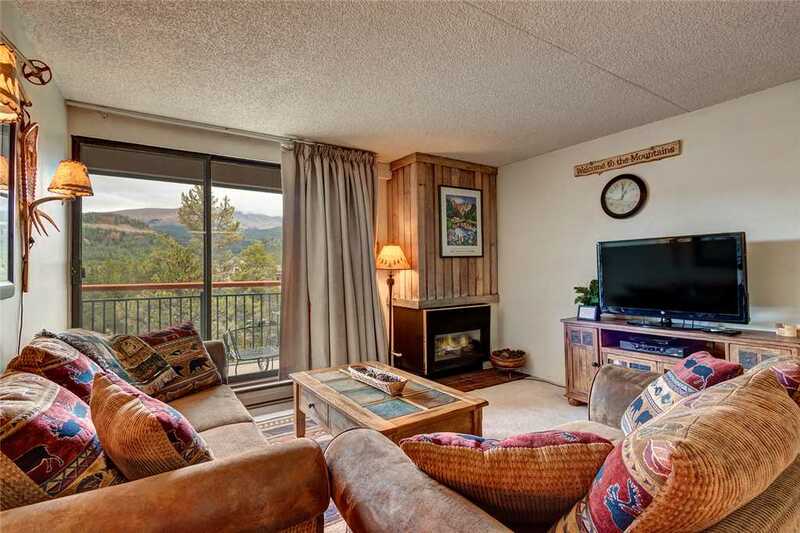 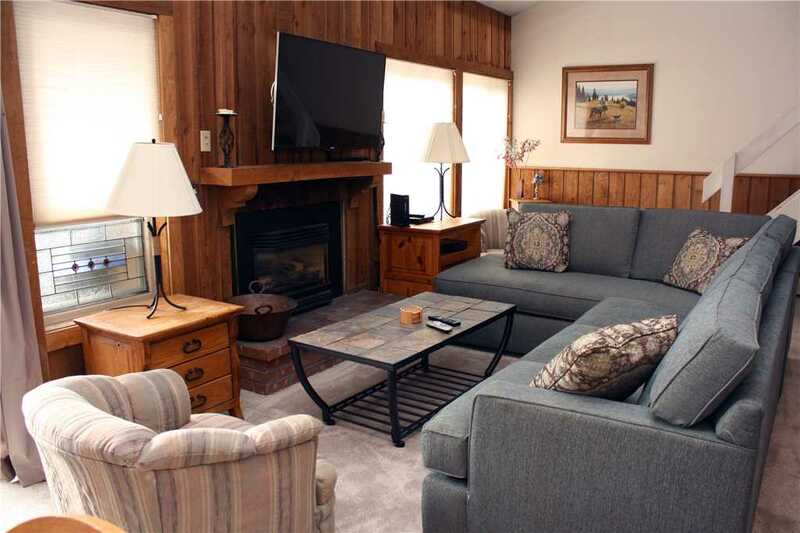 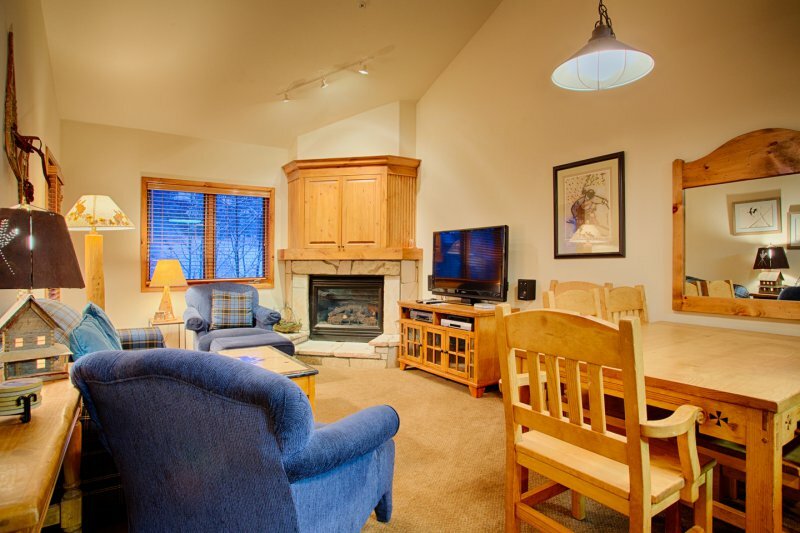 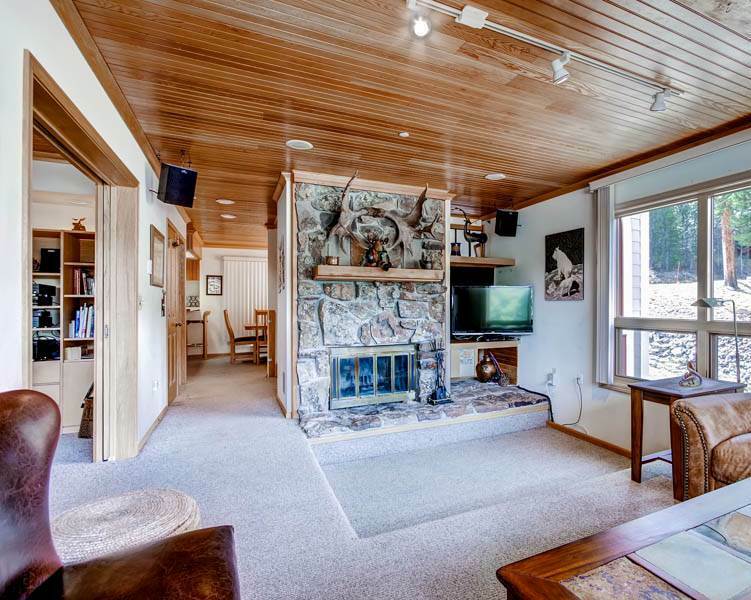 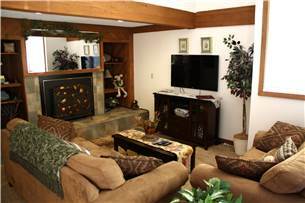 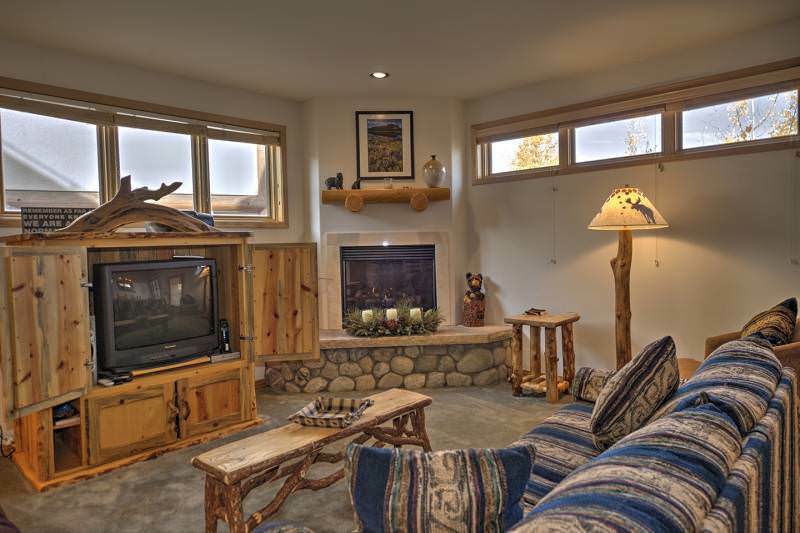 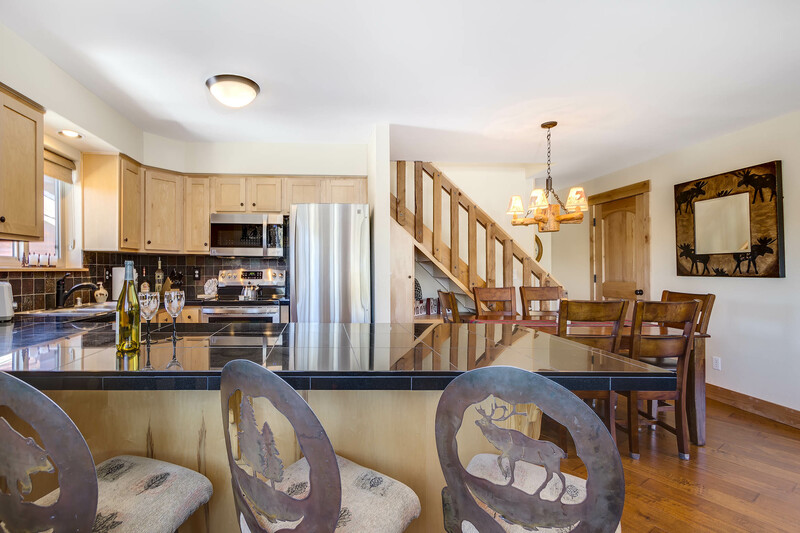 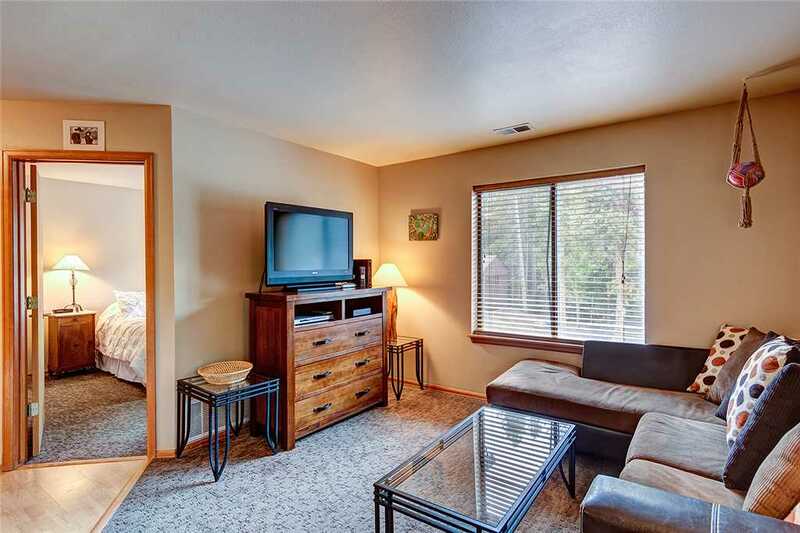 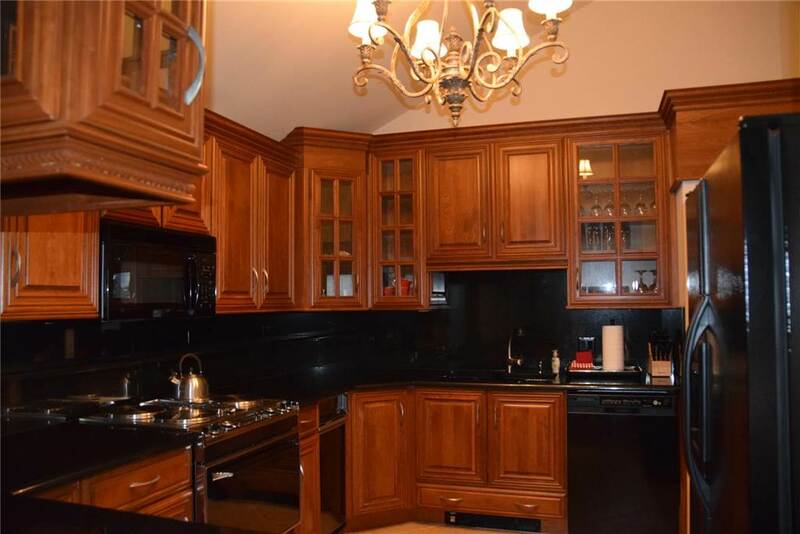 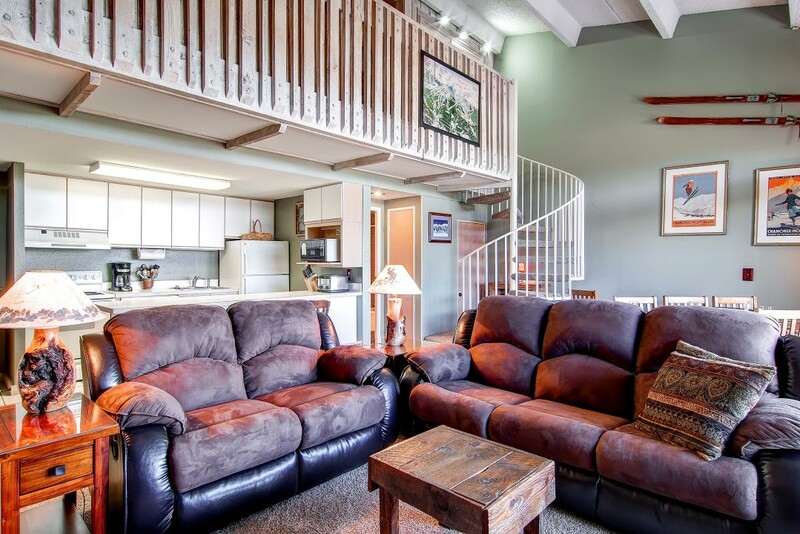 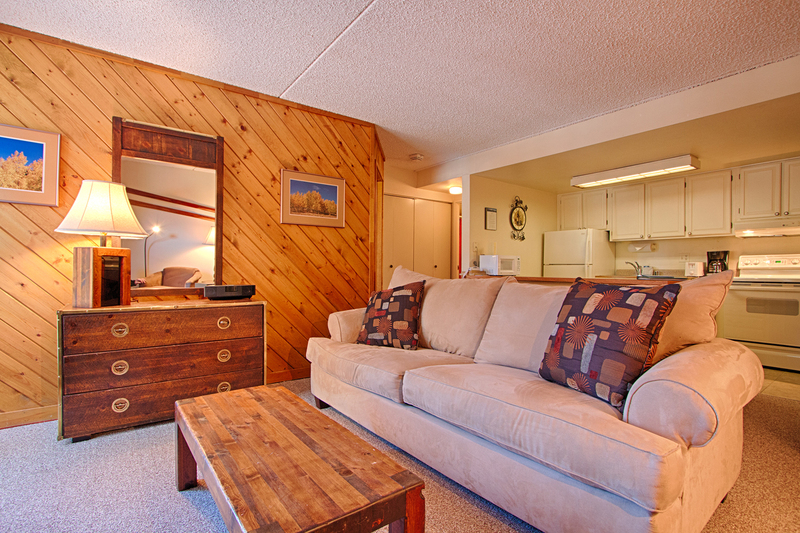 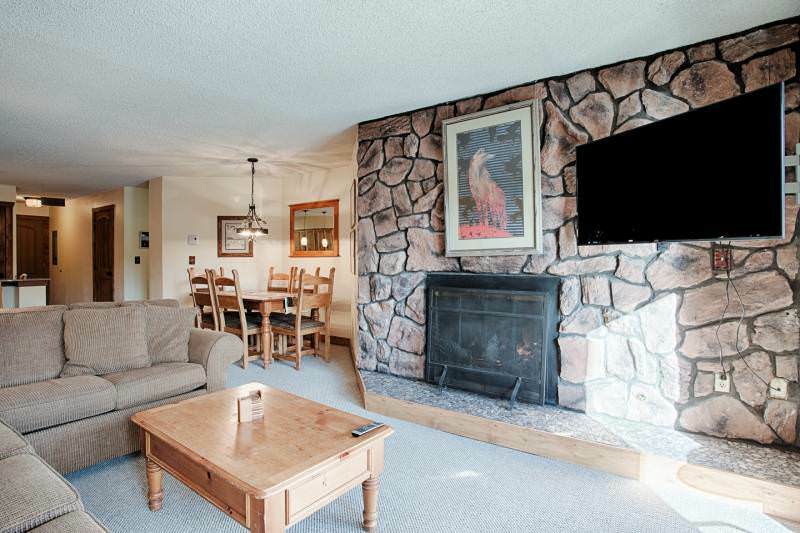 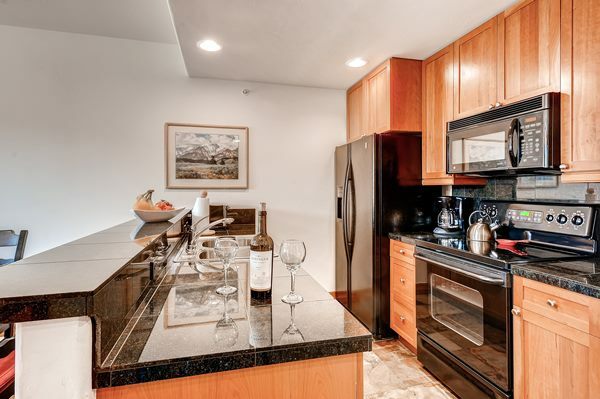 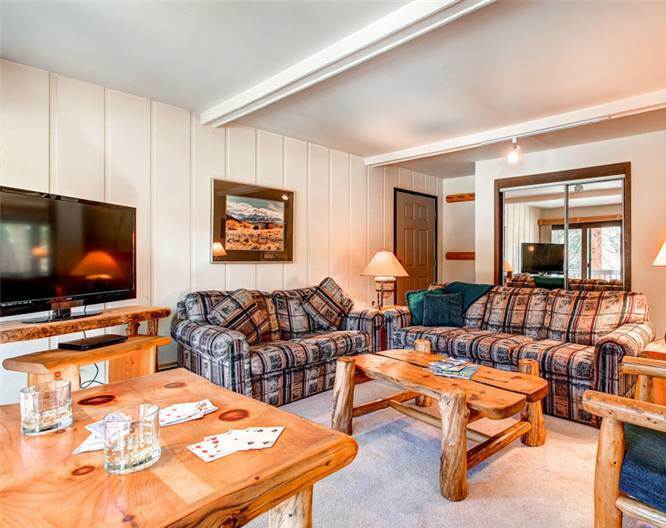 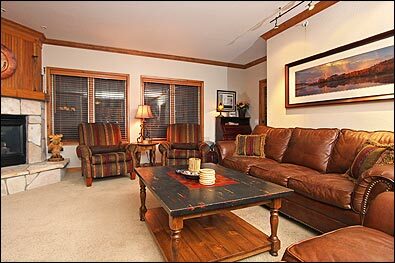 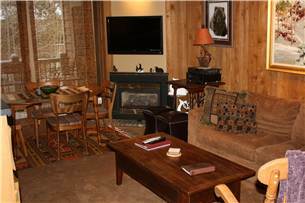 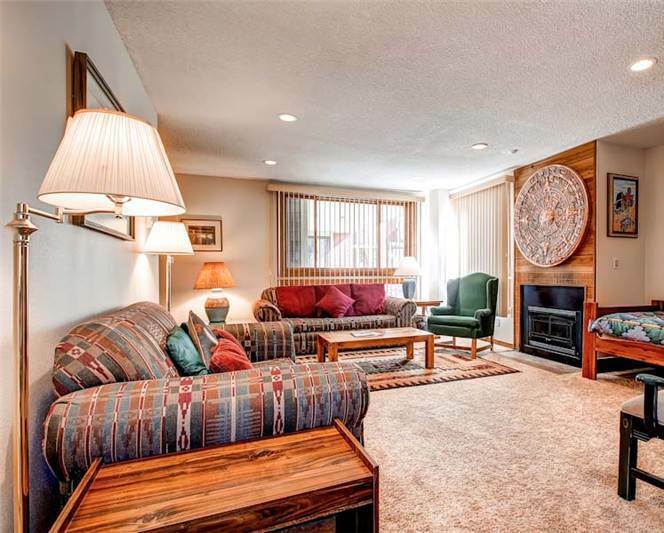 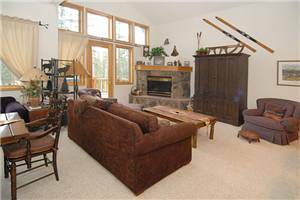 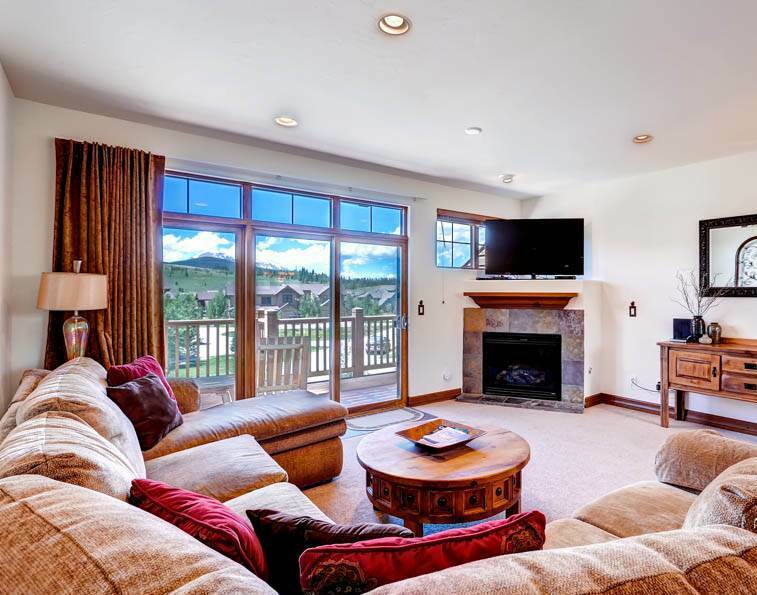 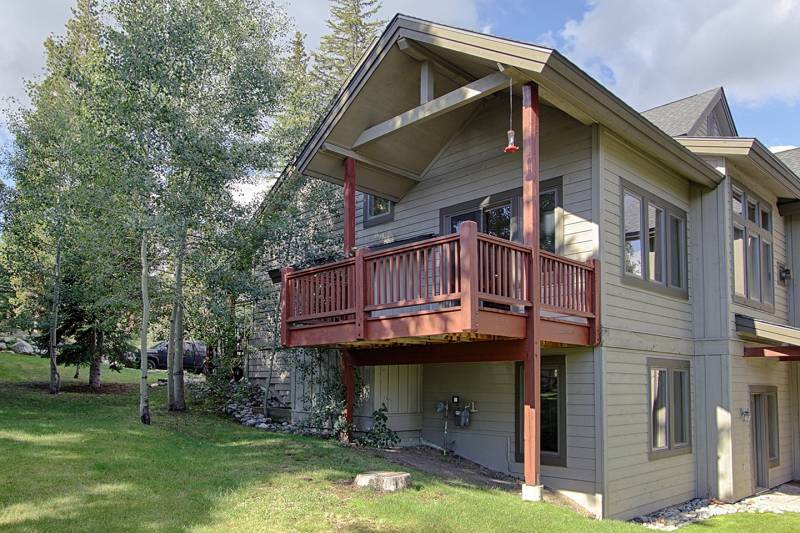 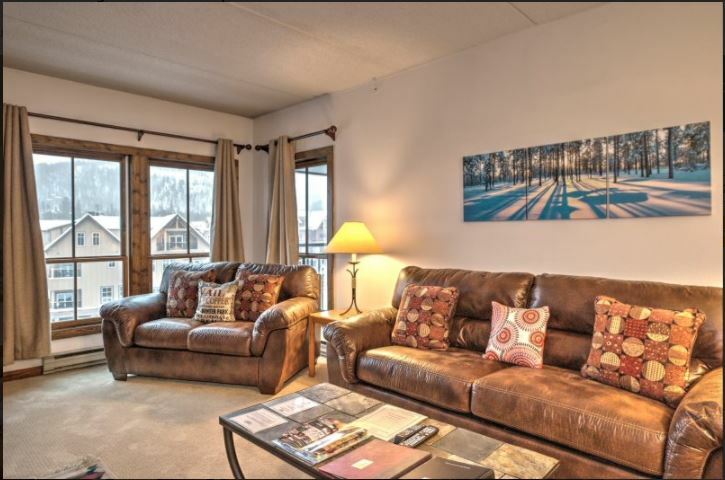 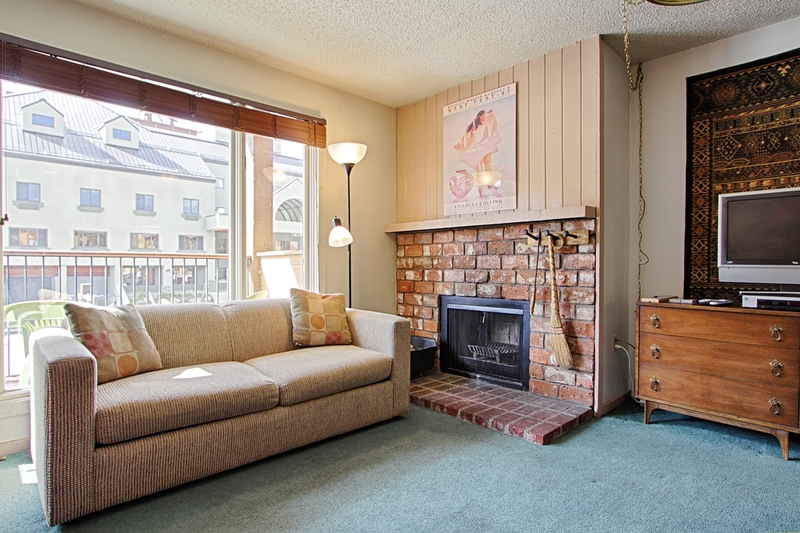 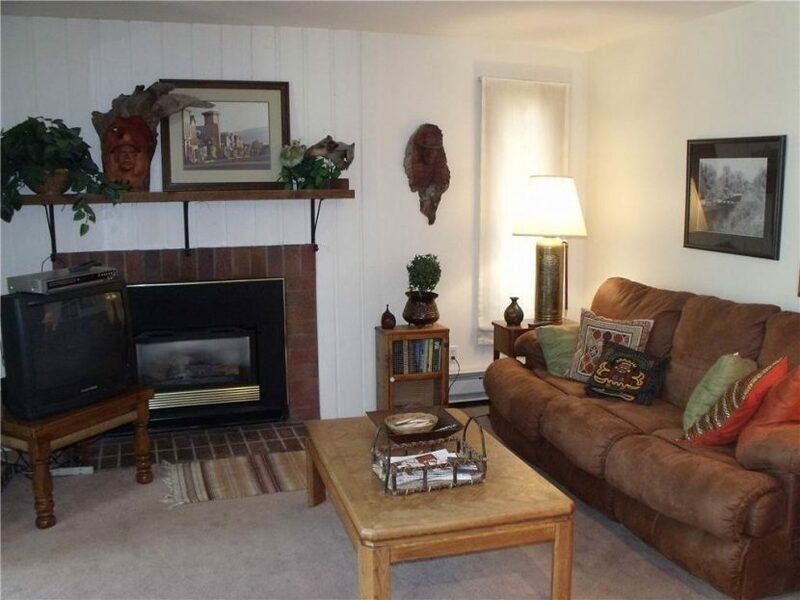 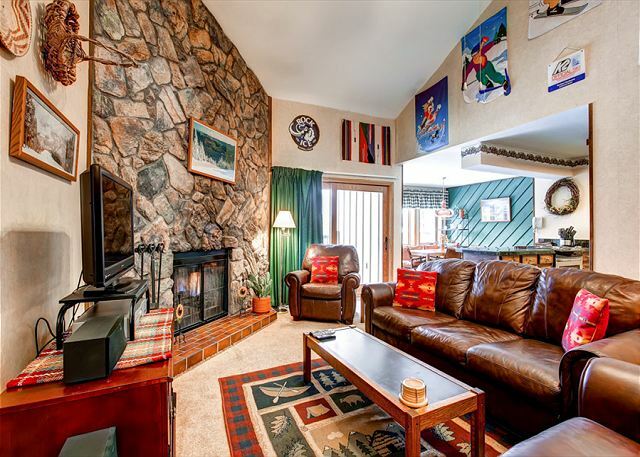 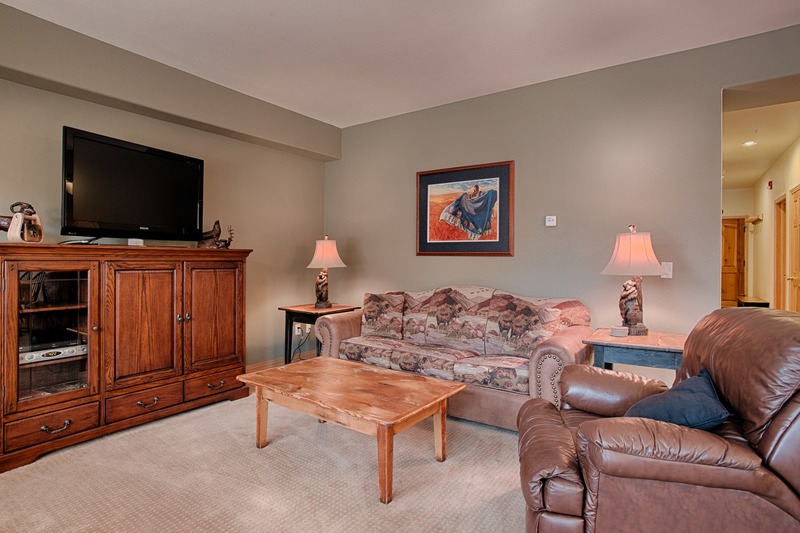 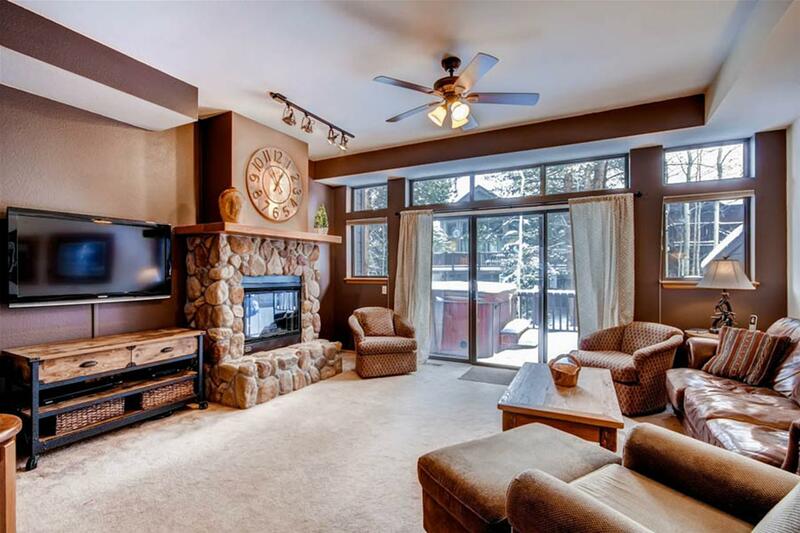 This townhome is within 75 feet of the Snowflake ski run and just a mile from Main Street. 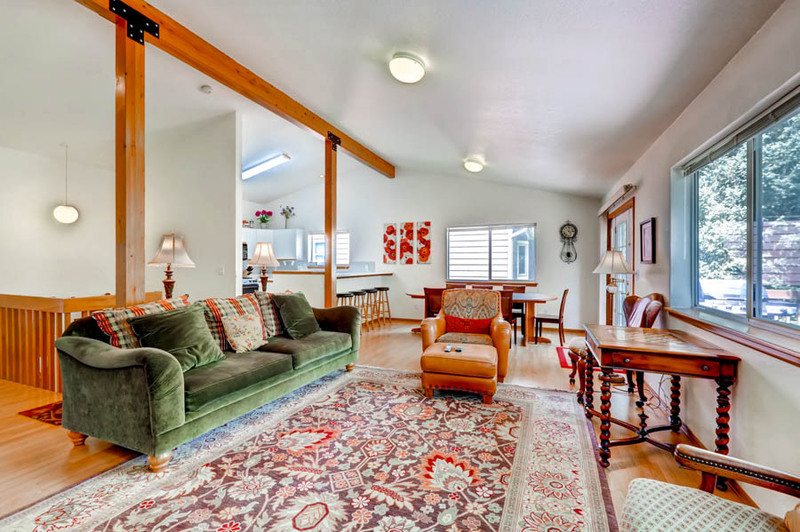 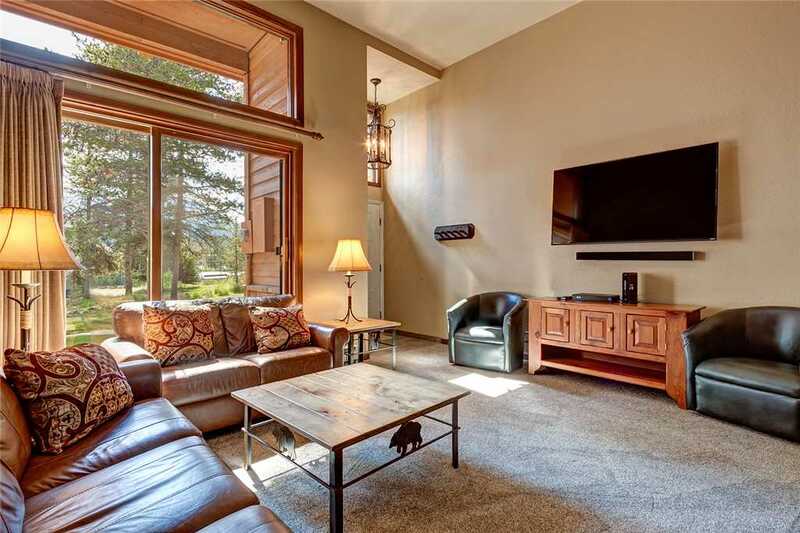 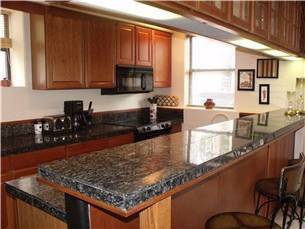 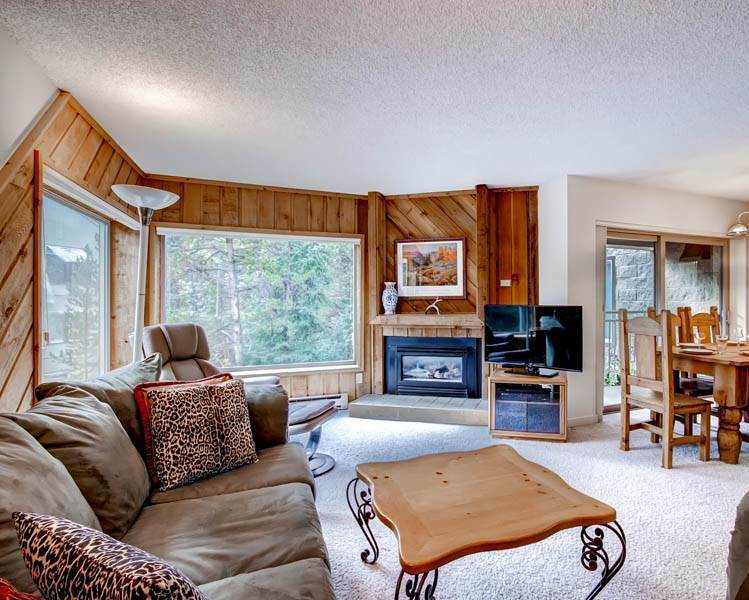 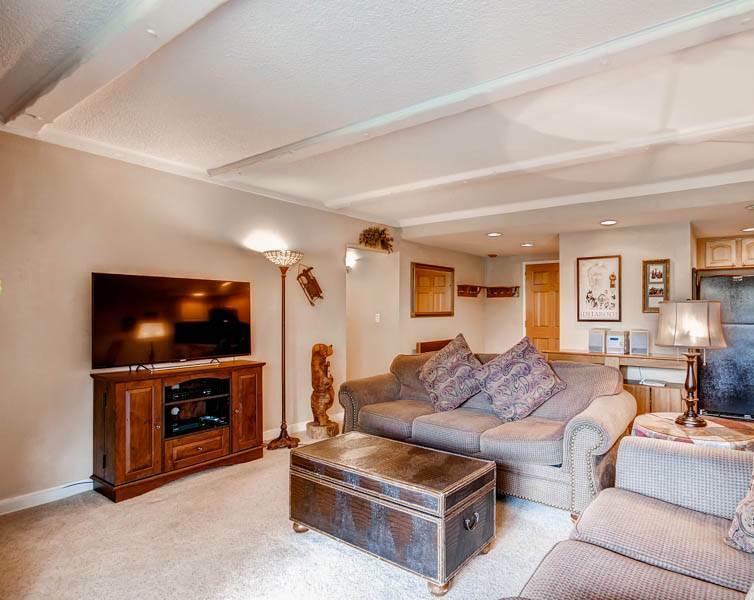 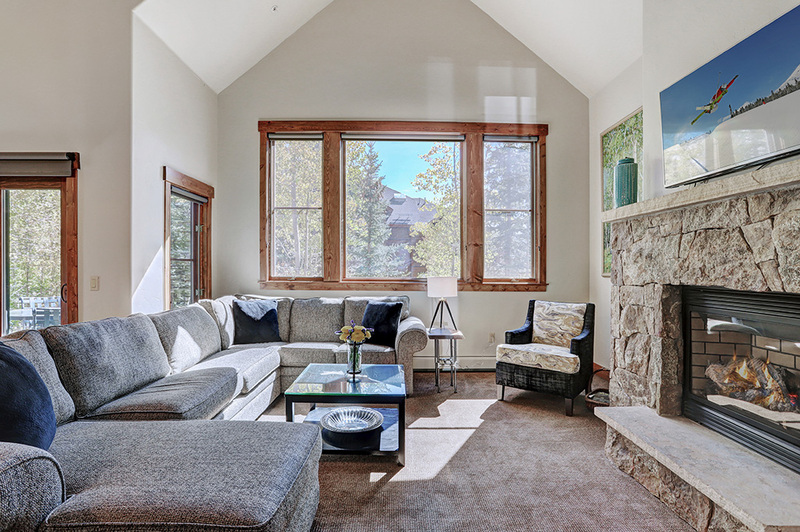 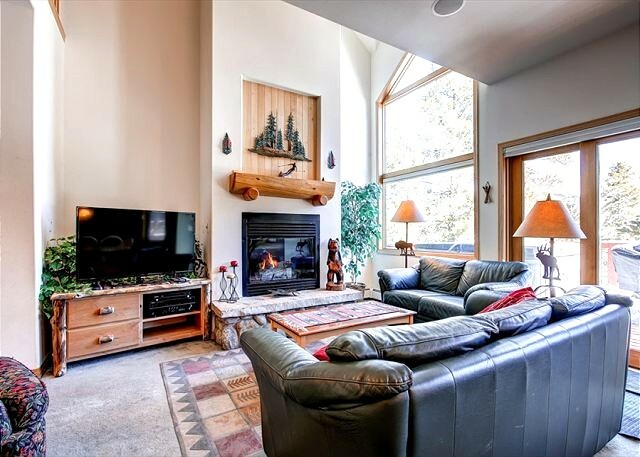 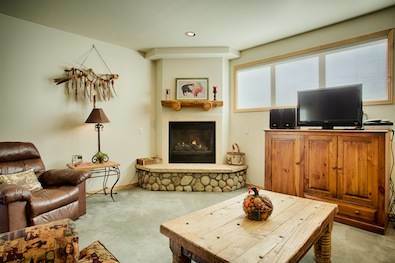 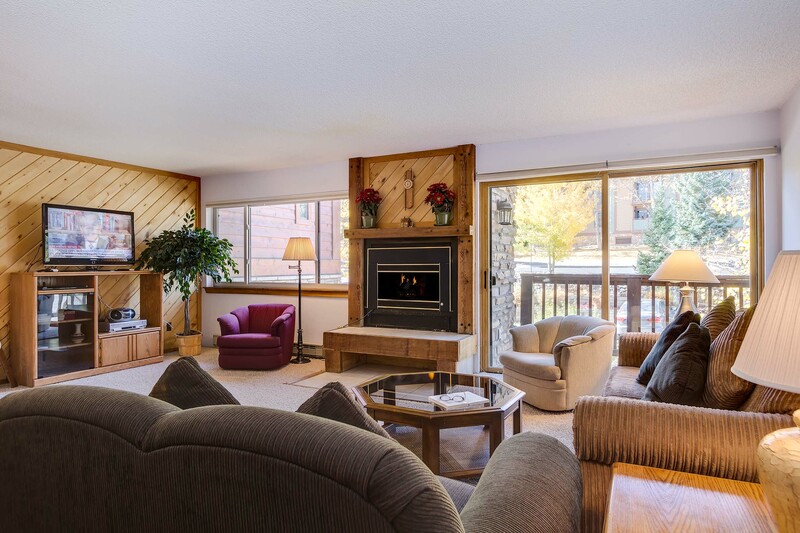 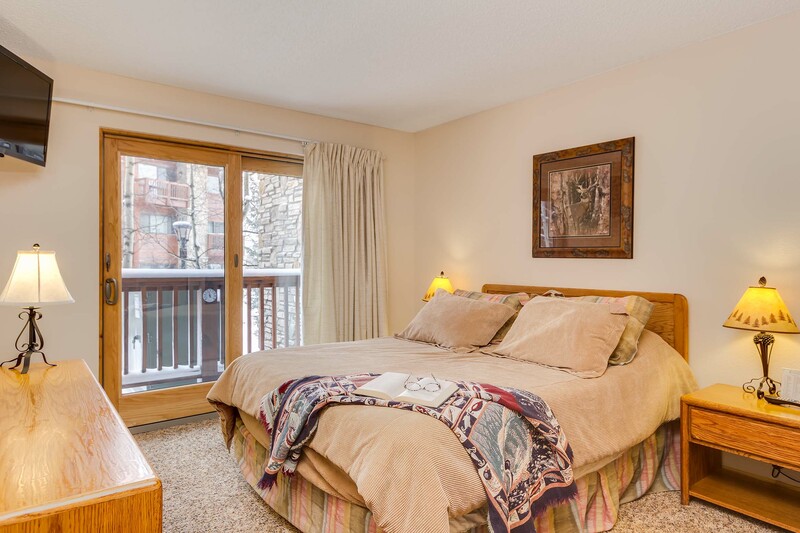 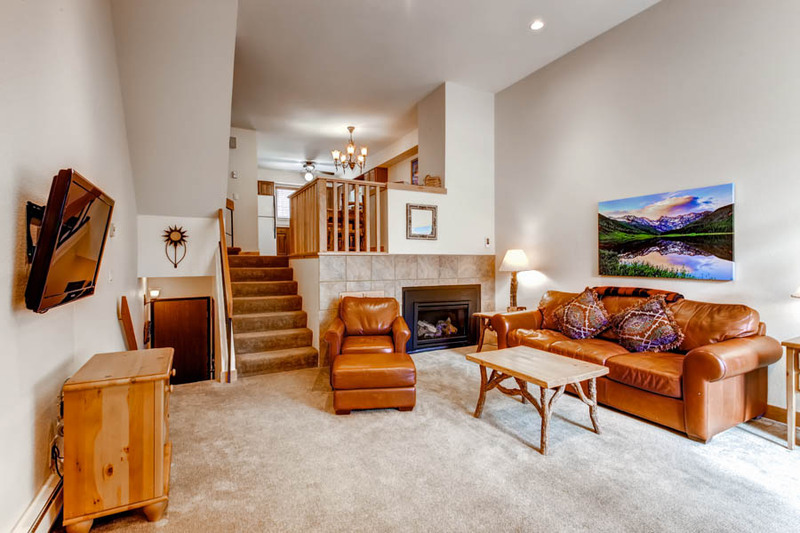 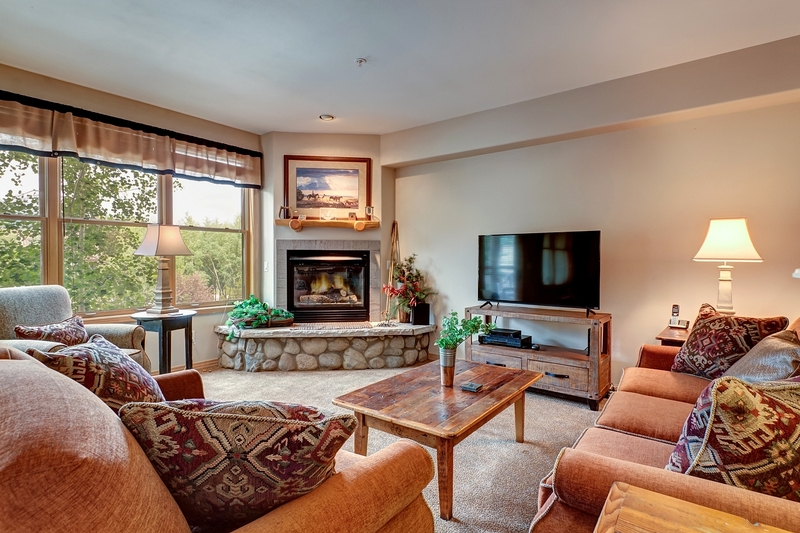 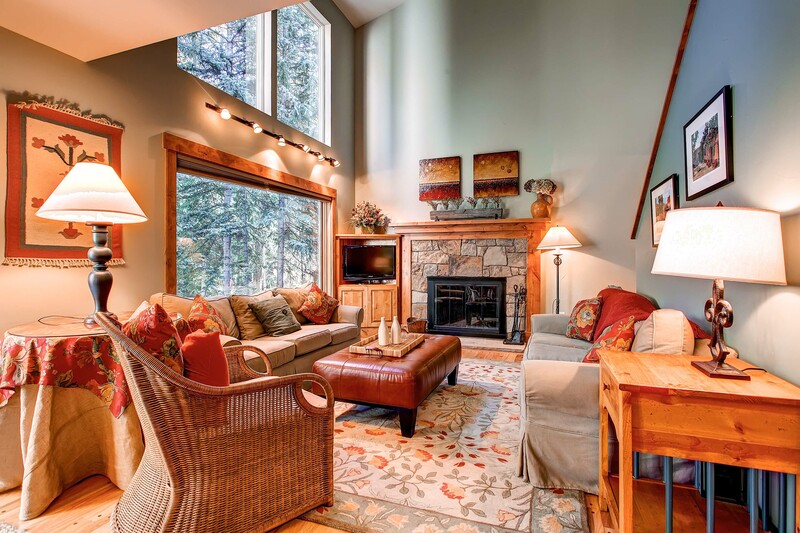 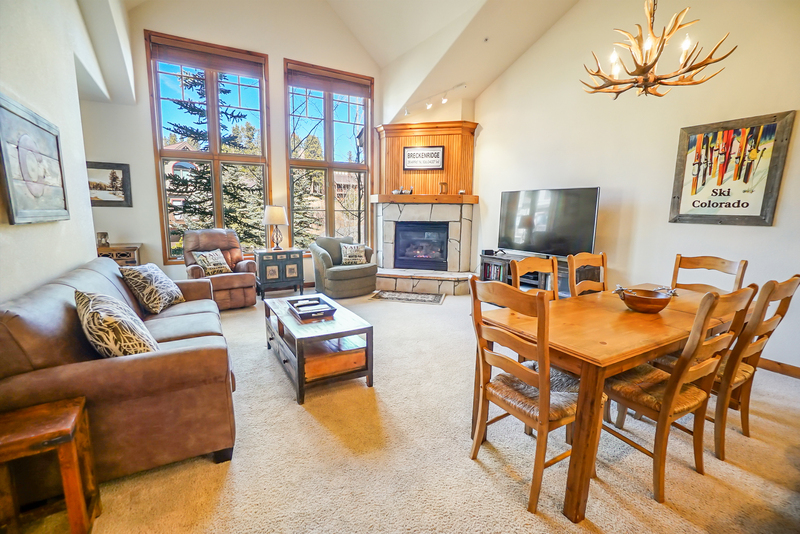 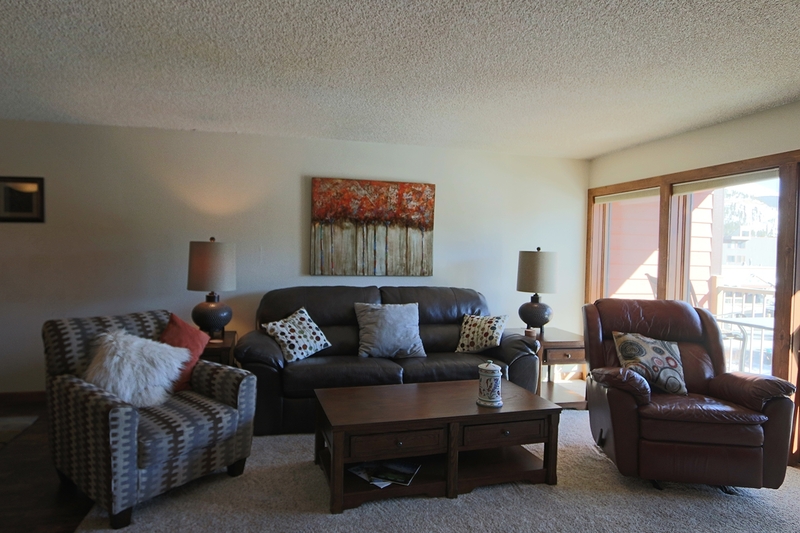 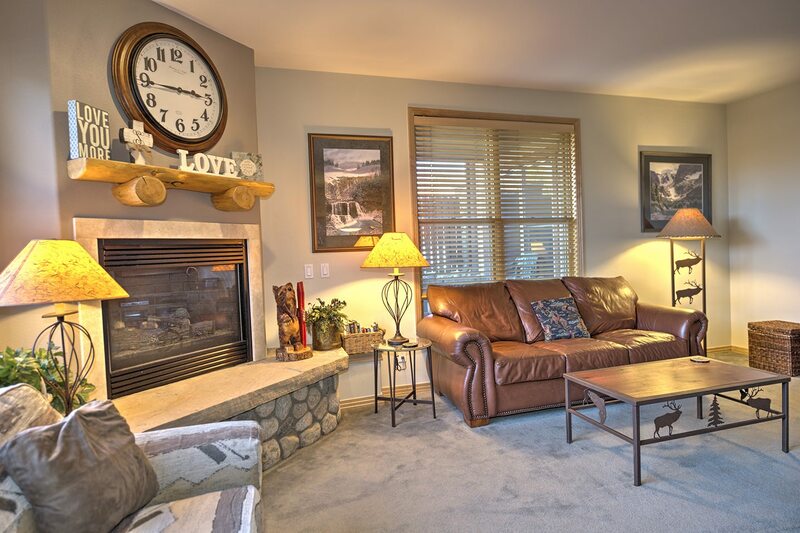 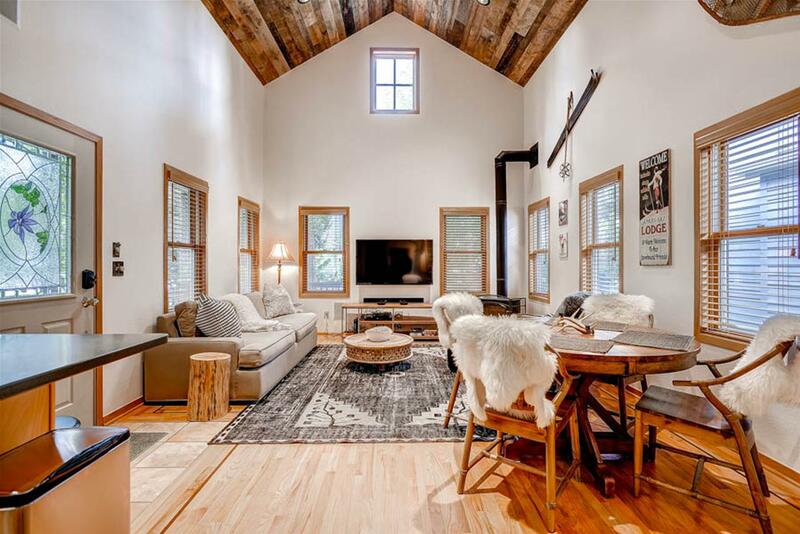 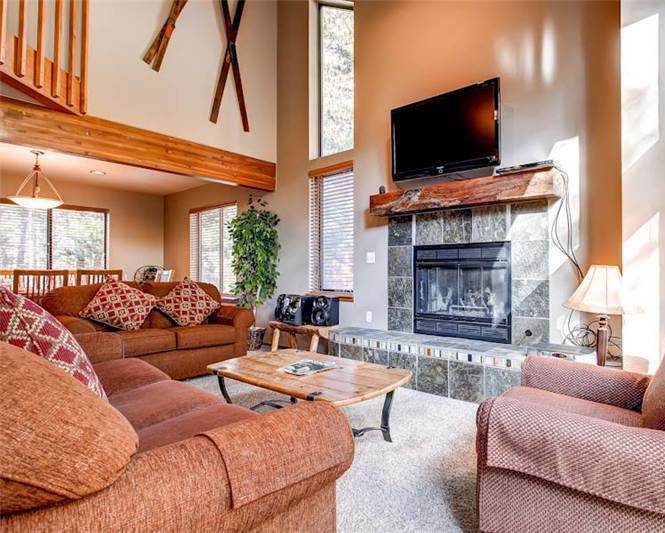 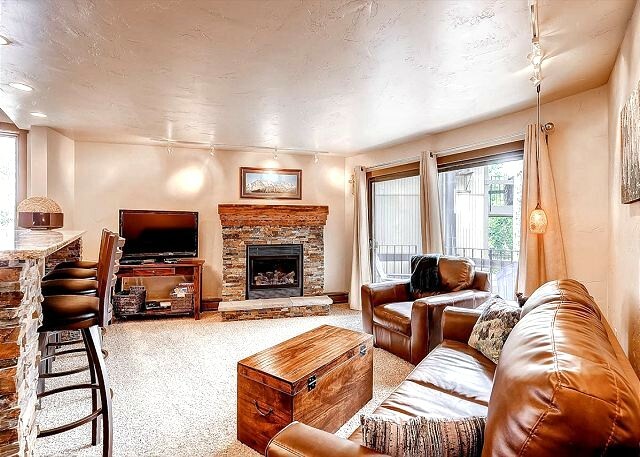 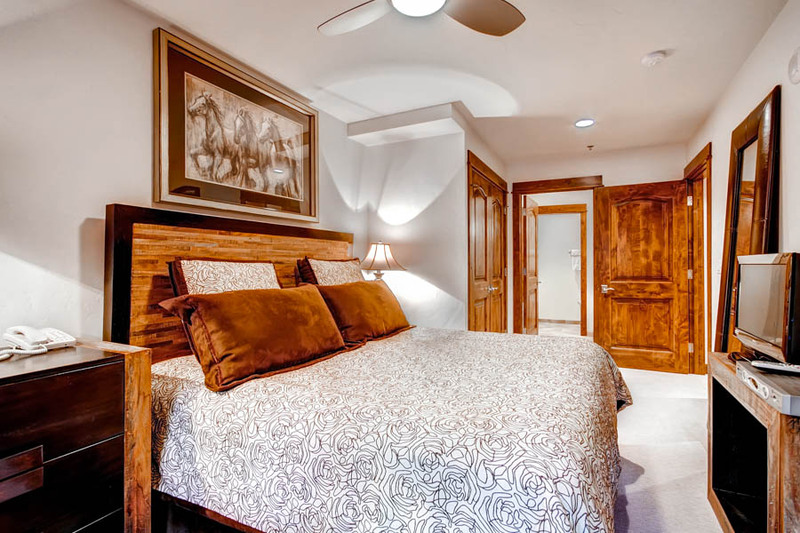 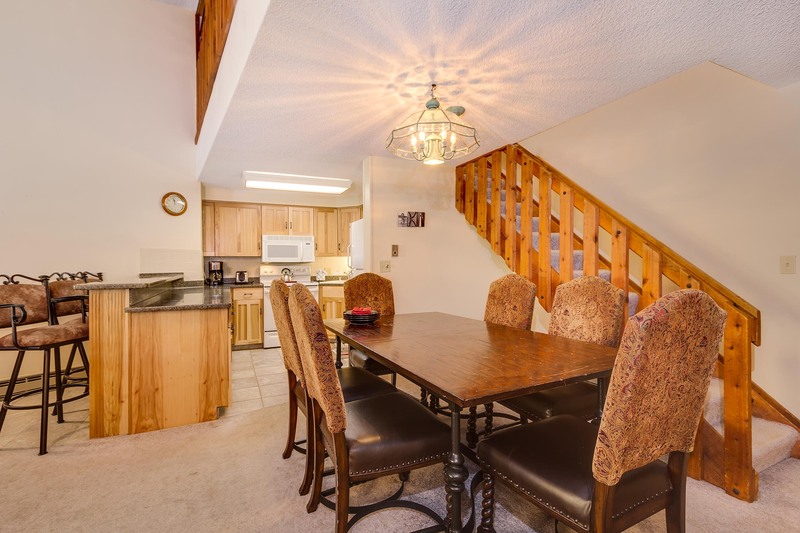 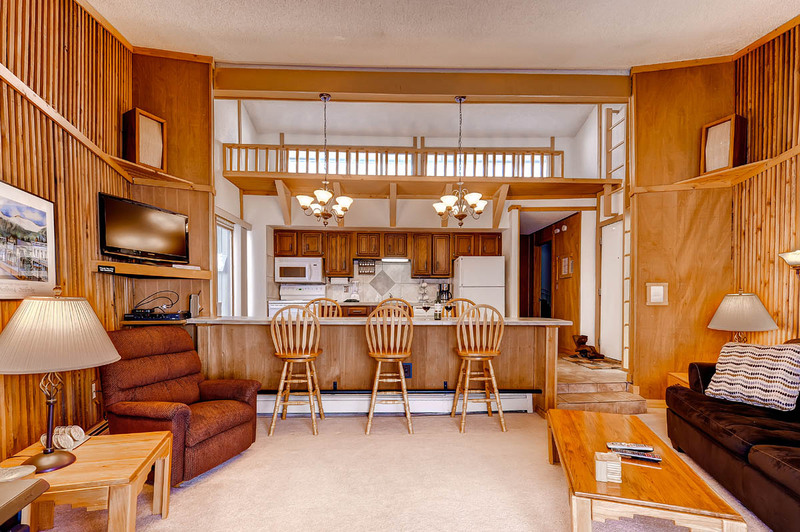 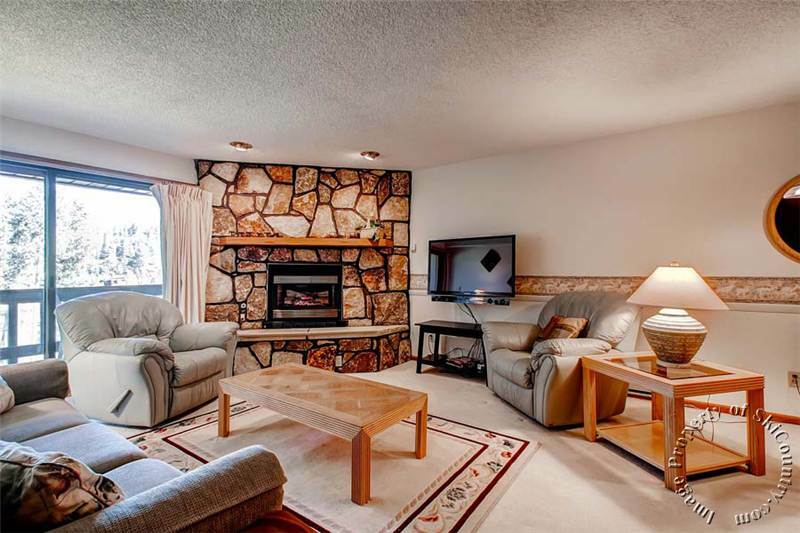 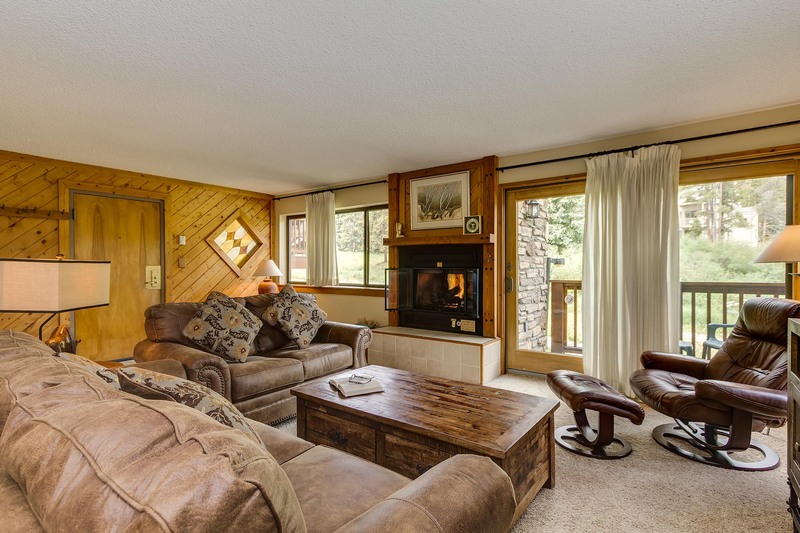 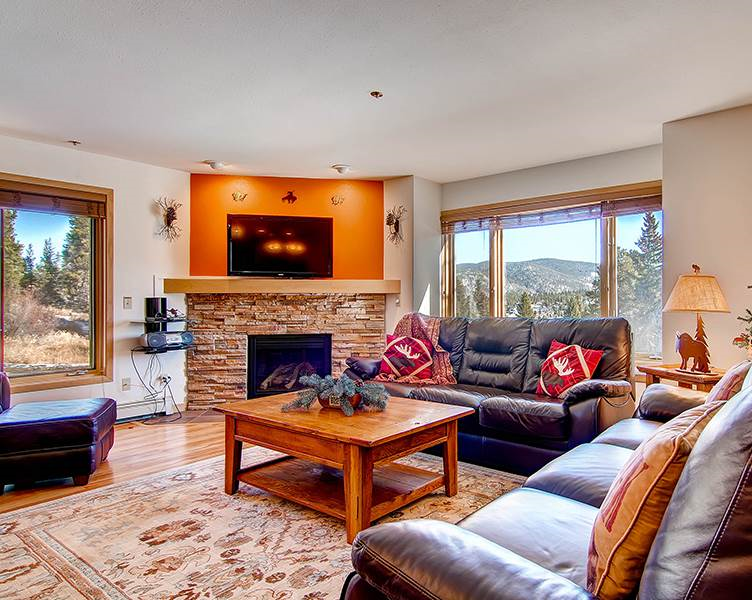 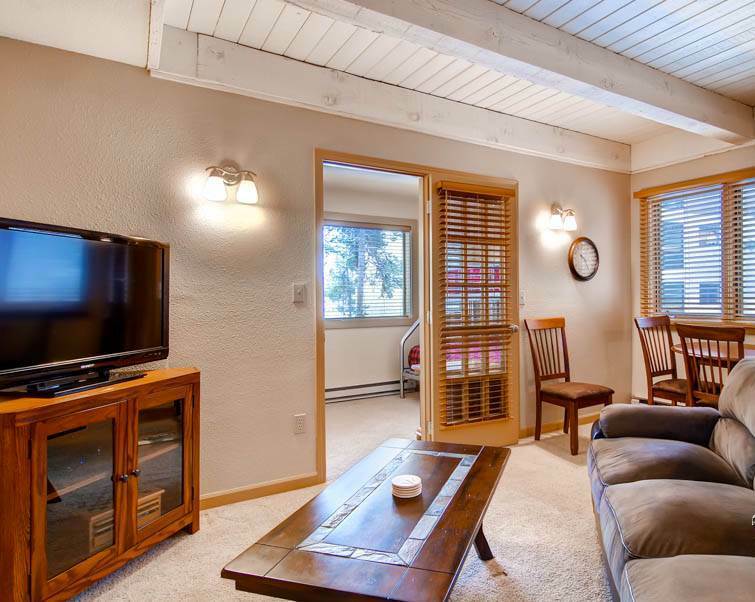 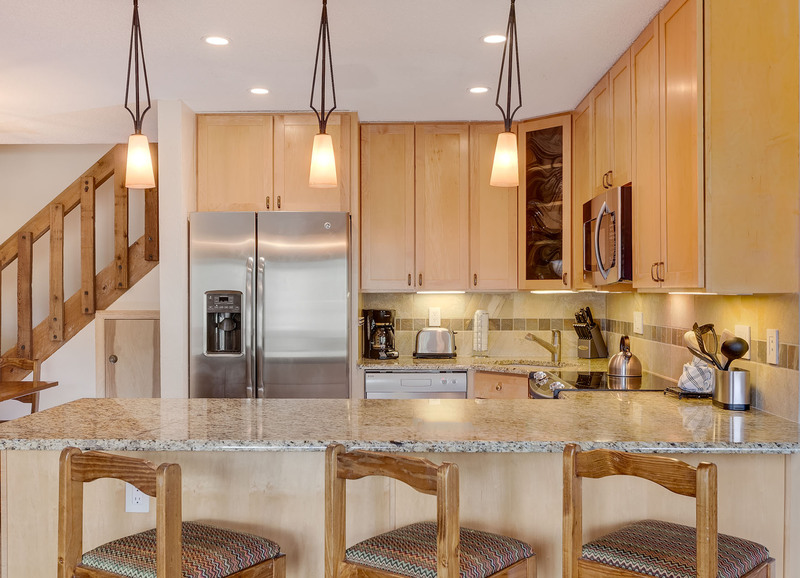 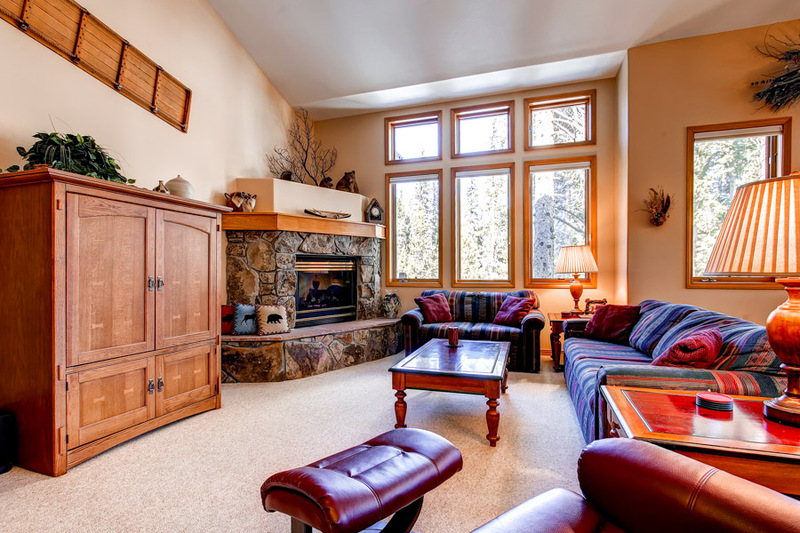 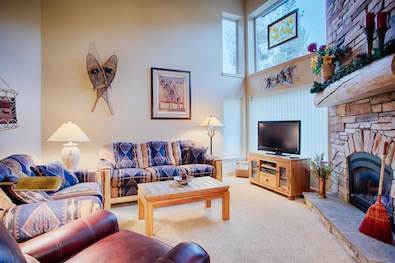 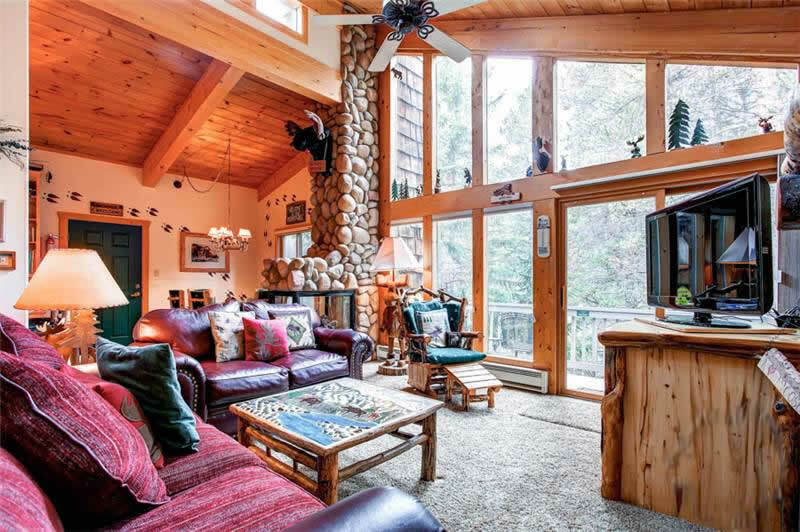 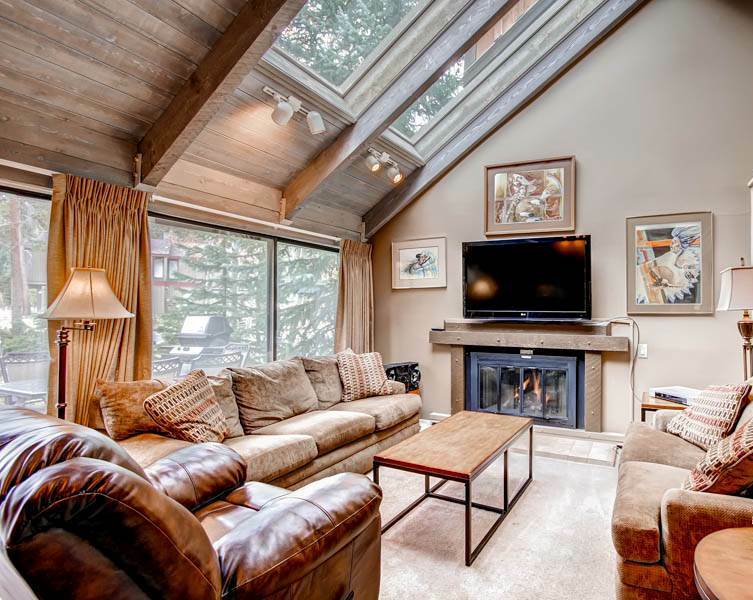 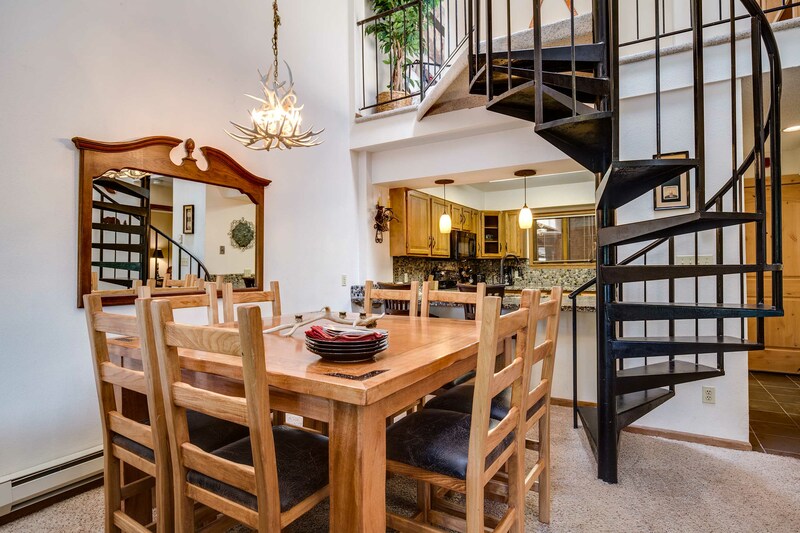 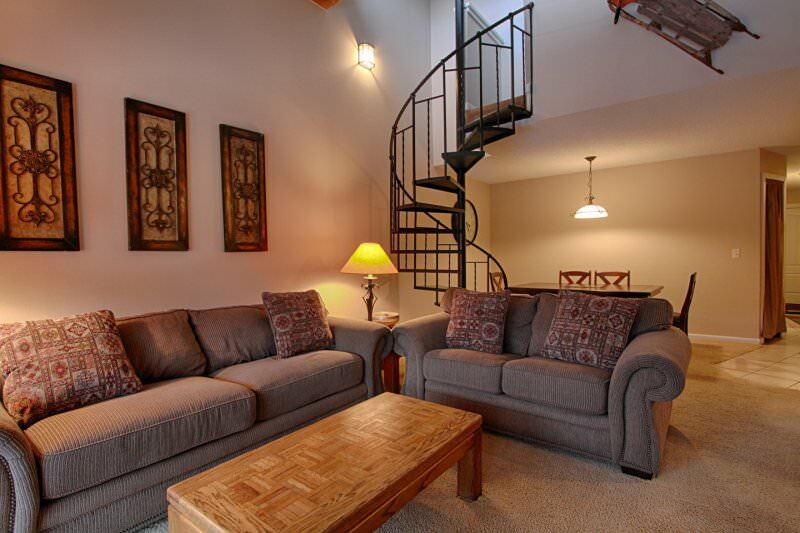 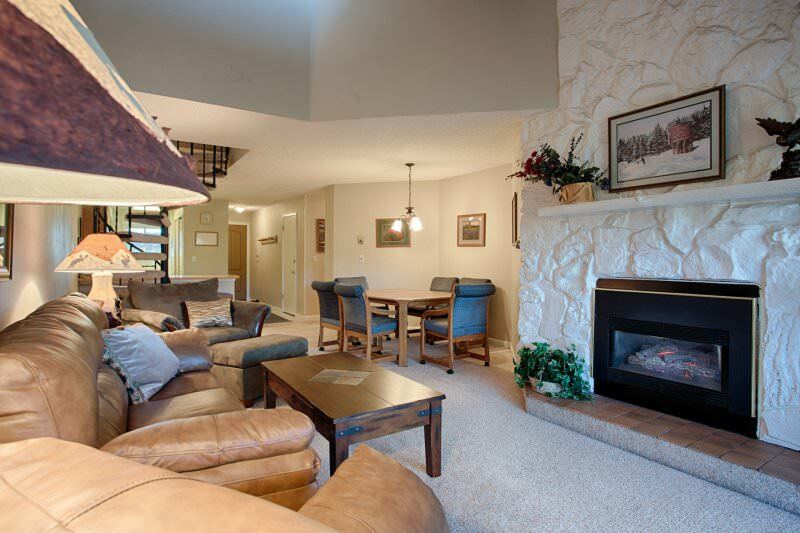 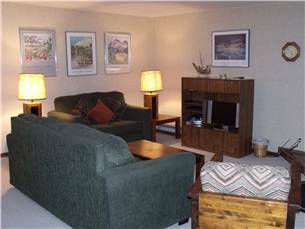 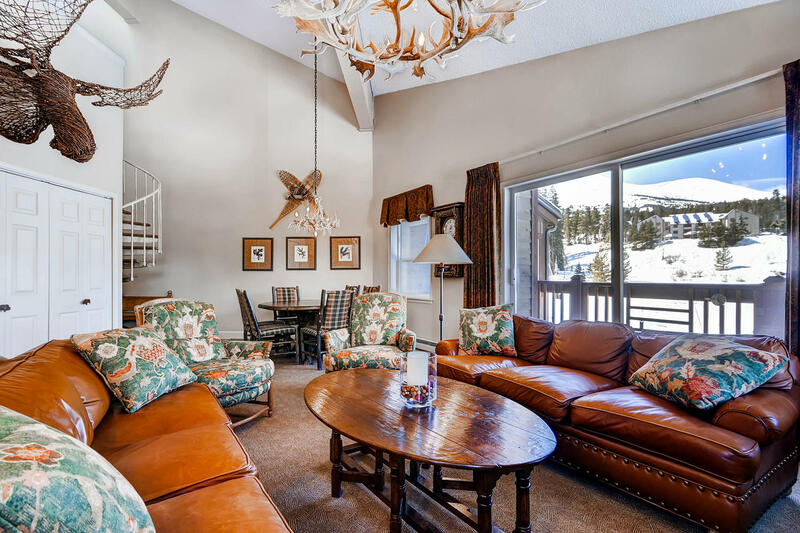 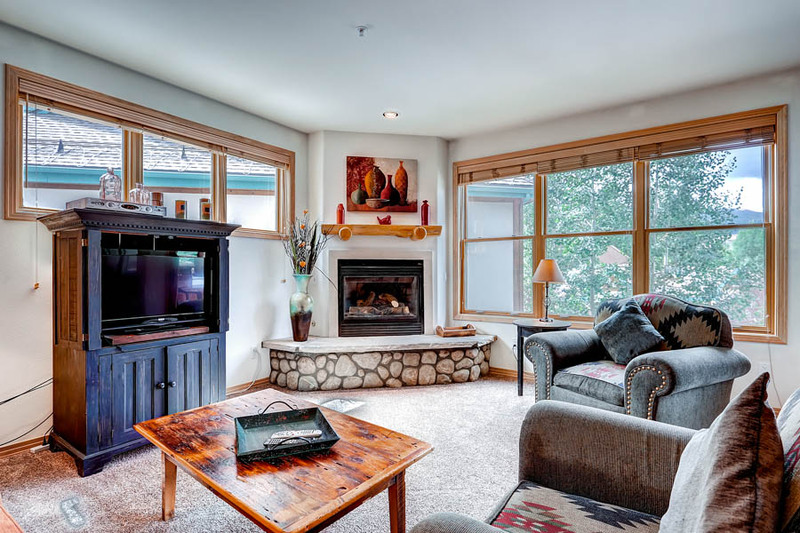 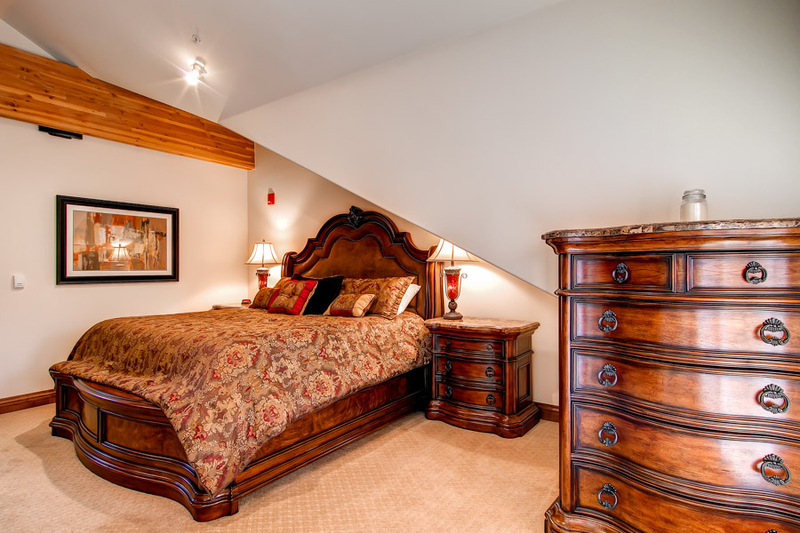 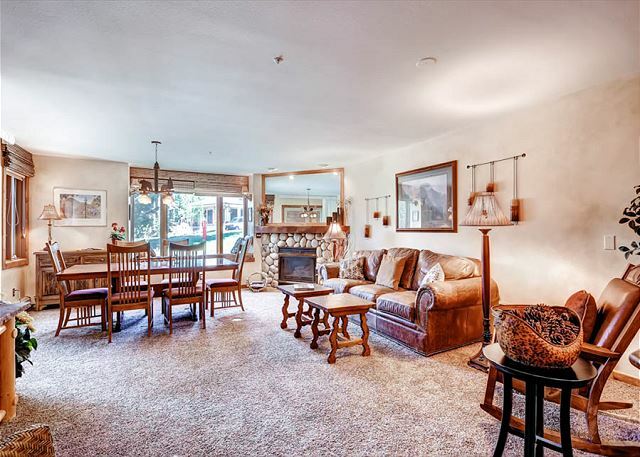 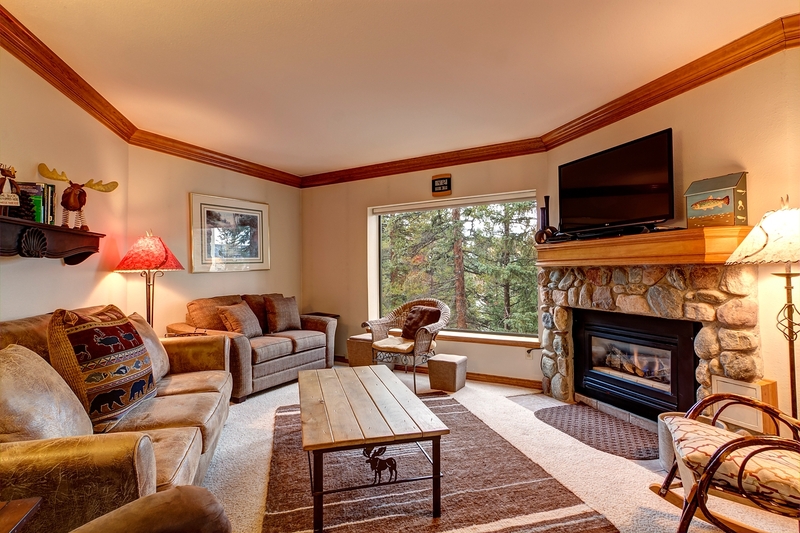 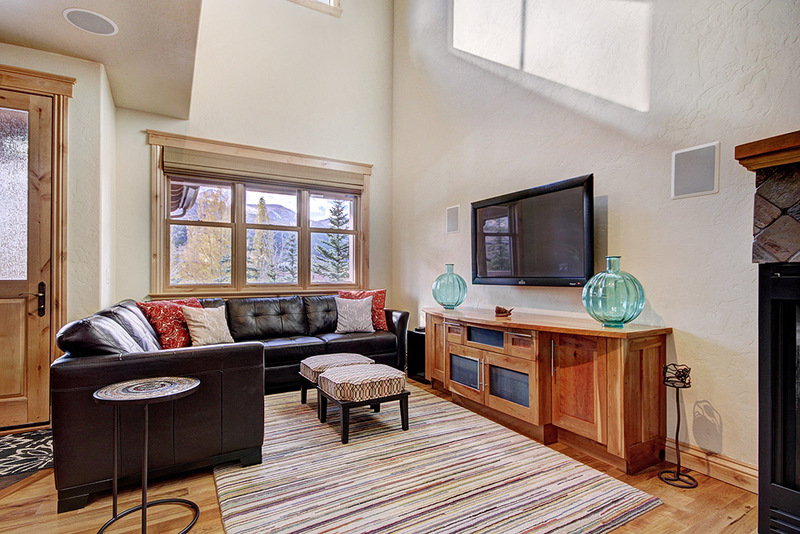 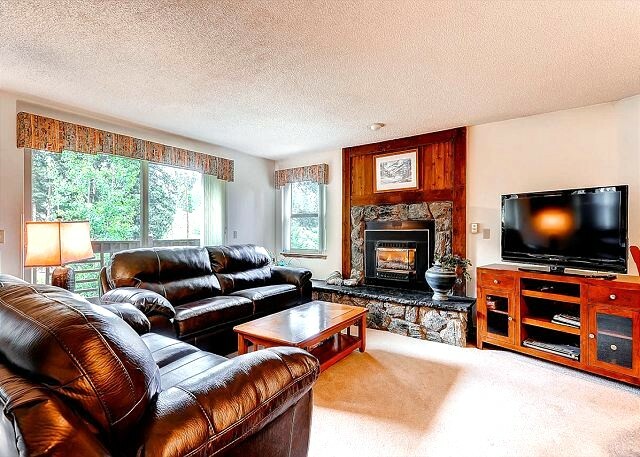 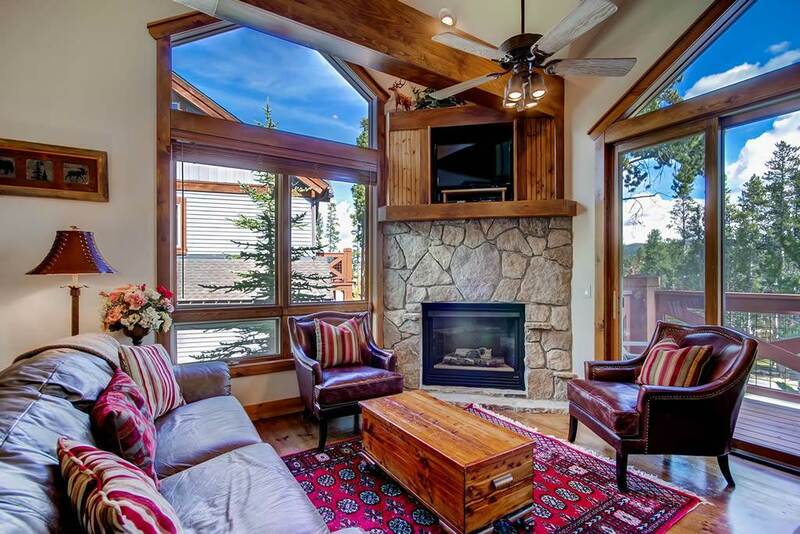 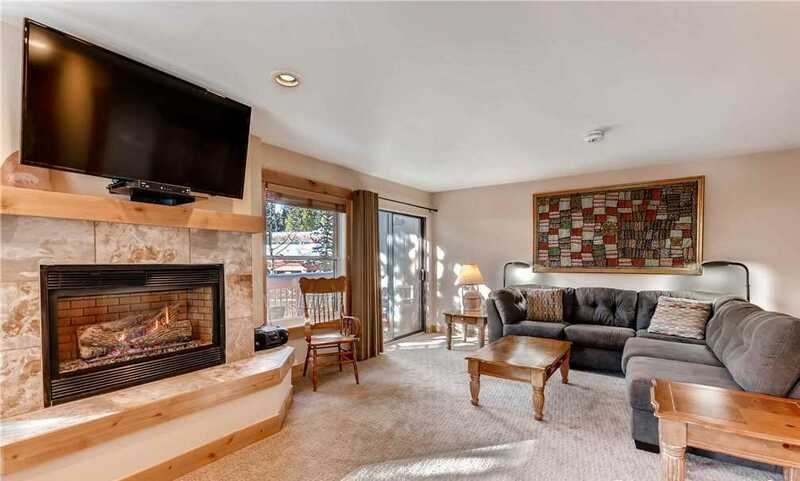 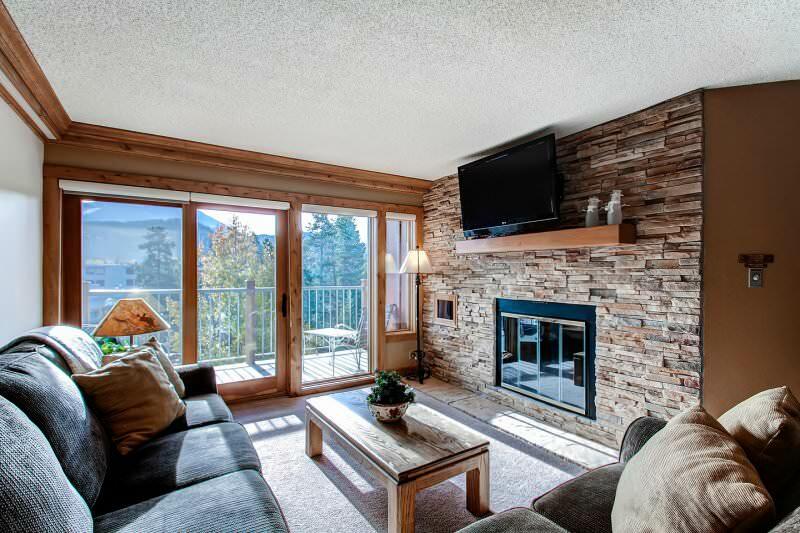 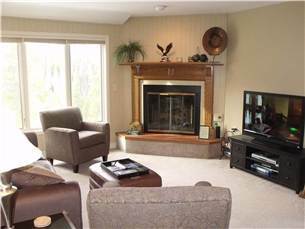 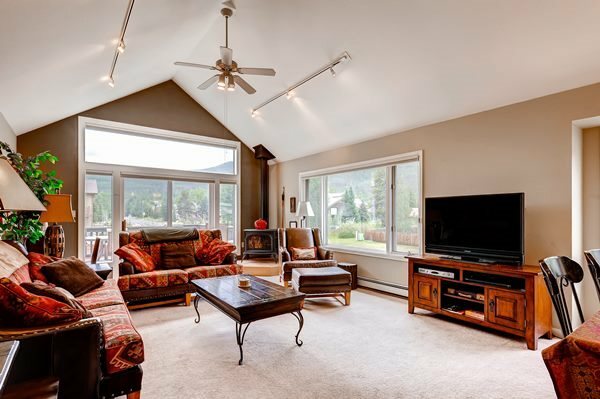 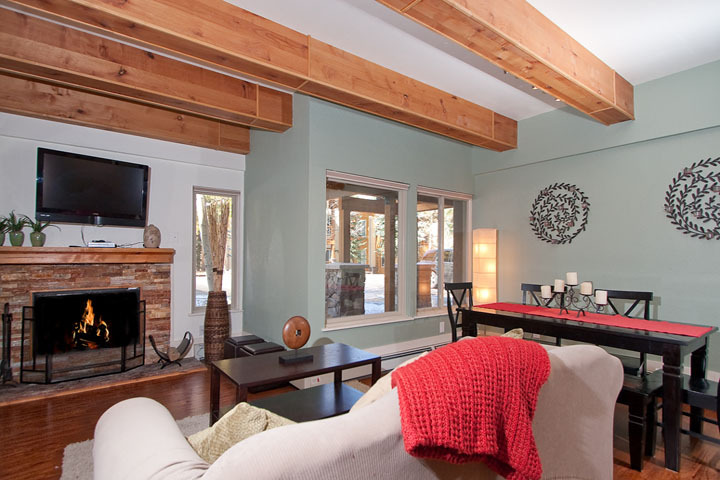 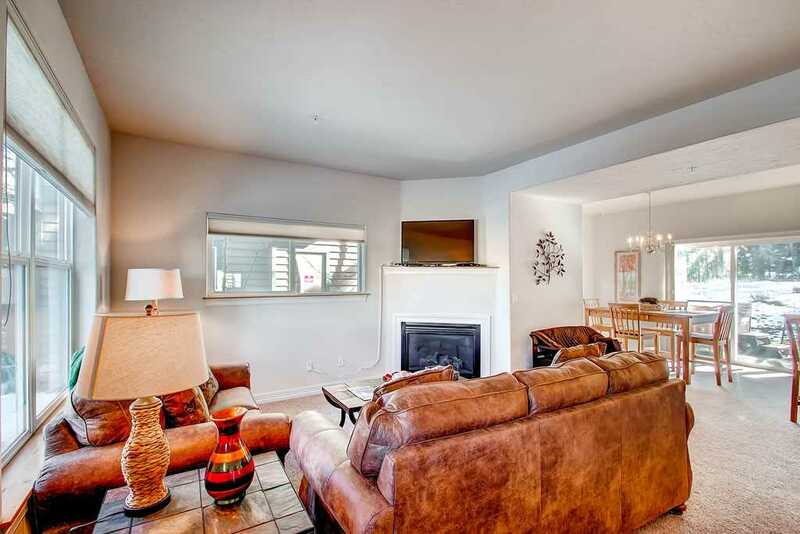 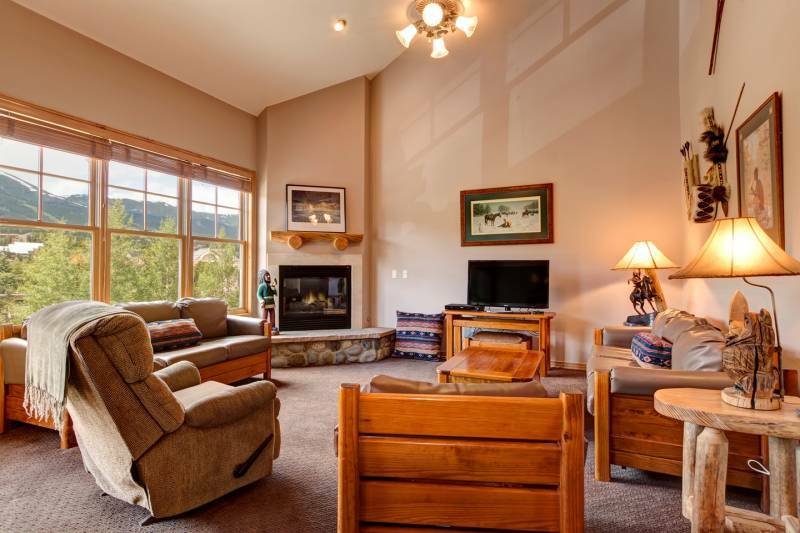 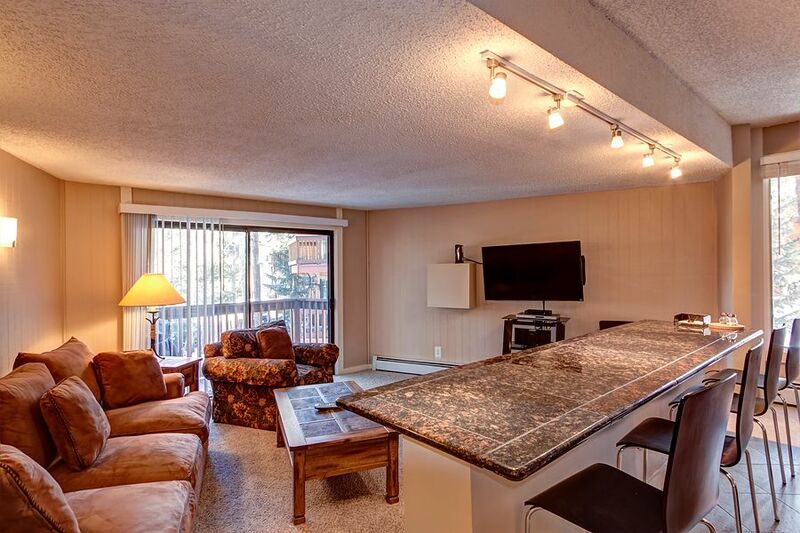 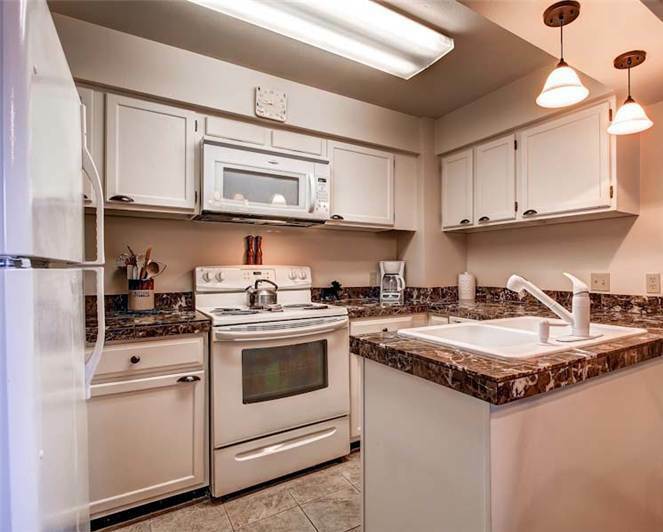 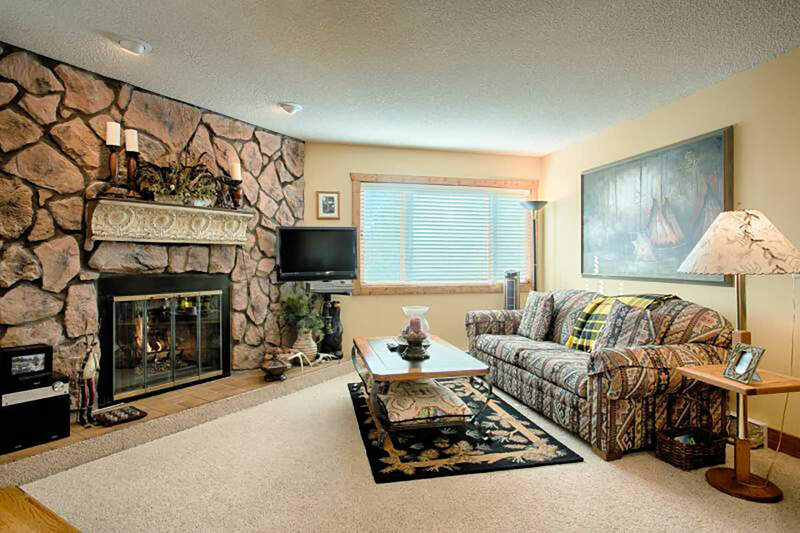 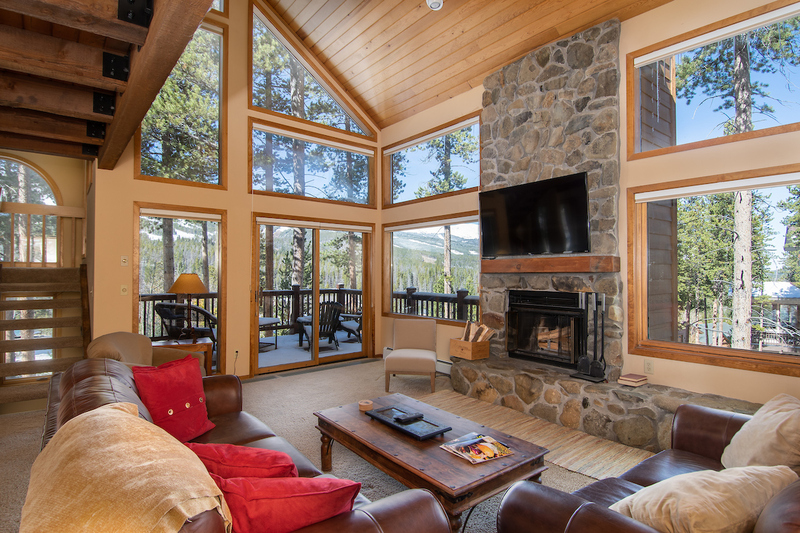 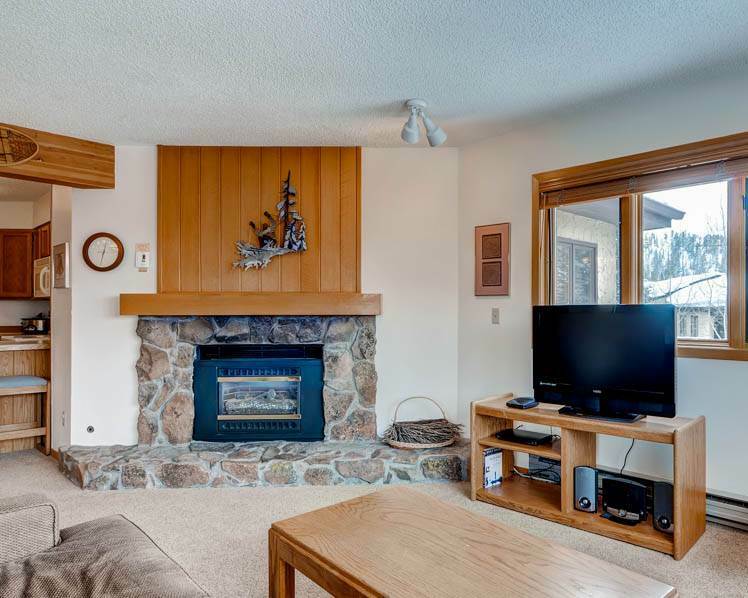 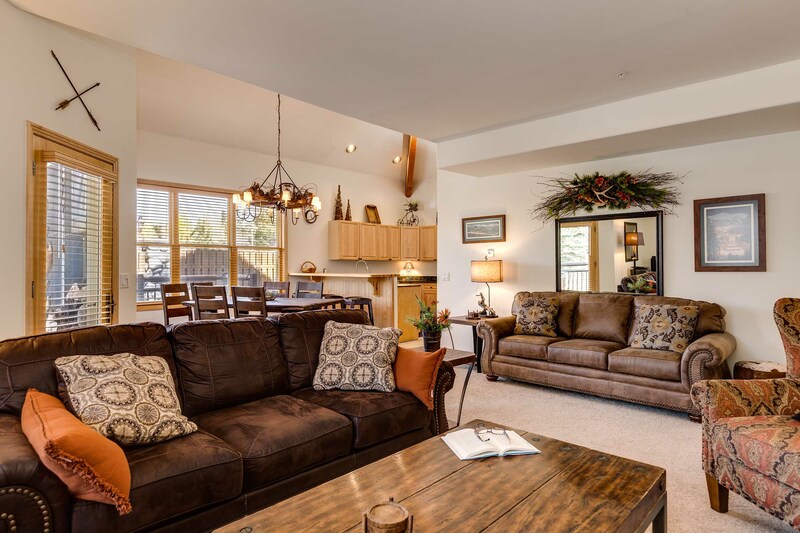 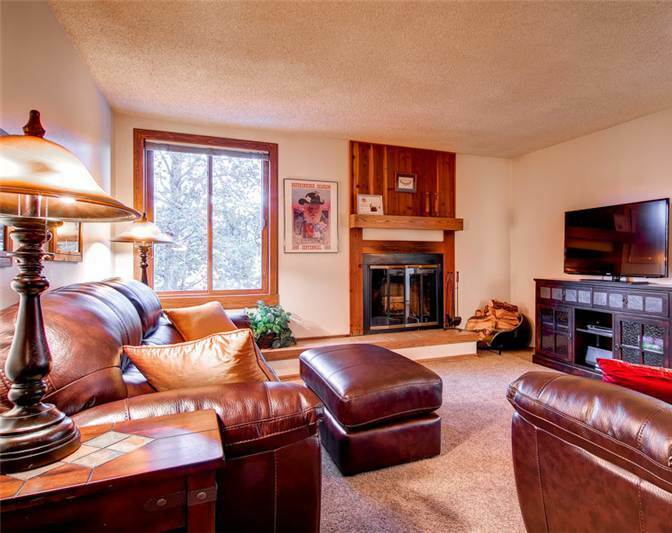 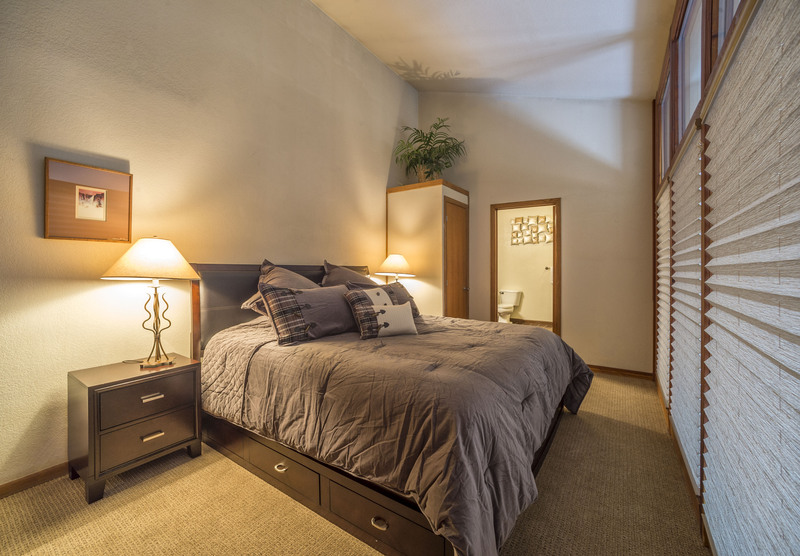 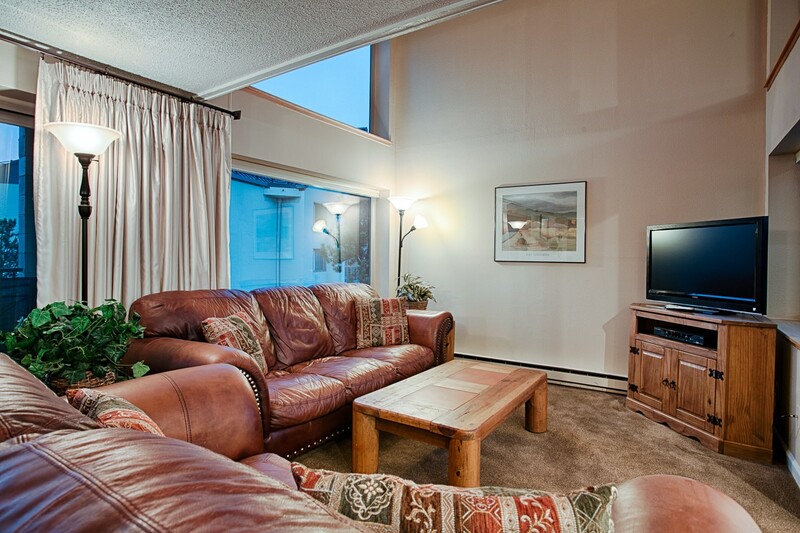 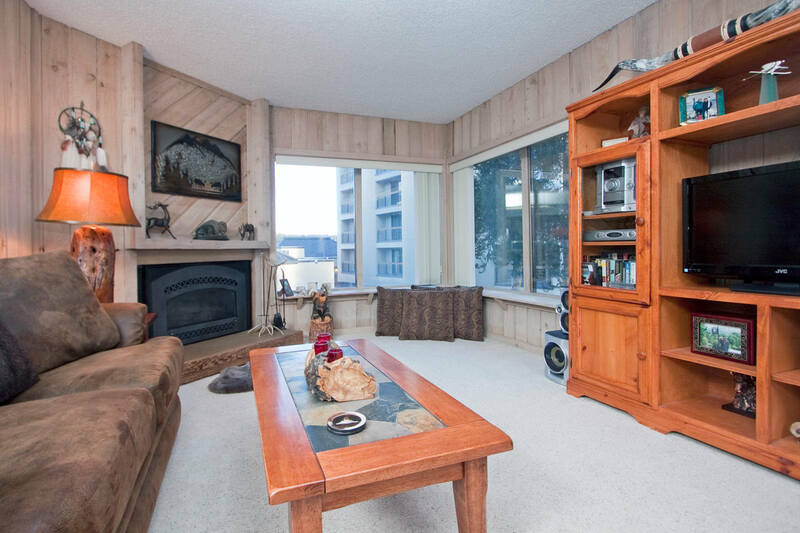 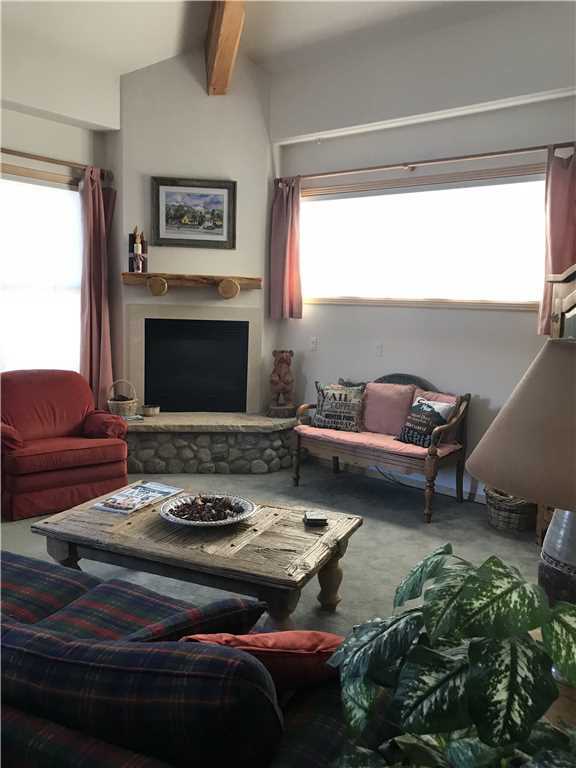 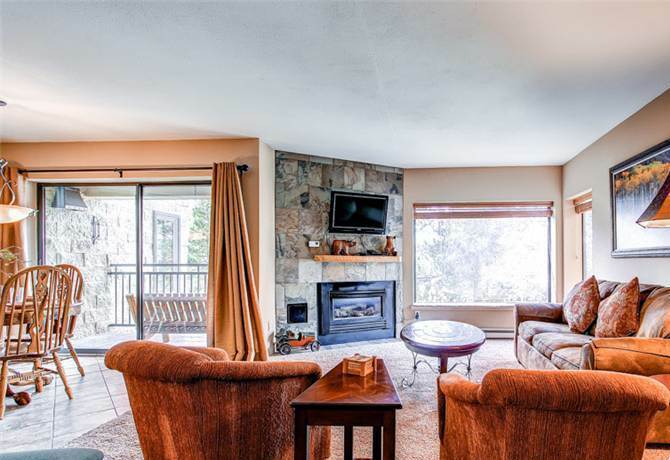 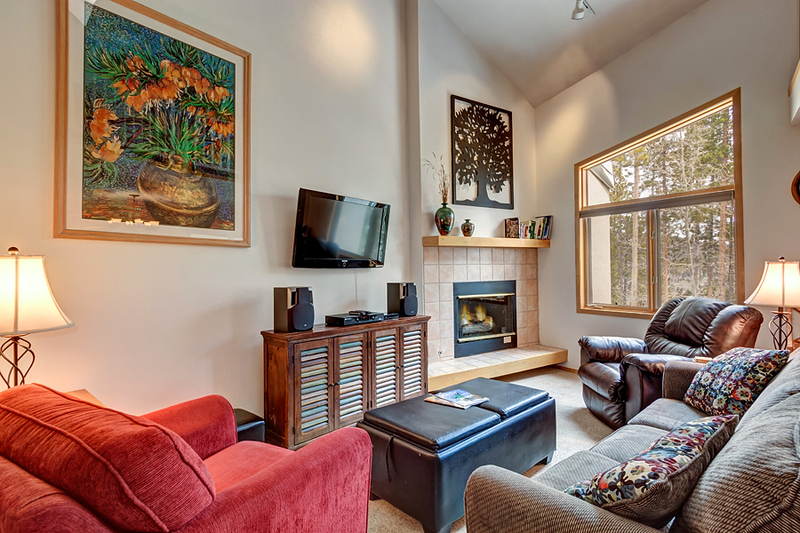 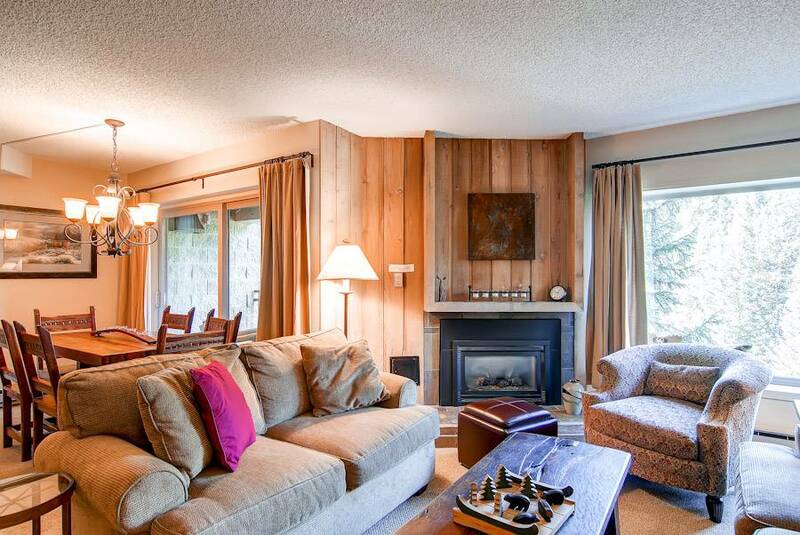 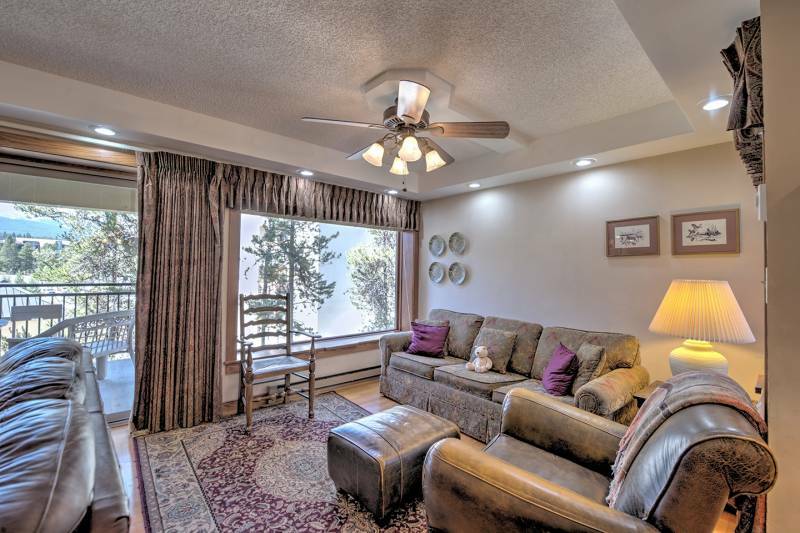 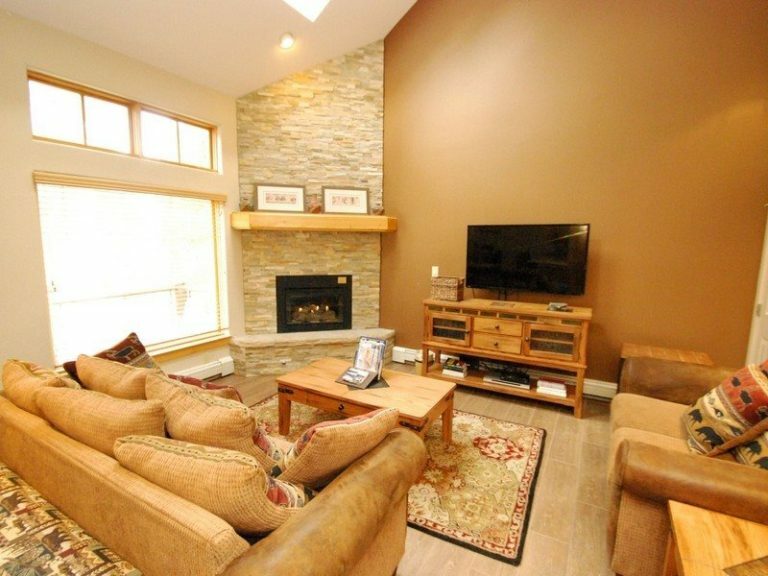 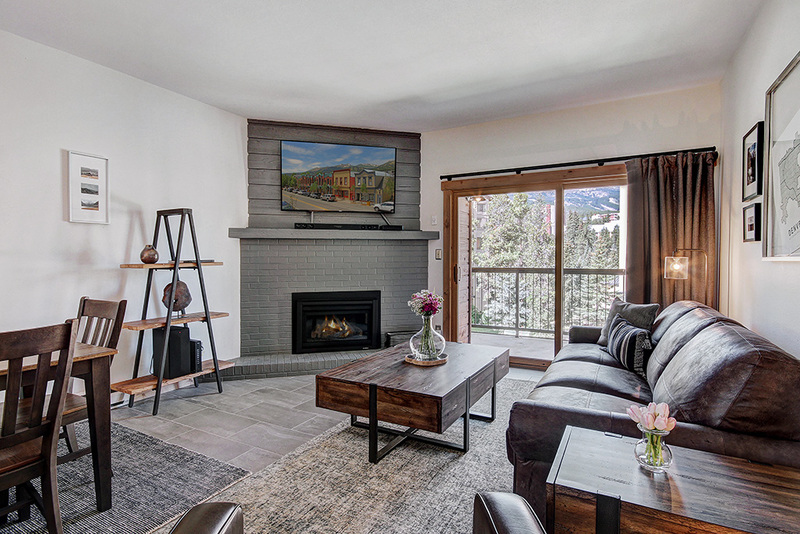 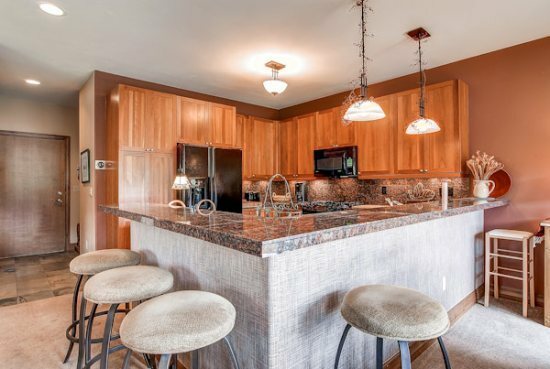 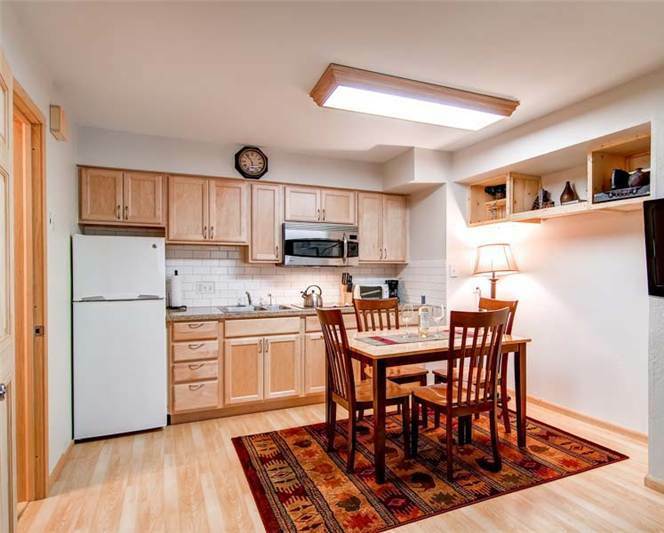 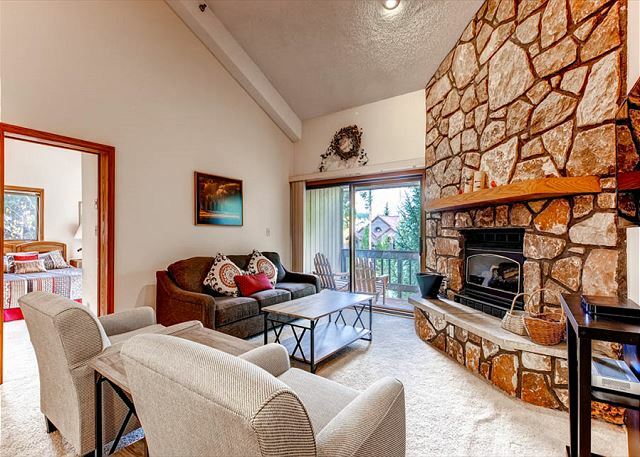 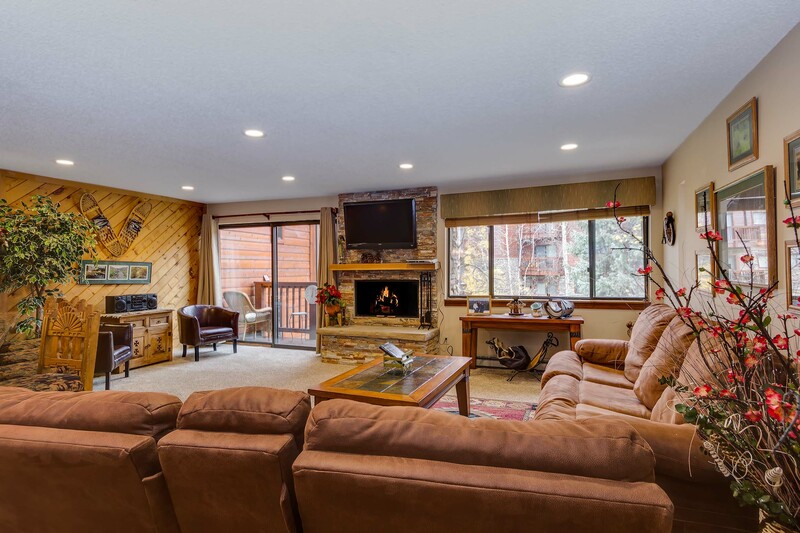 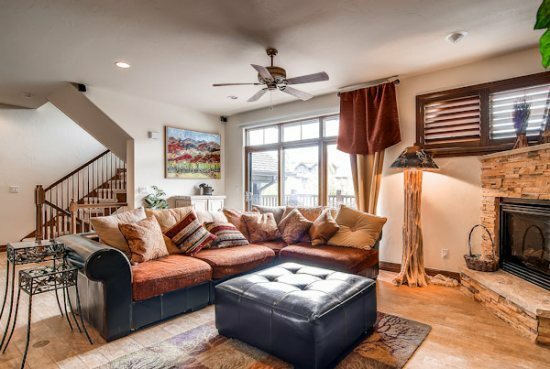 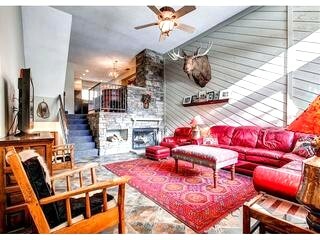 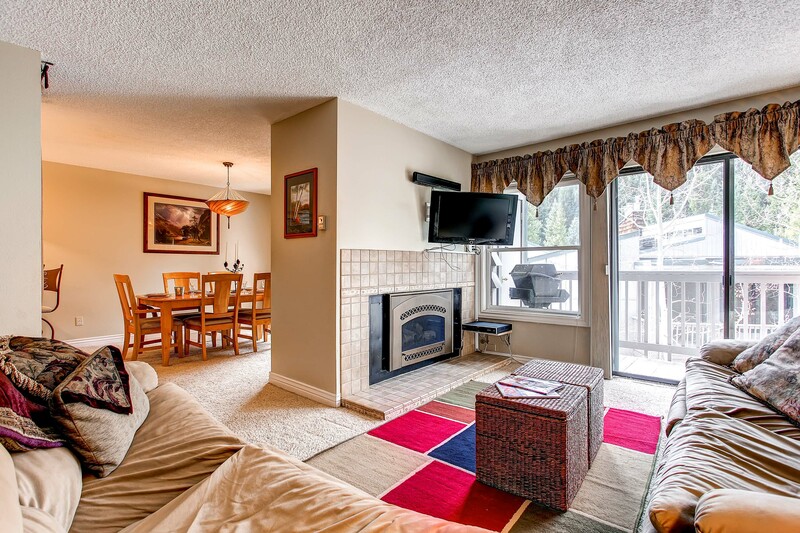 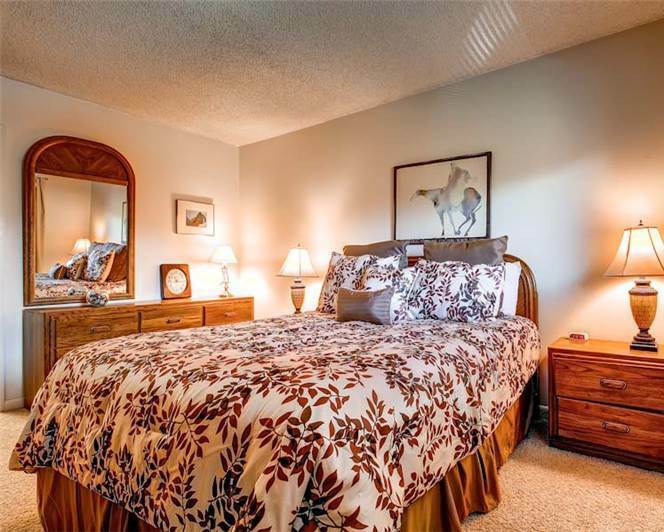 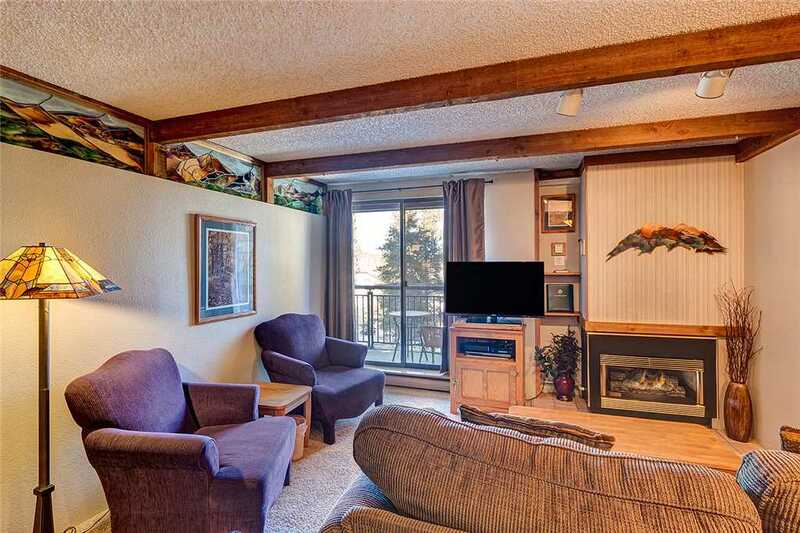 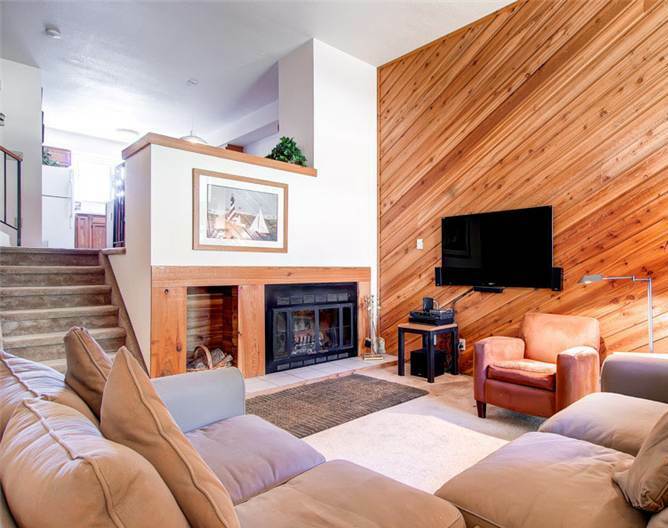 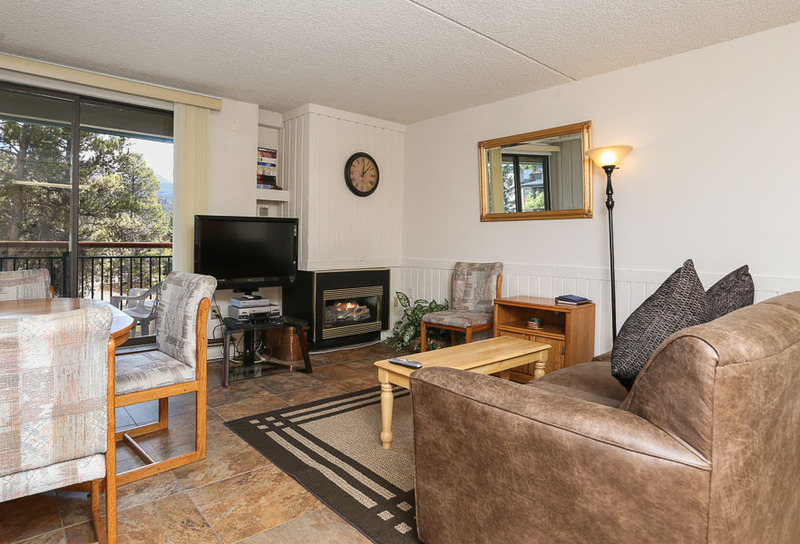 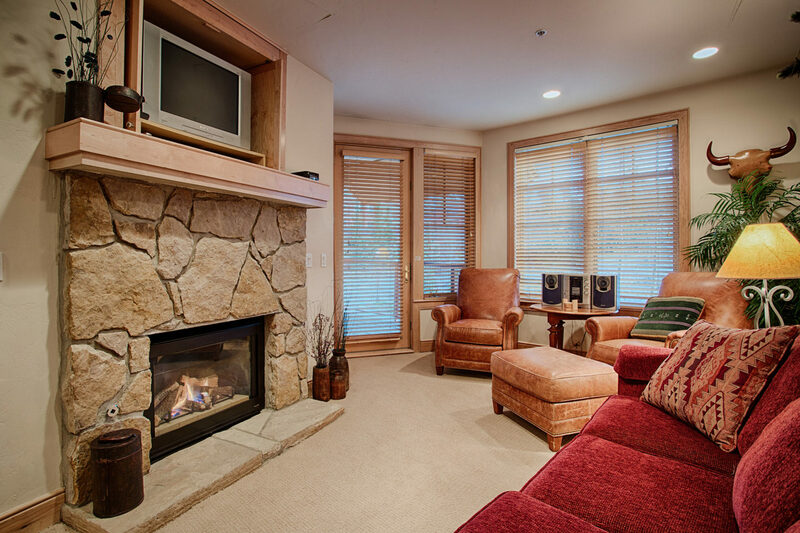 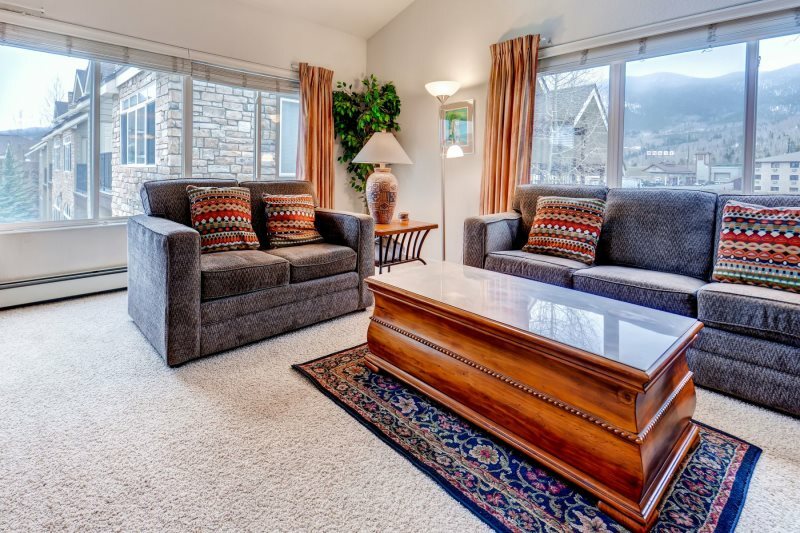 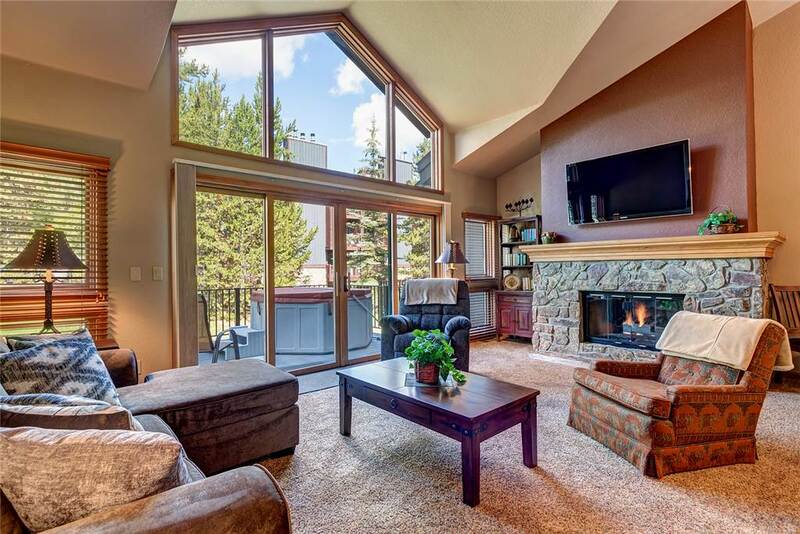 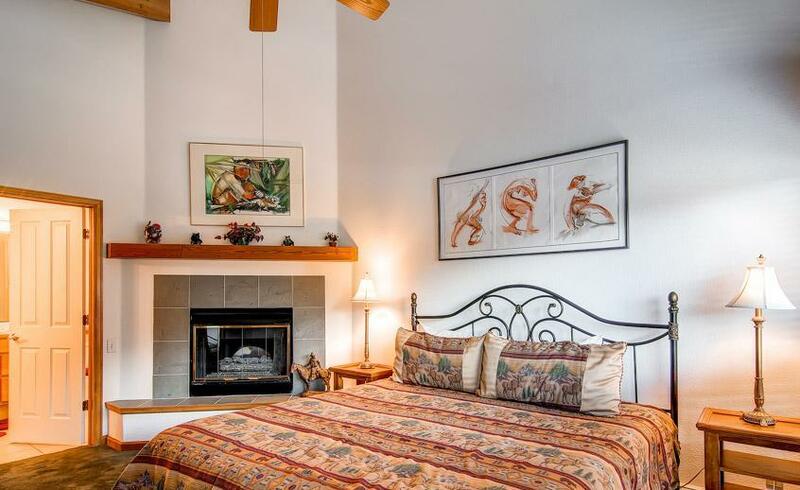 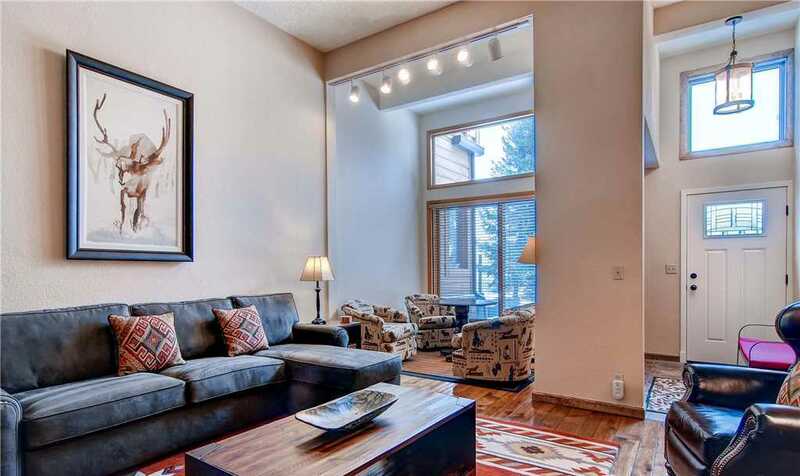 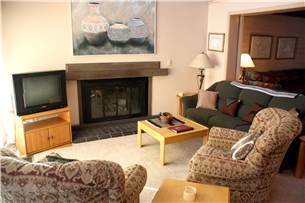 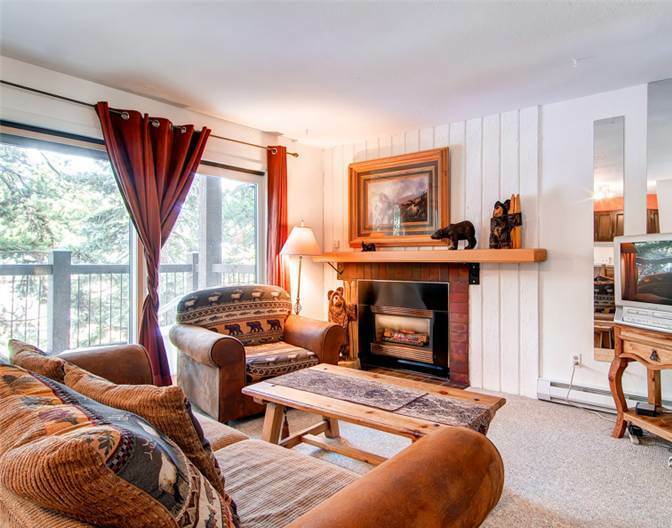 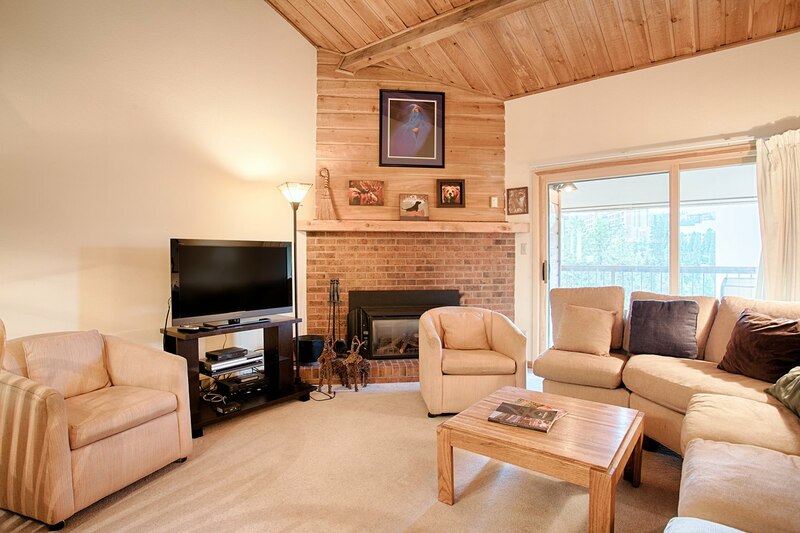 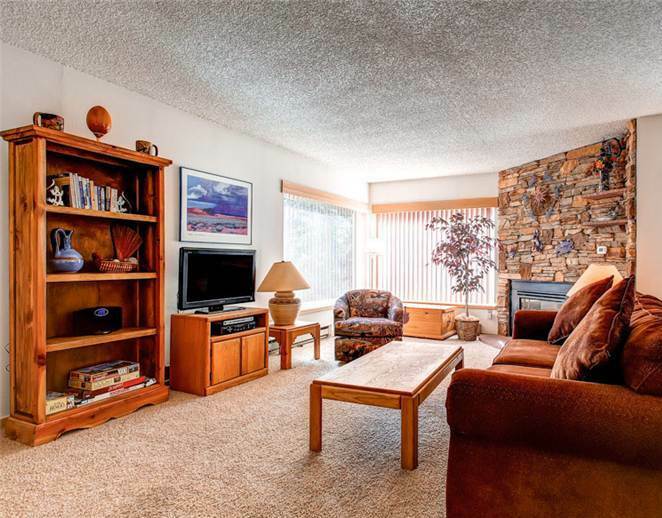 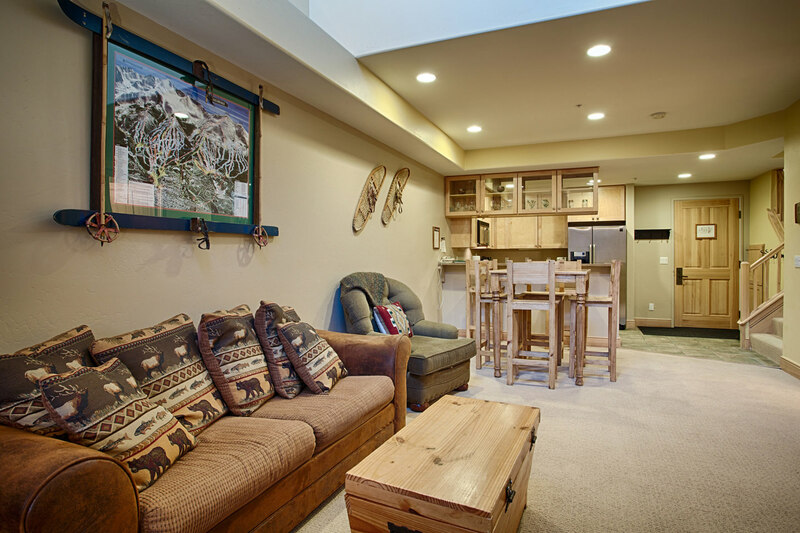 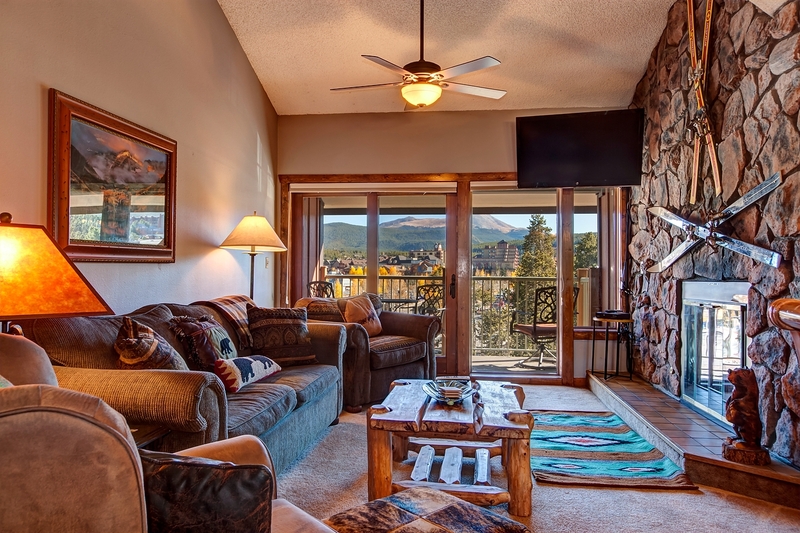 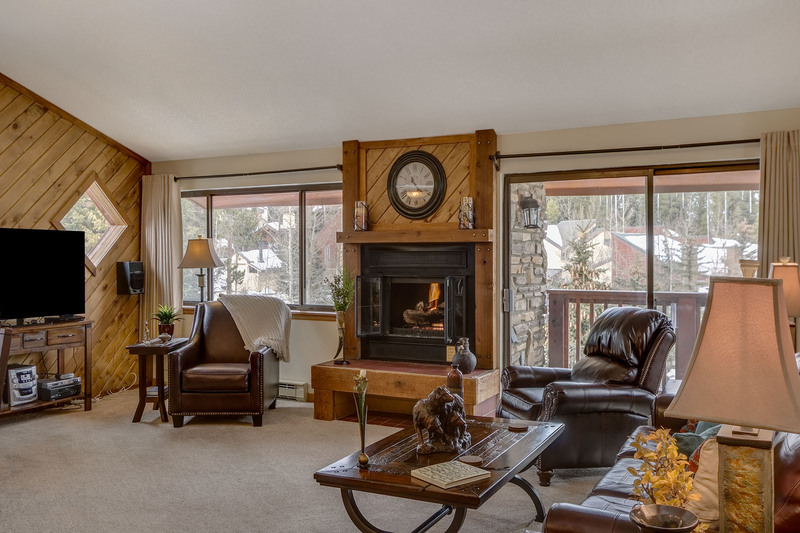 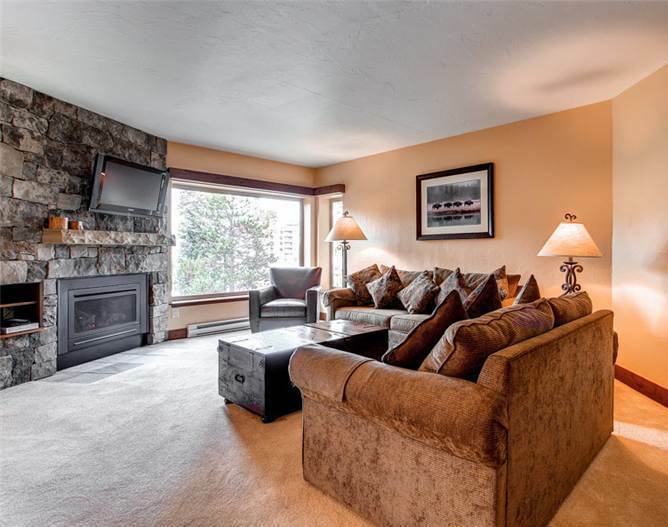 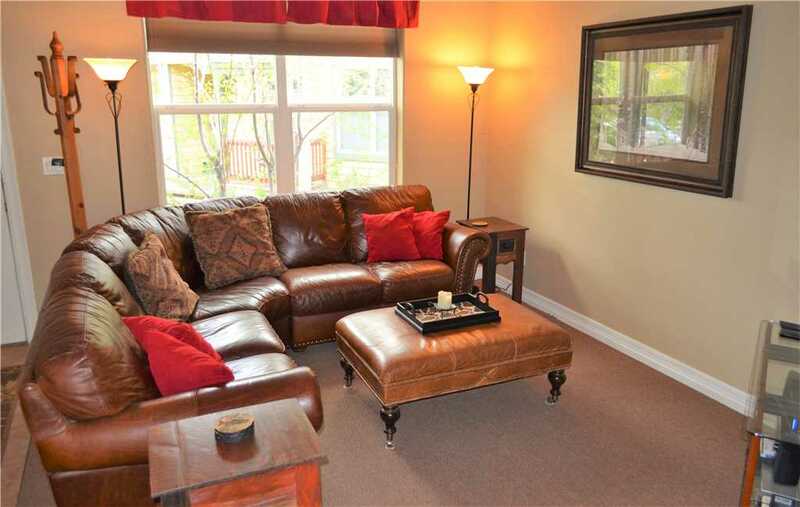 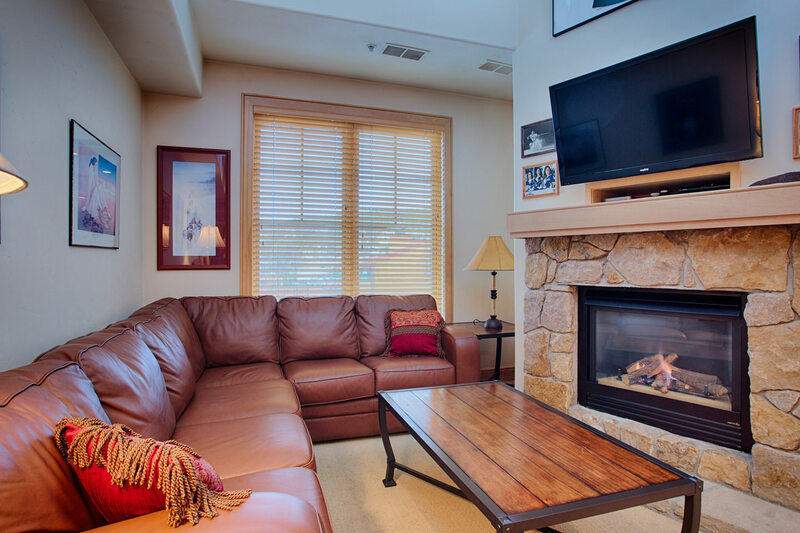 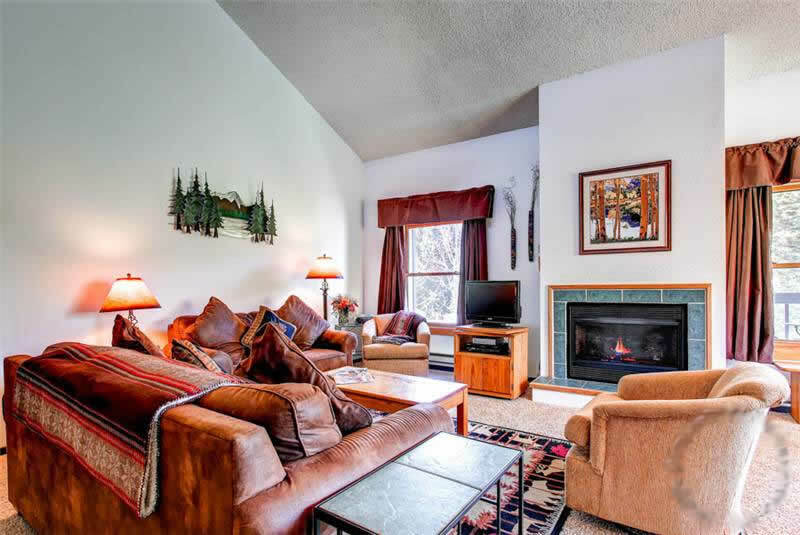 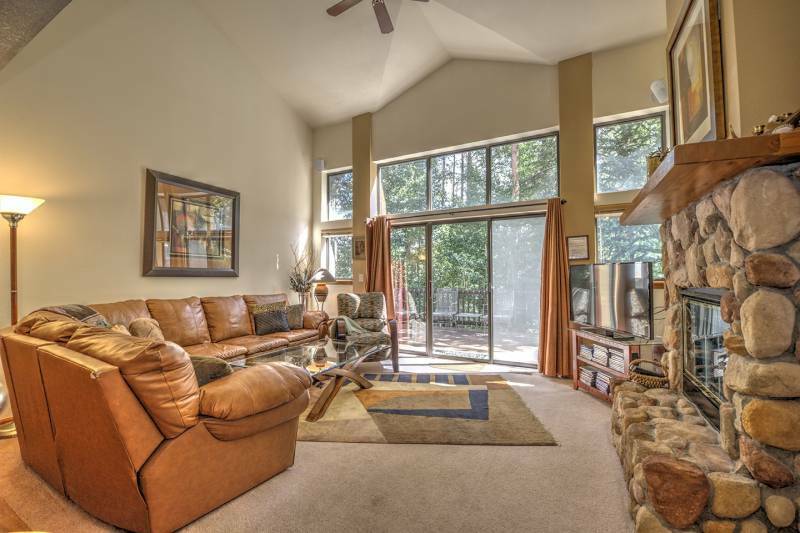 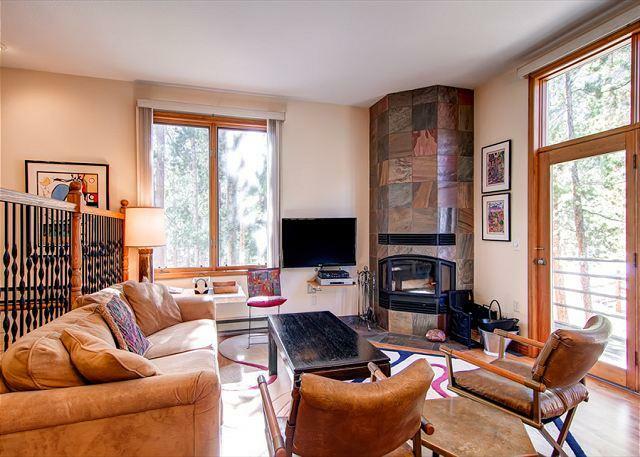 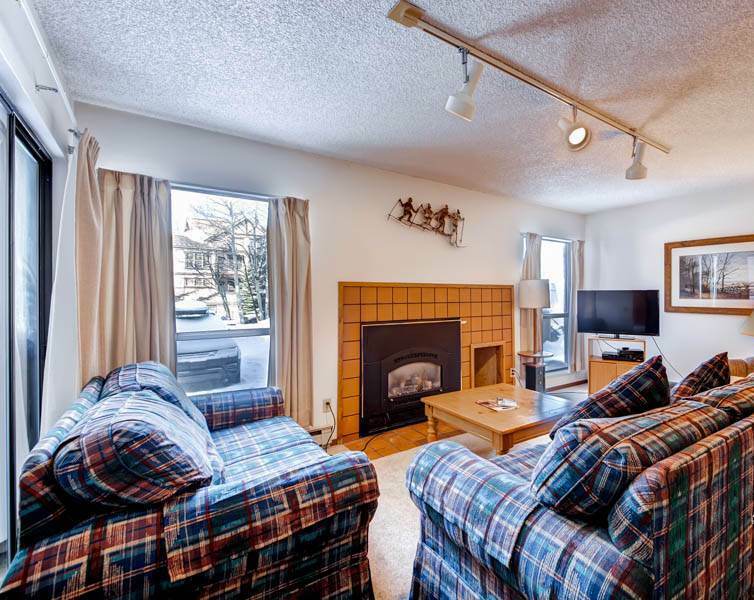 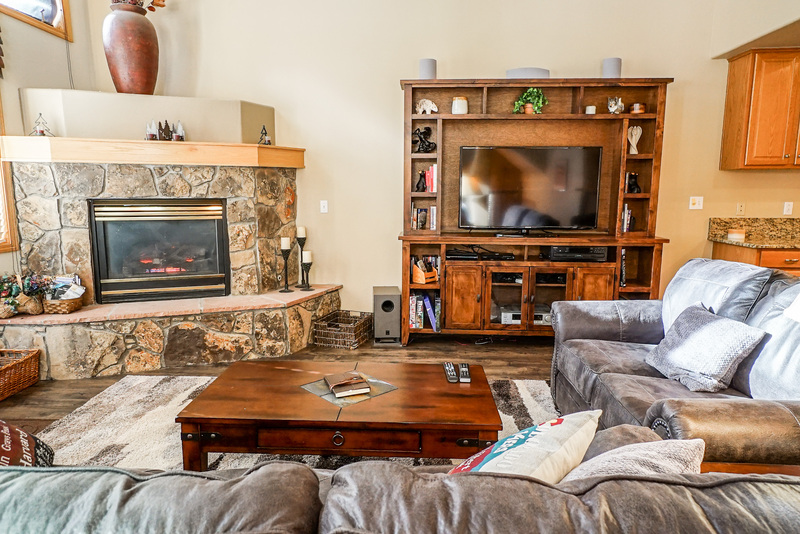 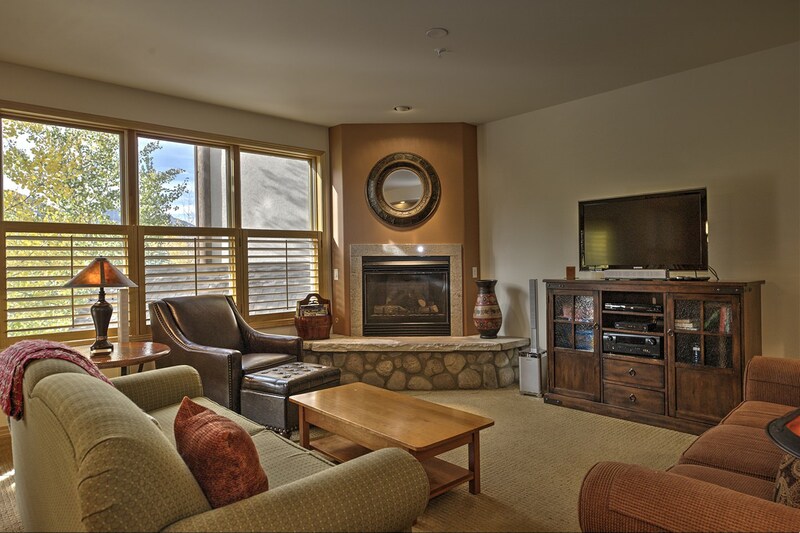 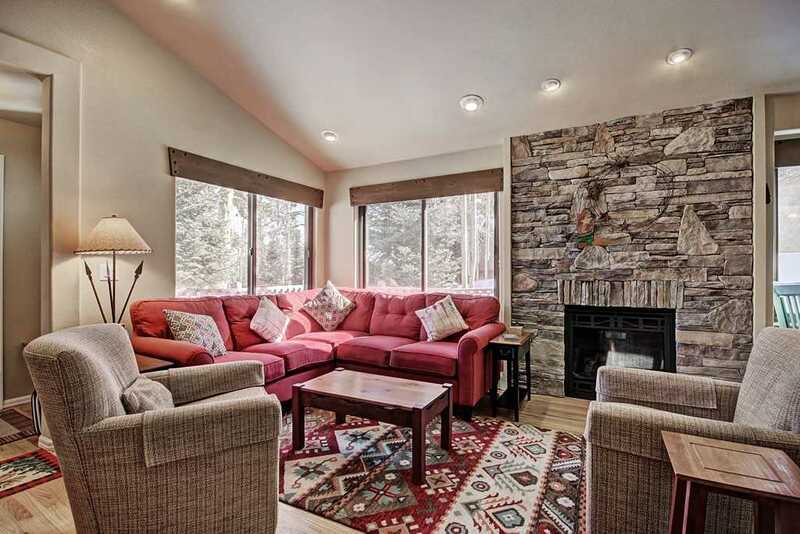 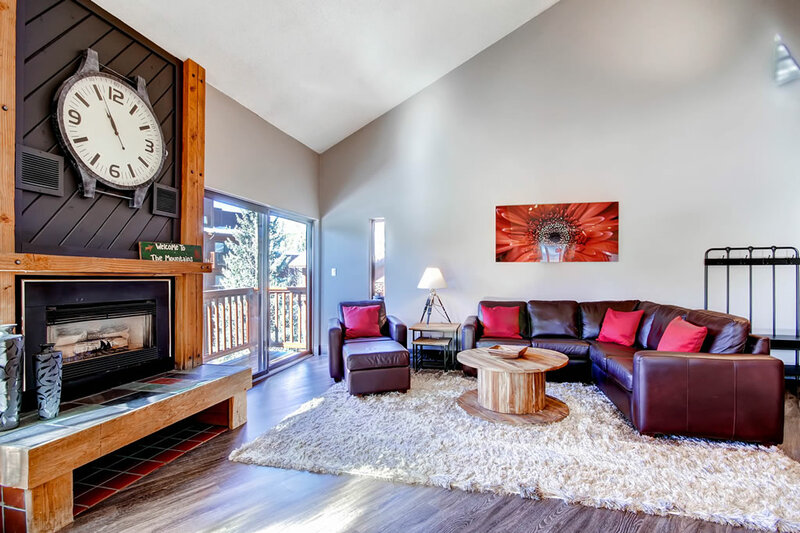 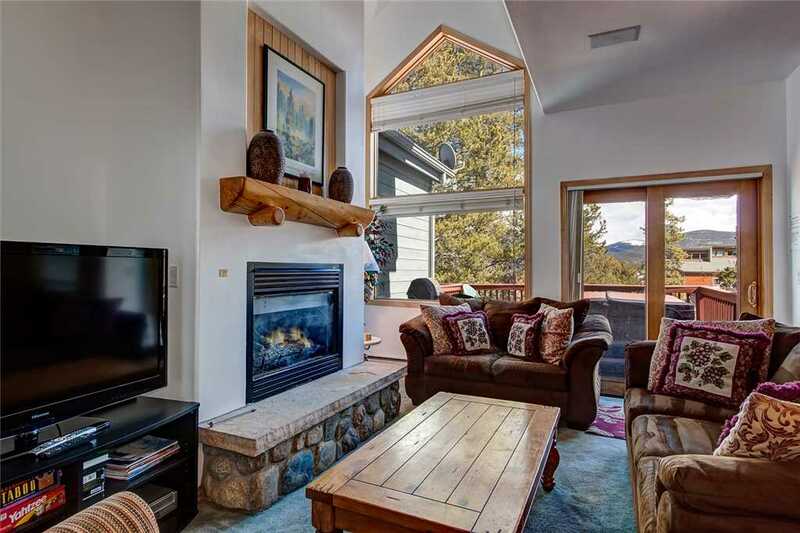 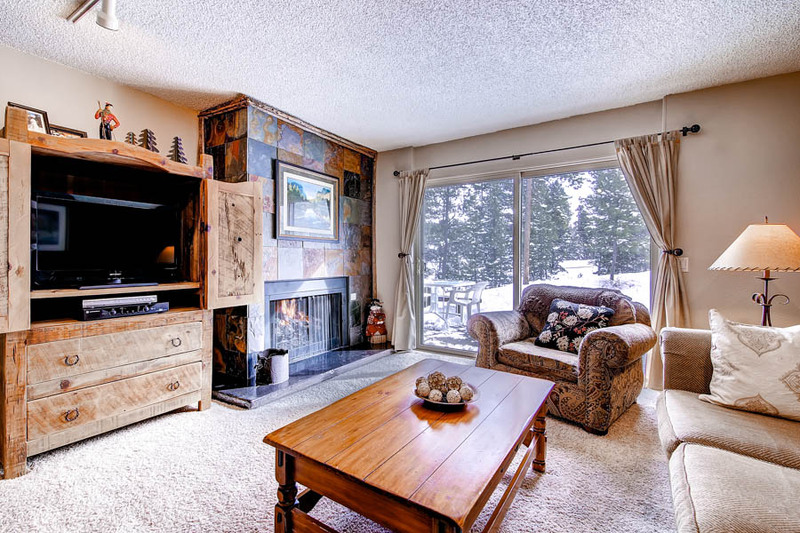 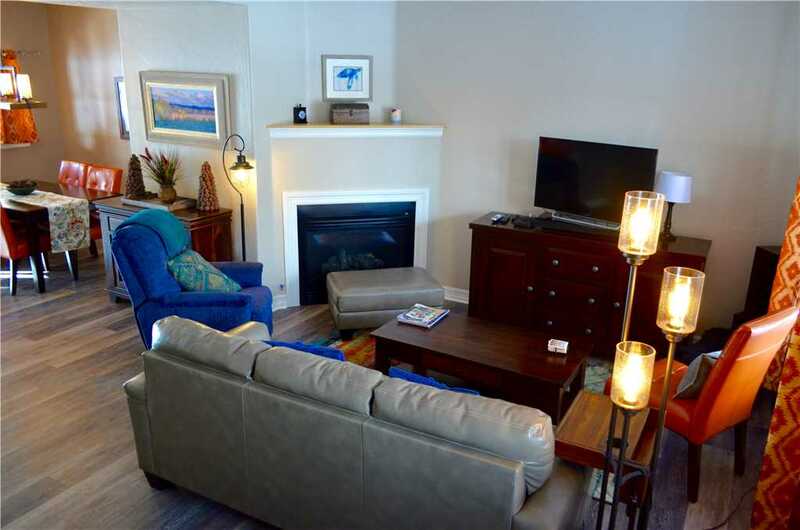 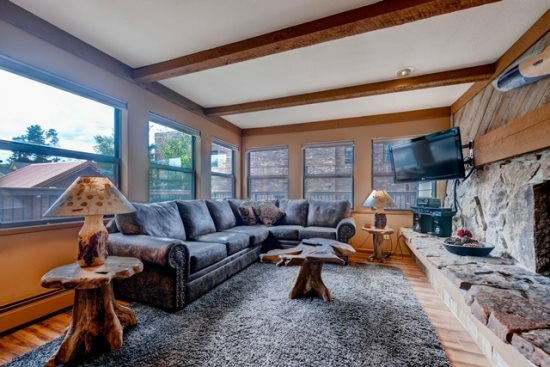 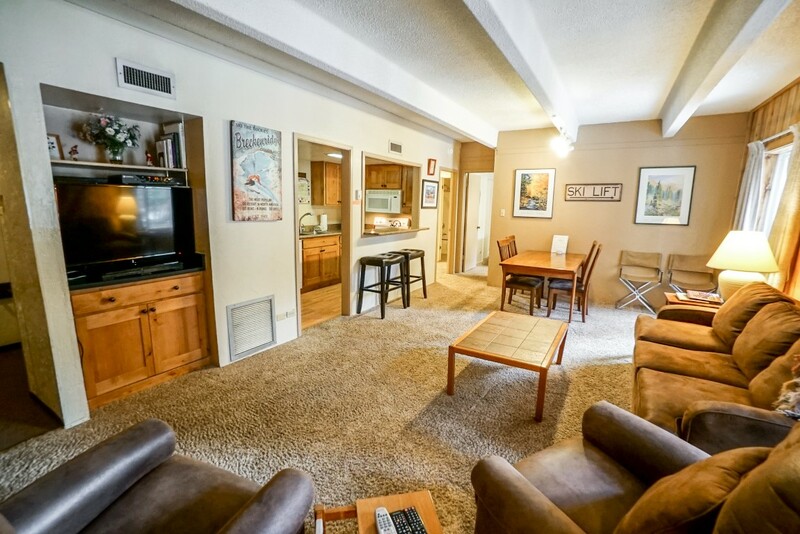 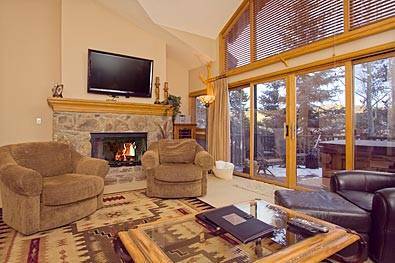 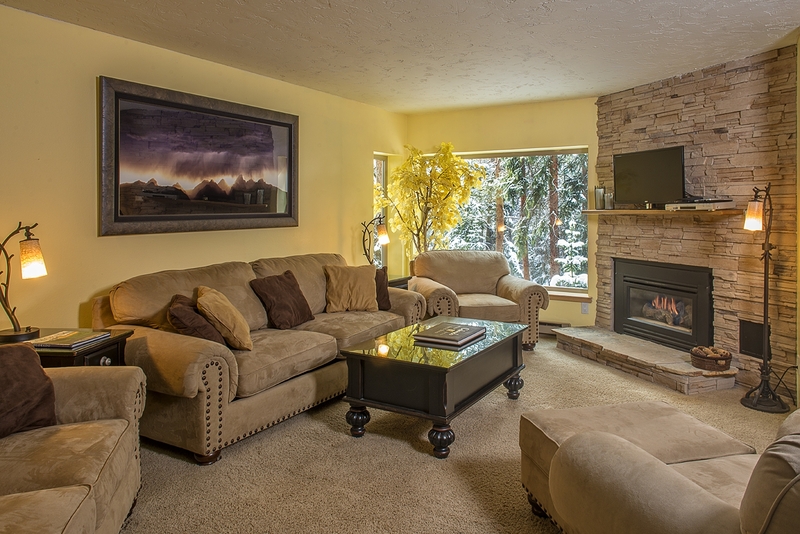 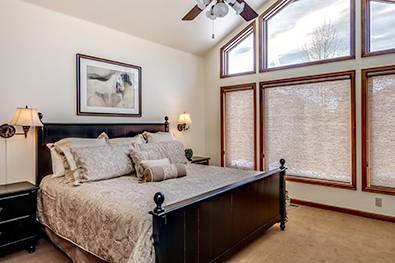 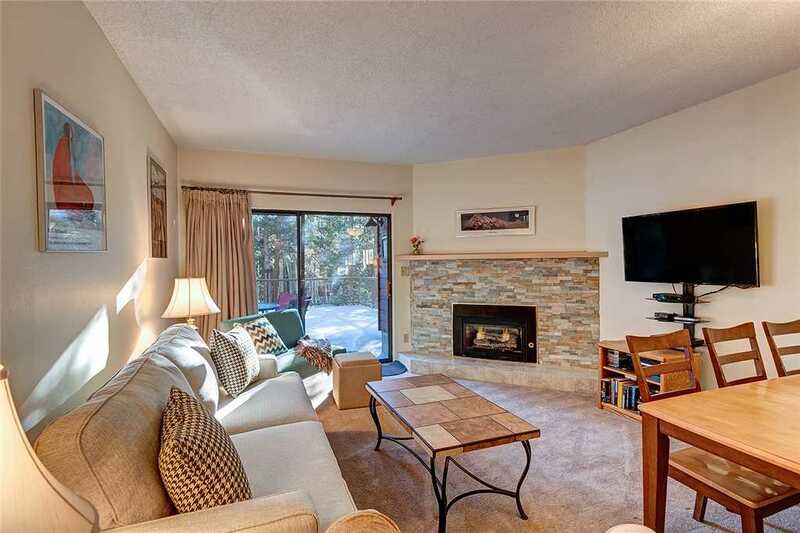 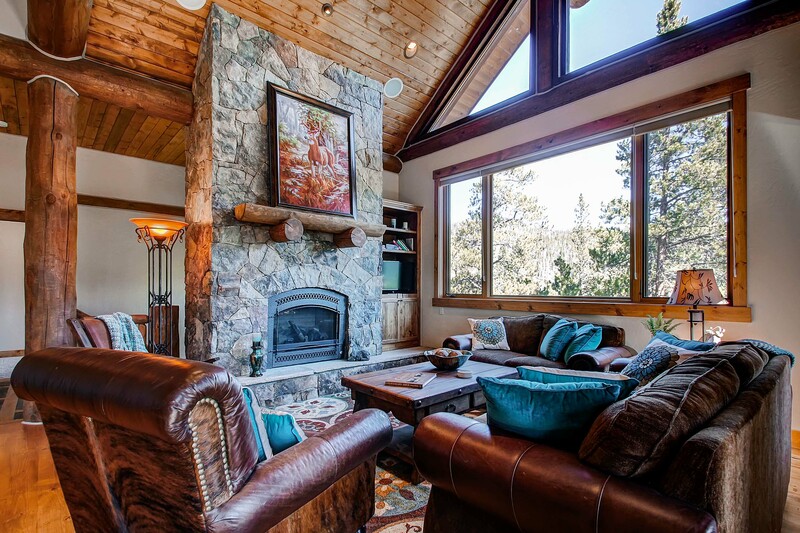 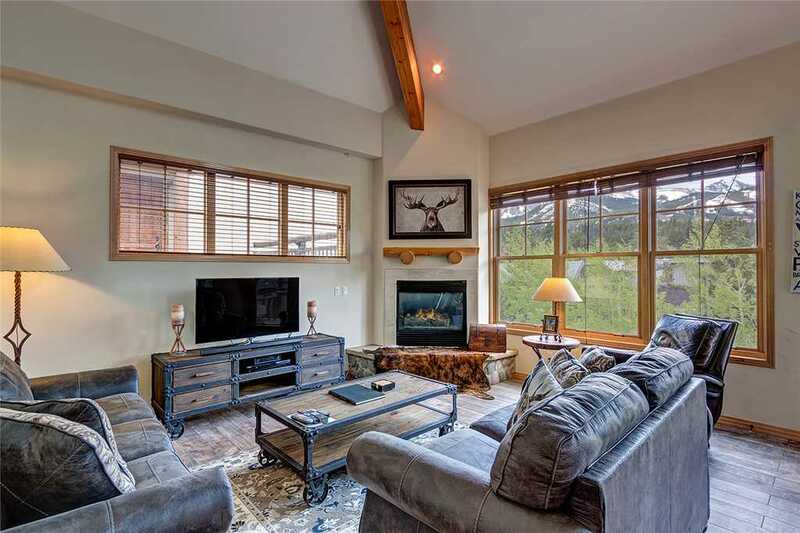 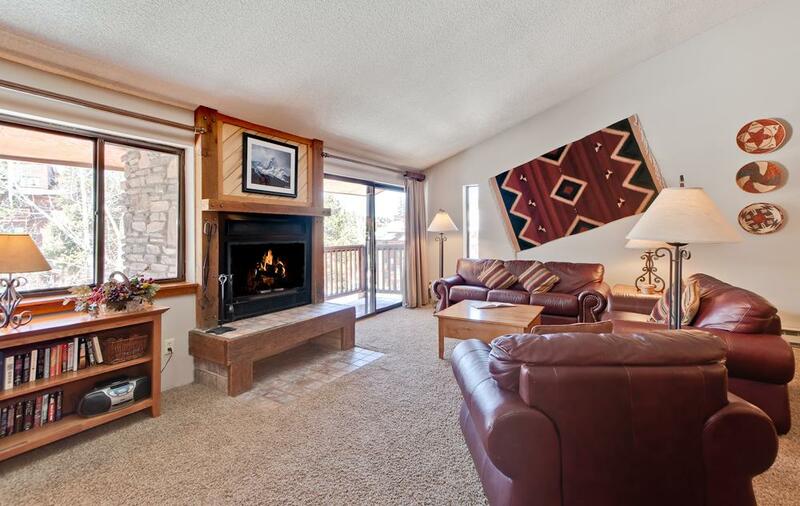 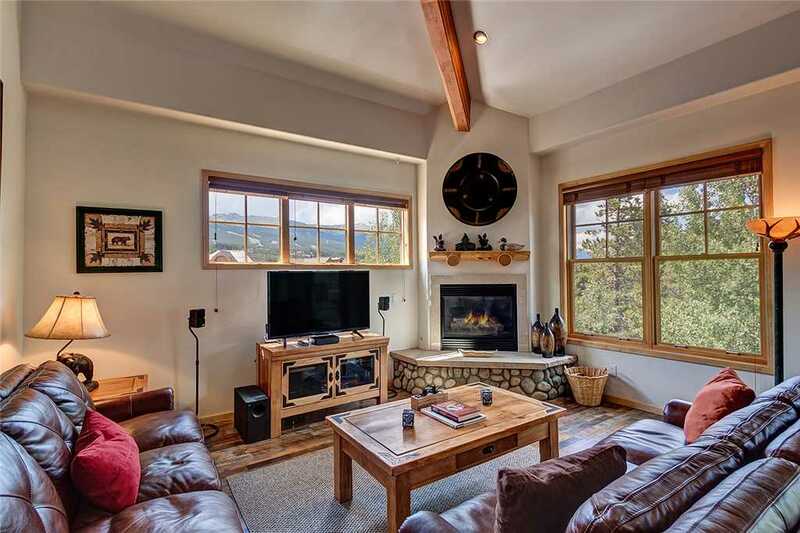 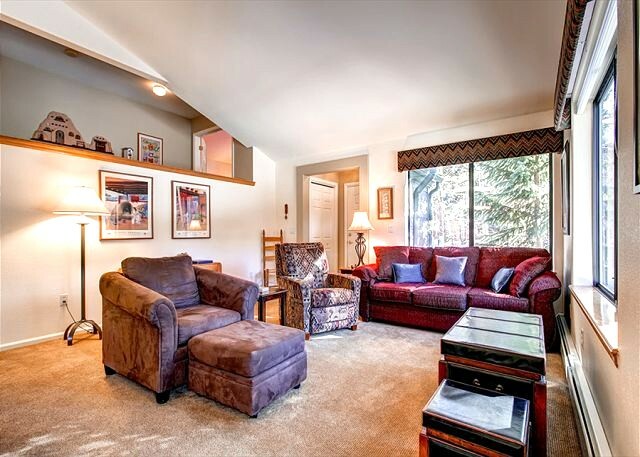 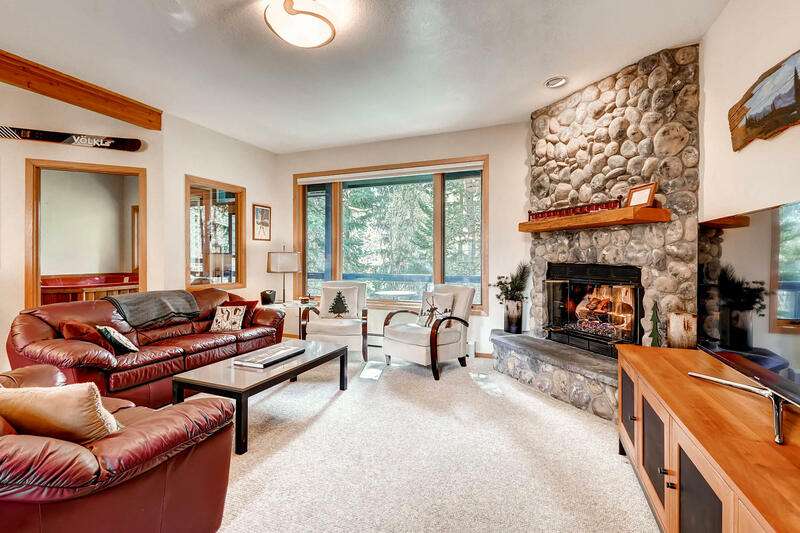 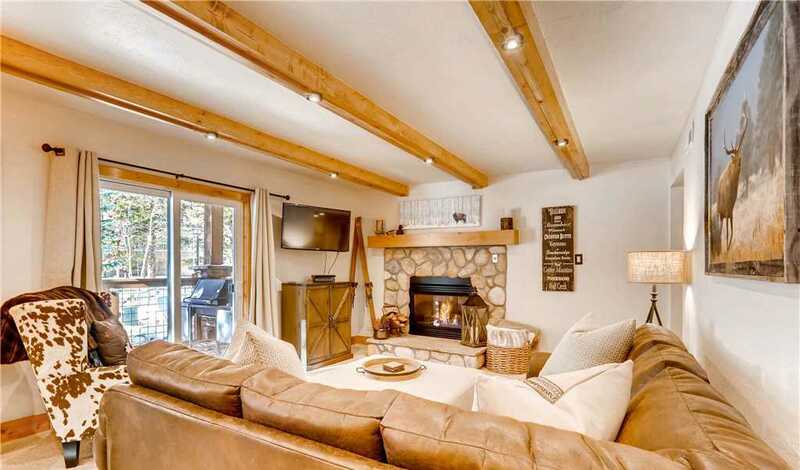 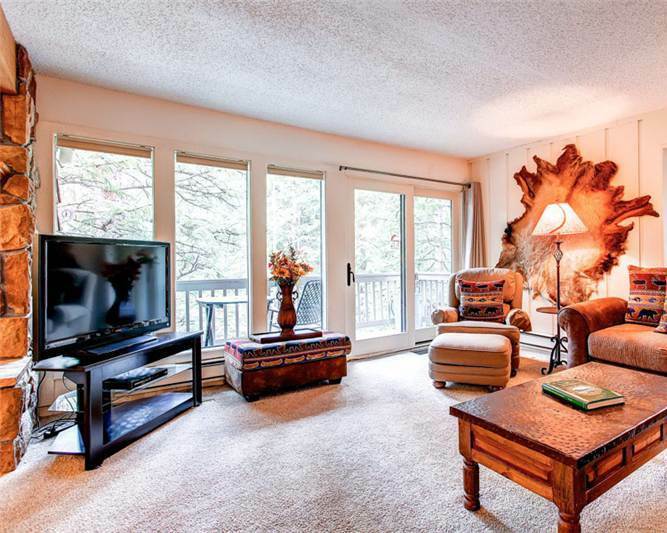 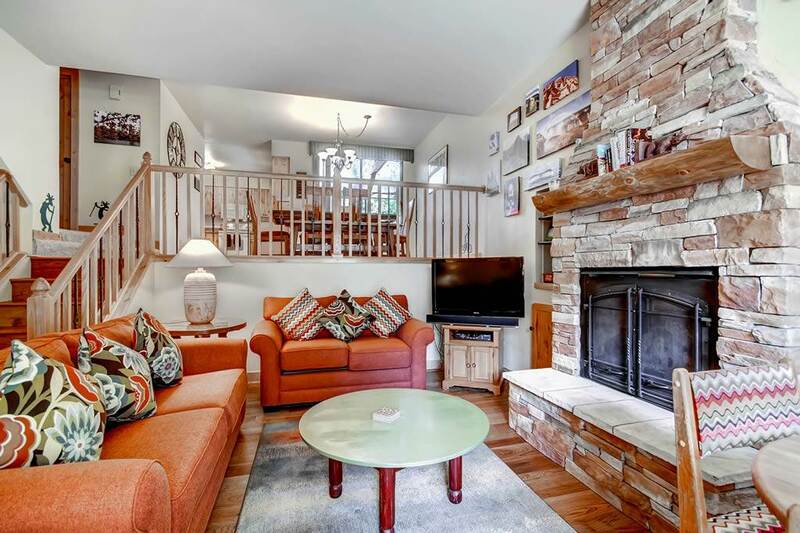 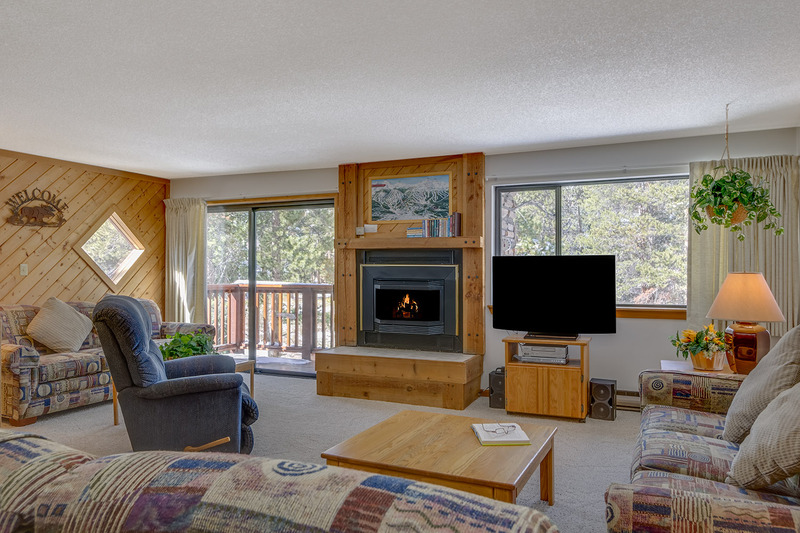 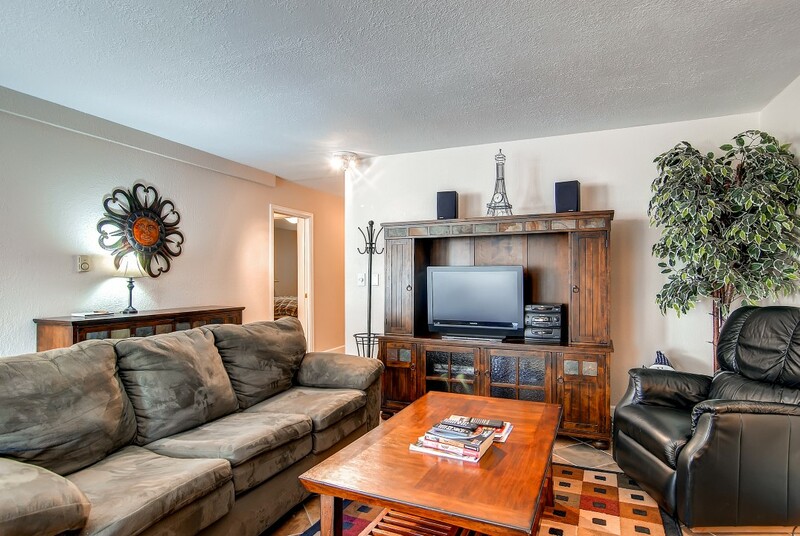 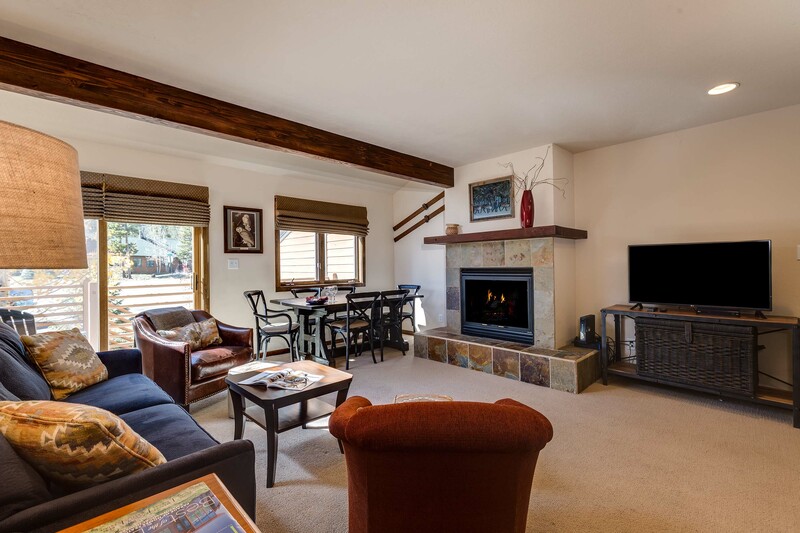 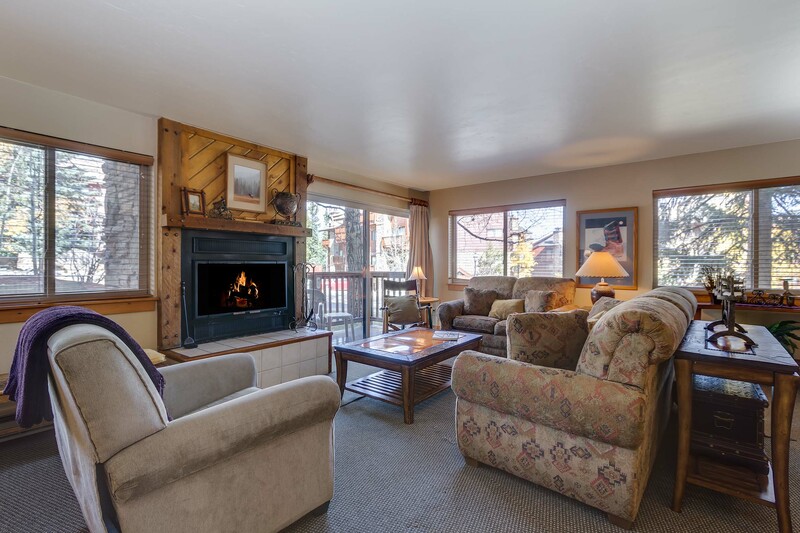 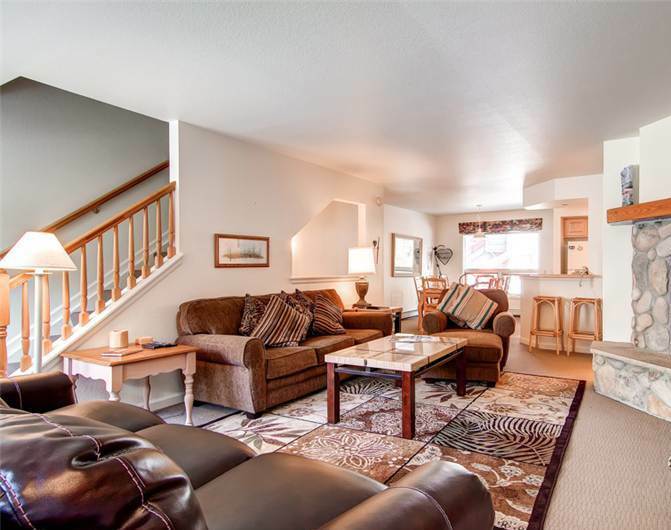 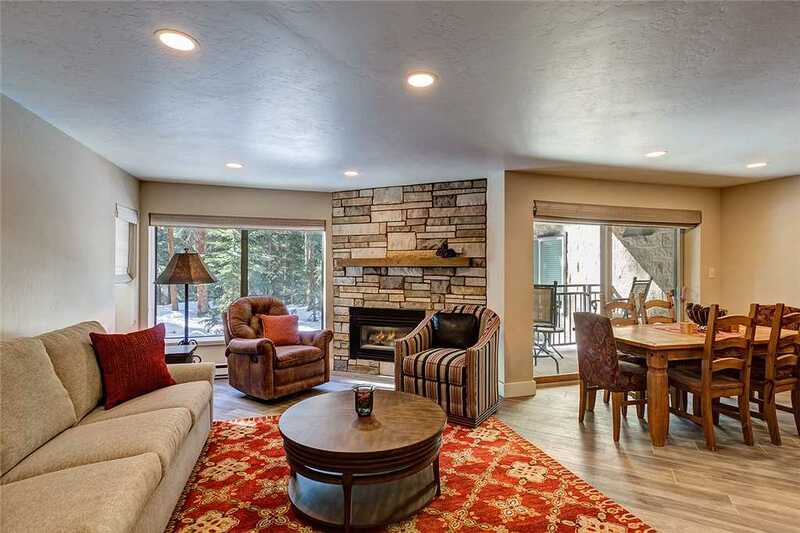 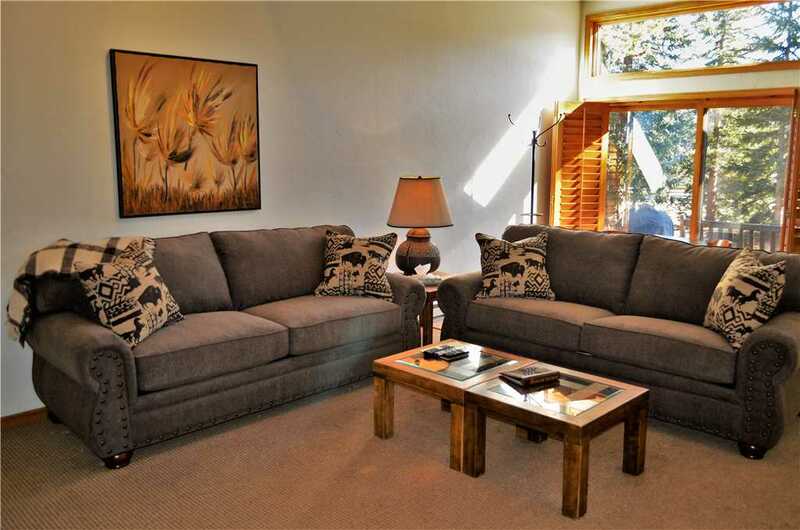 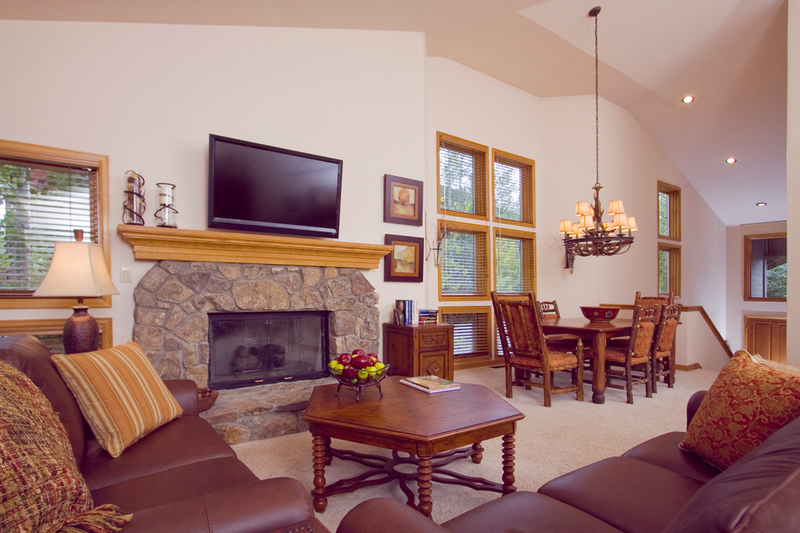 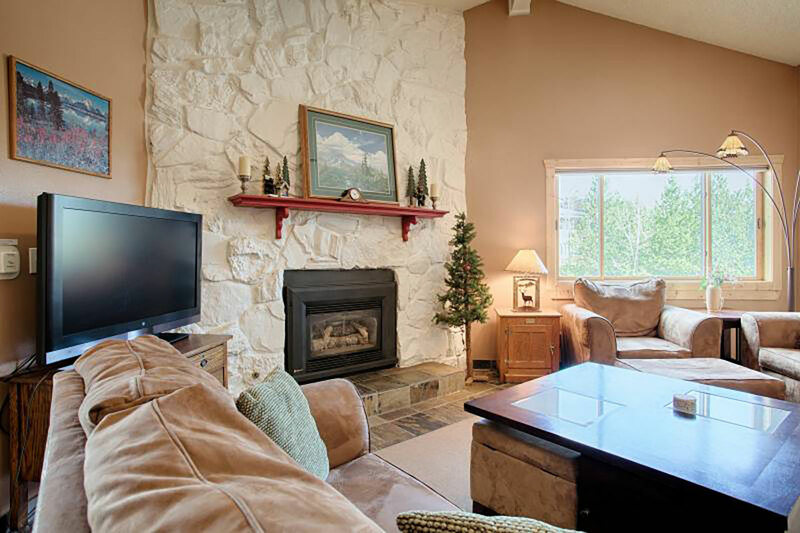 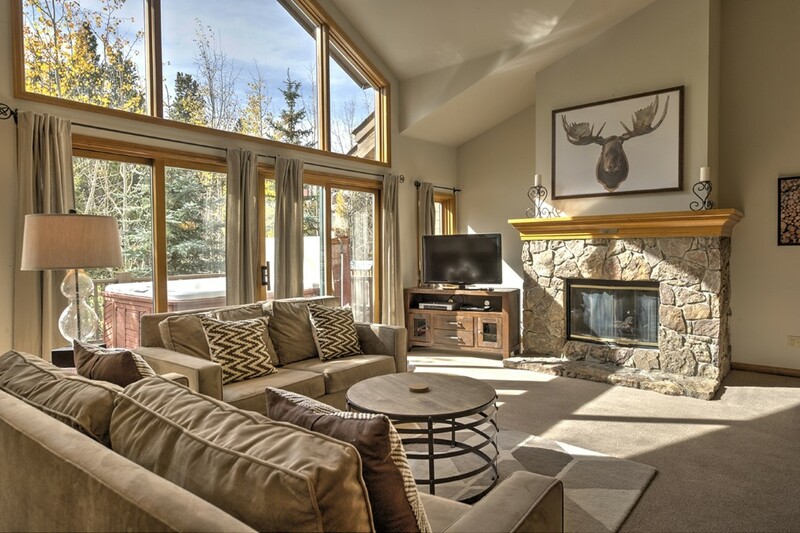 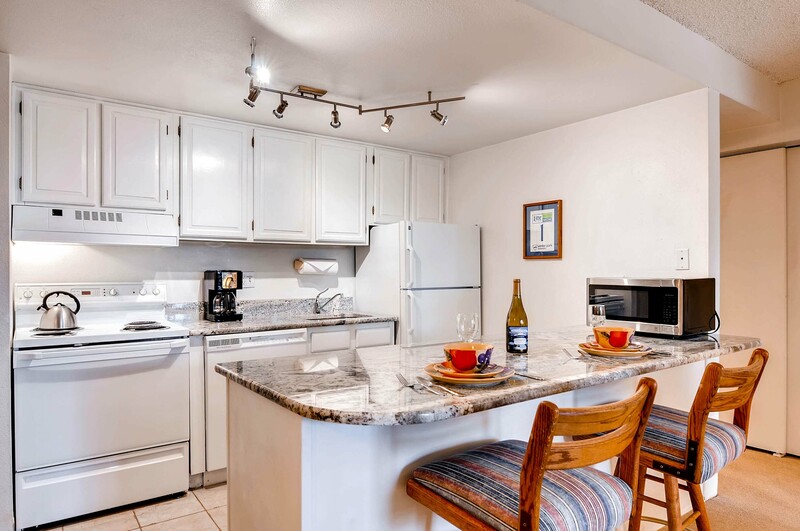 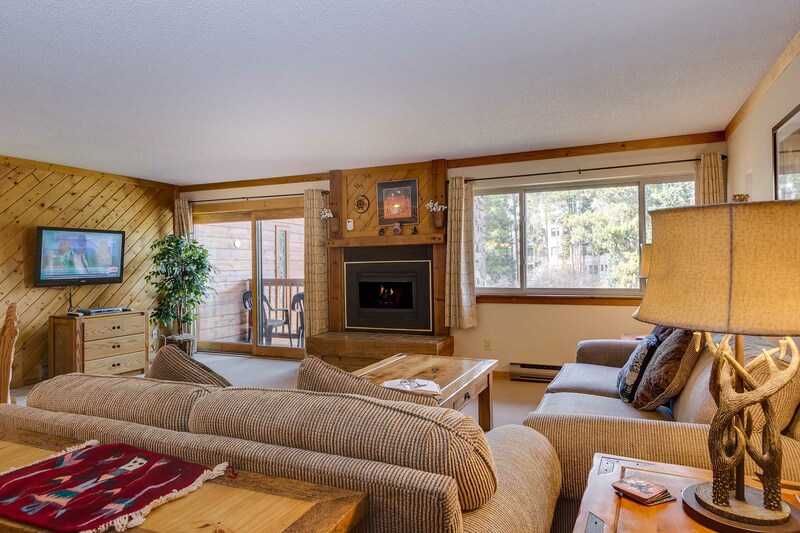 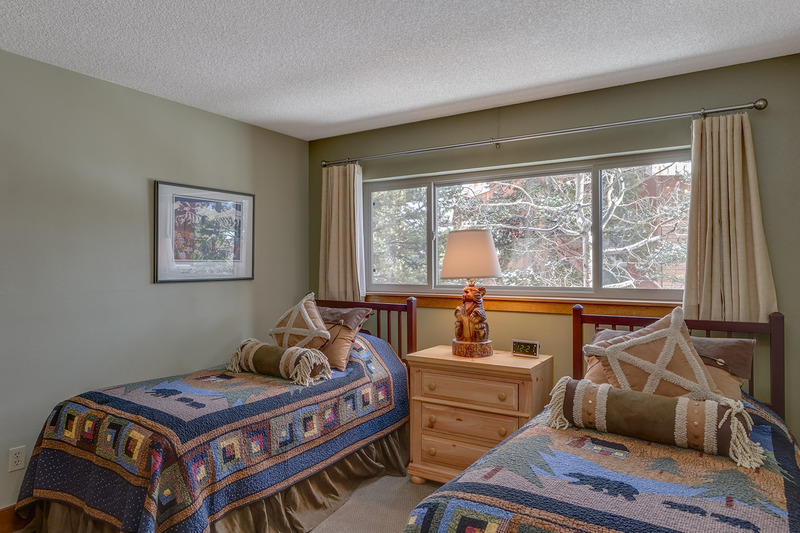 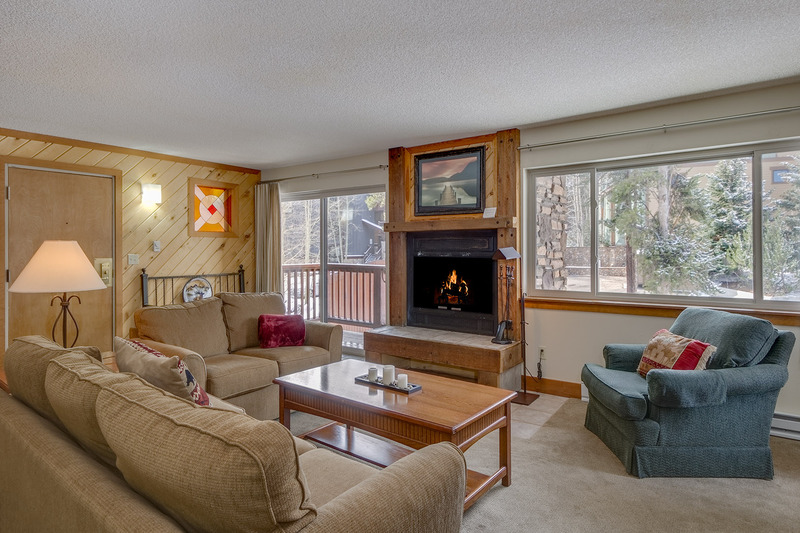 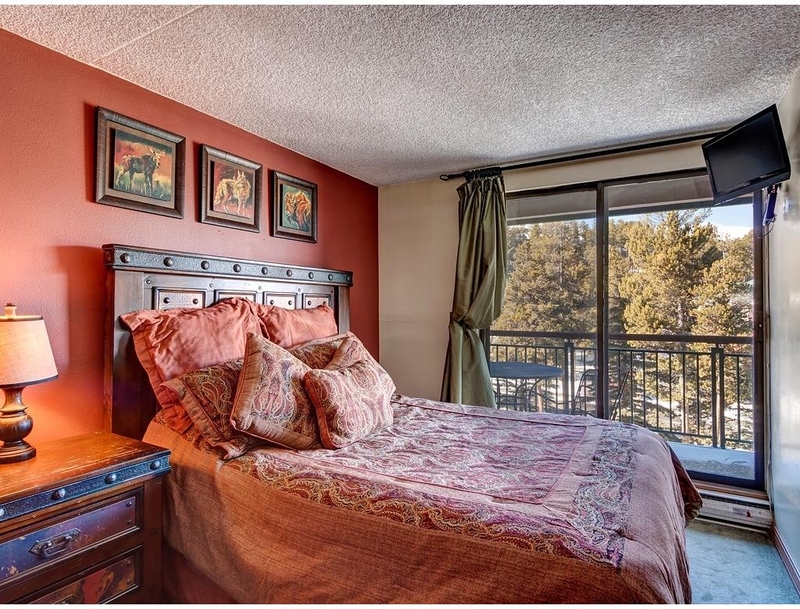 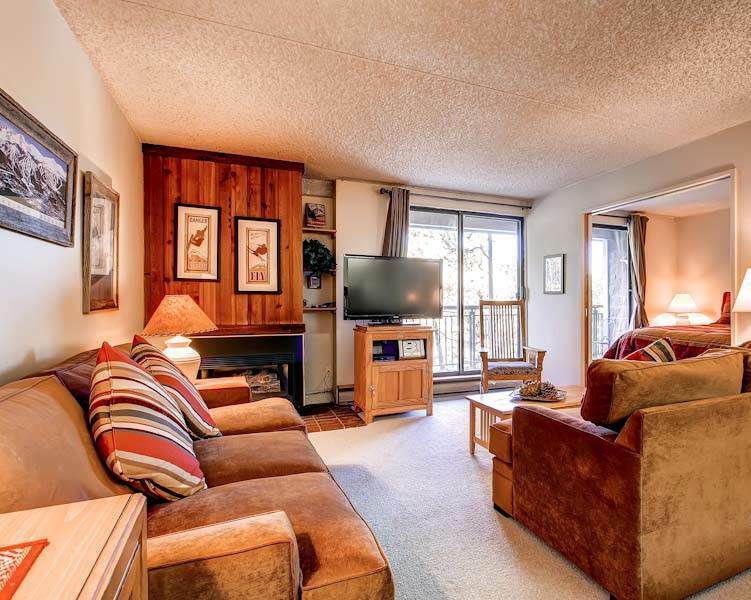 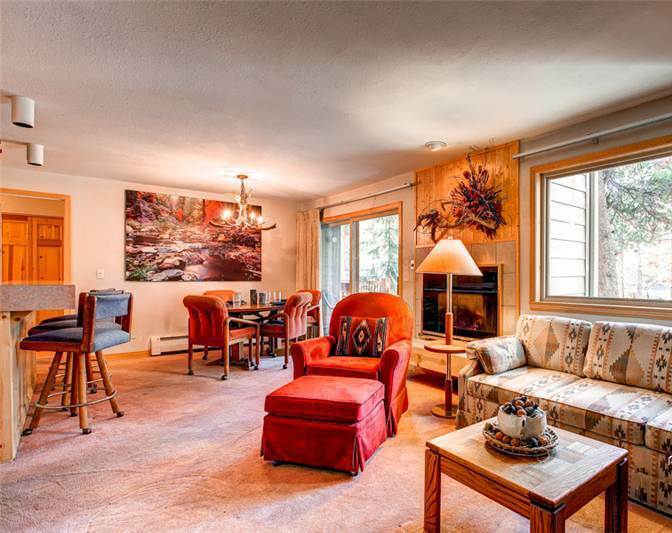 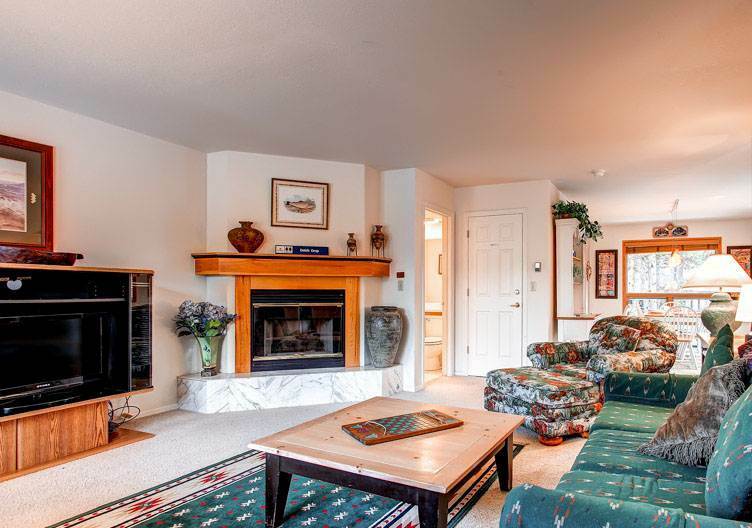 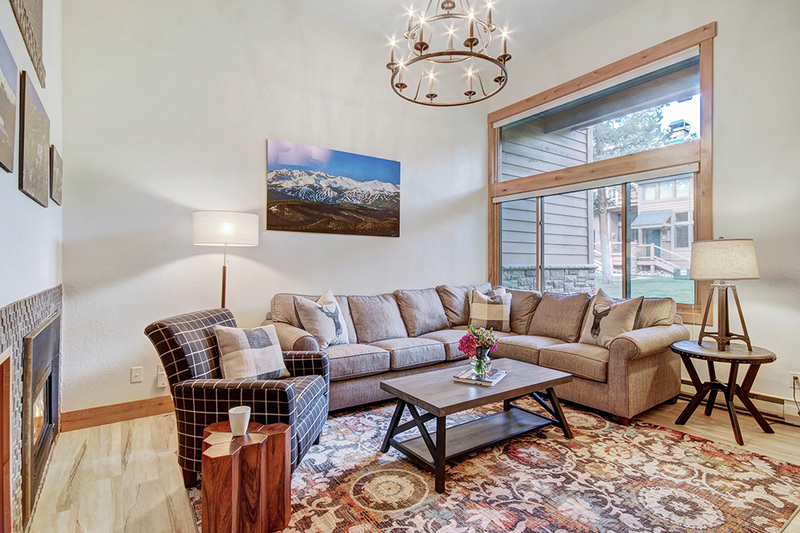 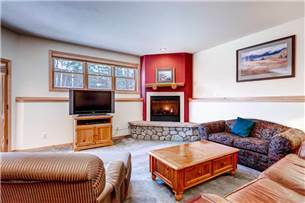 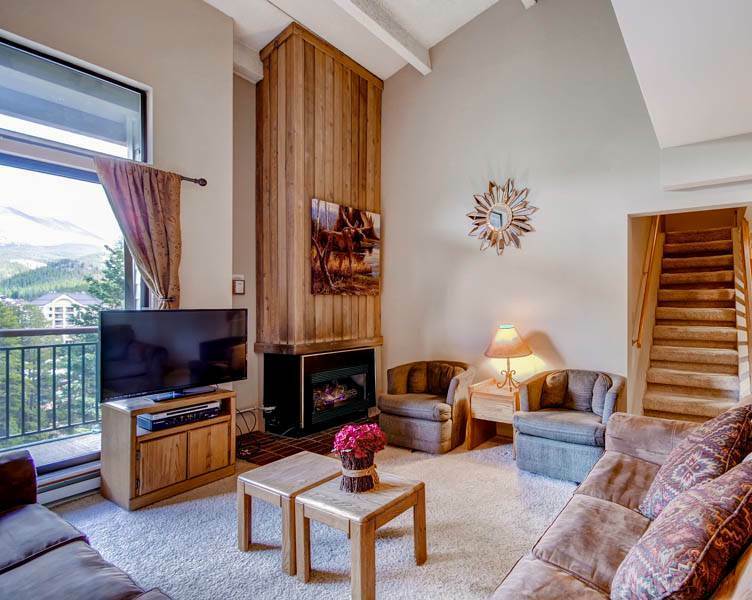 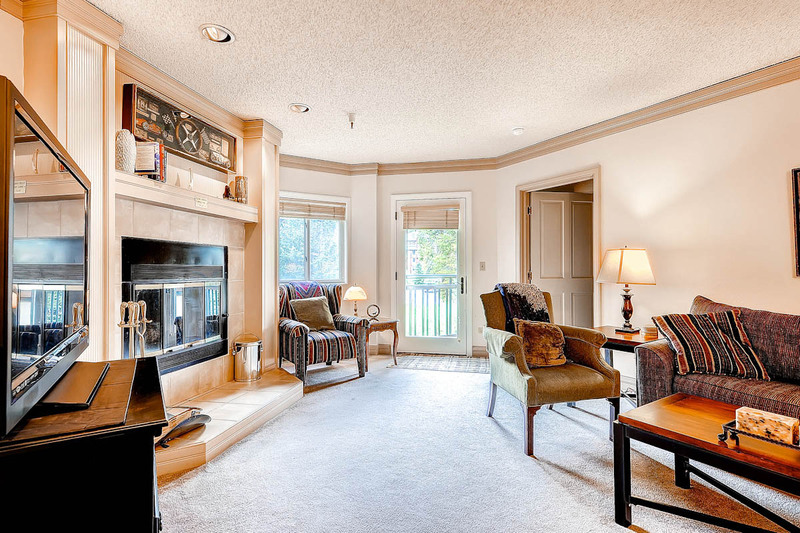 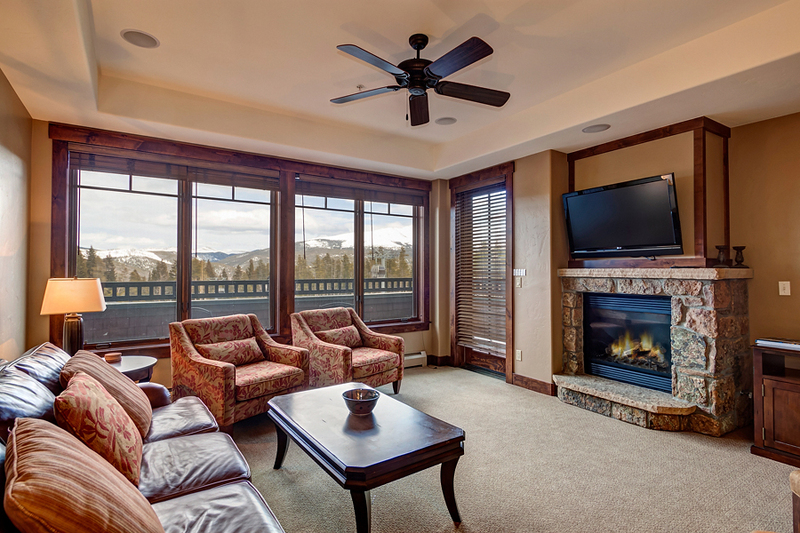 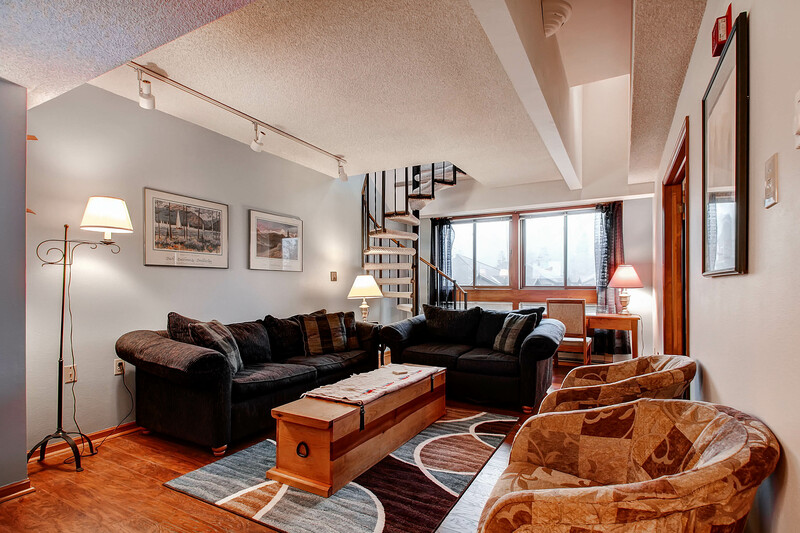 This cozy multi-level townhome provides a spacious floorplan, with beautiful vaulted ceilings and upscale furnishings in a lovely mountain décor found throughout the entire property. 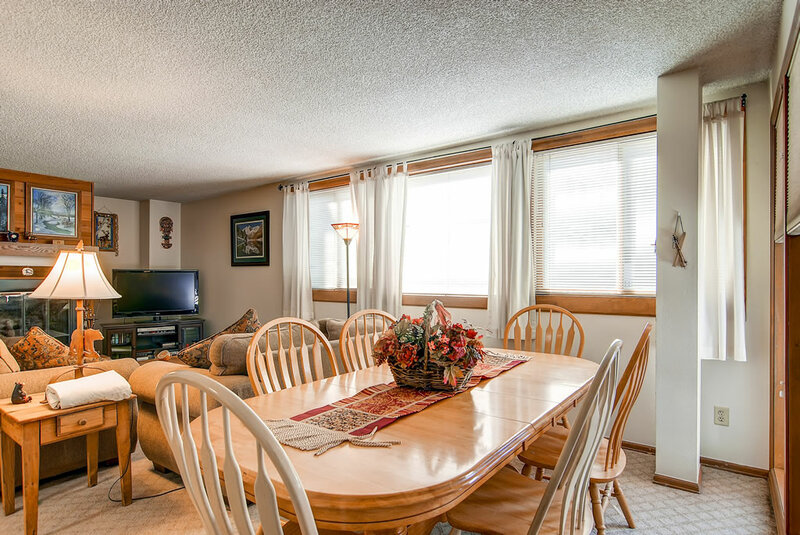 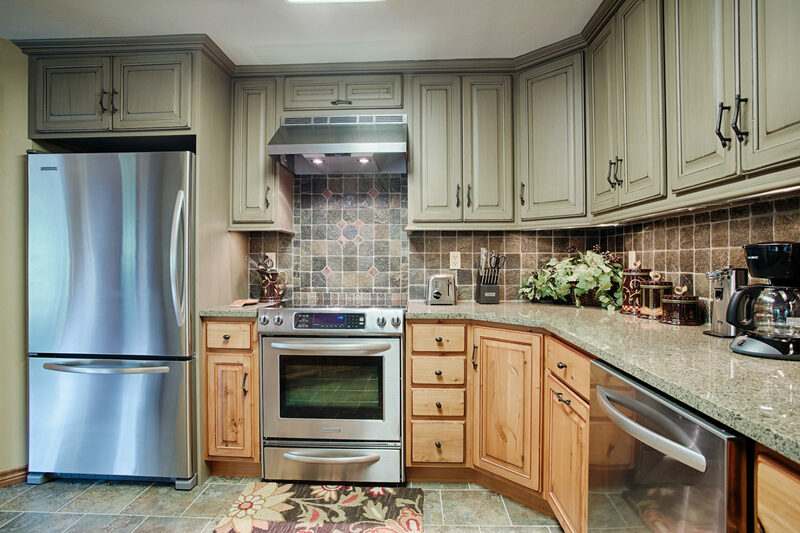 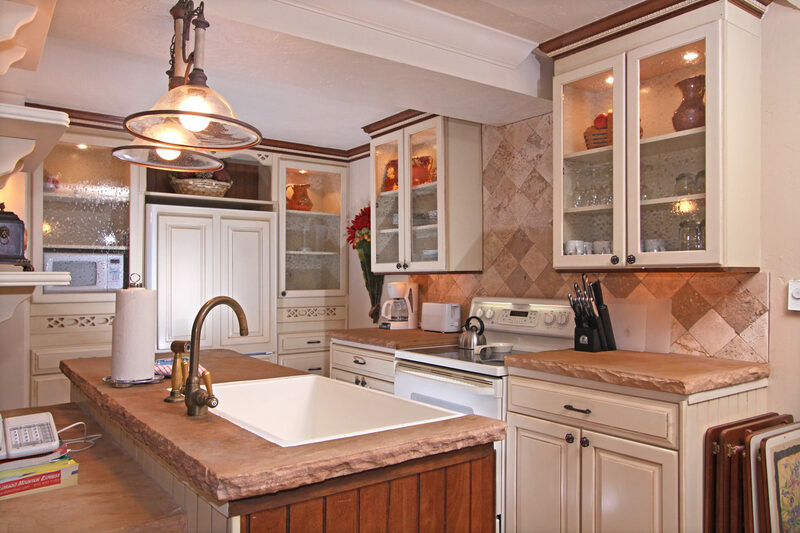 The open layout on the main level offers a kitchen, living and dining room area and a master king suite on the upper level with additional living and sleeping space on the lower level. 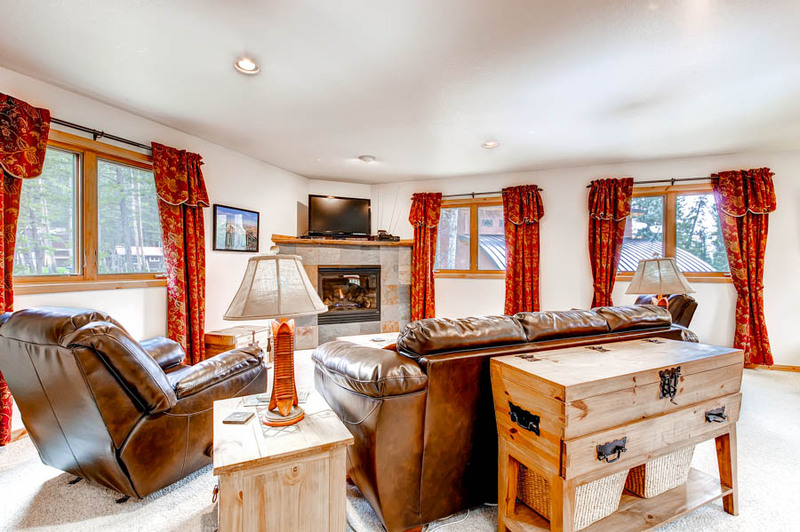 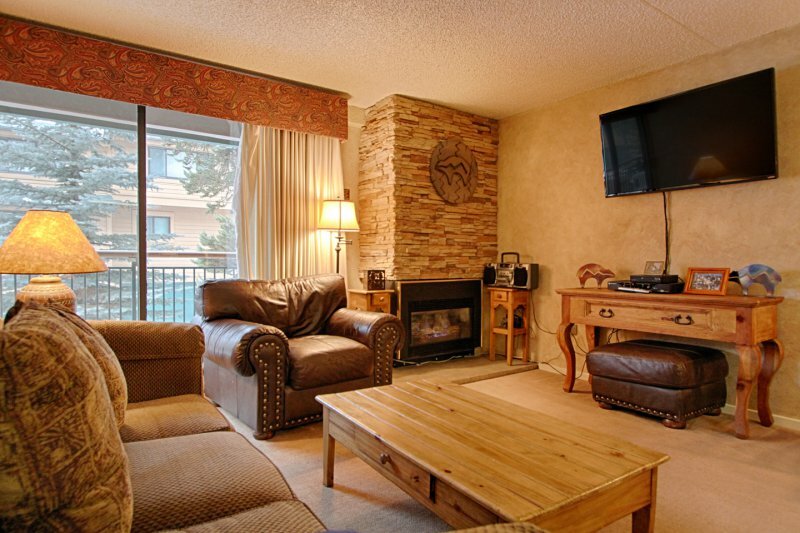 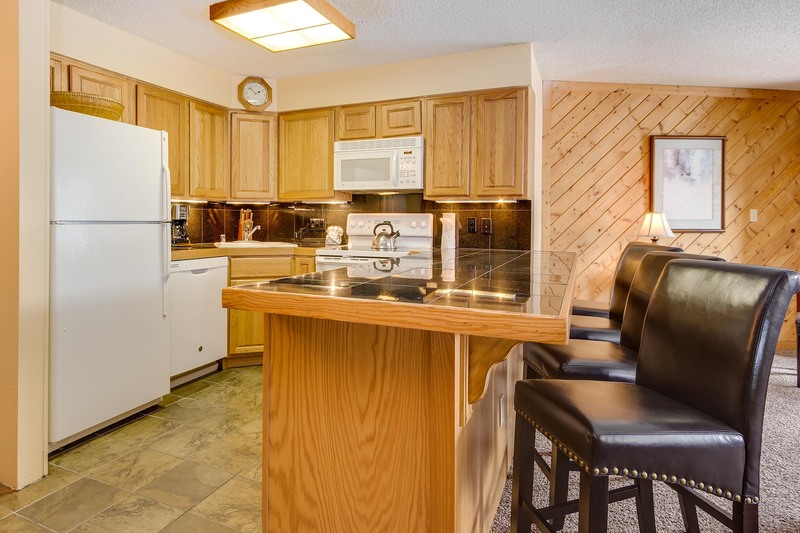 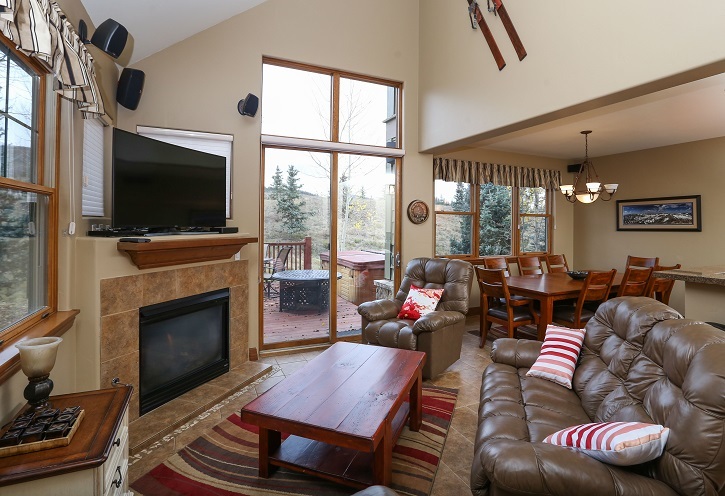 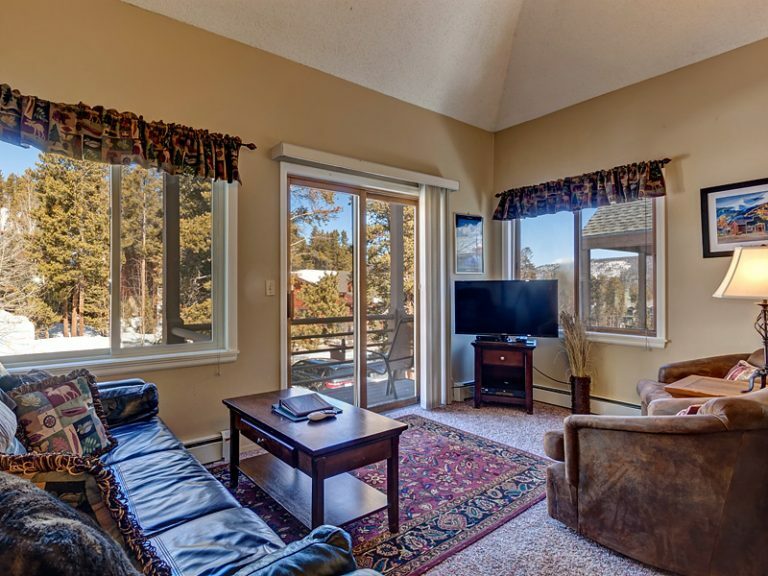 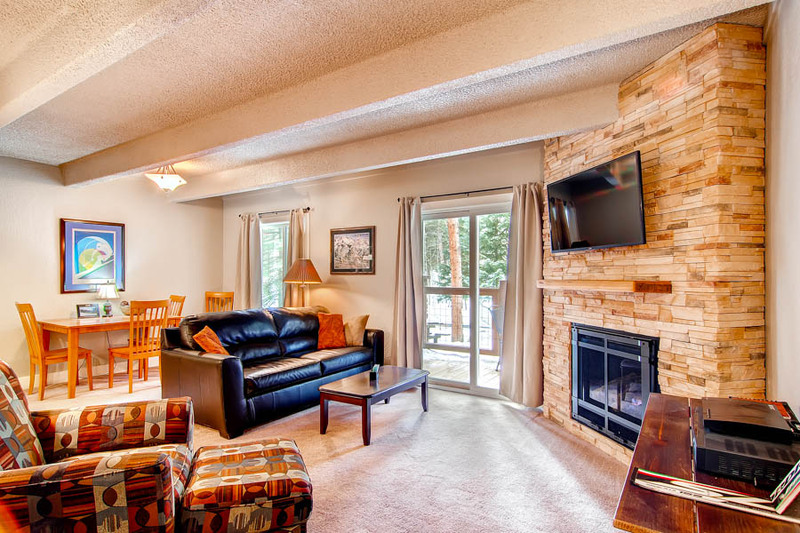 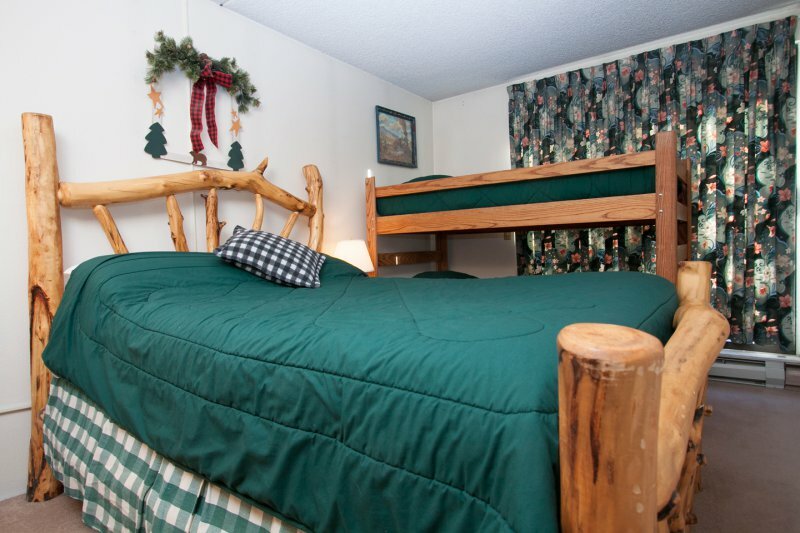 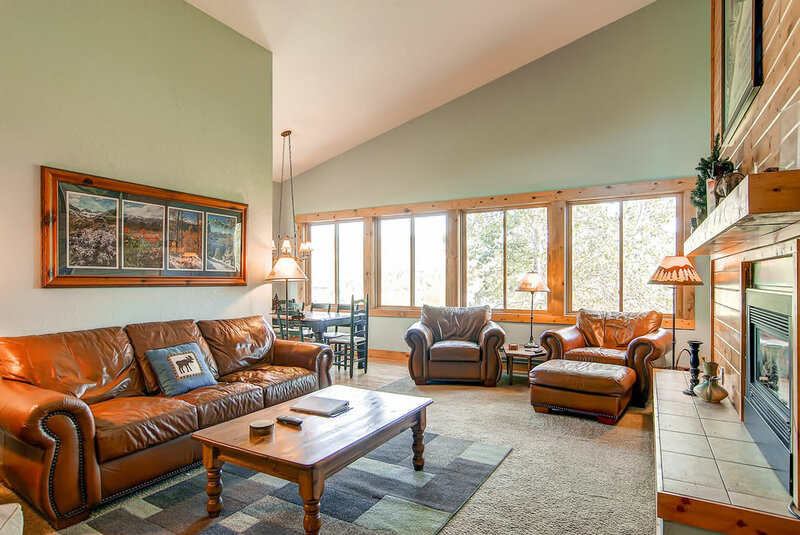 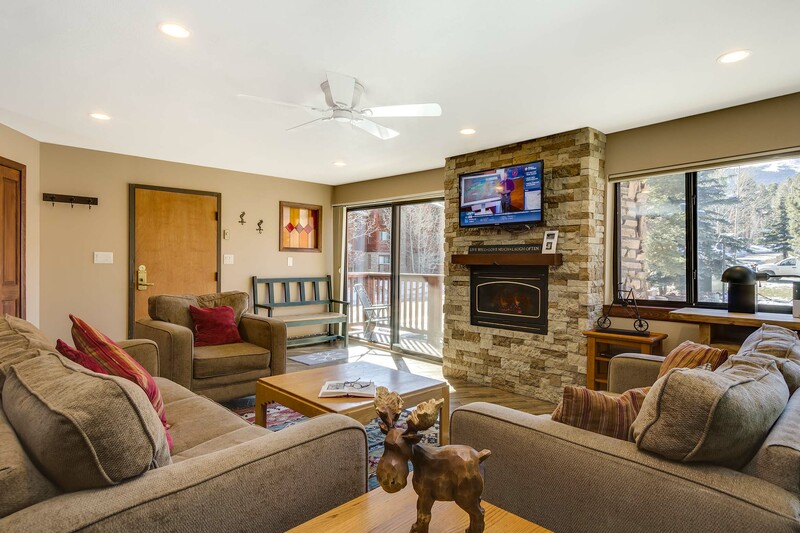 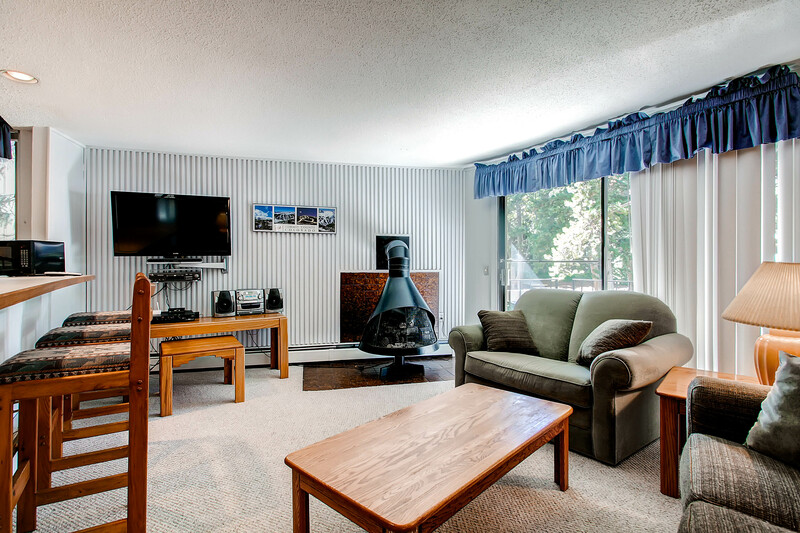 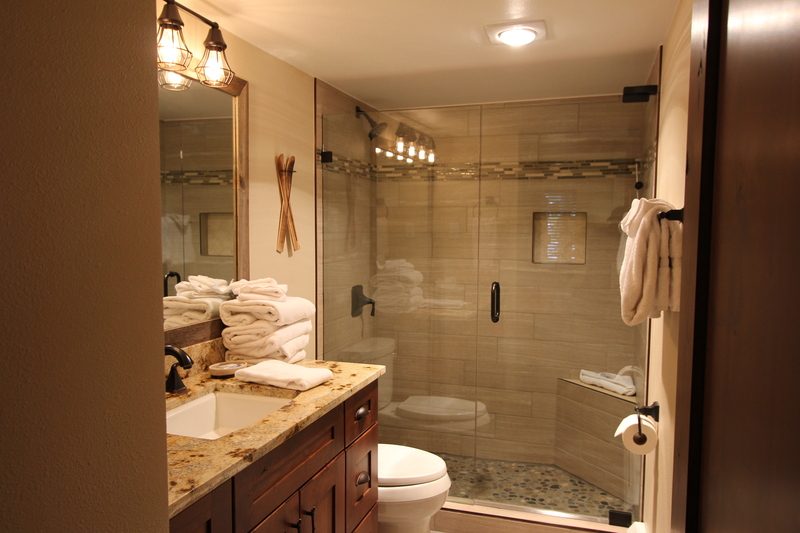 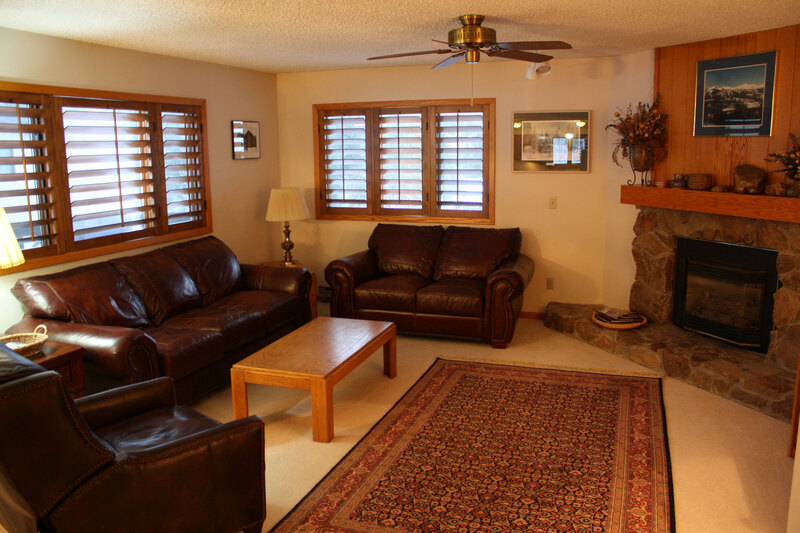 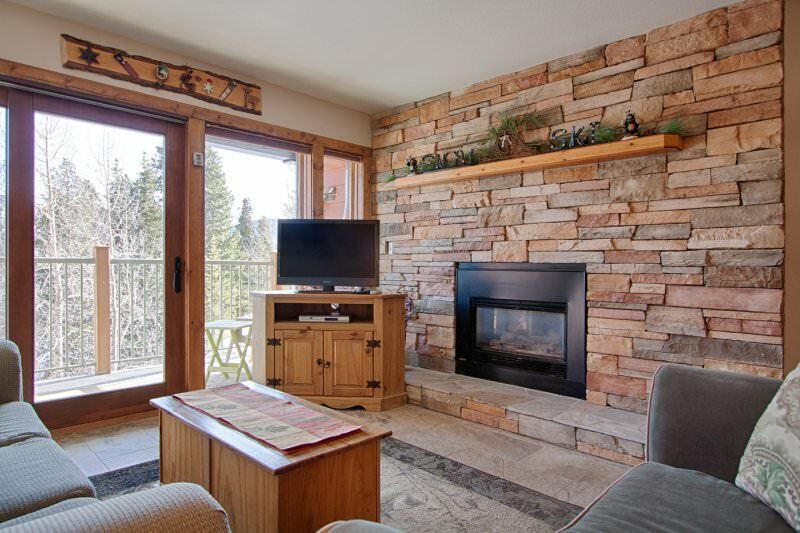 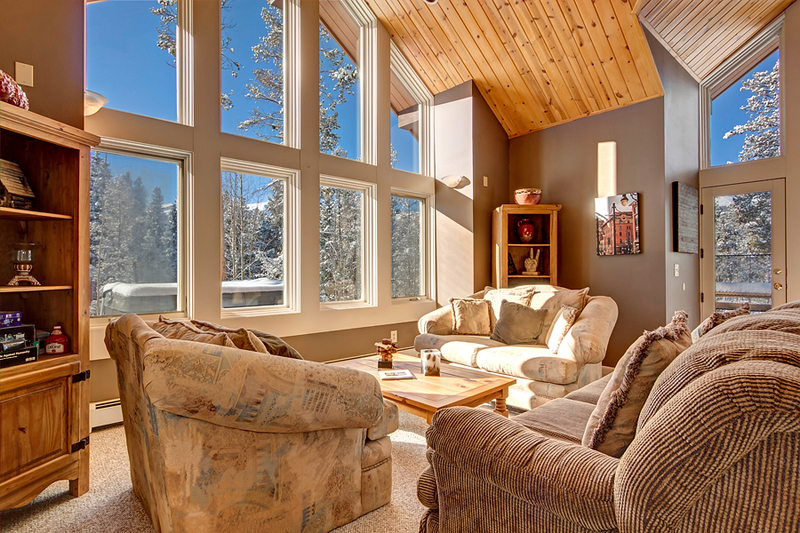 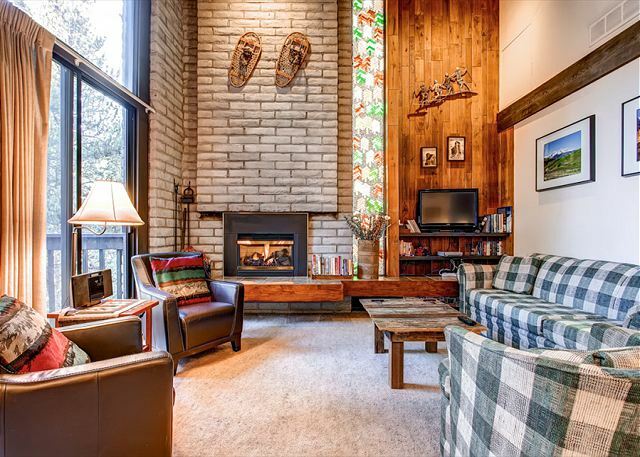 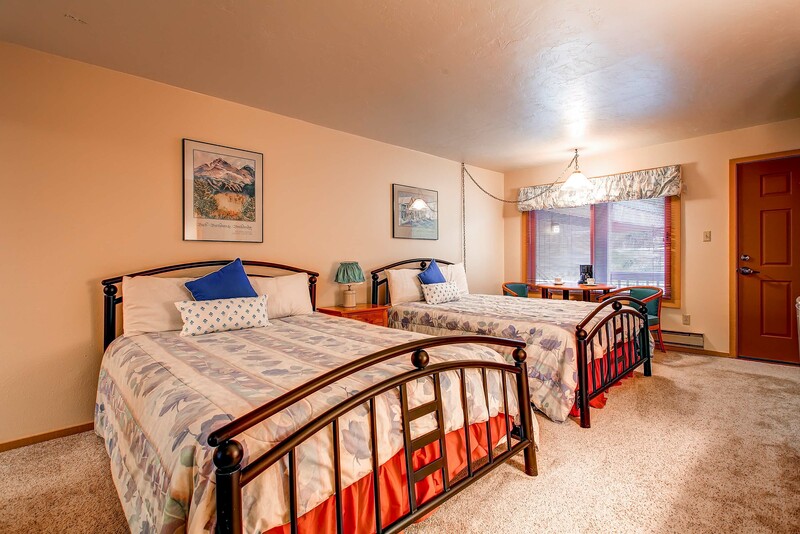 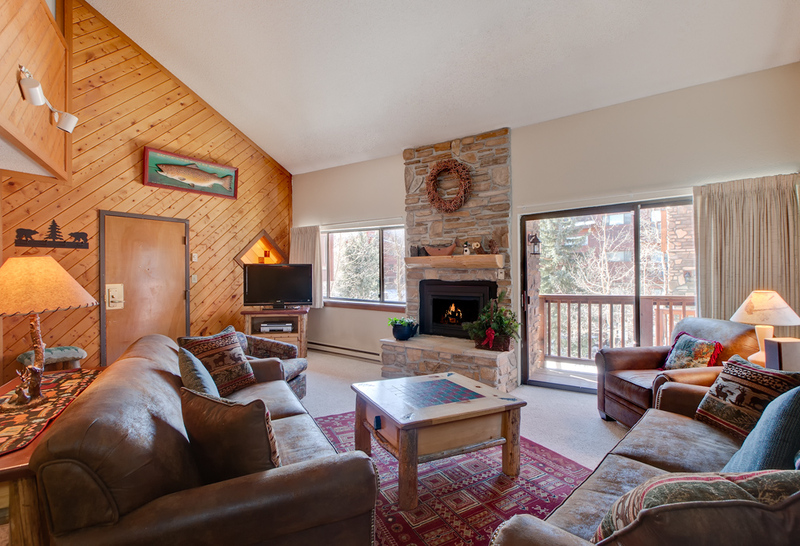 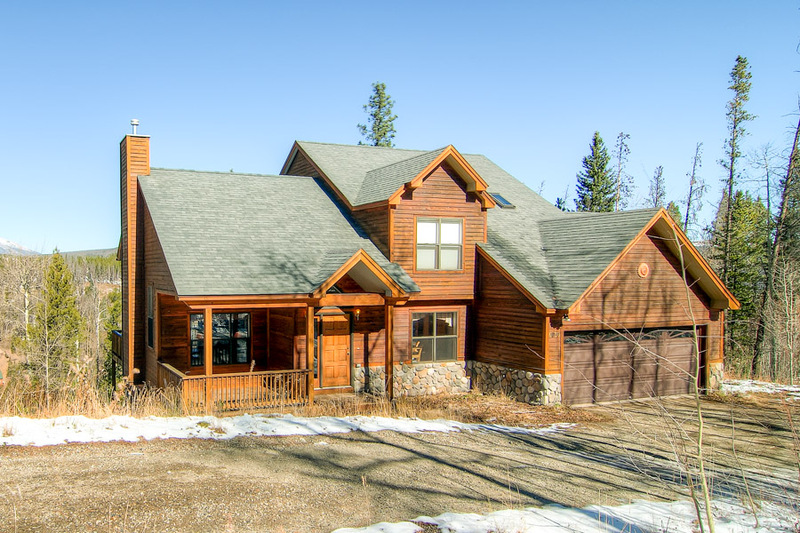 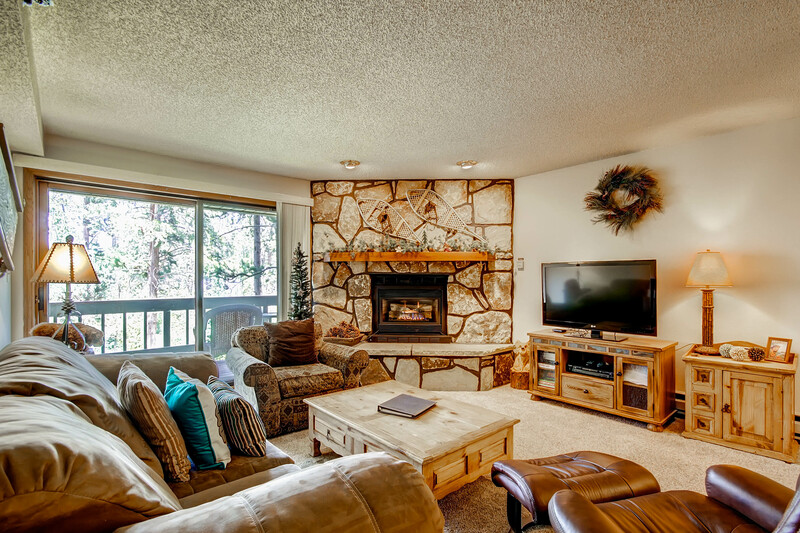 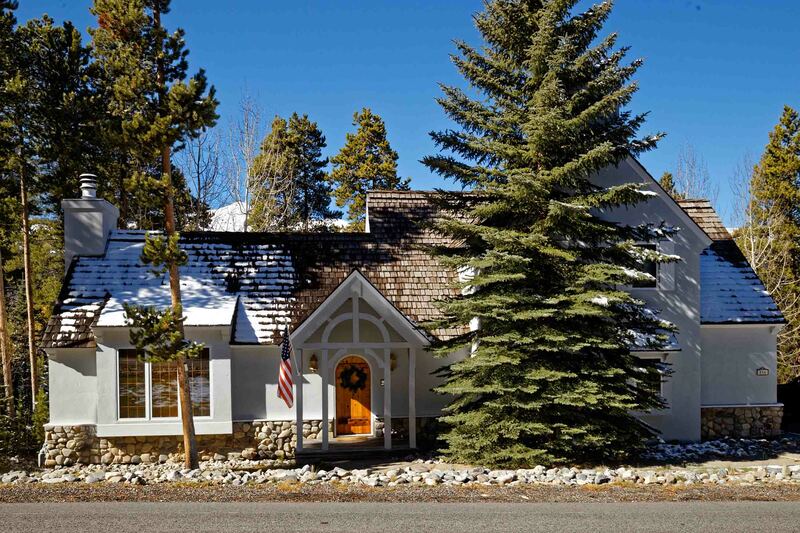 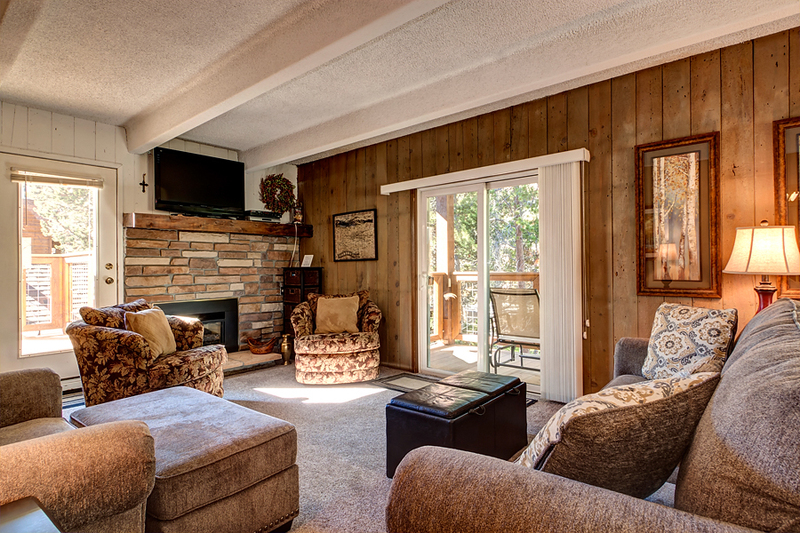 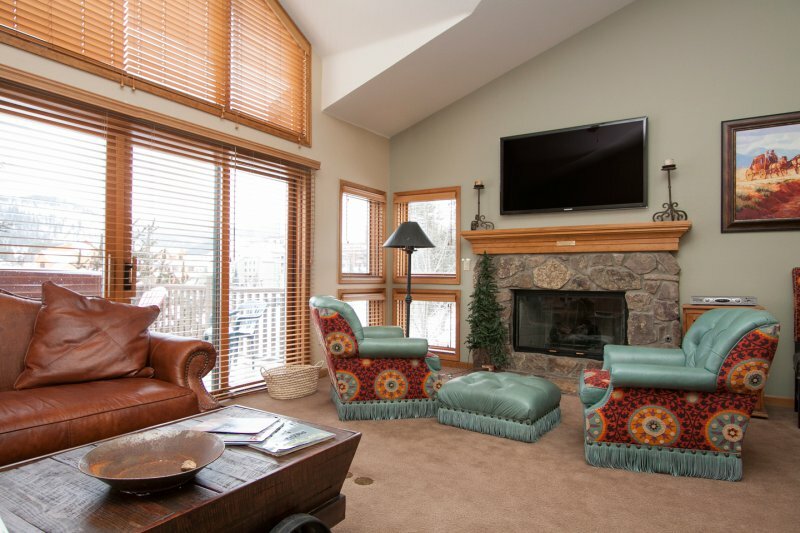 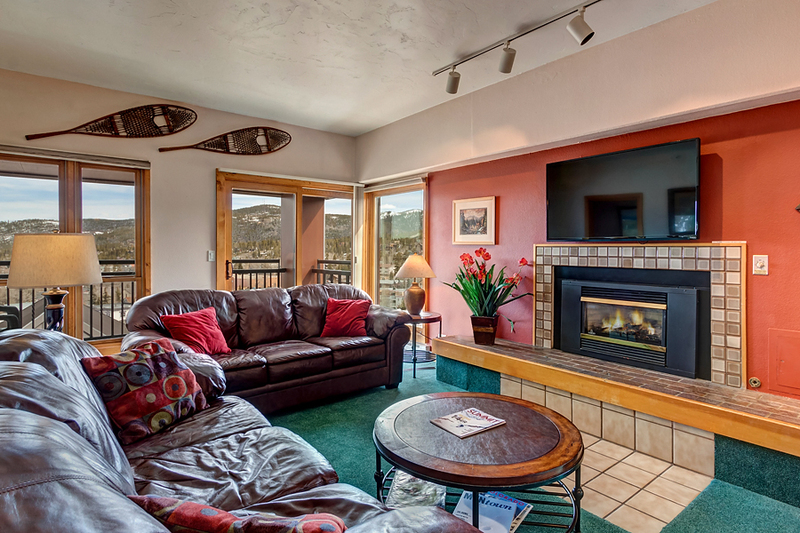 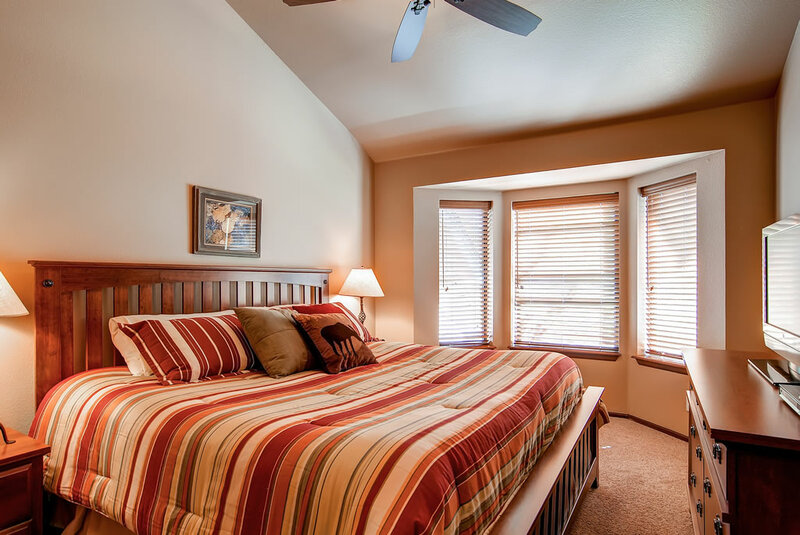 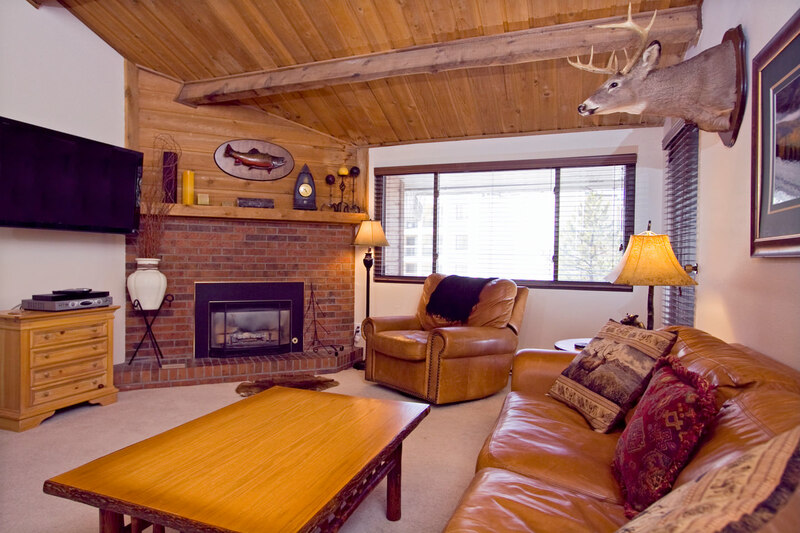 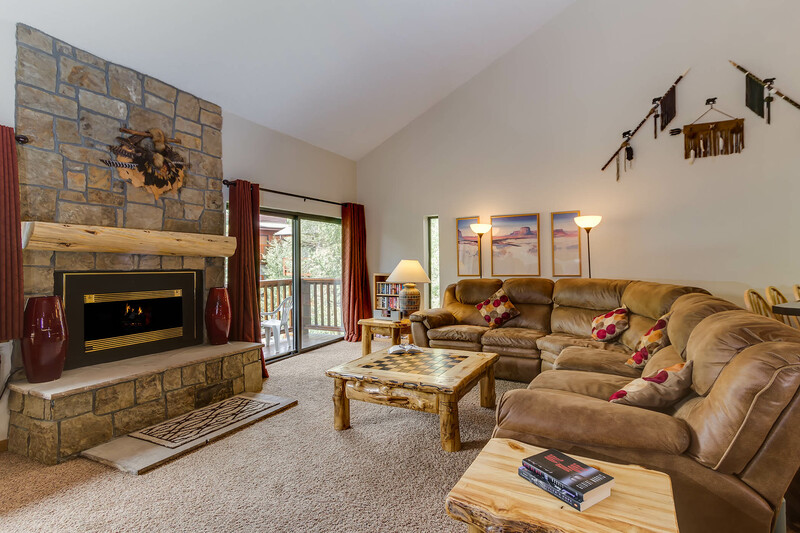 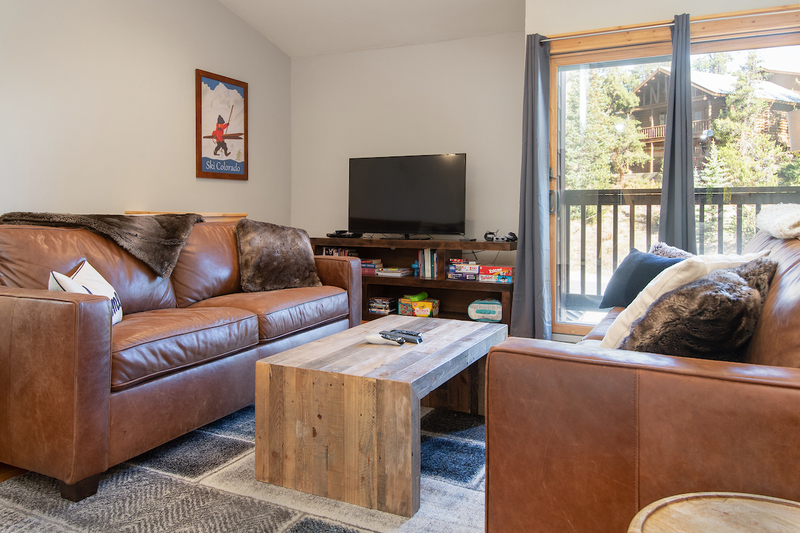 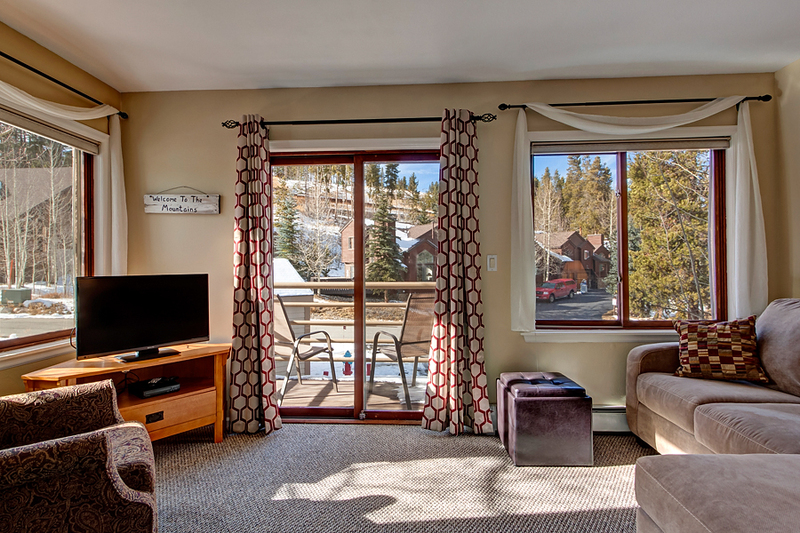 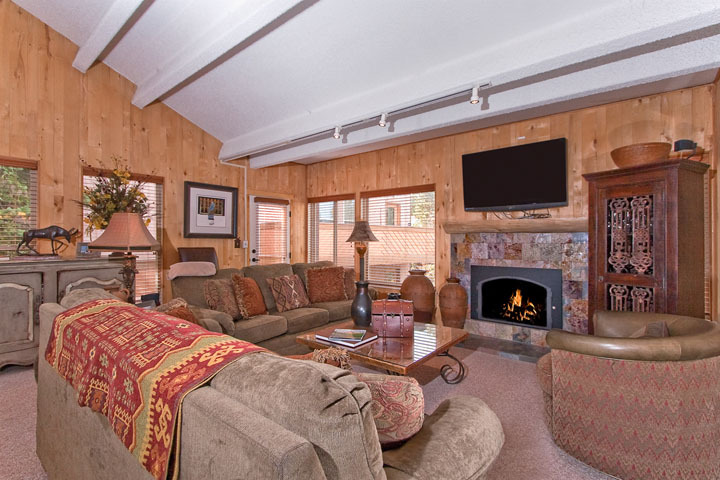 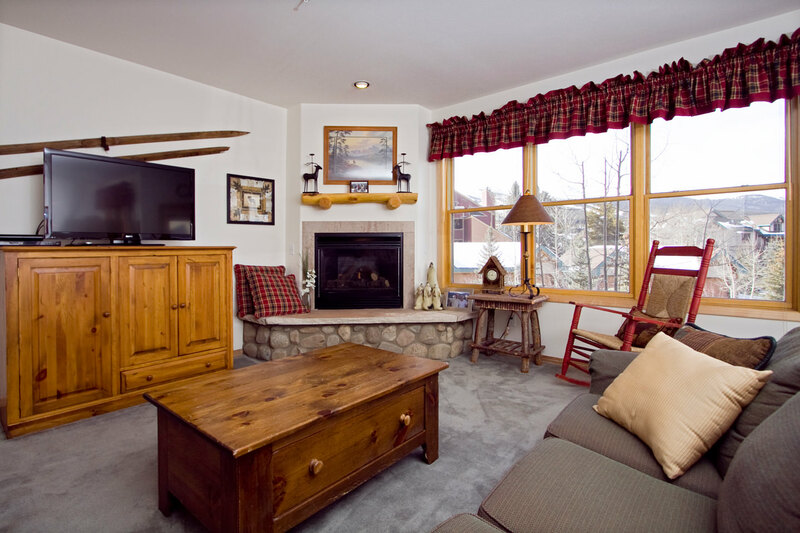 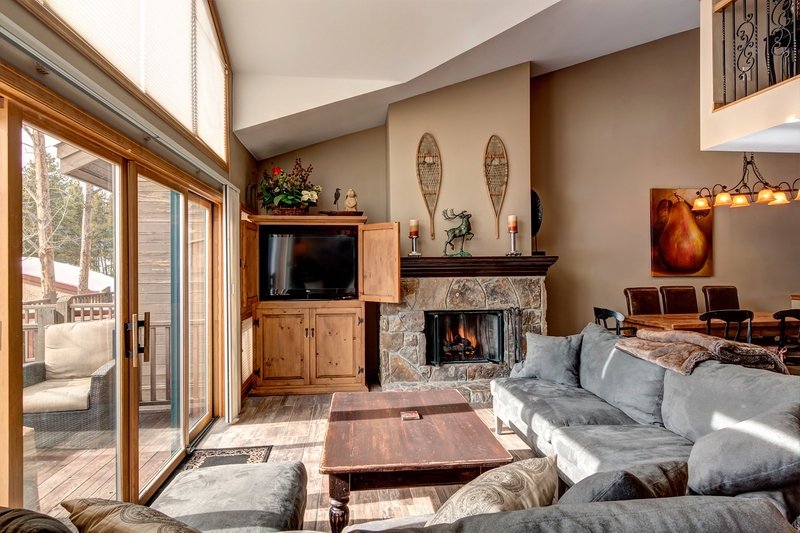 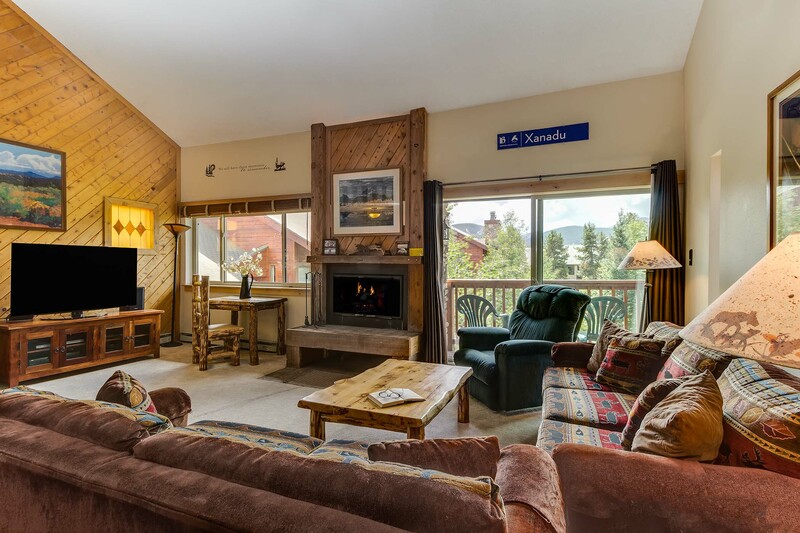 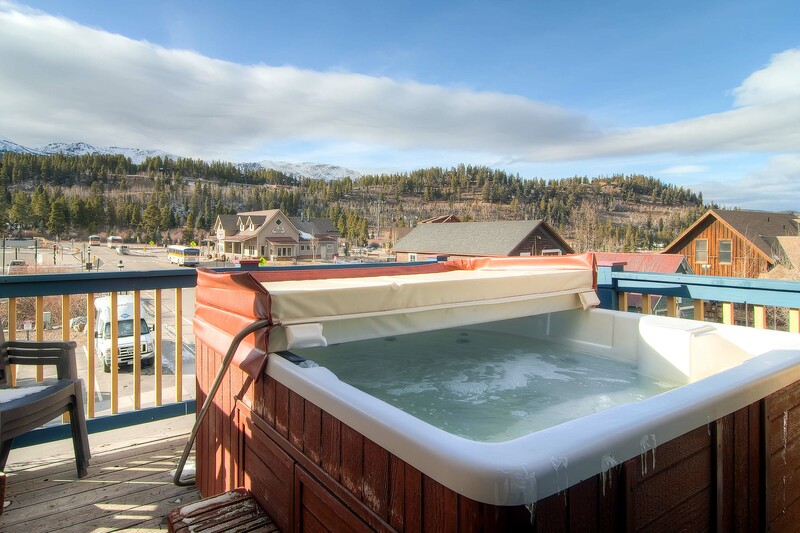 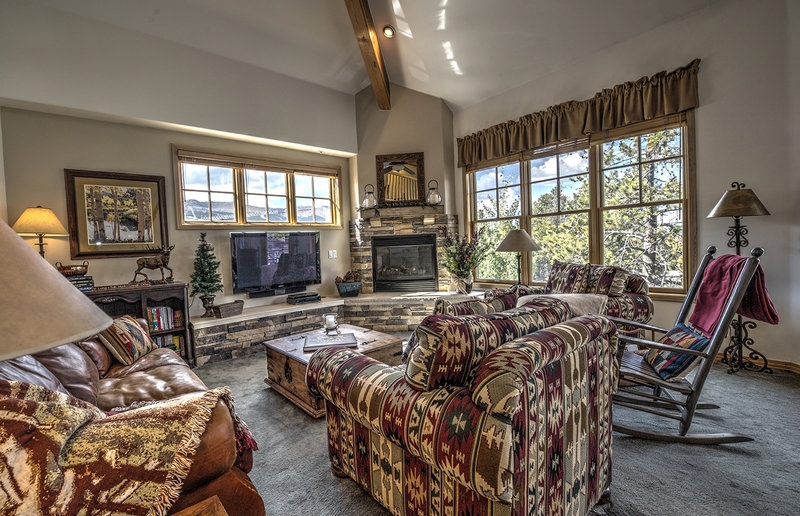 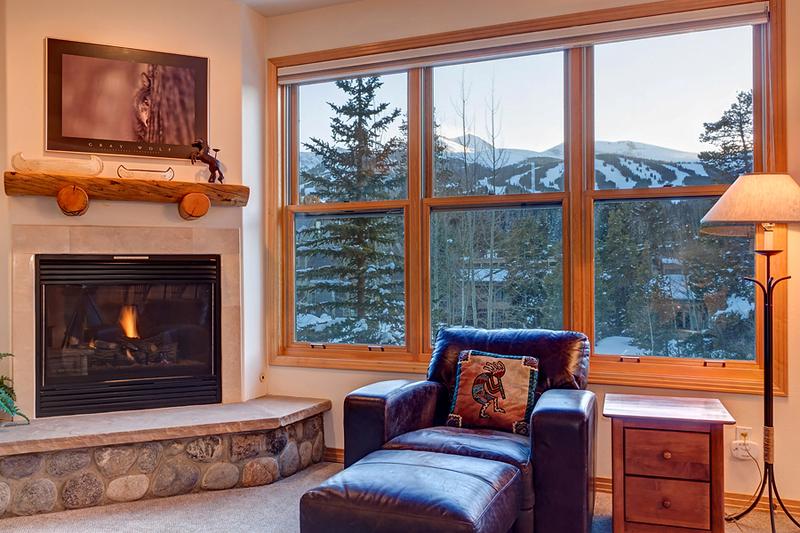 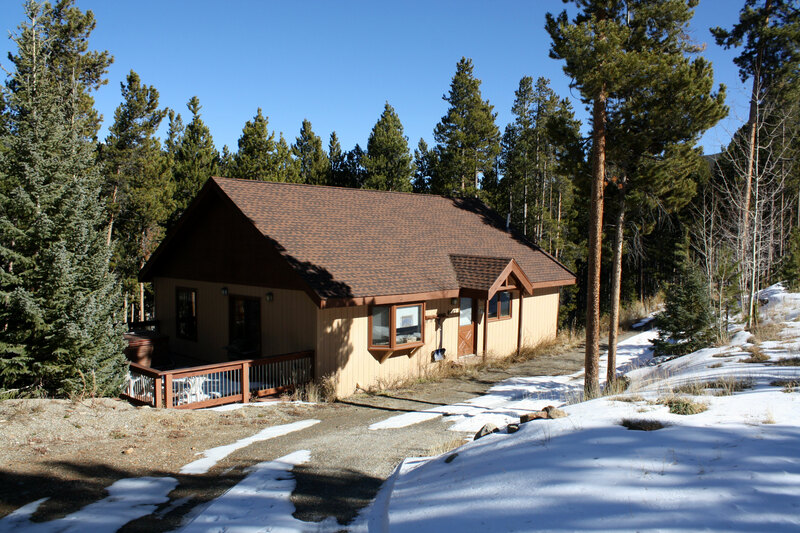 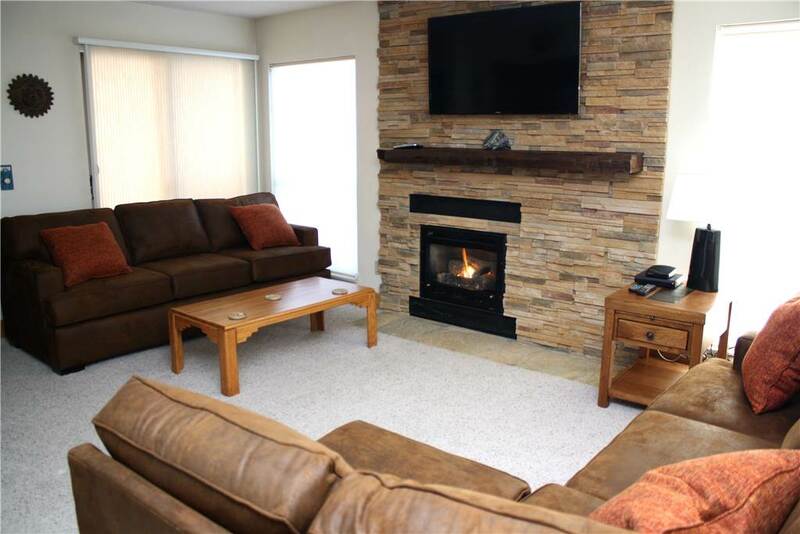 With fantastic amenities including a private hot tub and steps from the slopes, Saddlewood is the perfect choice for your next mountain vacation! 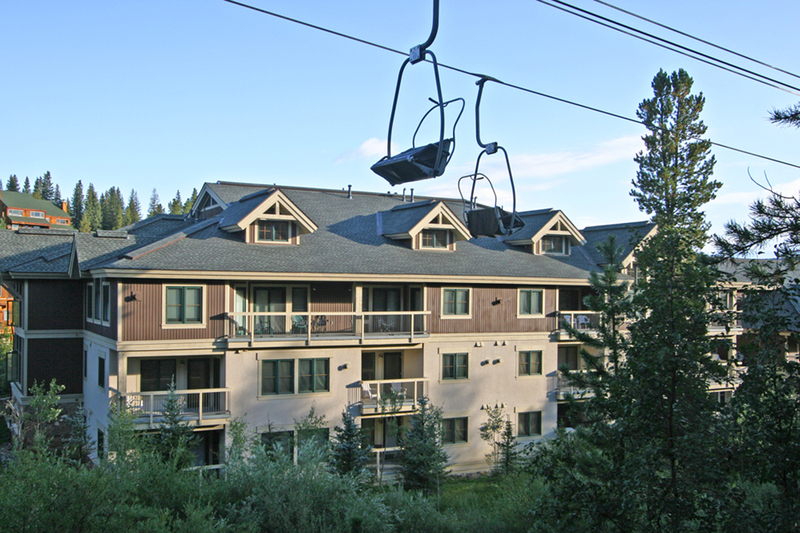 In the summer, this location is just steps above many town trails which circle through the beautiful wetlands and into the mountains. 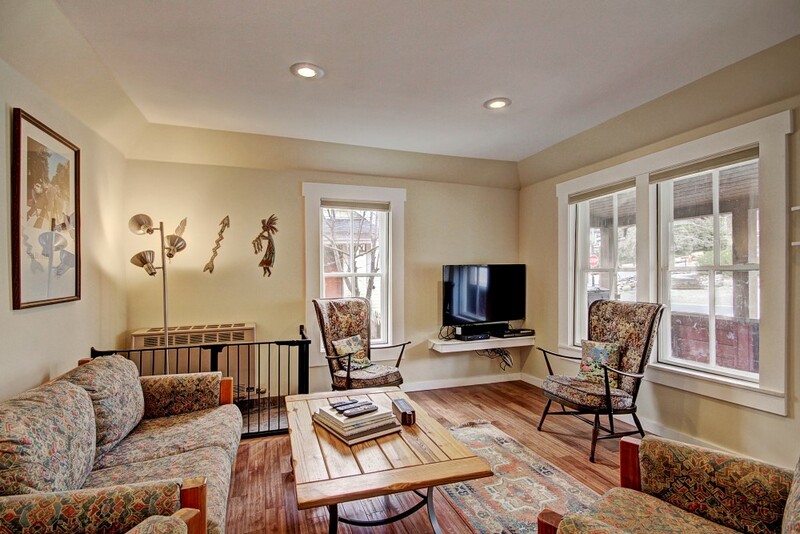 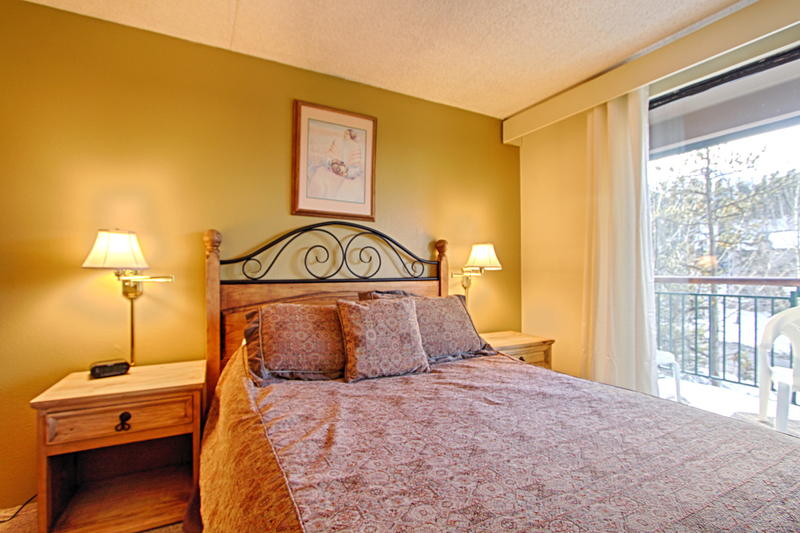 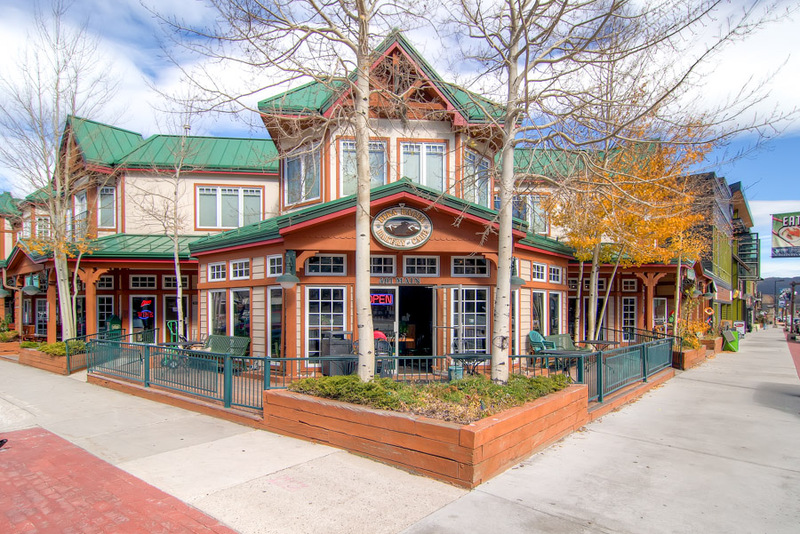 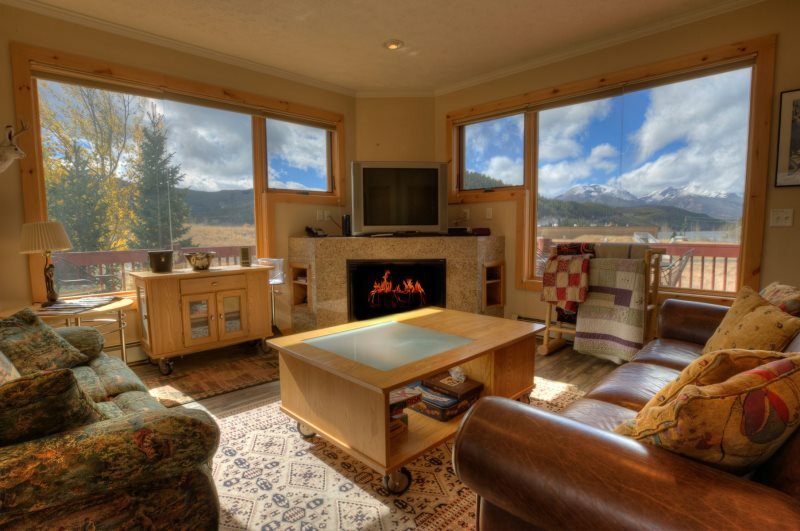 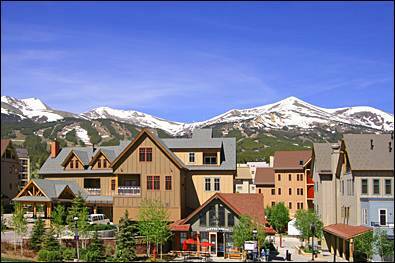 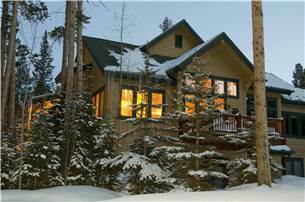 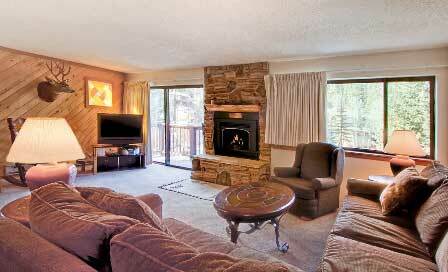 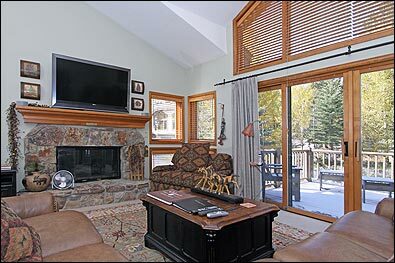 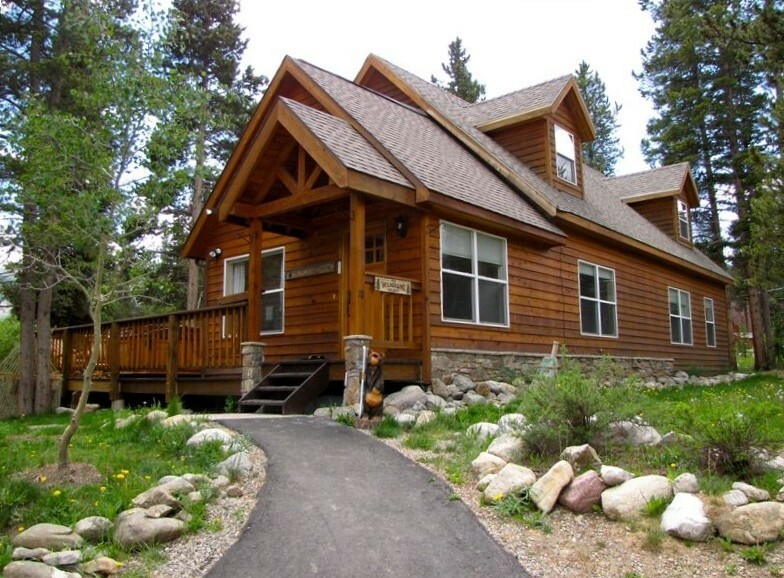 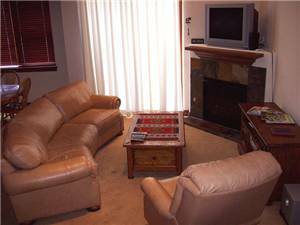 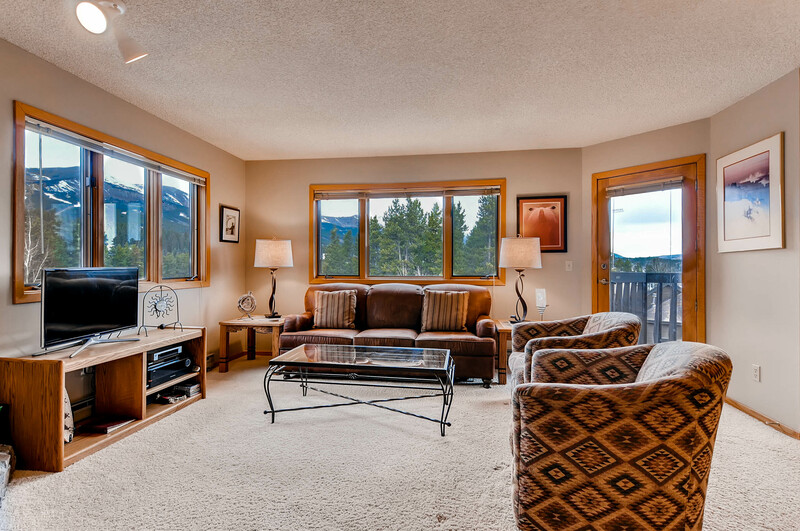 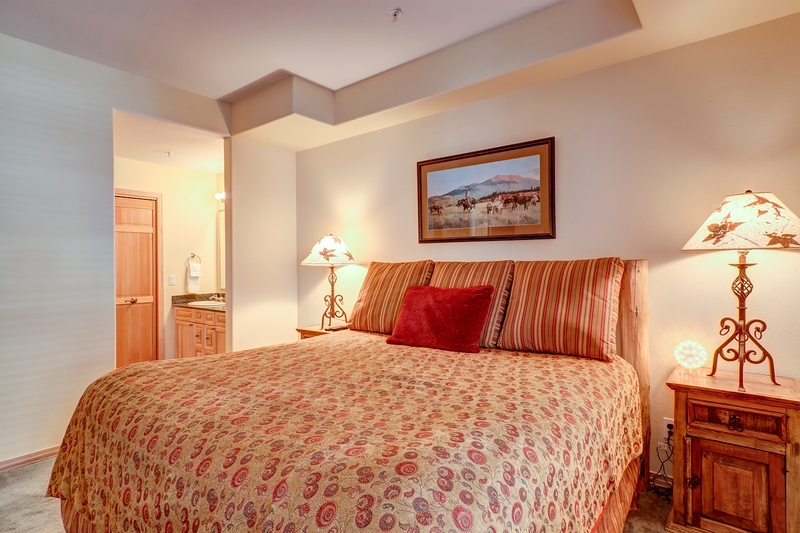 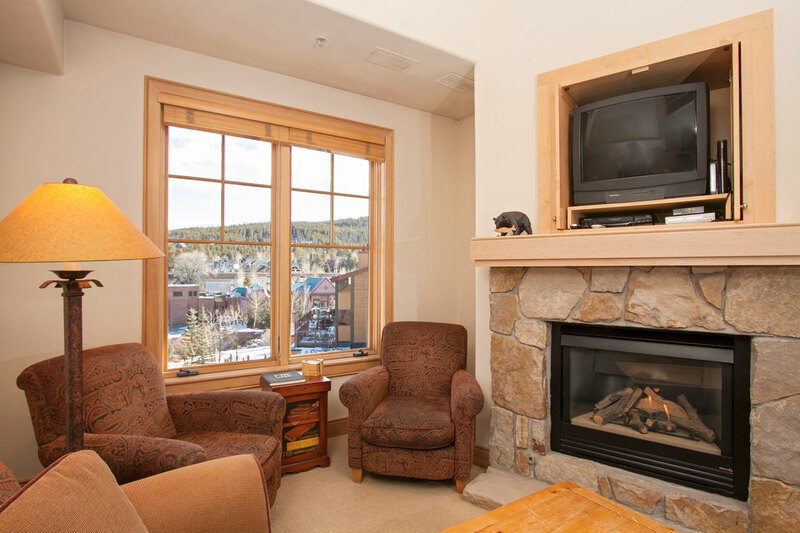 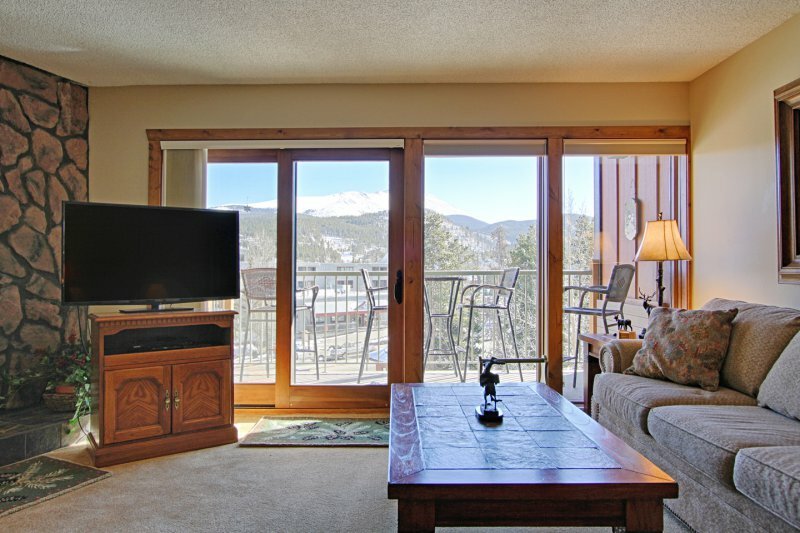 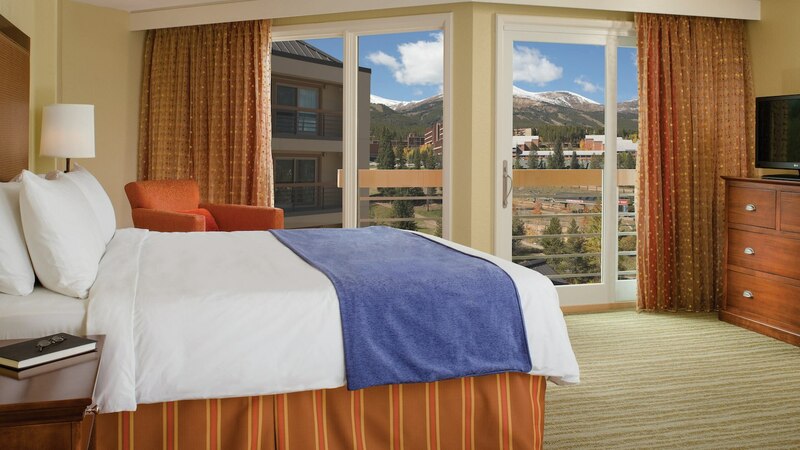 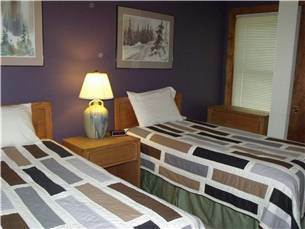 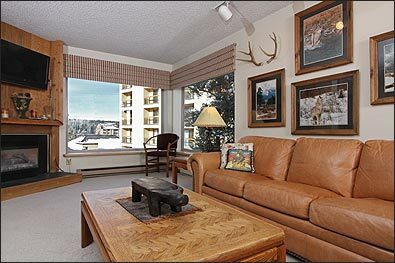 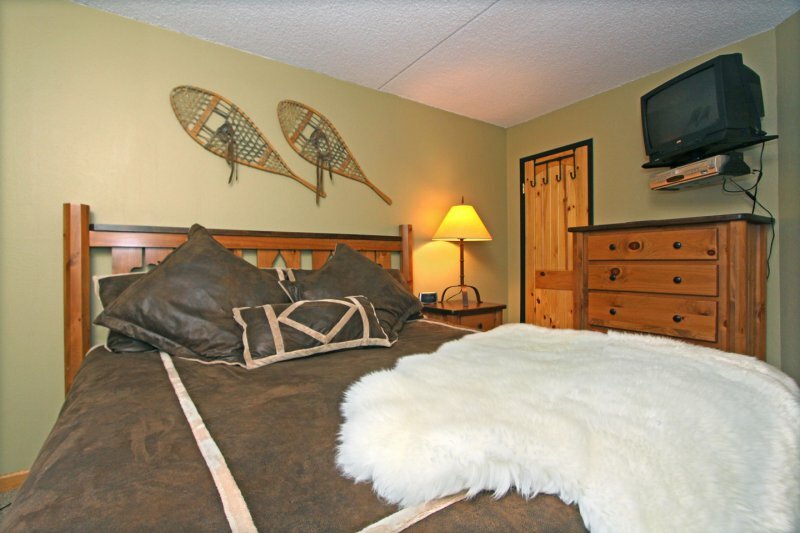 Located six blocks from town, and two blocks from a bus stop, you are not far from the Breckenridge action.